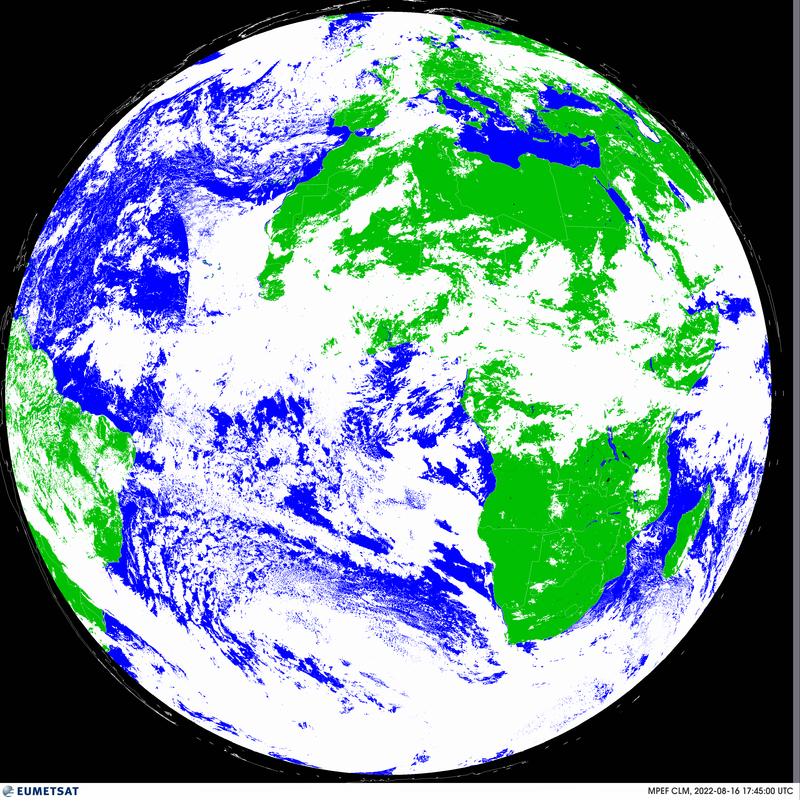 The links in the table below are links to special filenames. 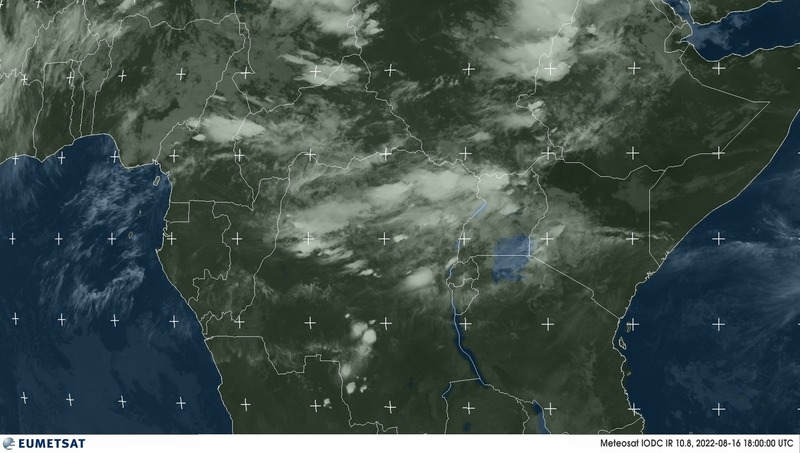 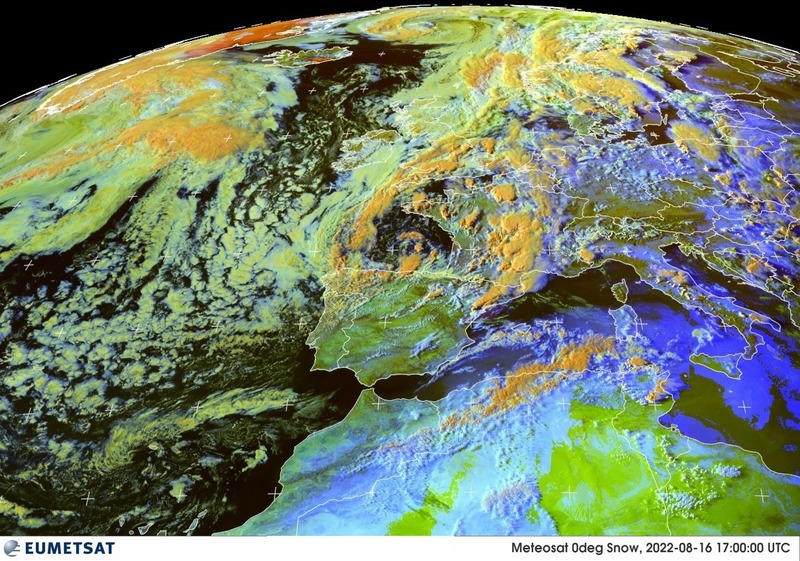 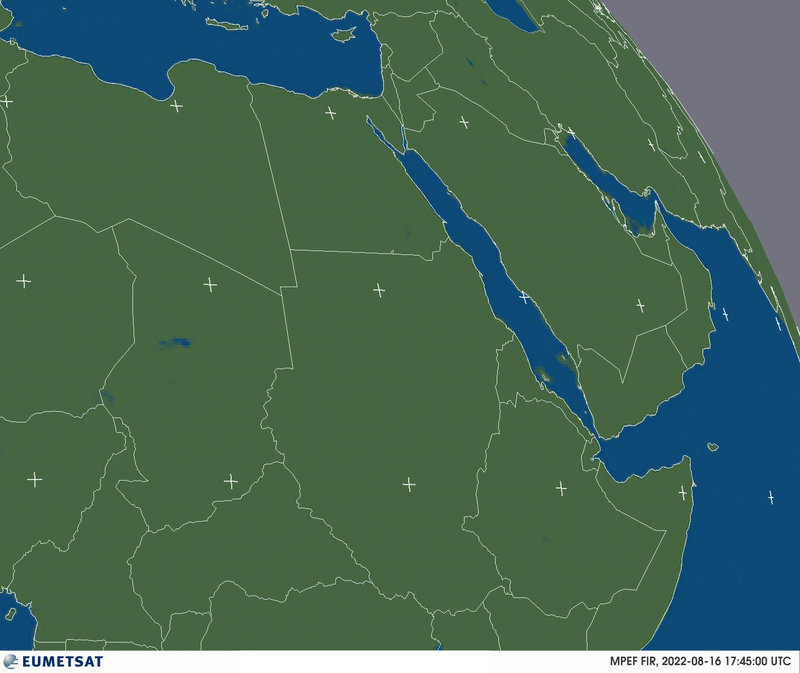 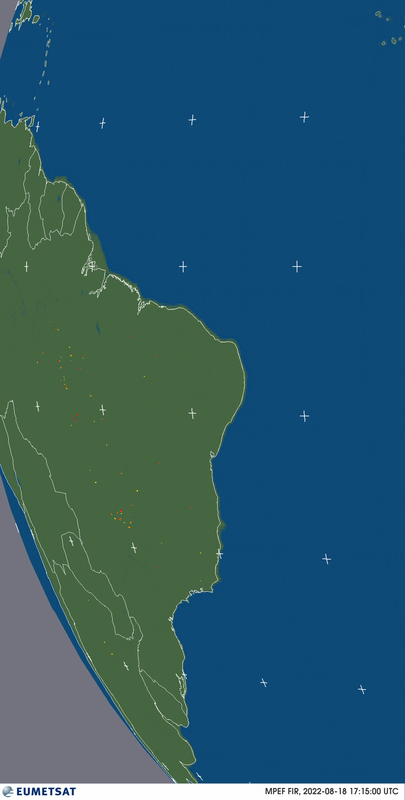 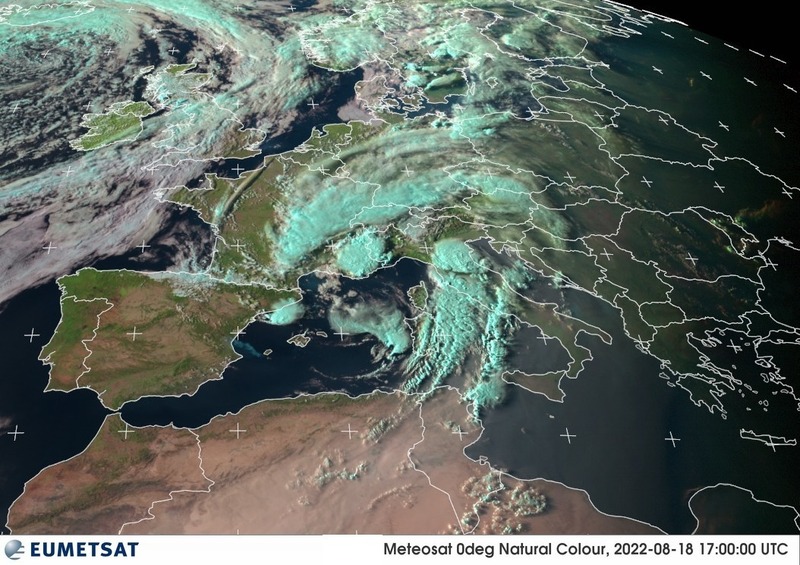 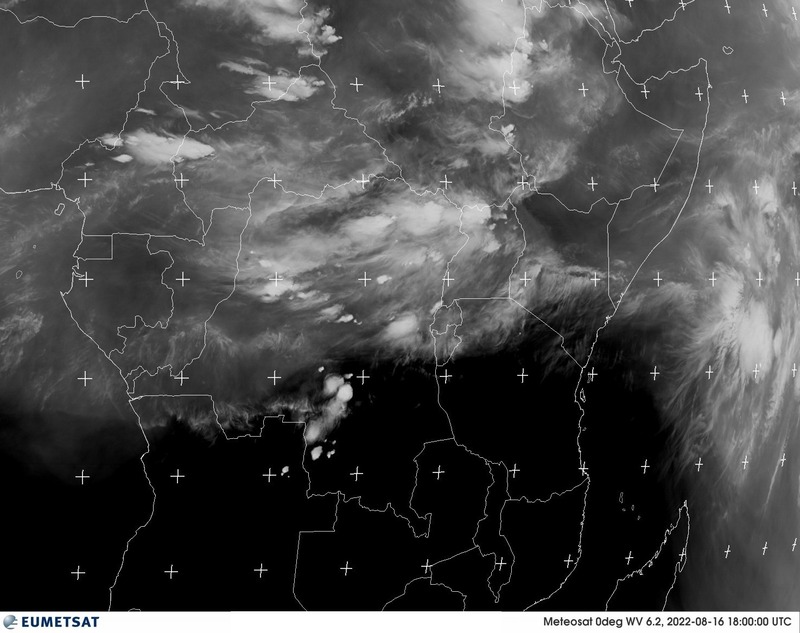 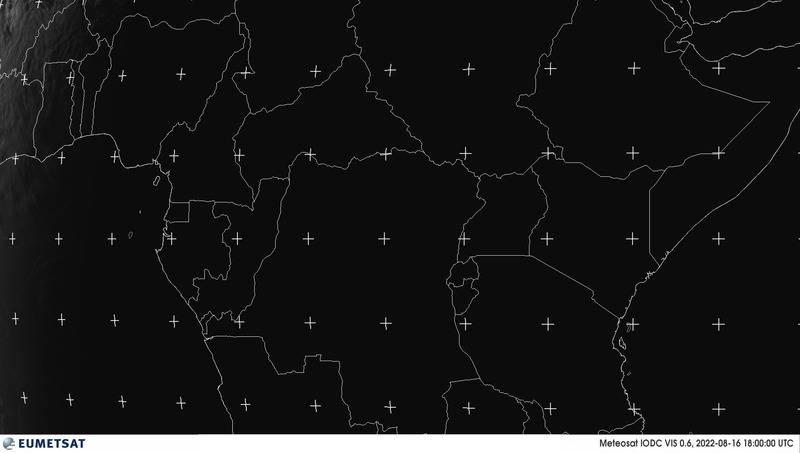 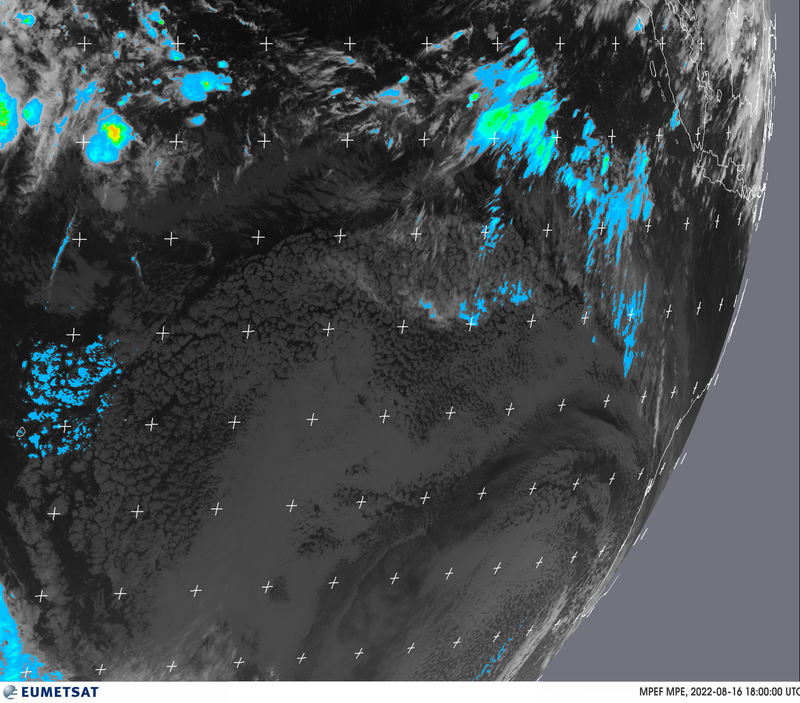 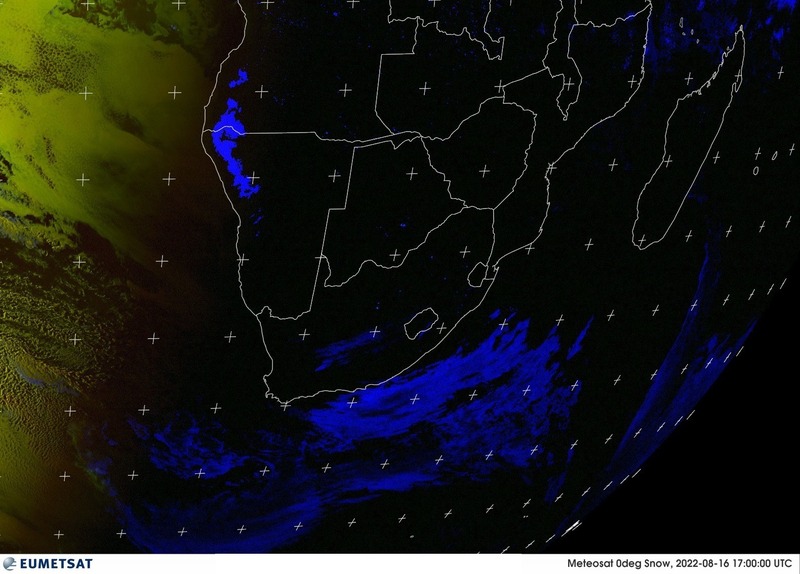 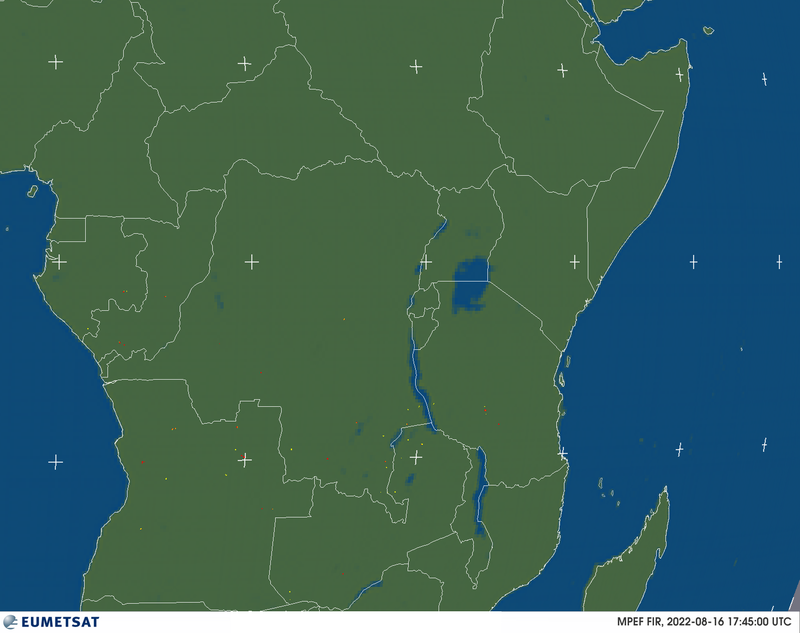 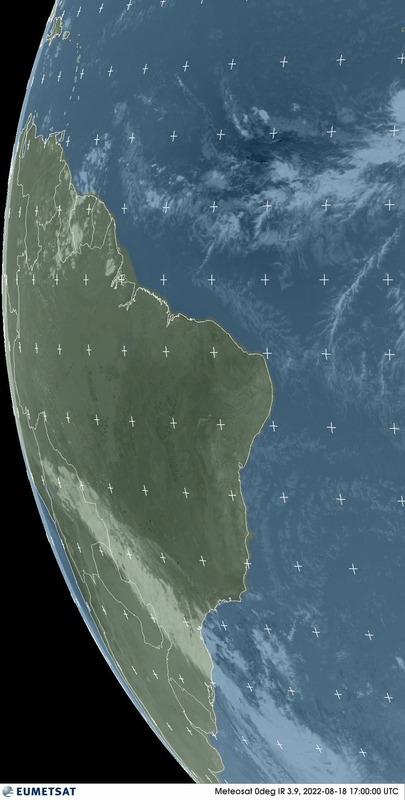 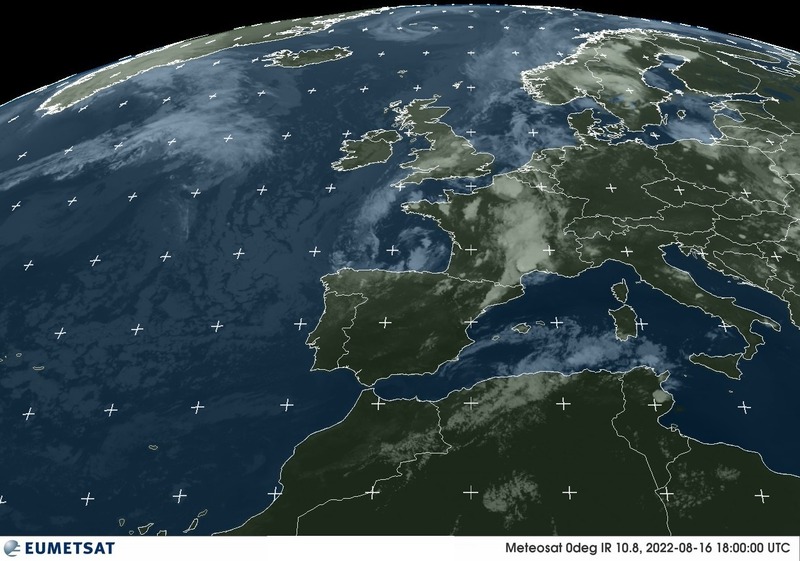 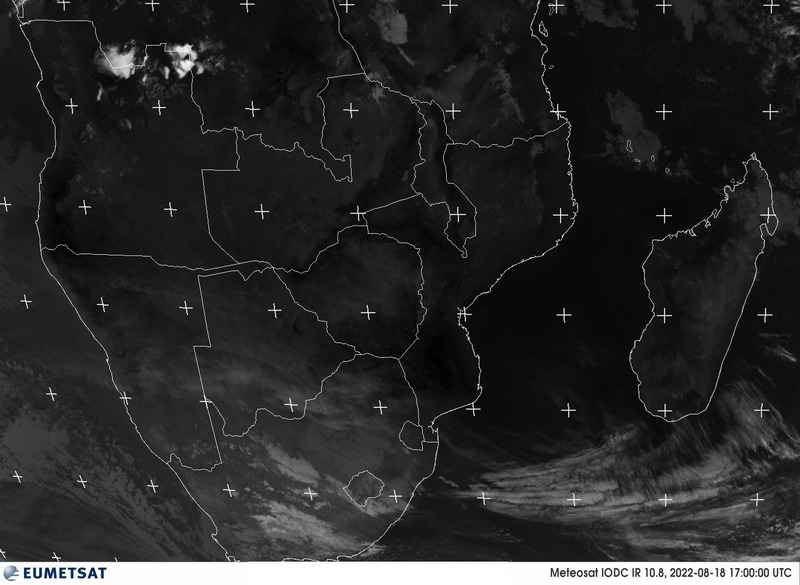 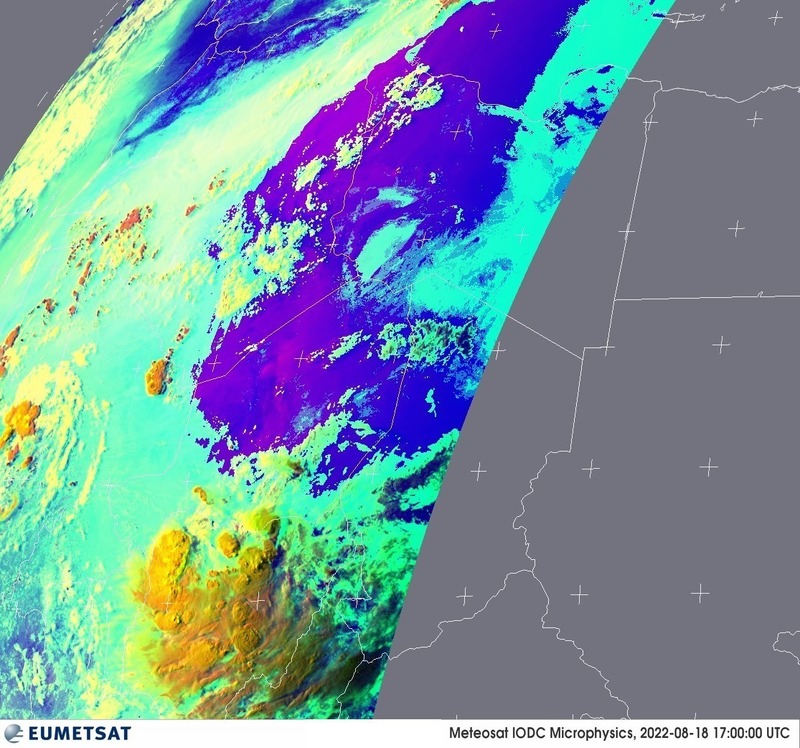 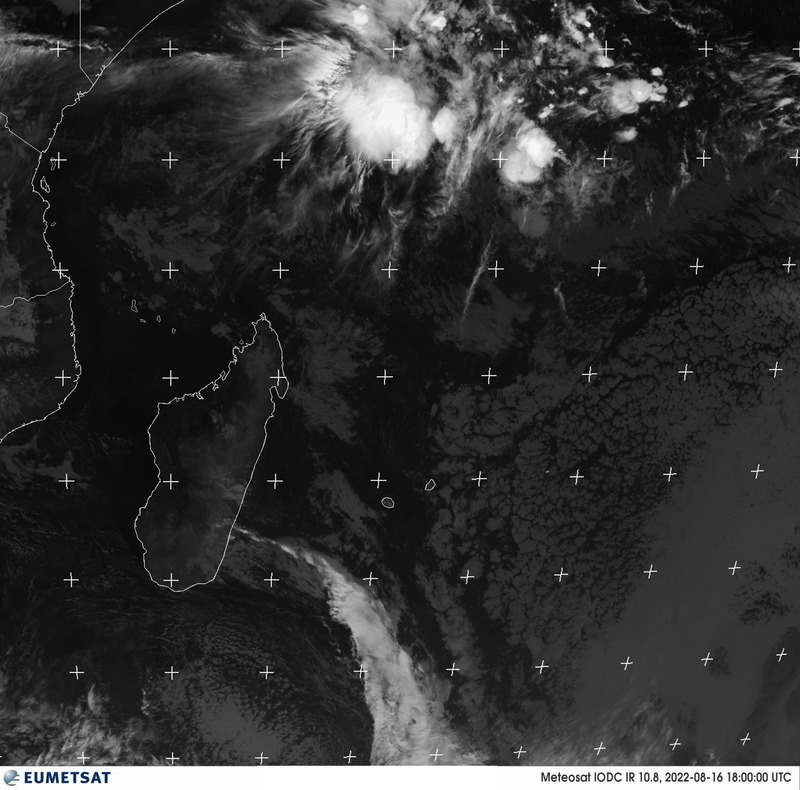 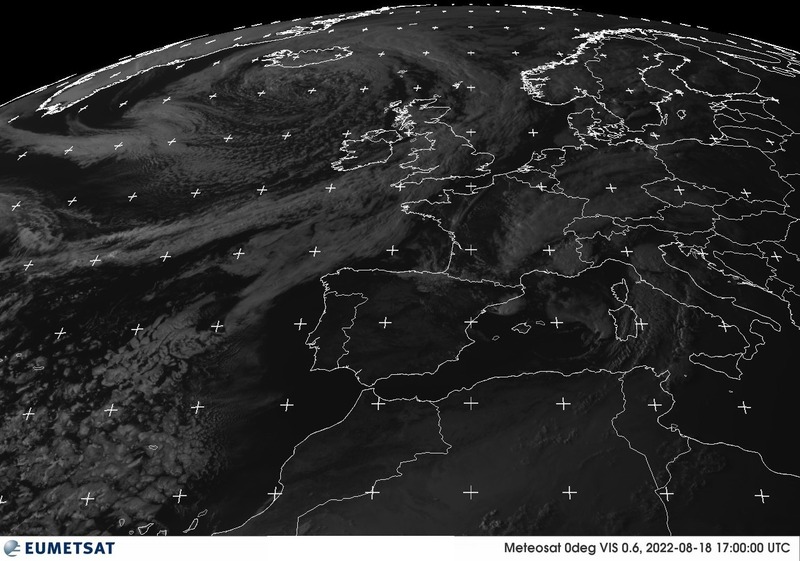 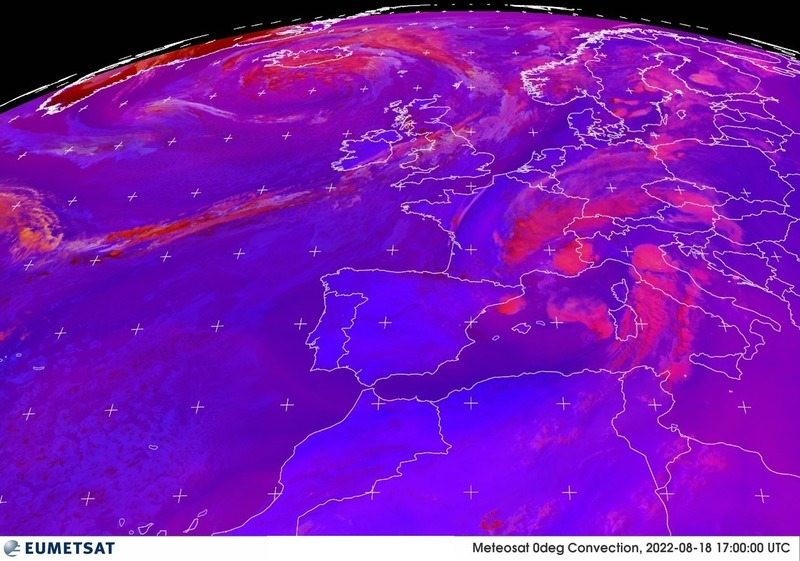 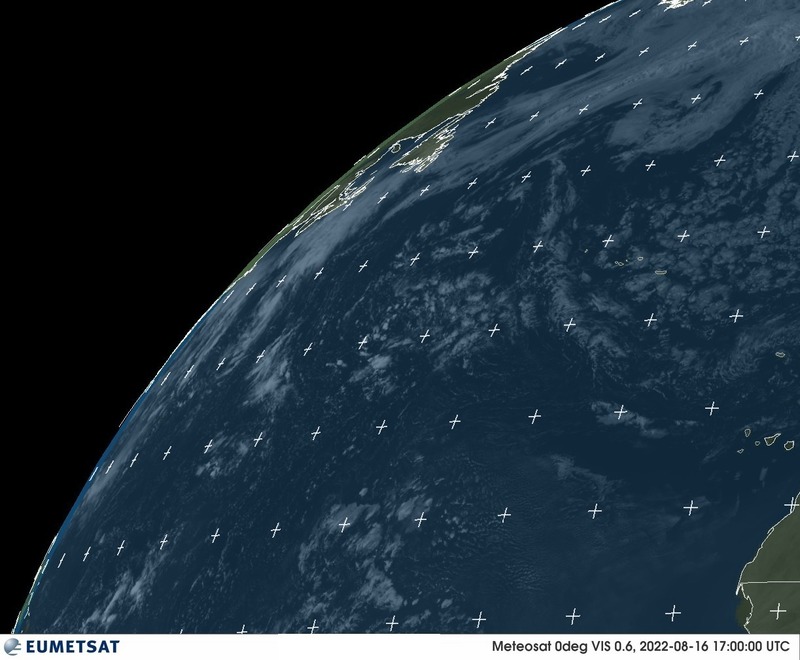 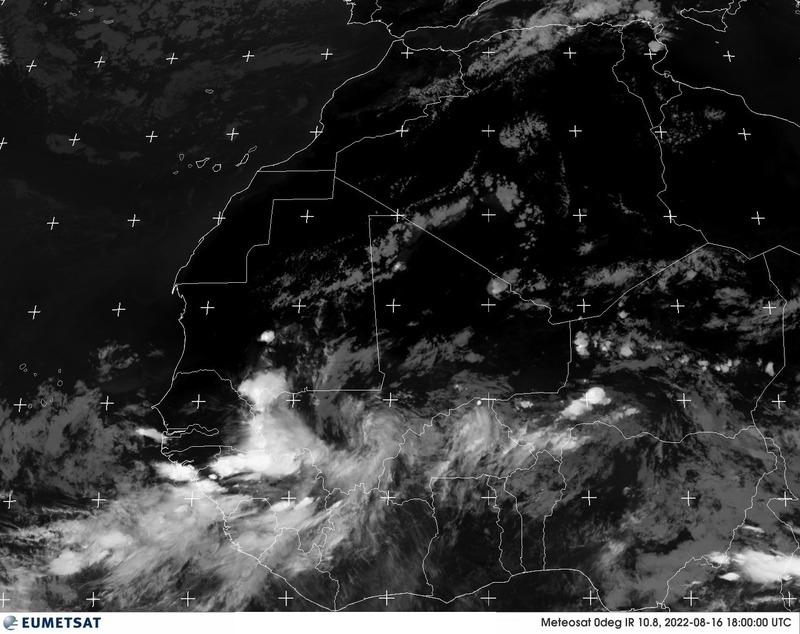 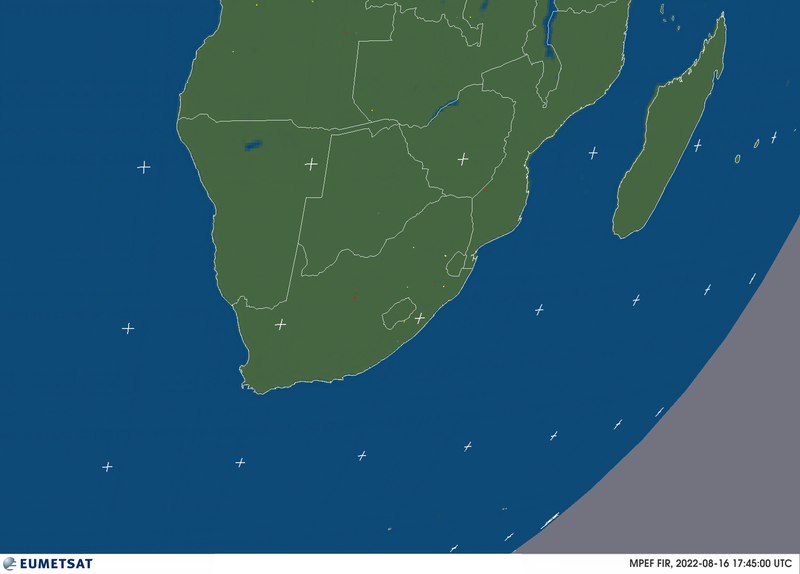 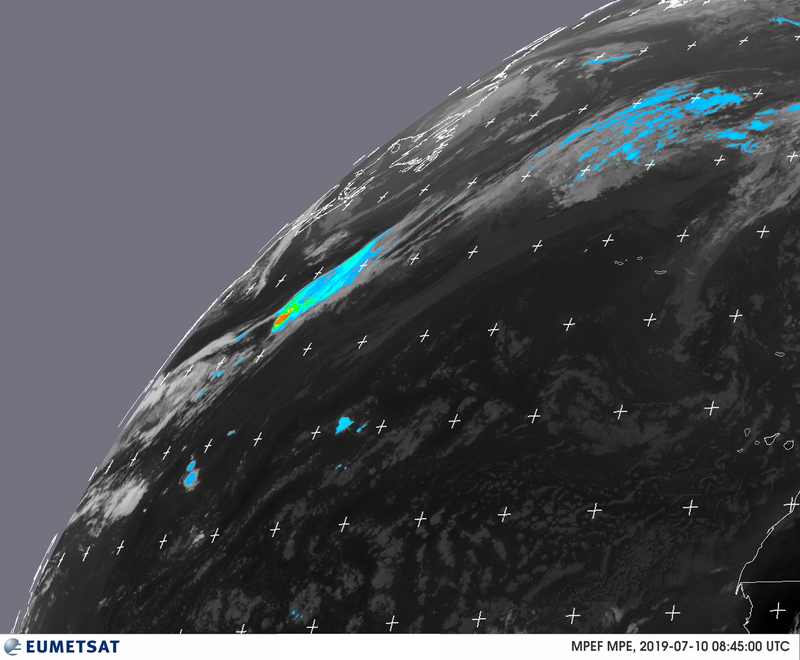 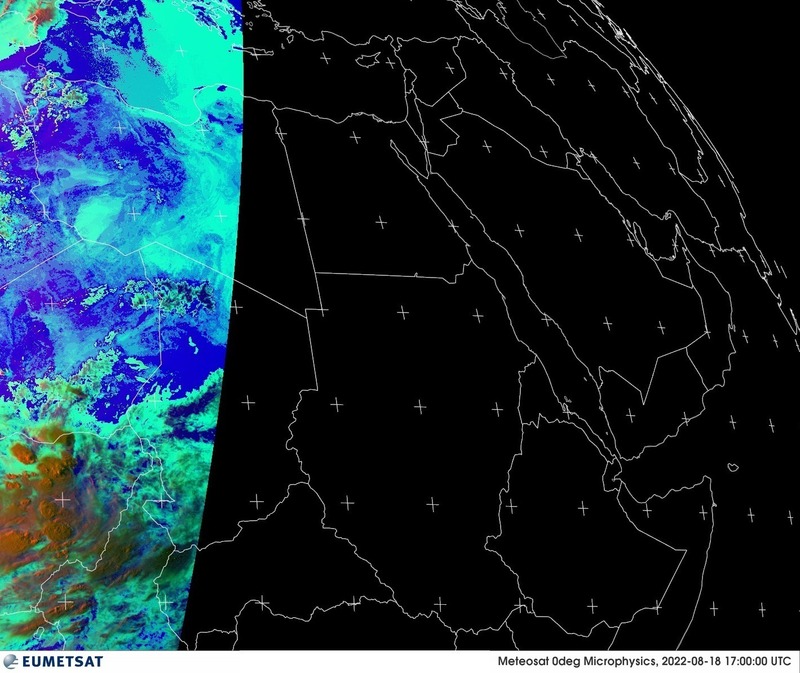 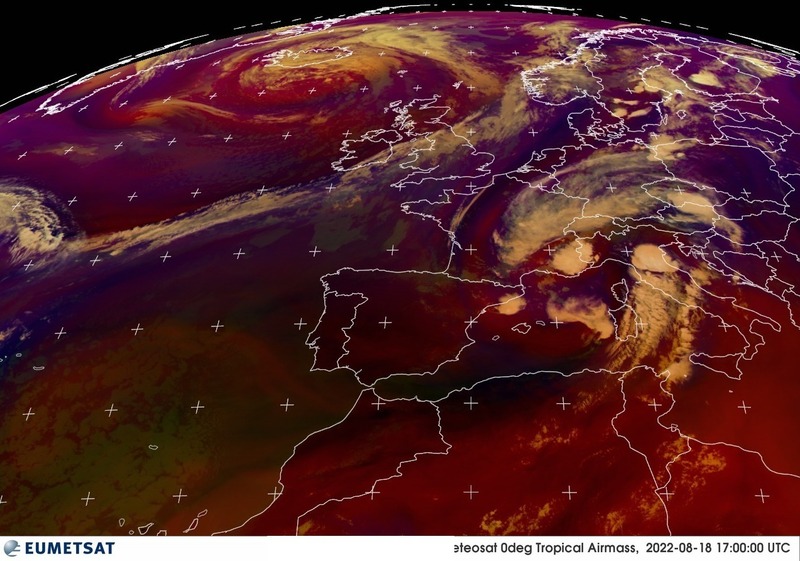 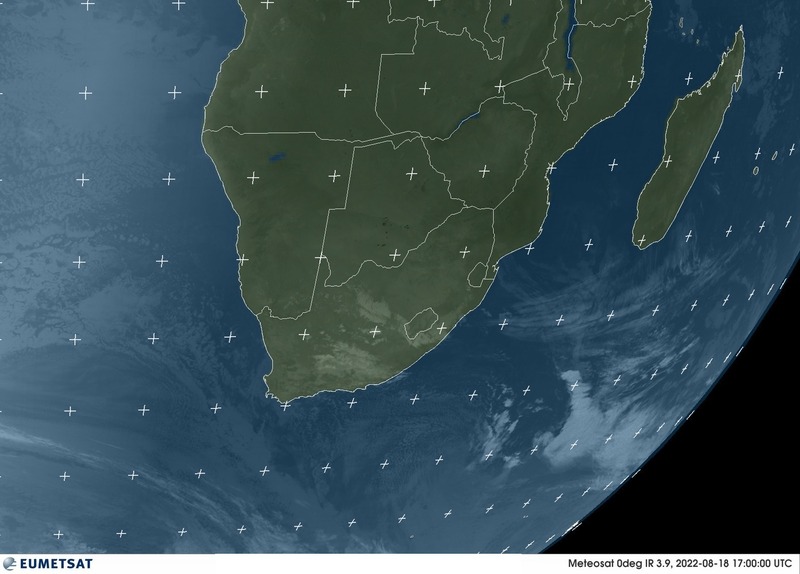 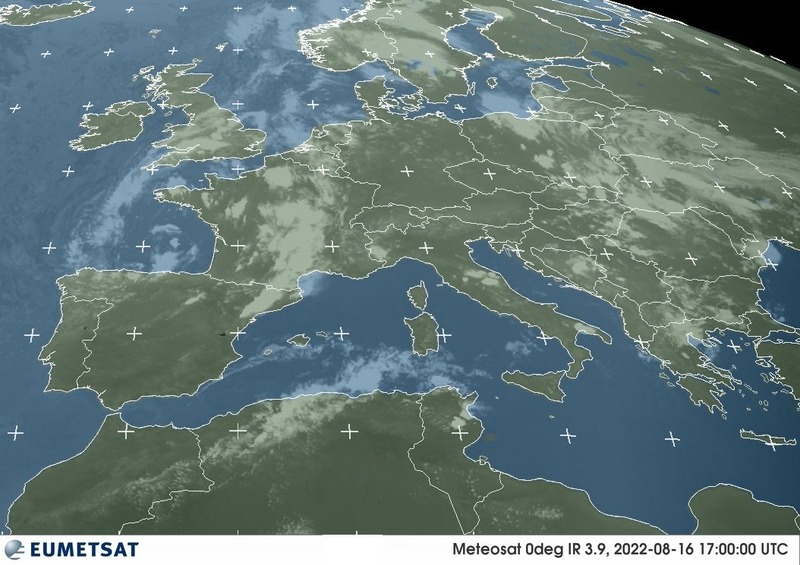 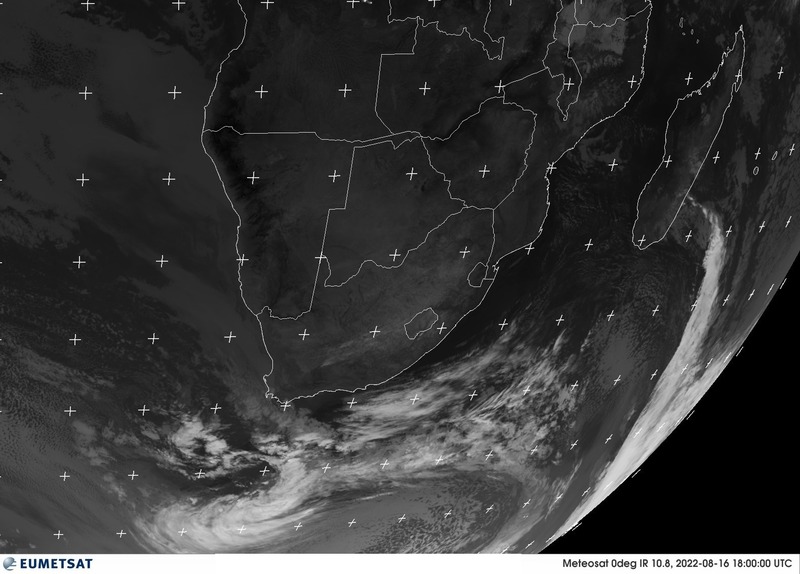 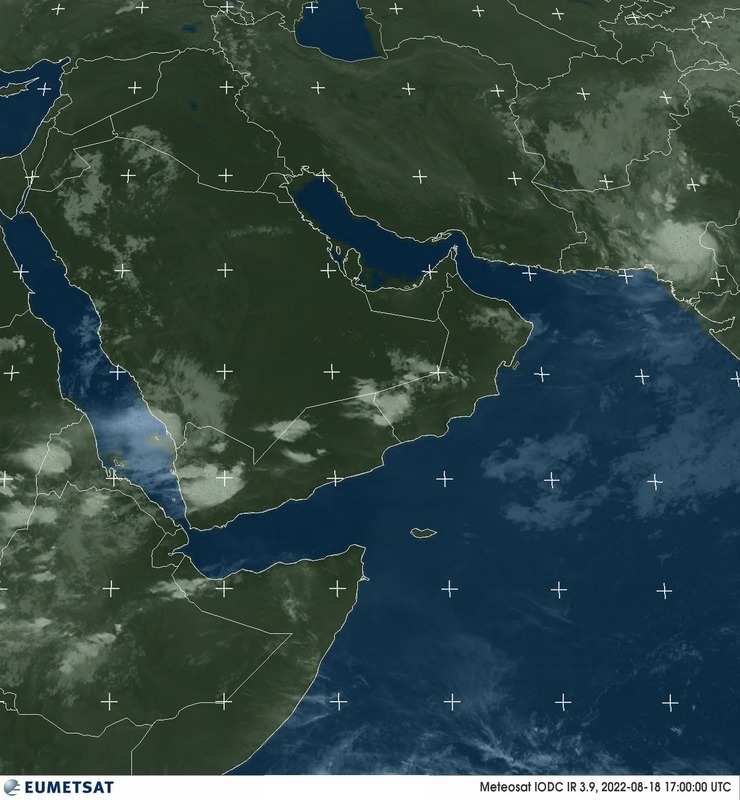 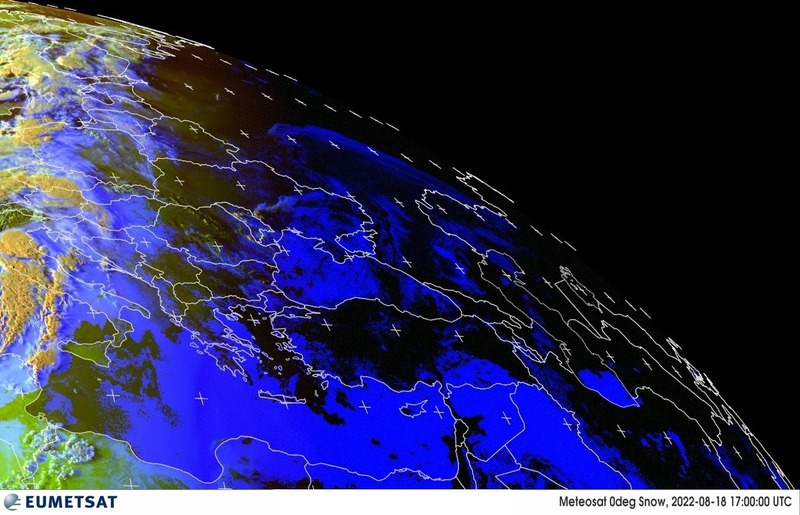 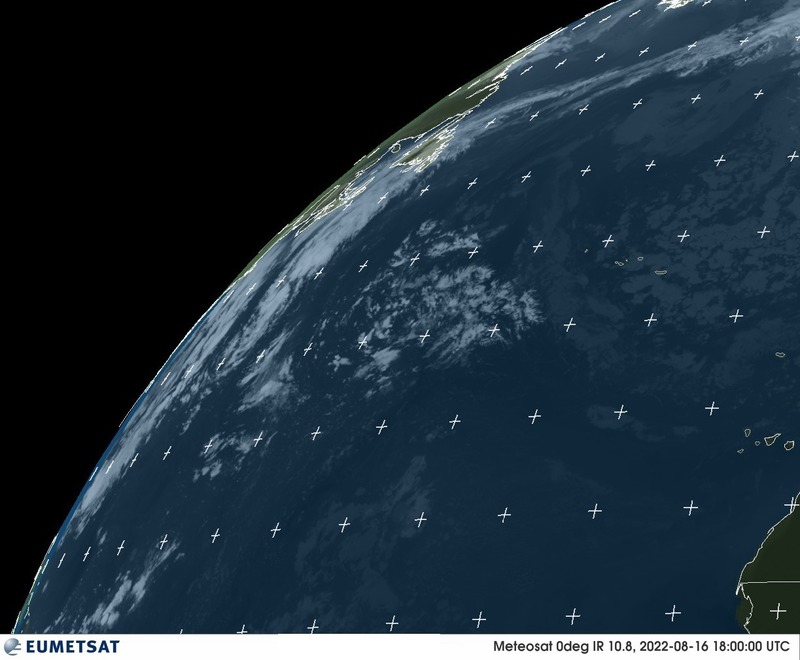 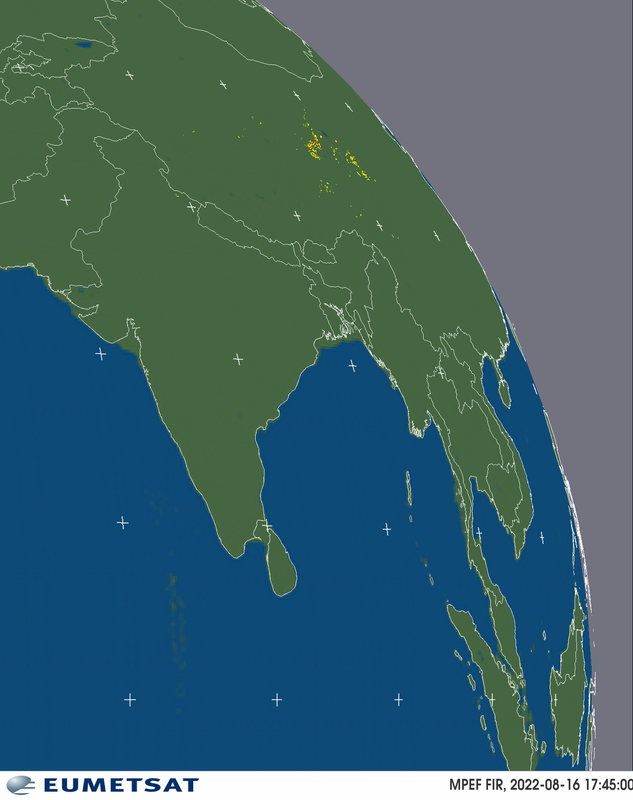 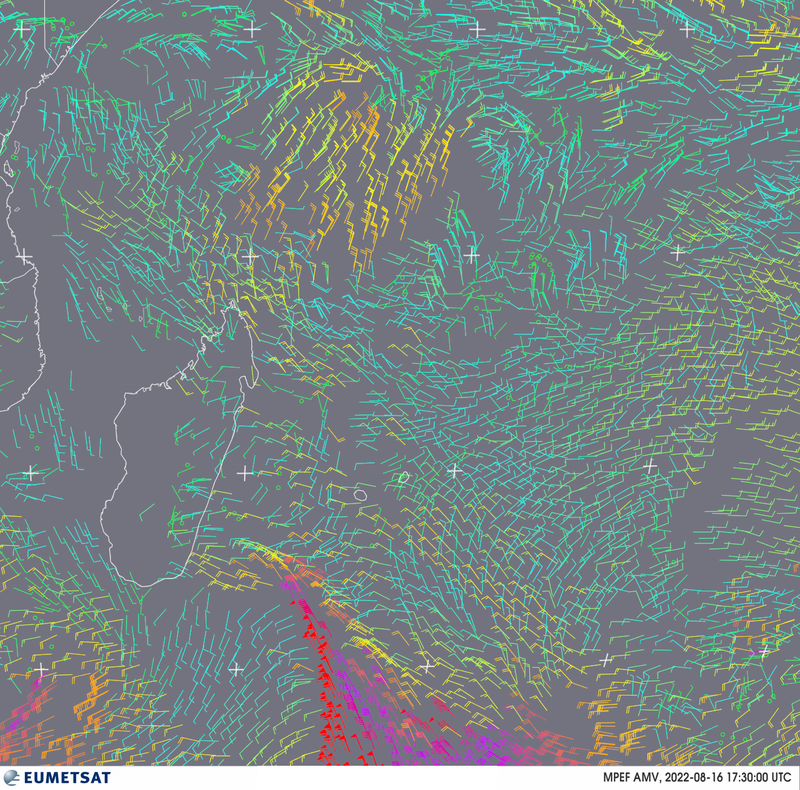 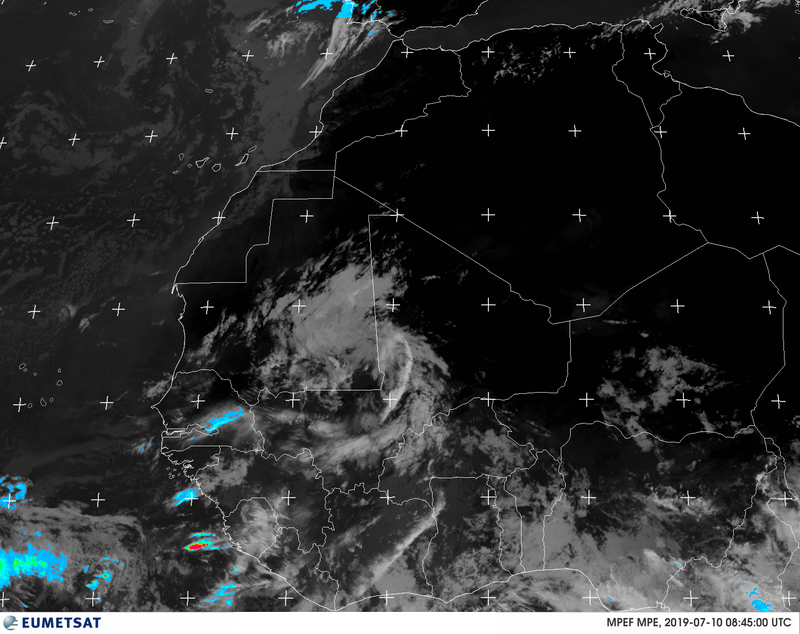 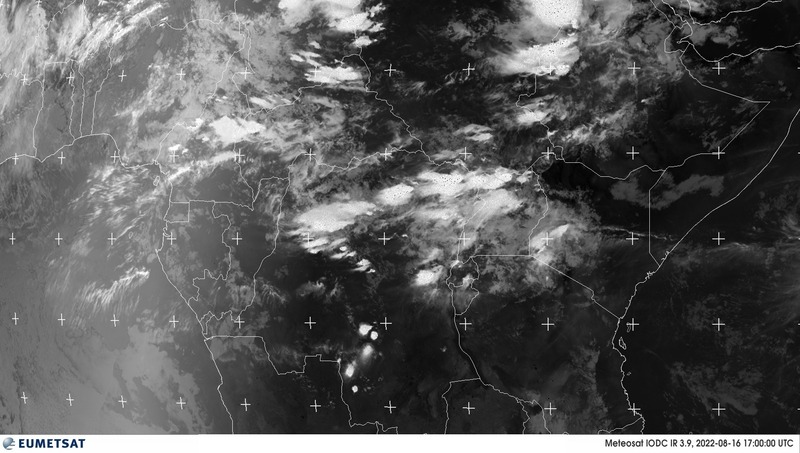 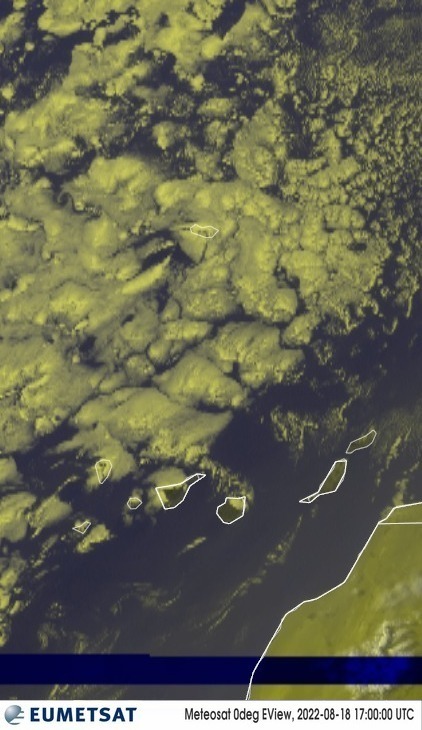 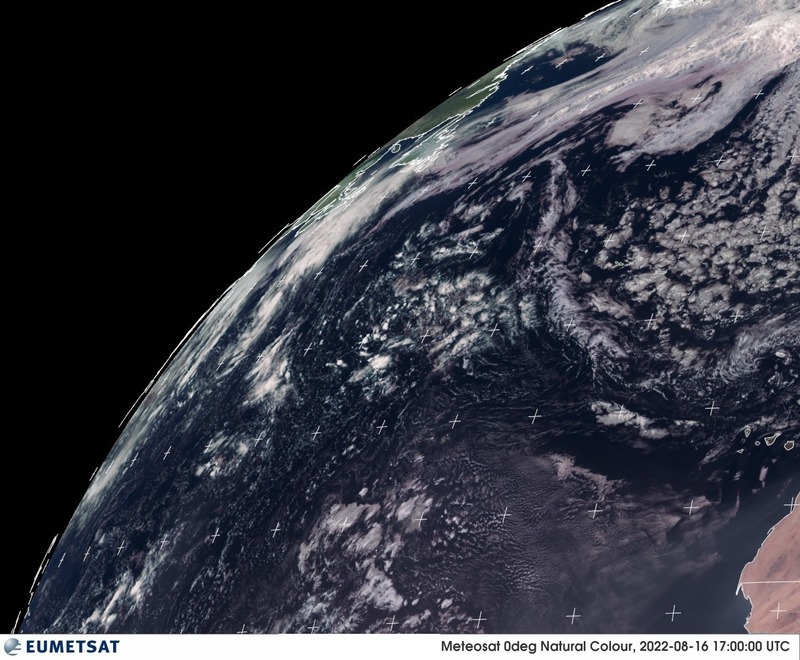 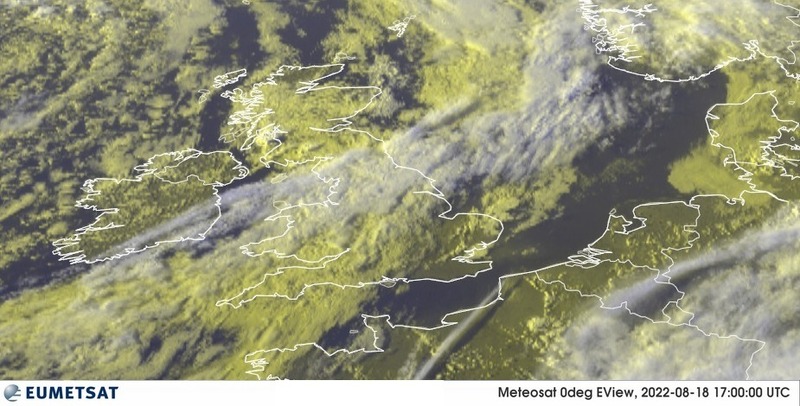 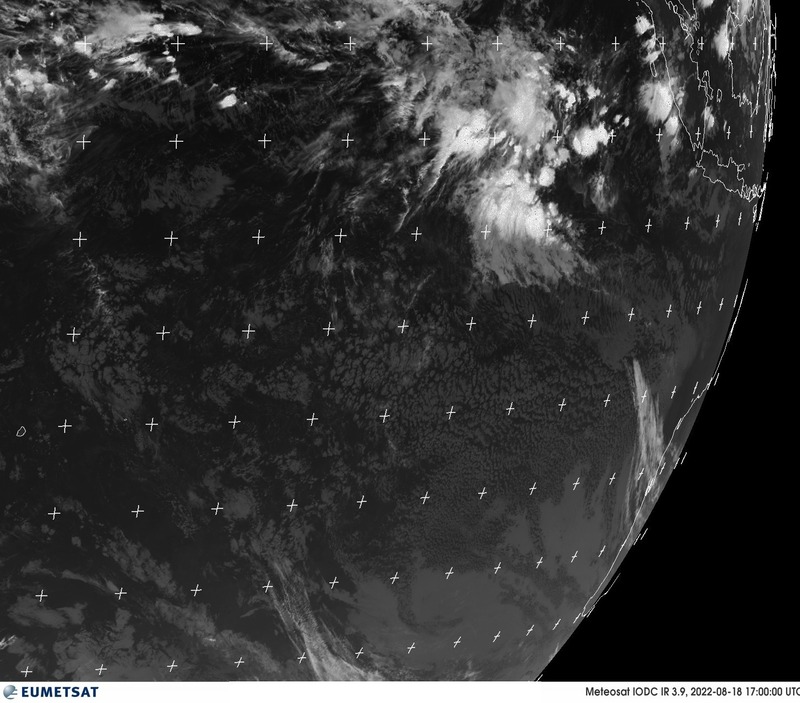 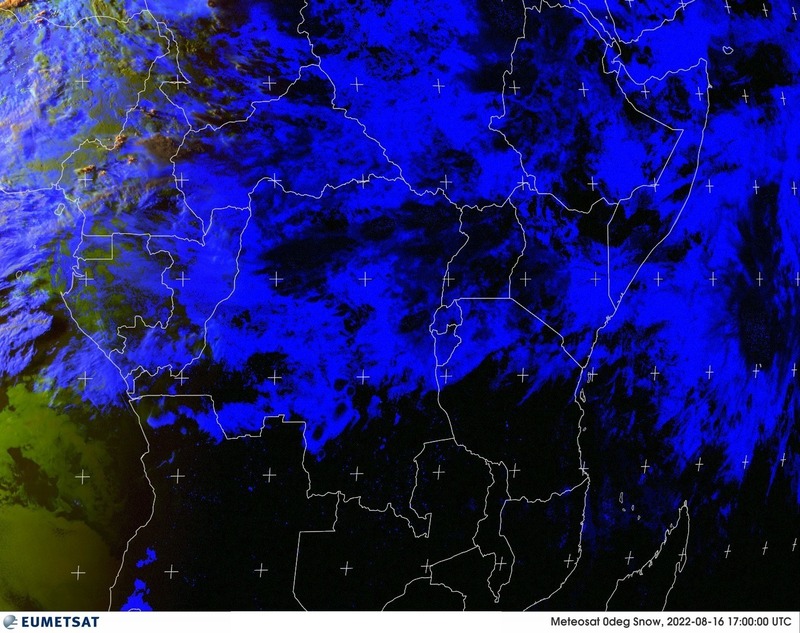 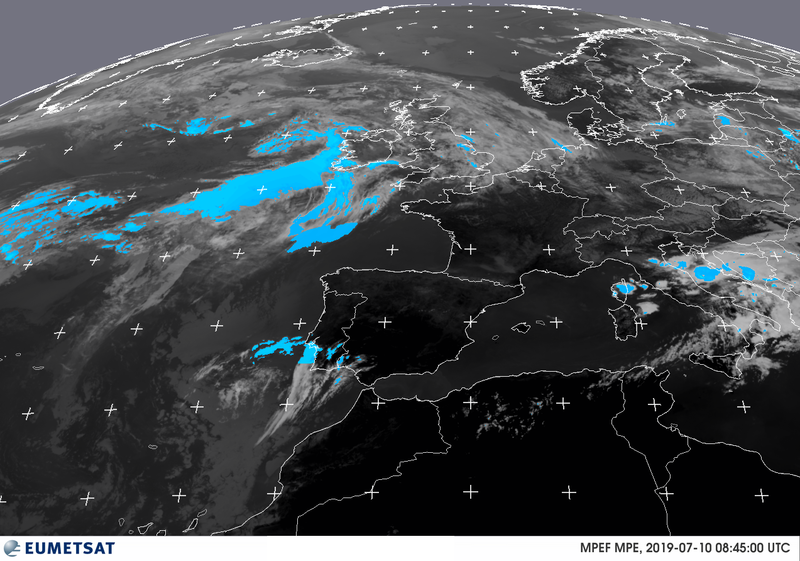 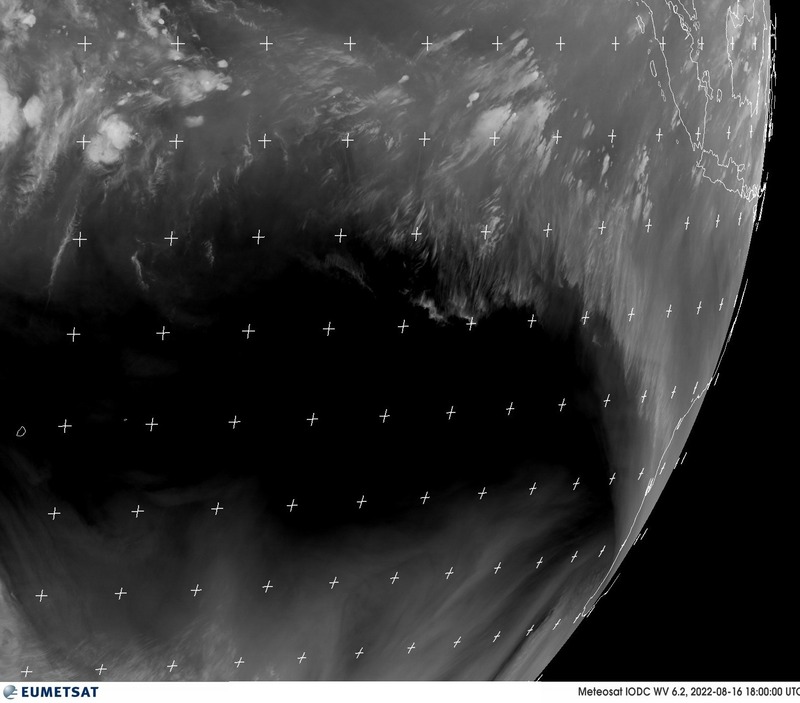 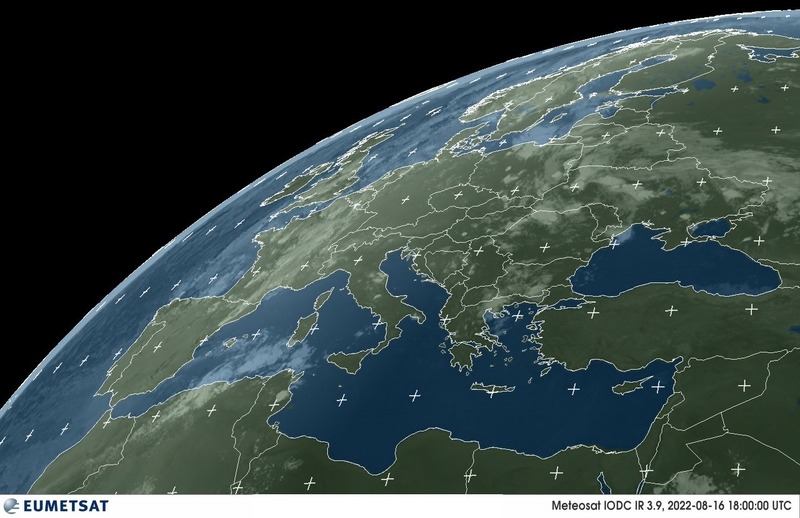 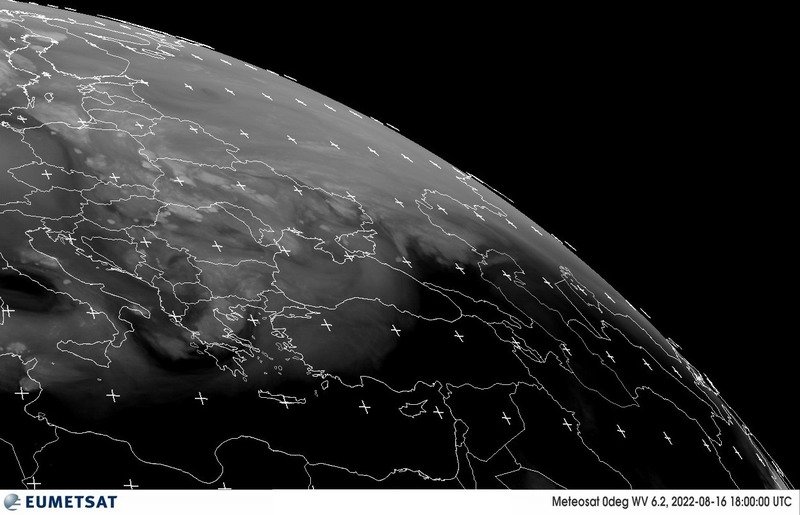 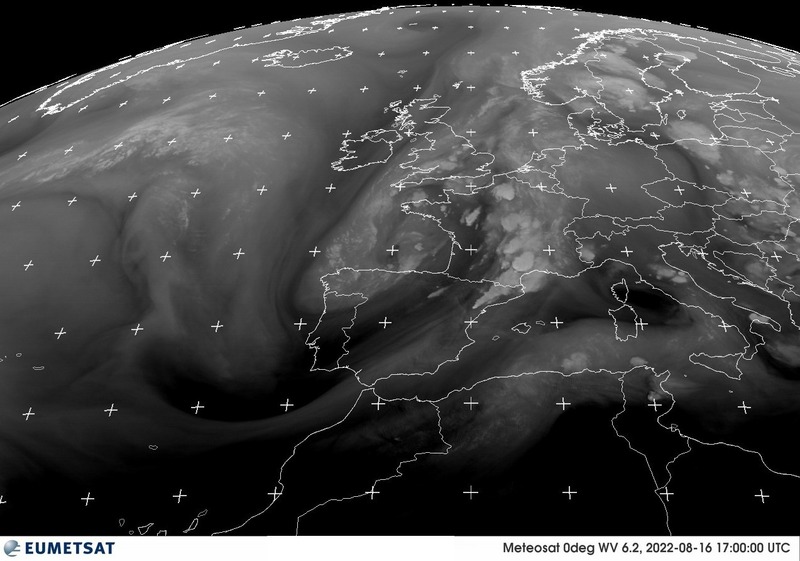 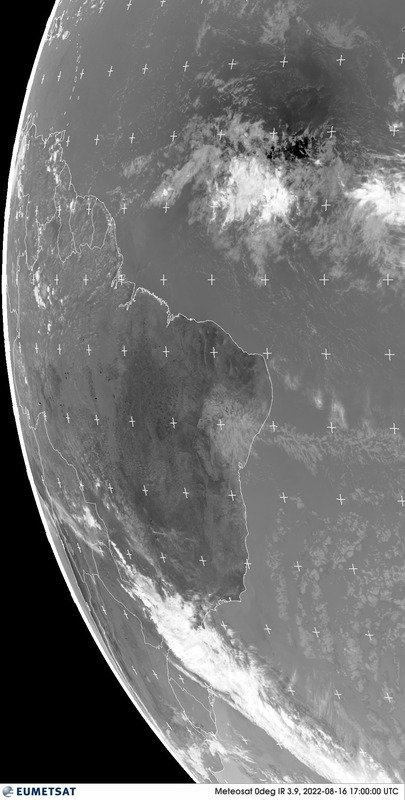 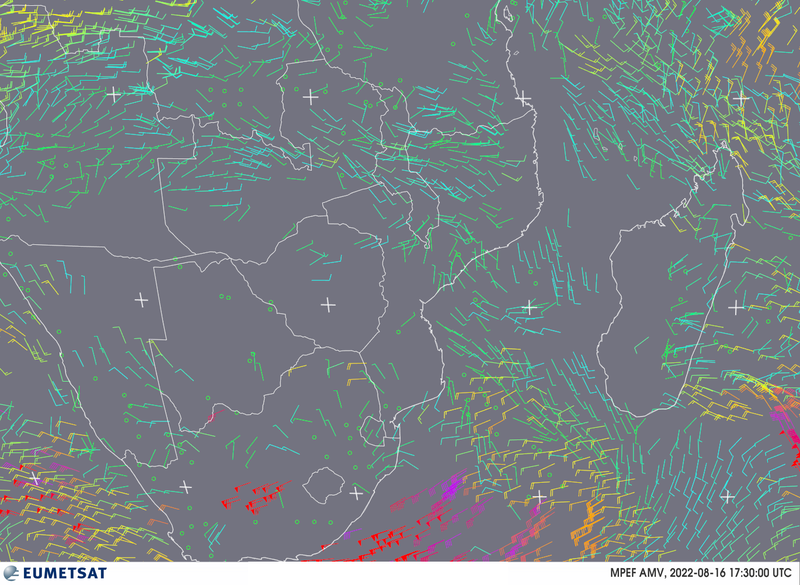 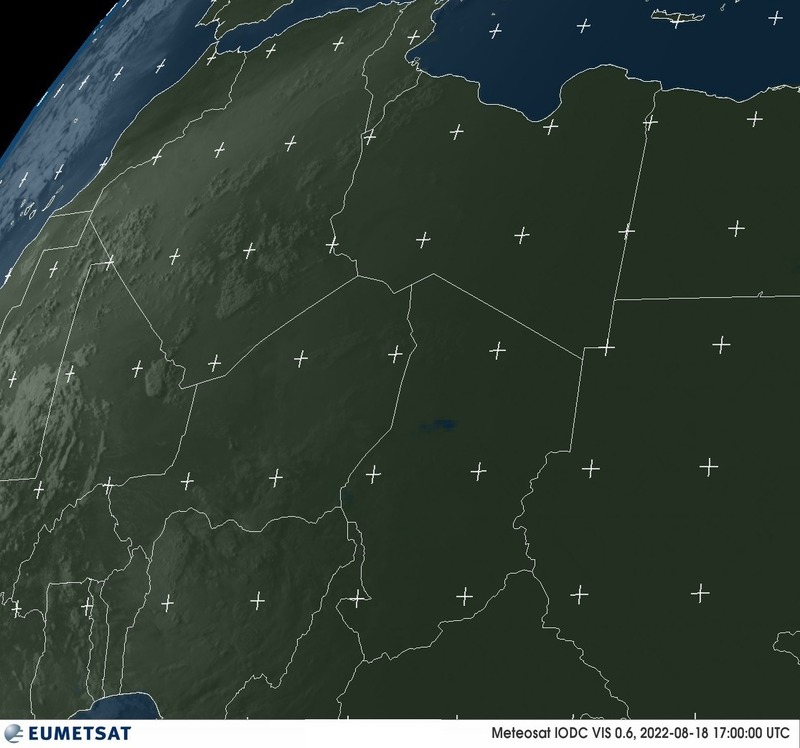 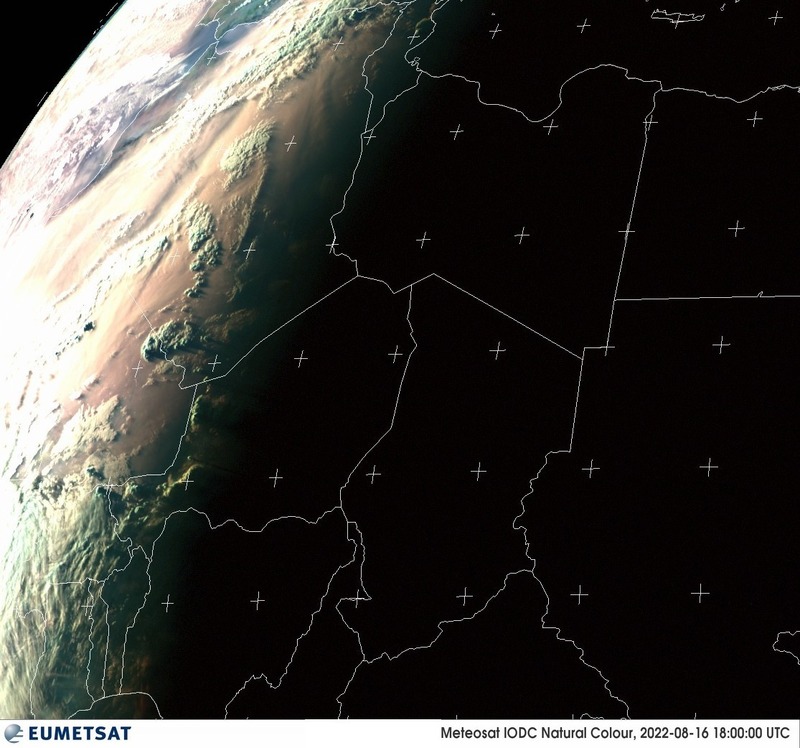 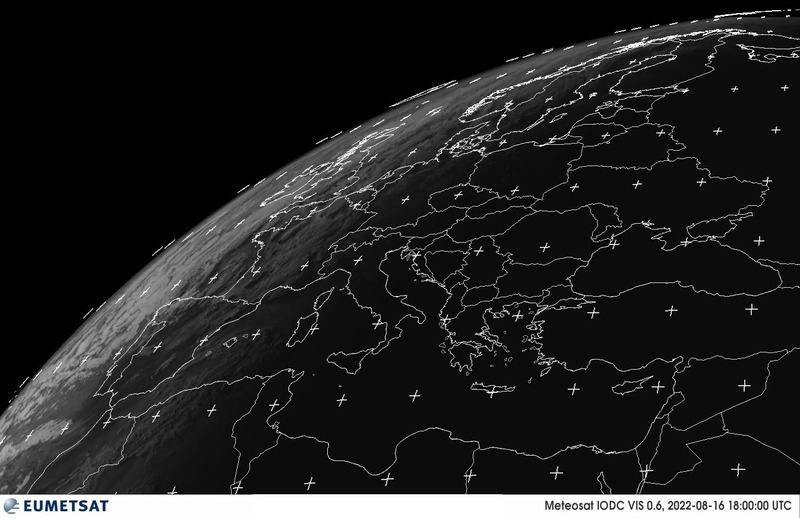 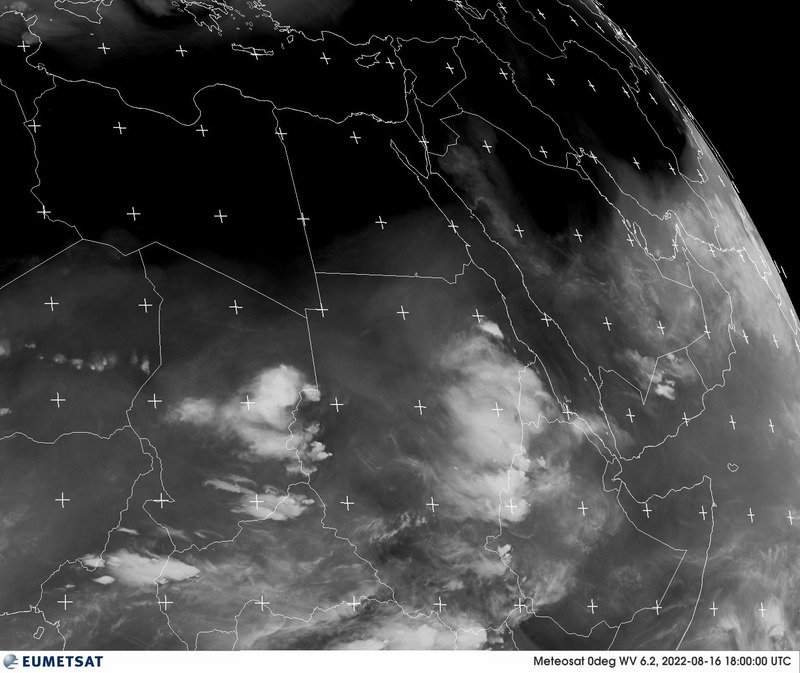 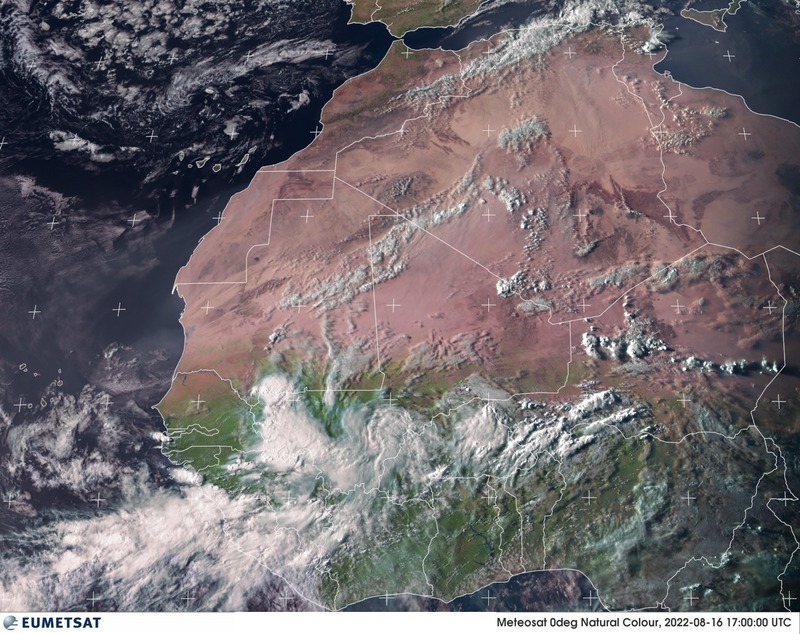 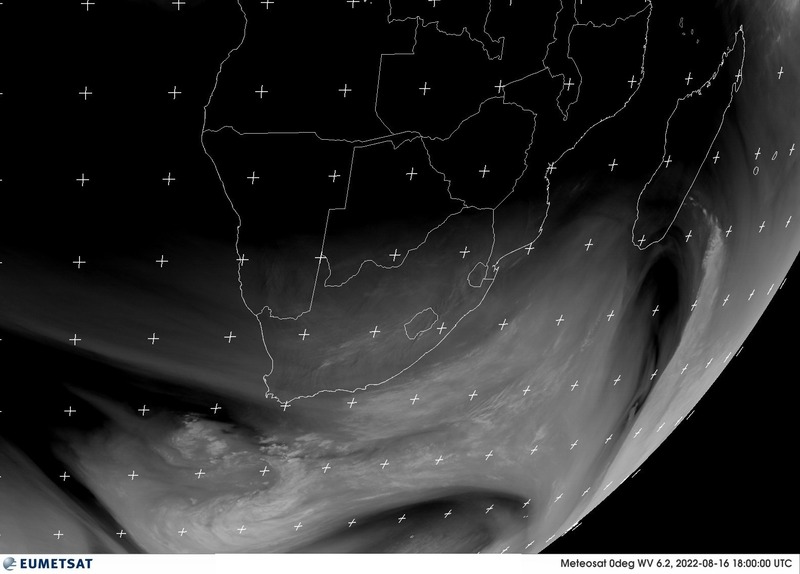 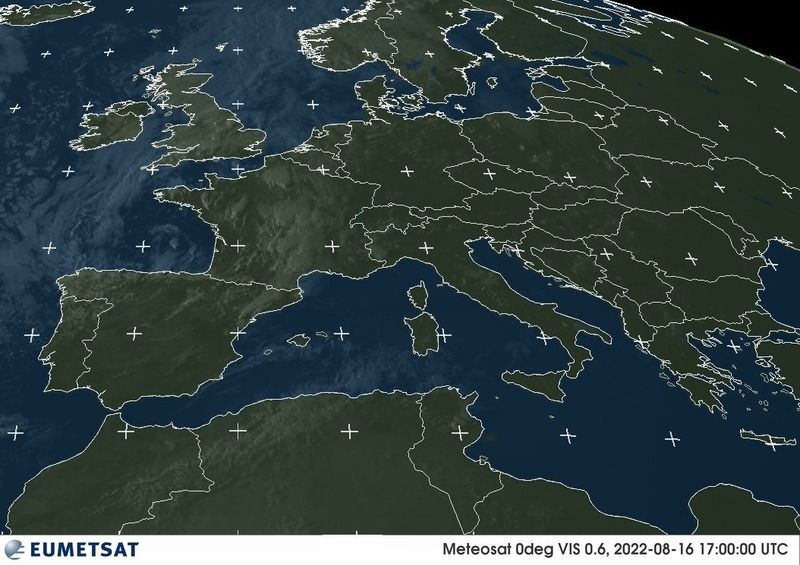 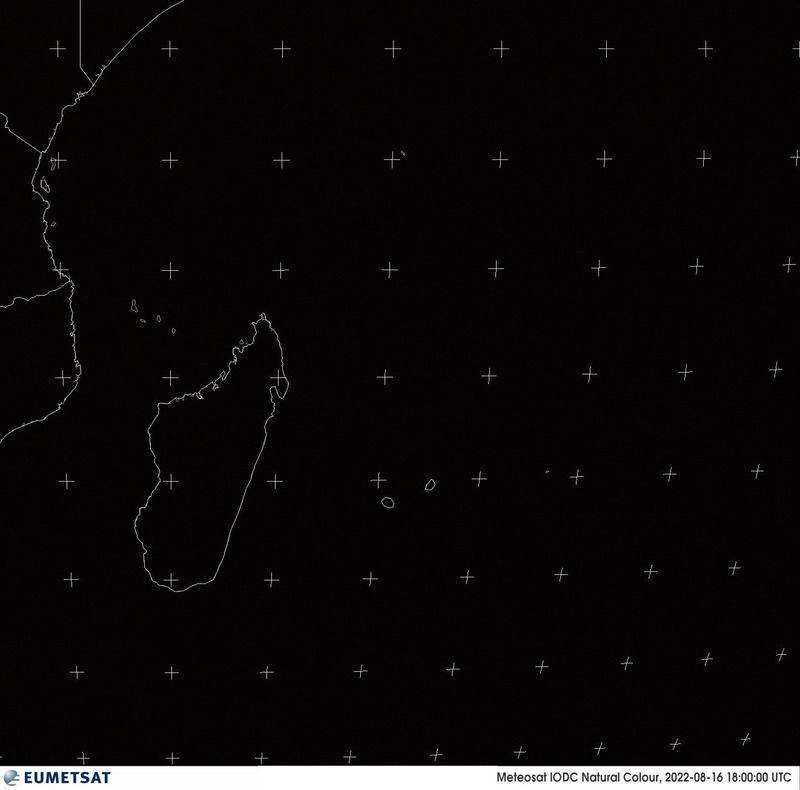 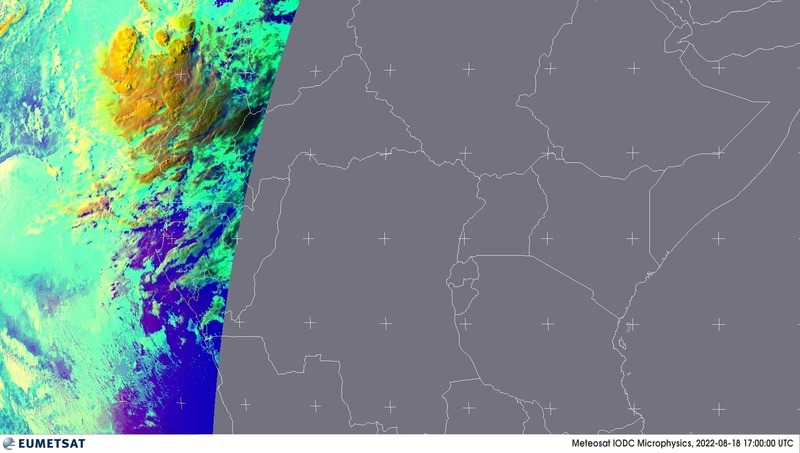 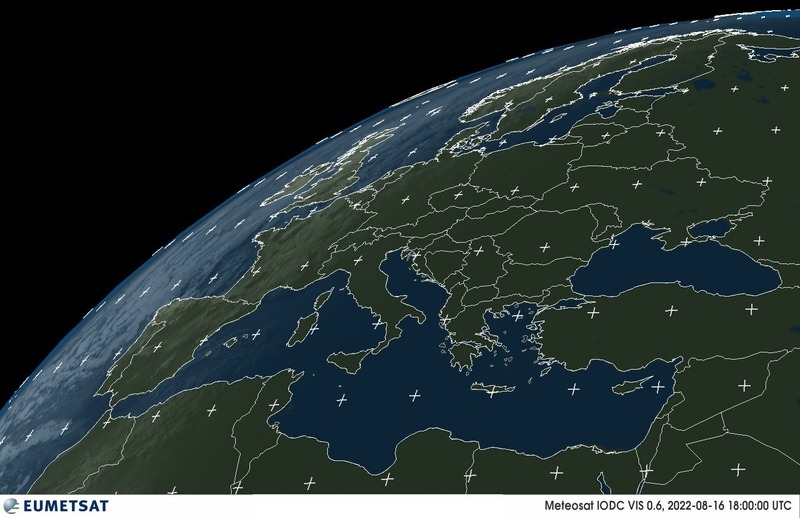 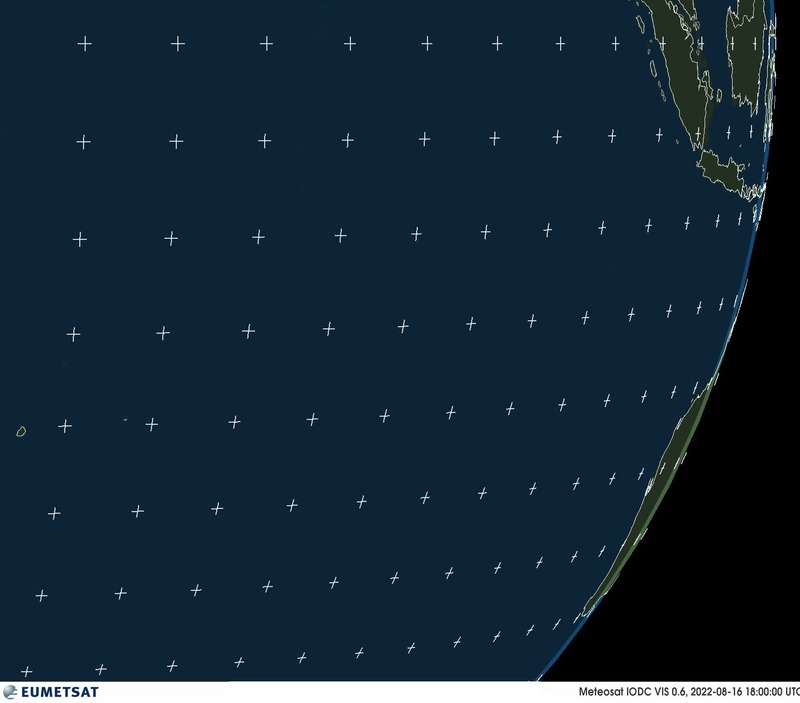 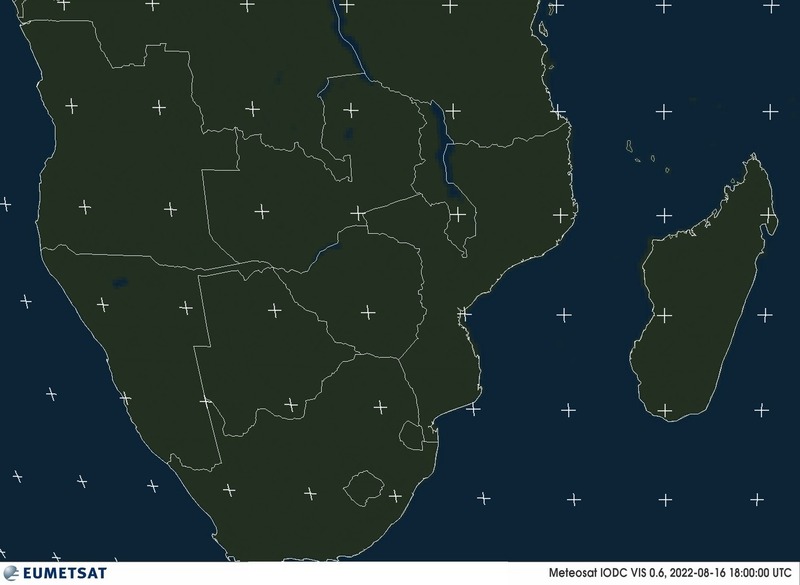 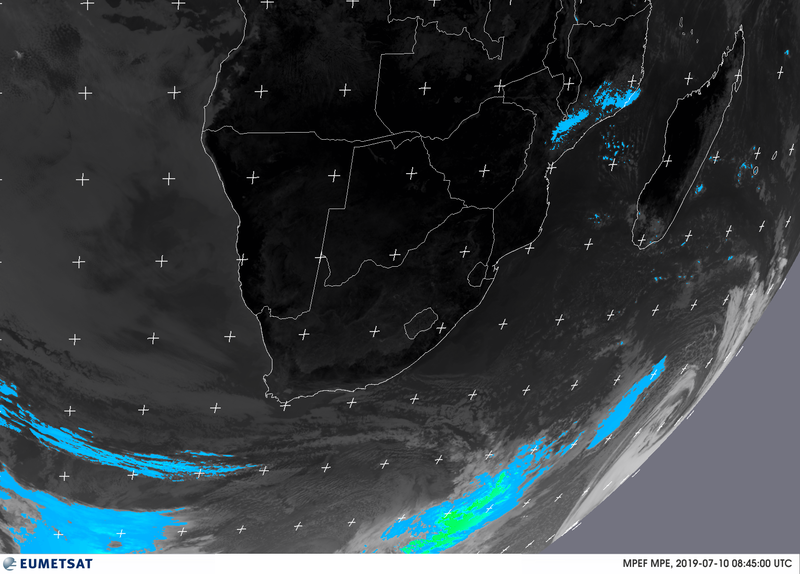 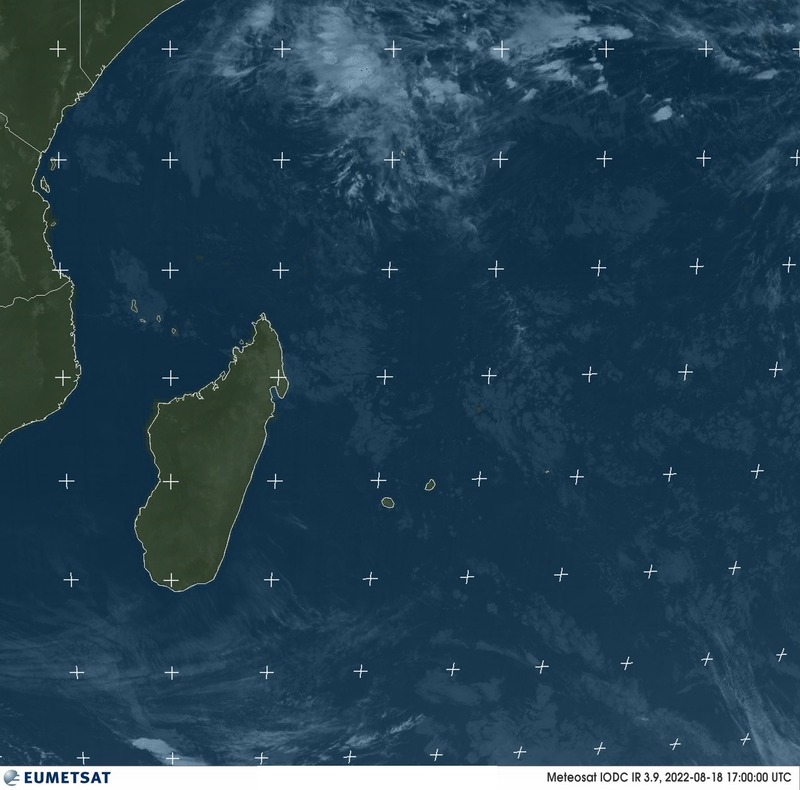 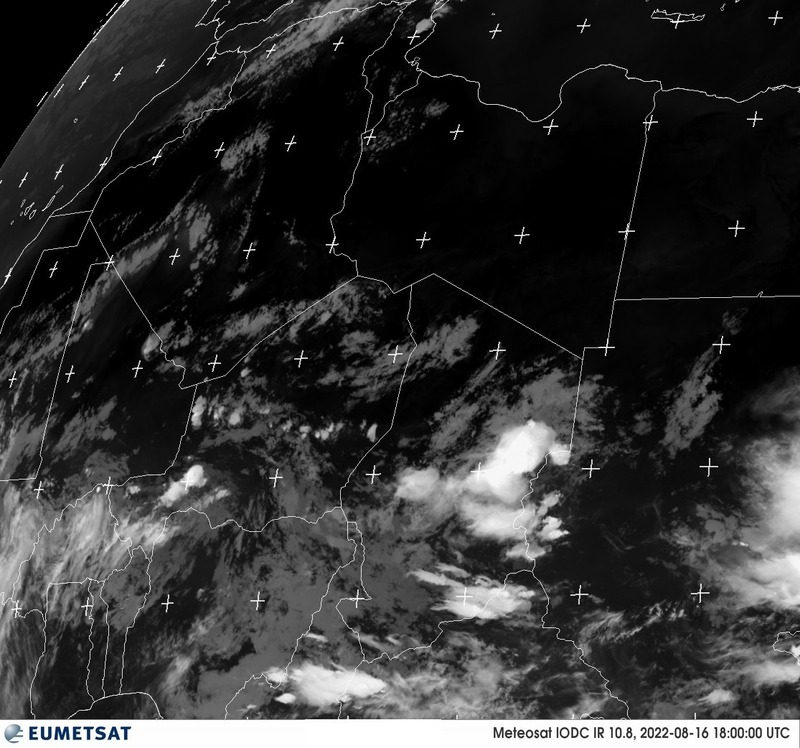 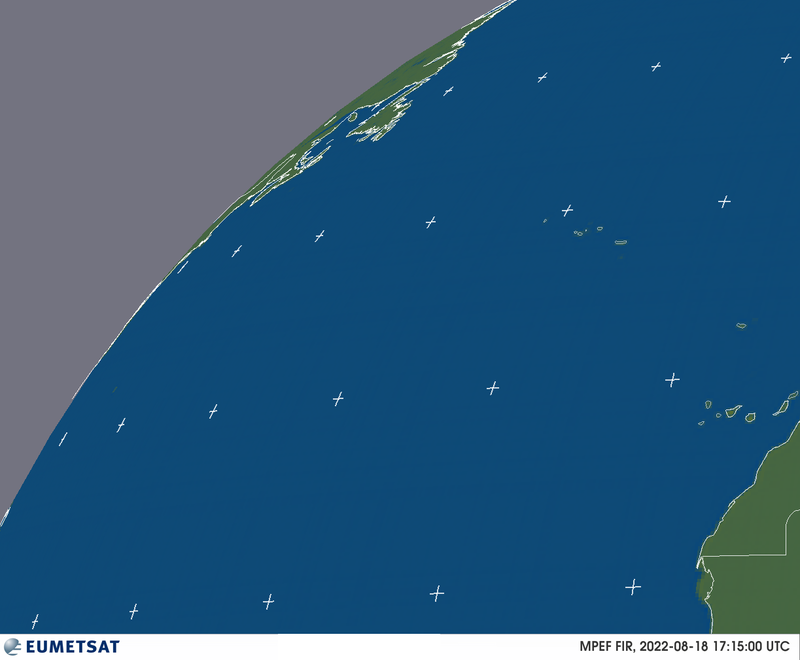 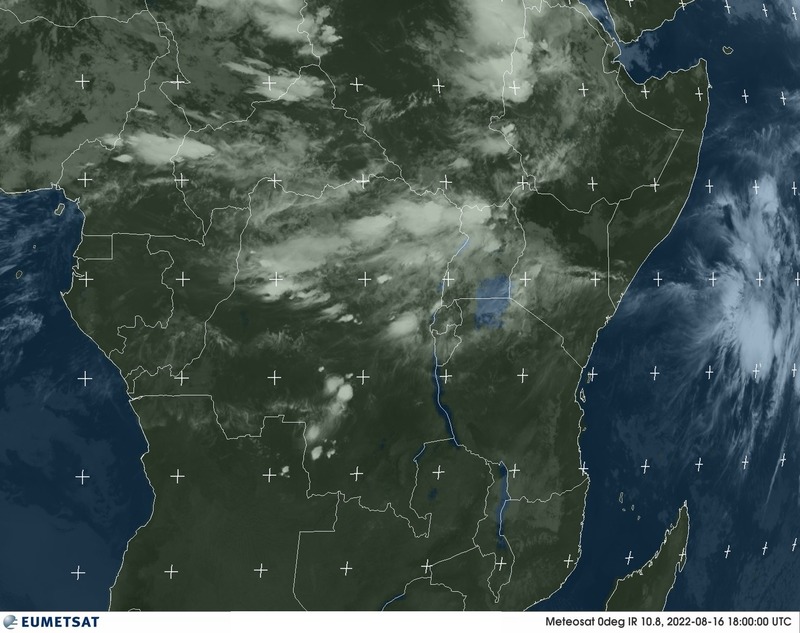 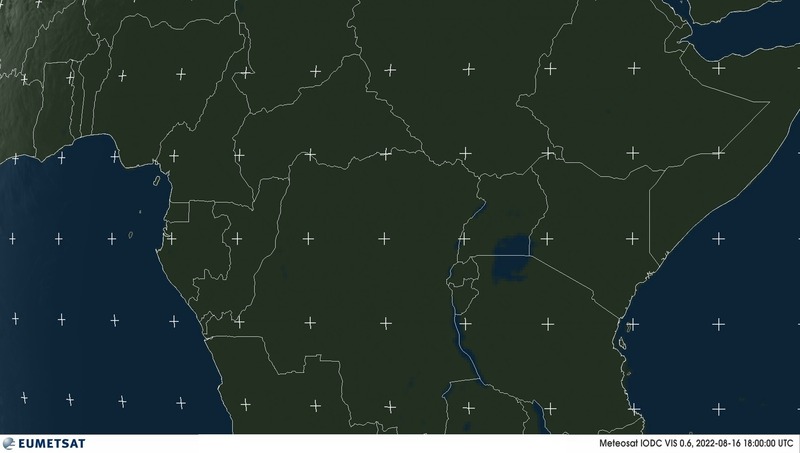 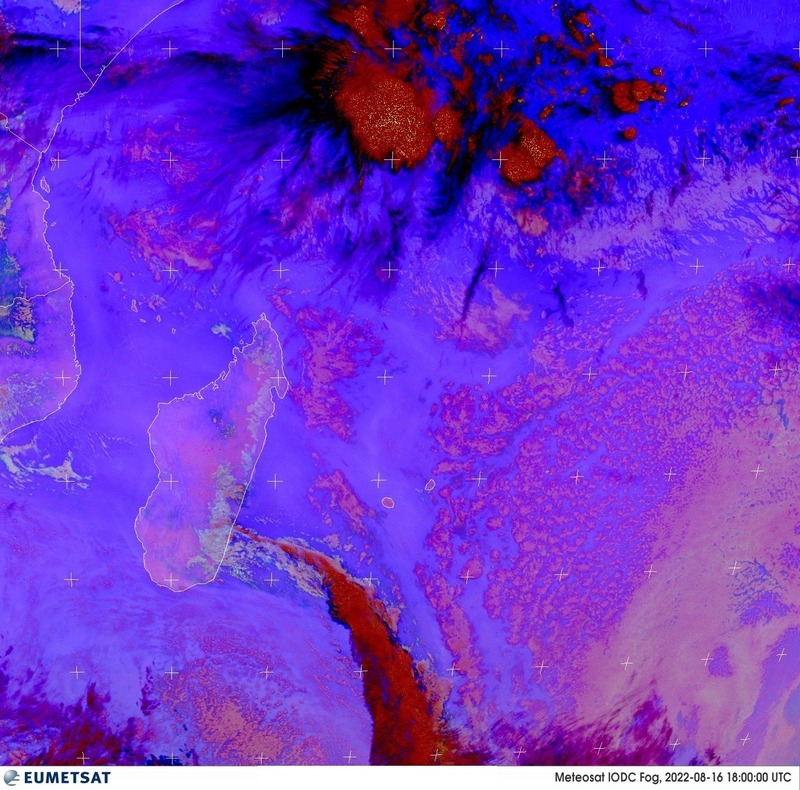 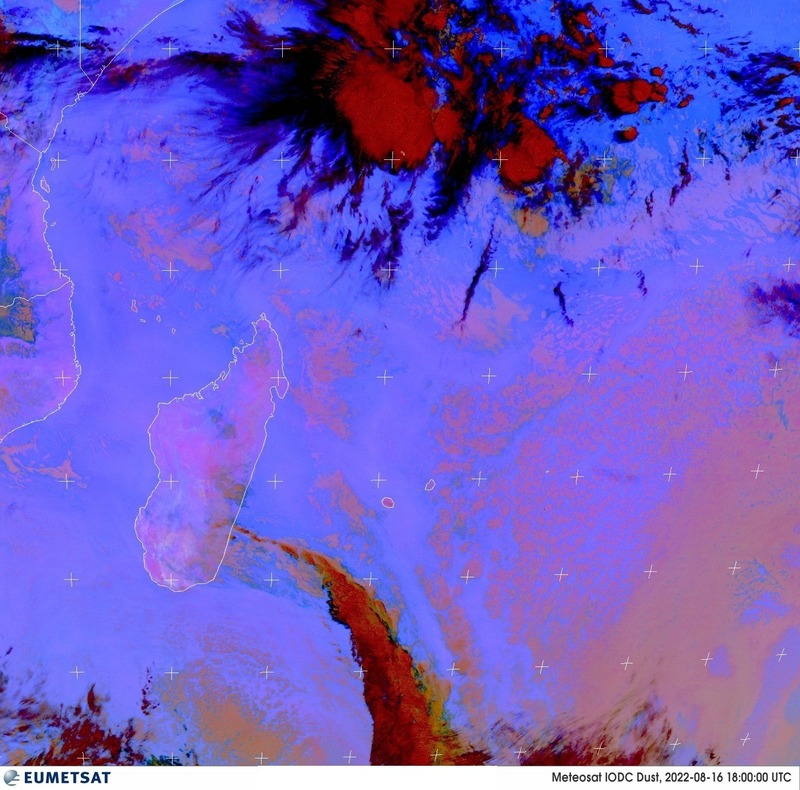 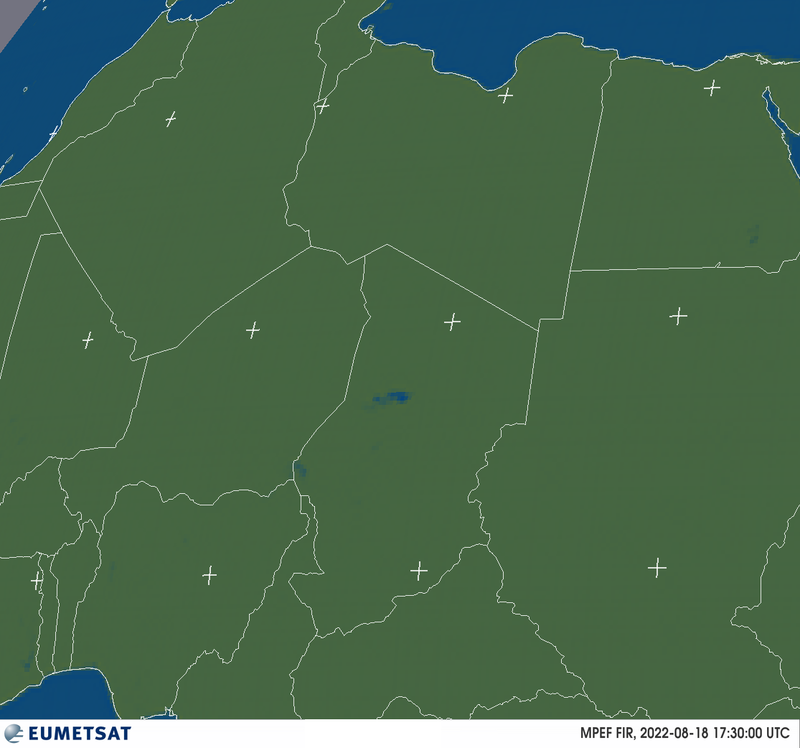 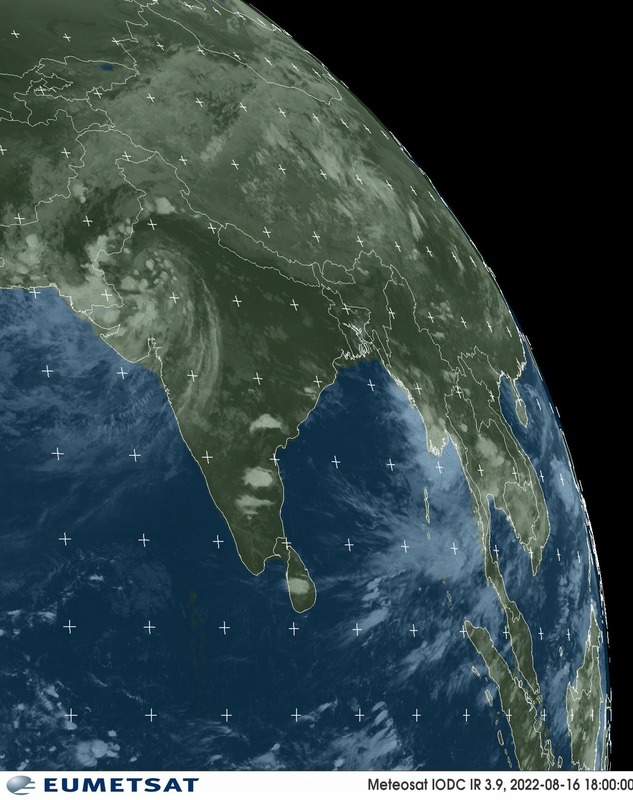 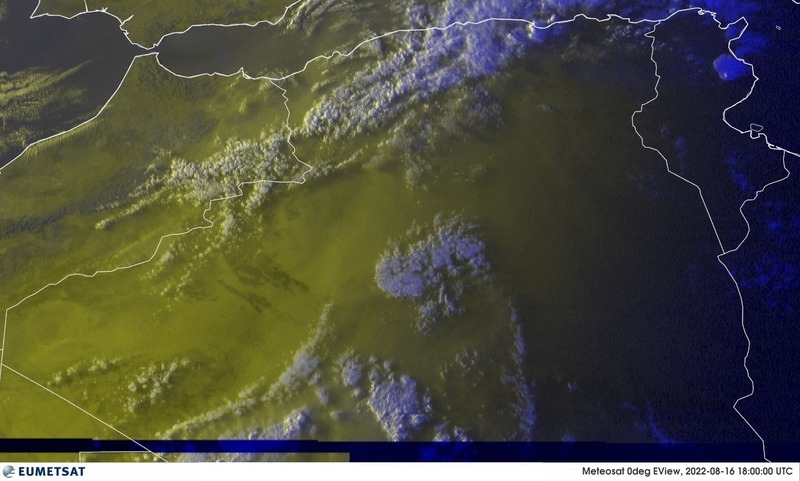 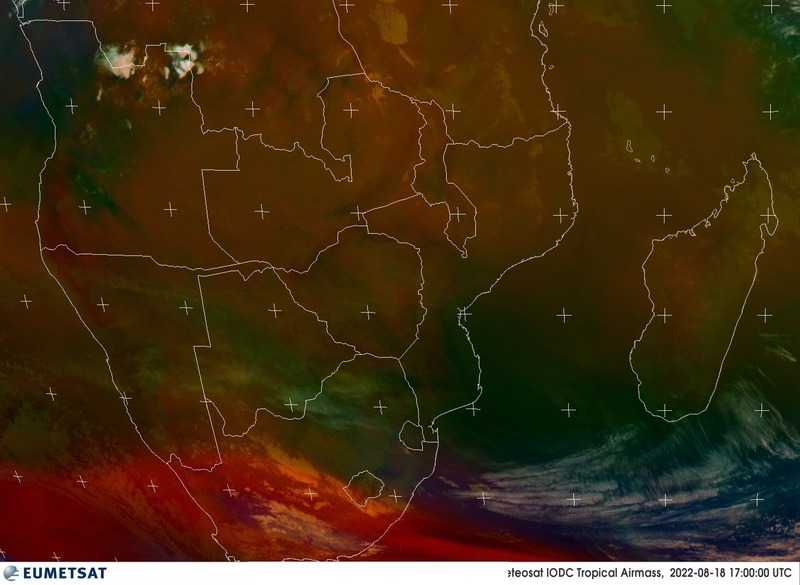 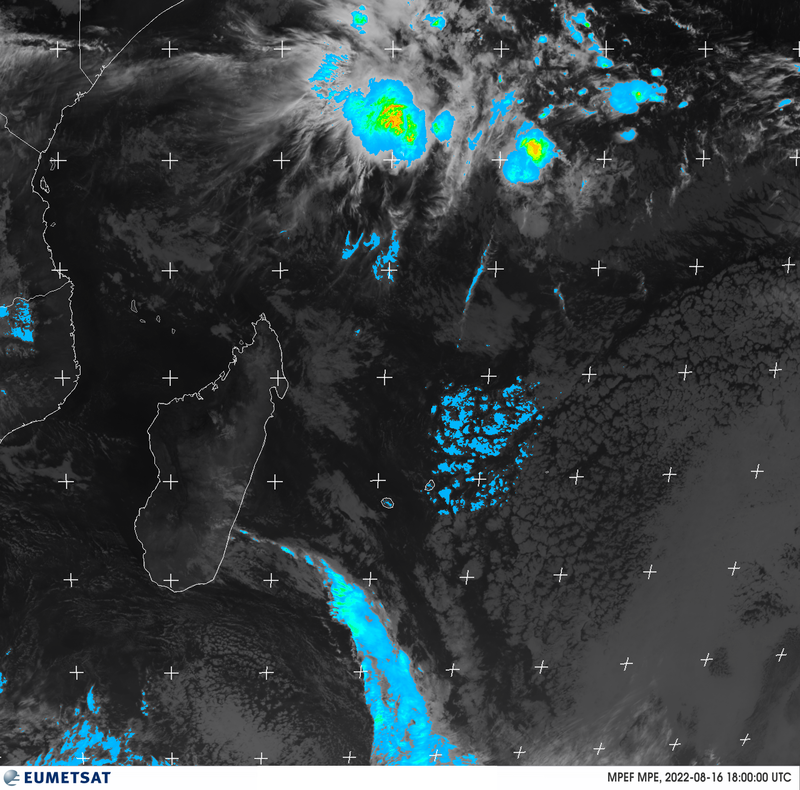 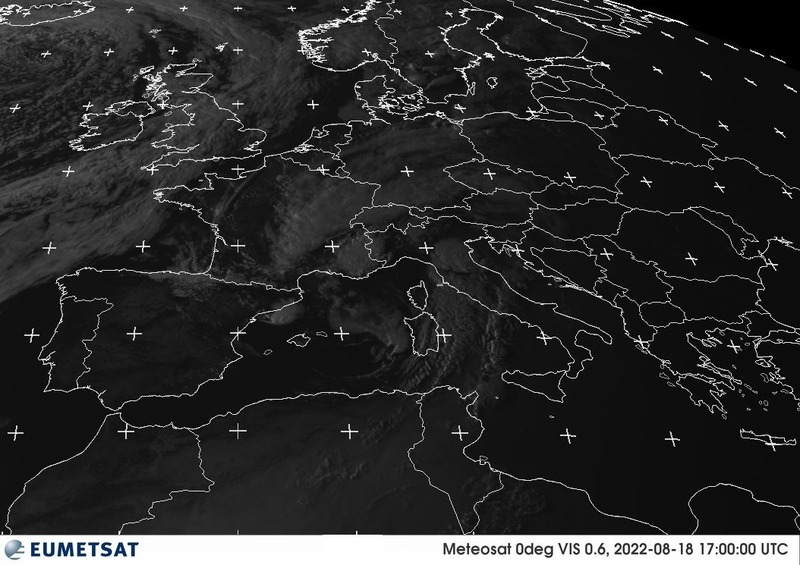 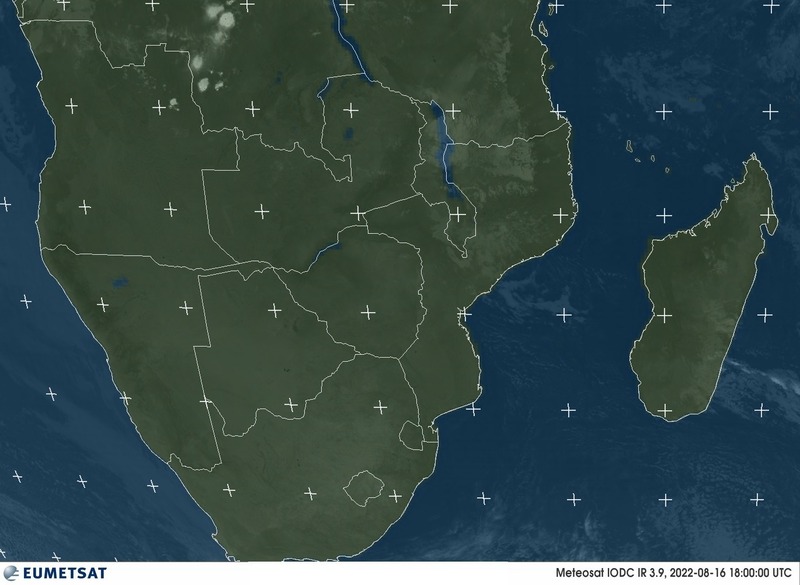 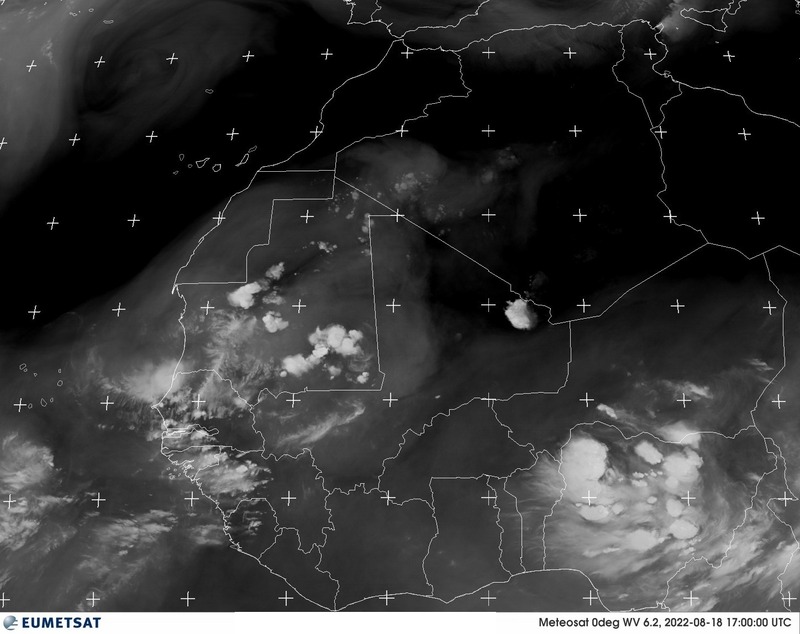 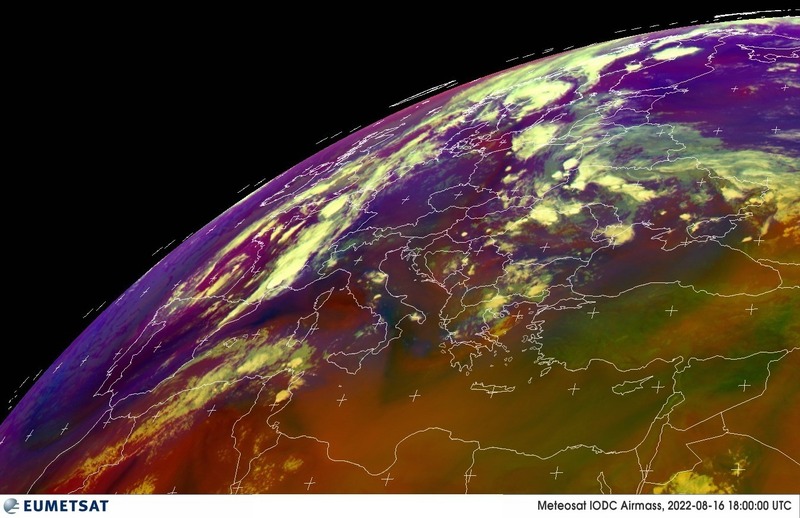 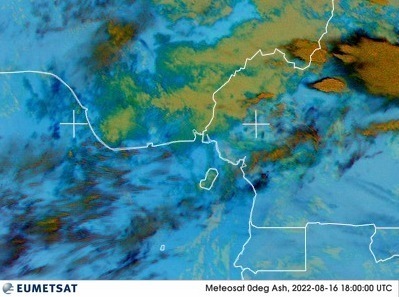 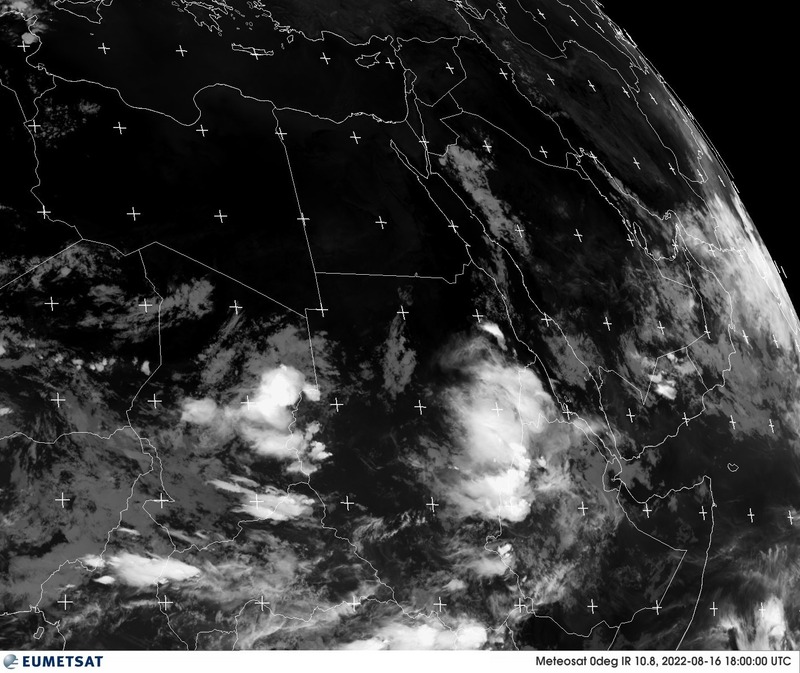 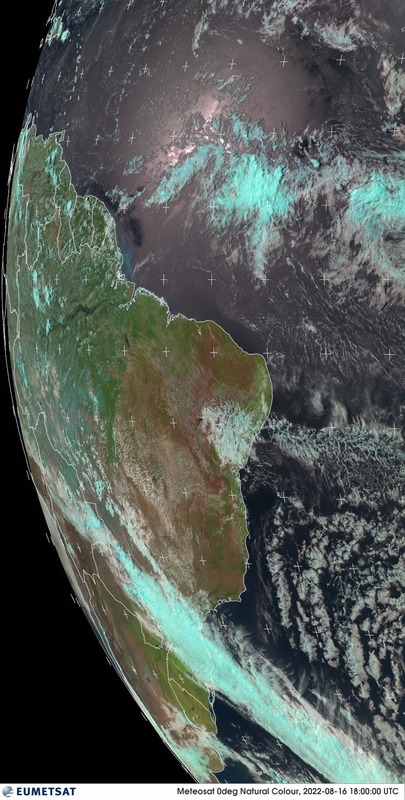 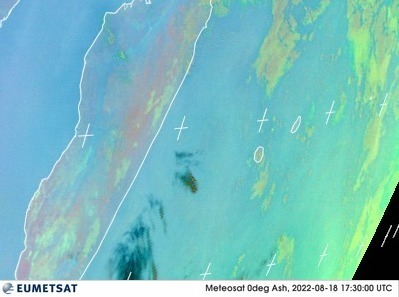 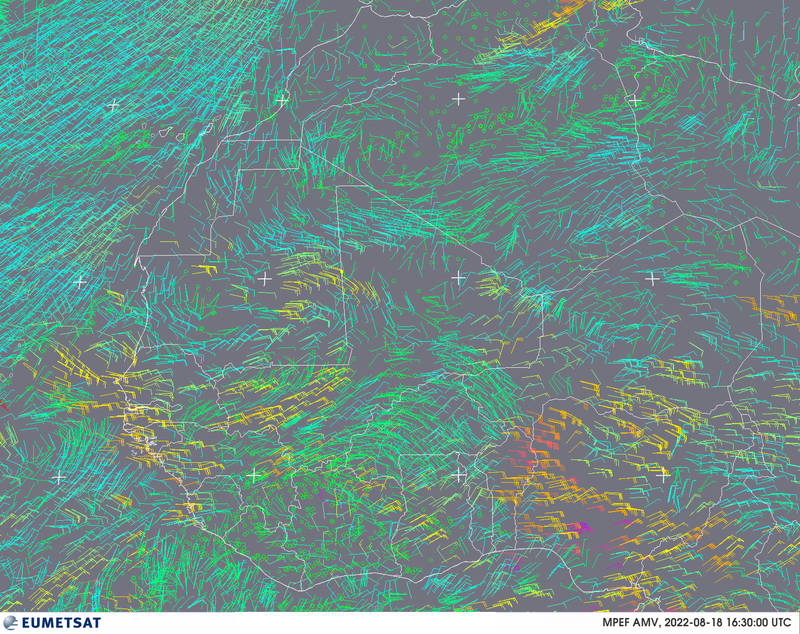 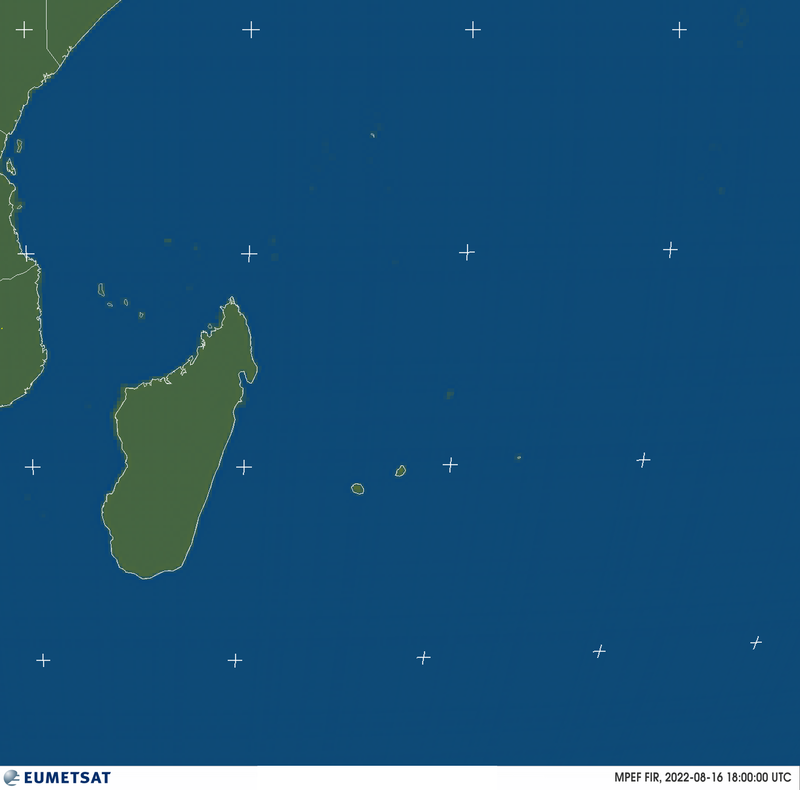 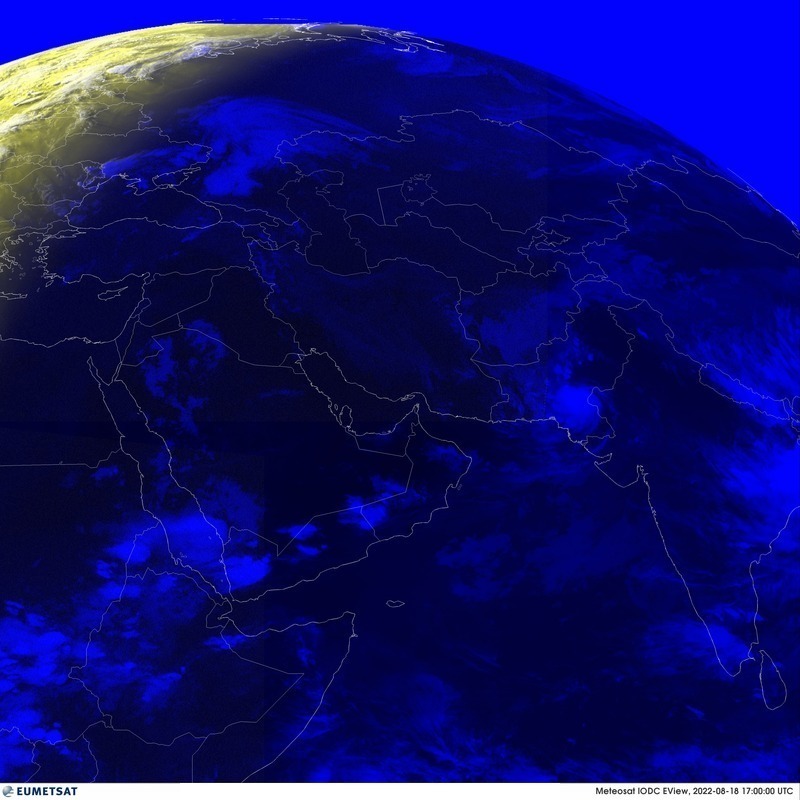 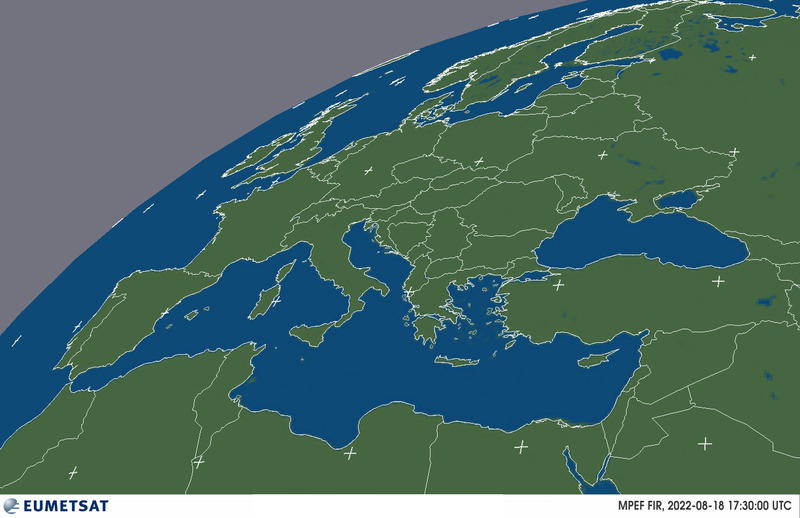 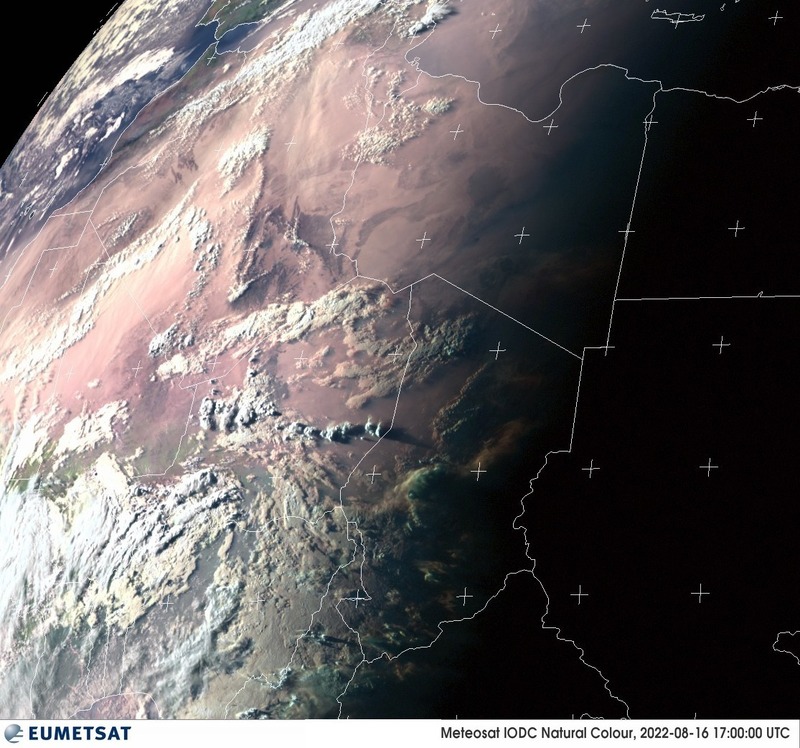 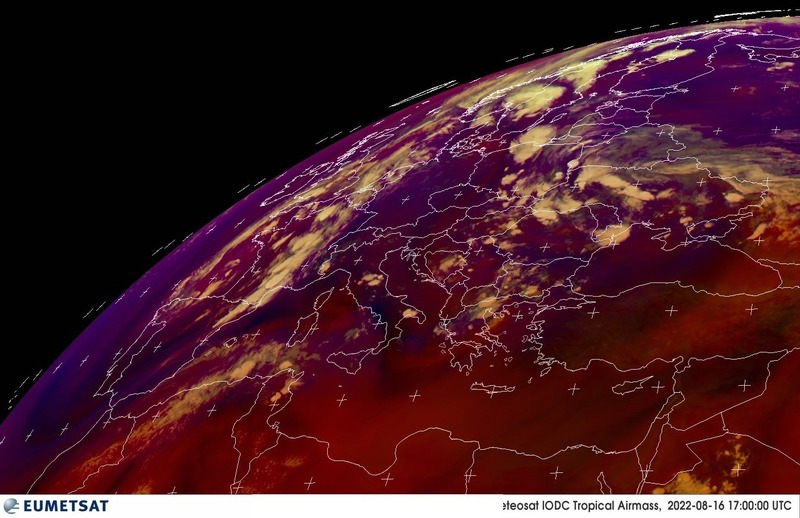 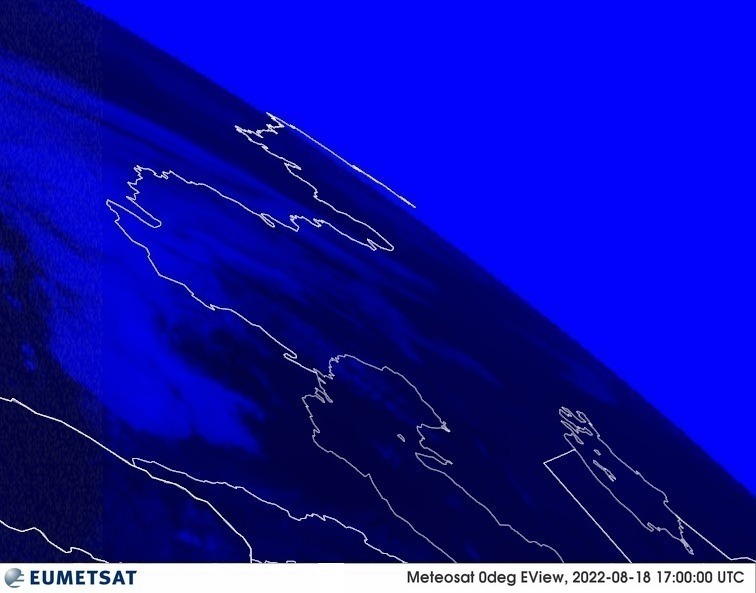 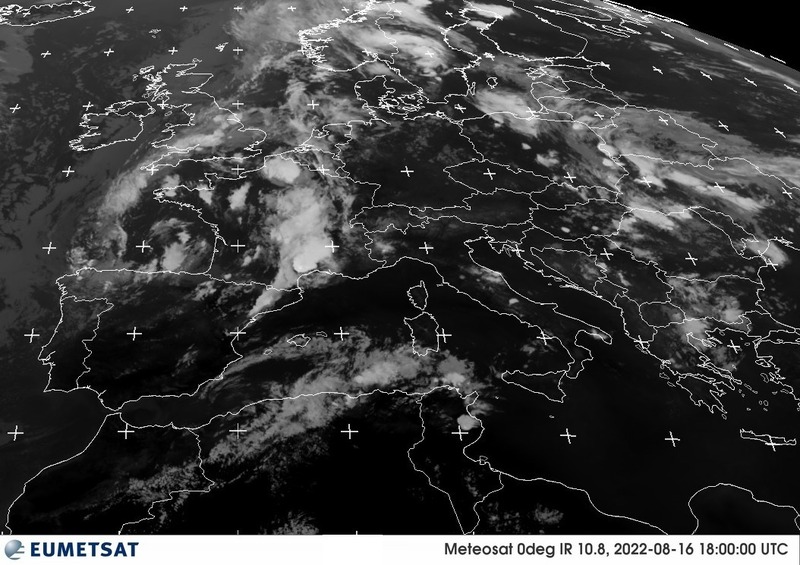 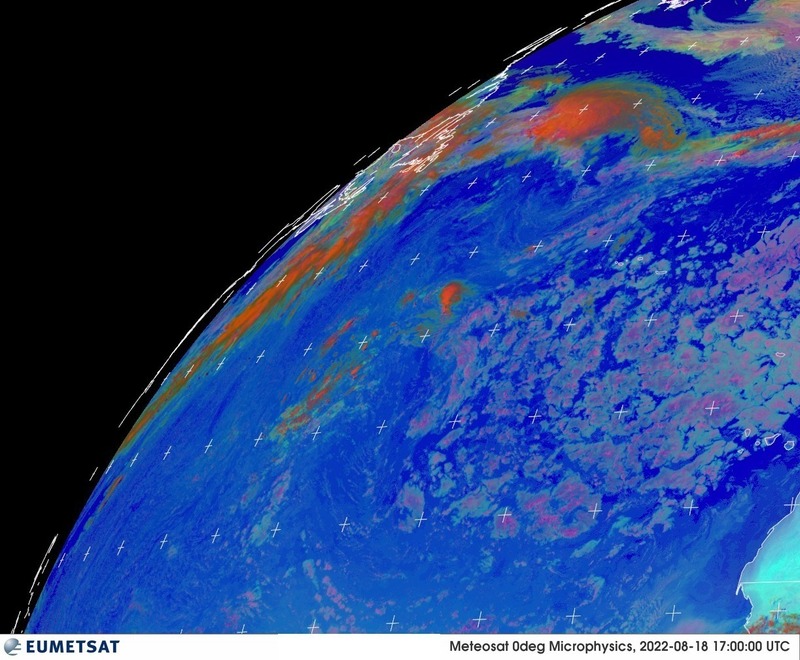 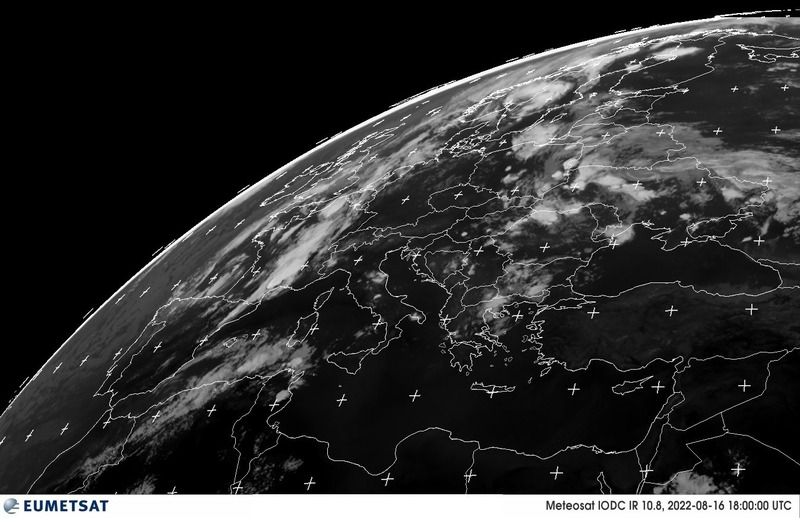 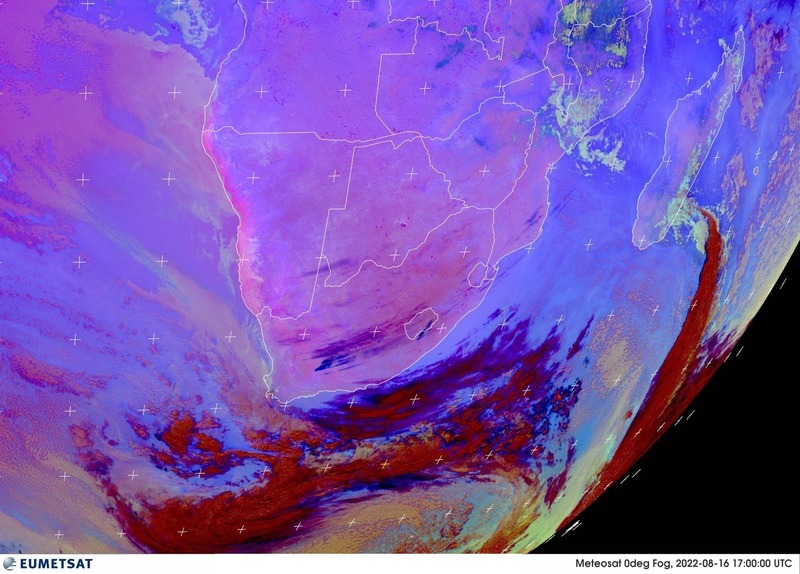 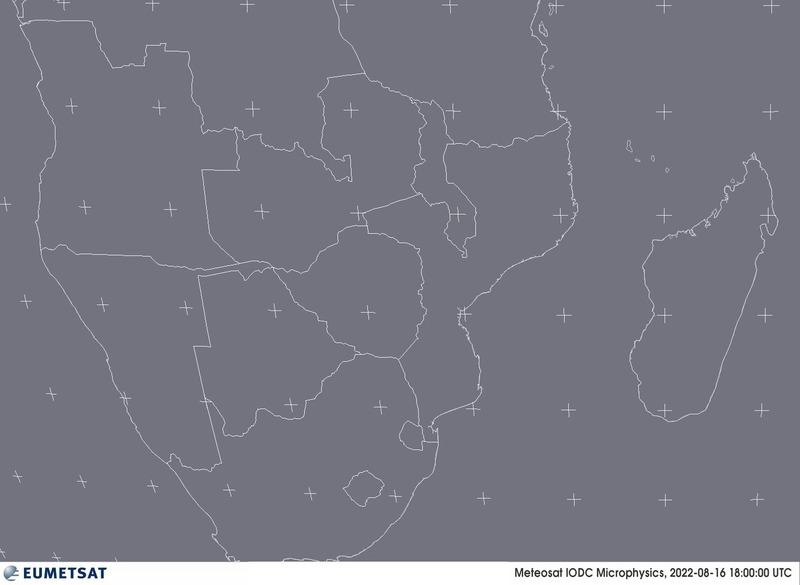 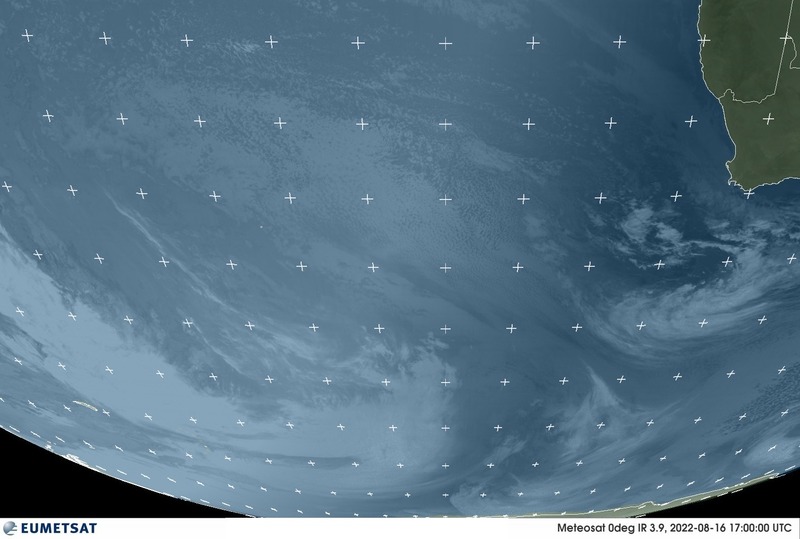 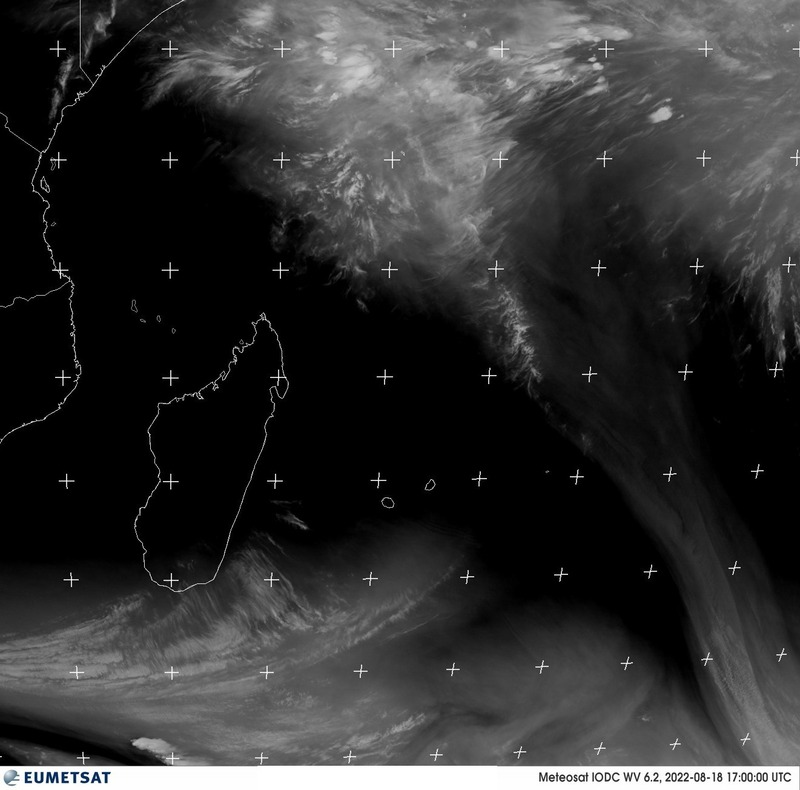 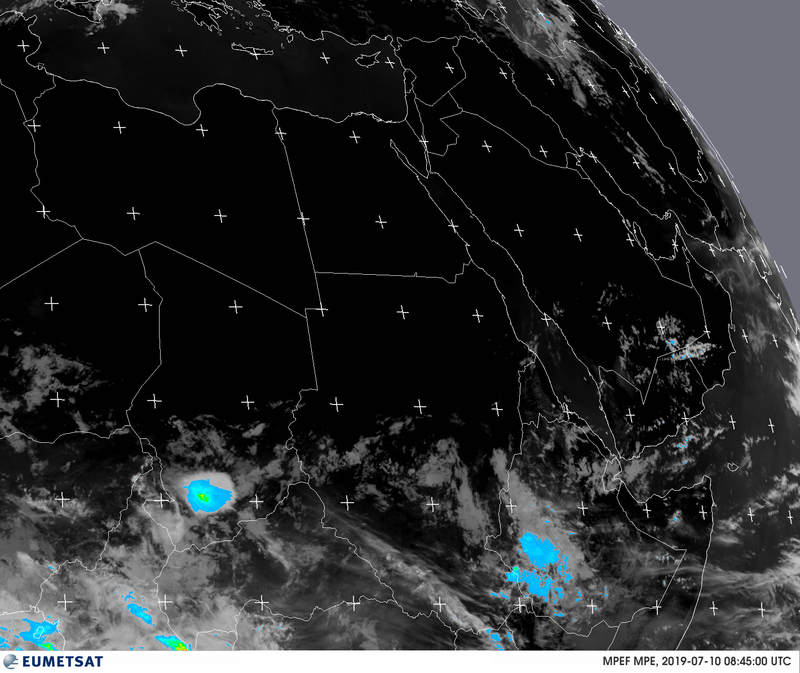 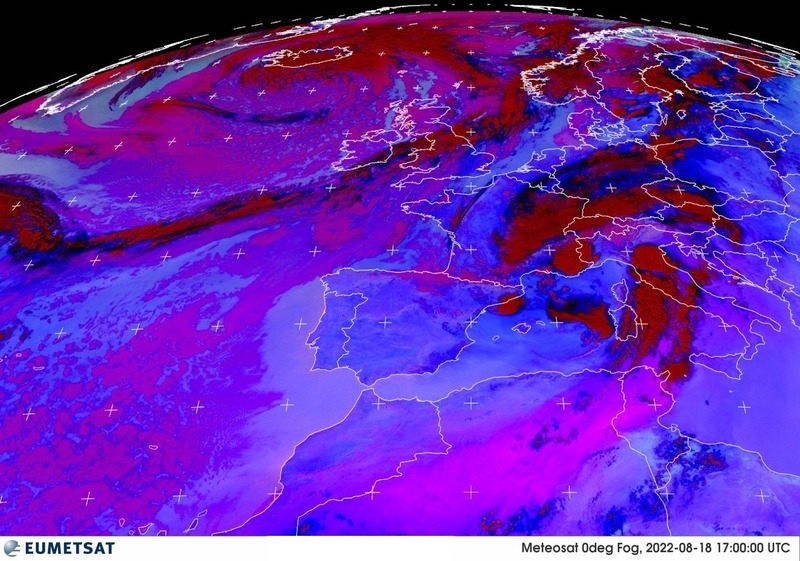 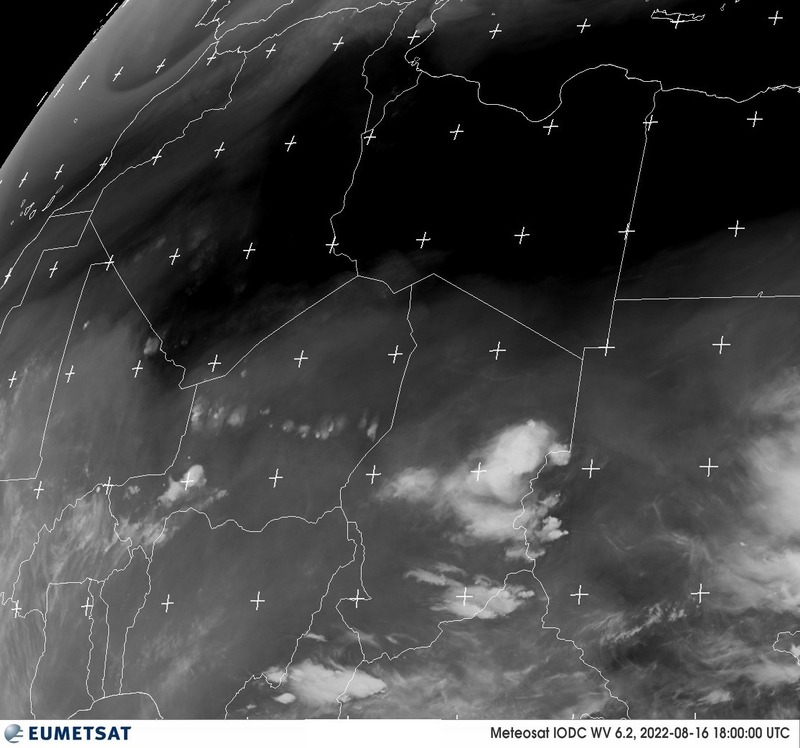 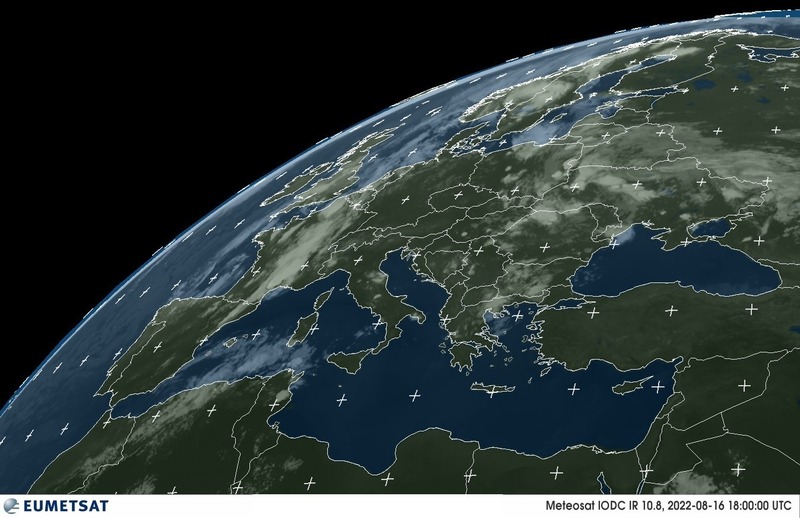 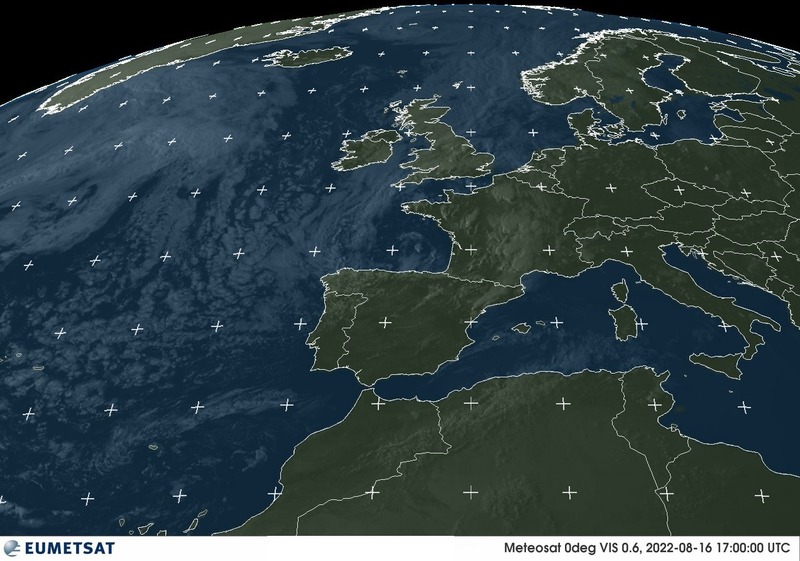 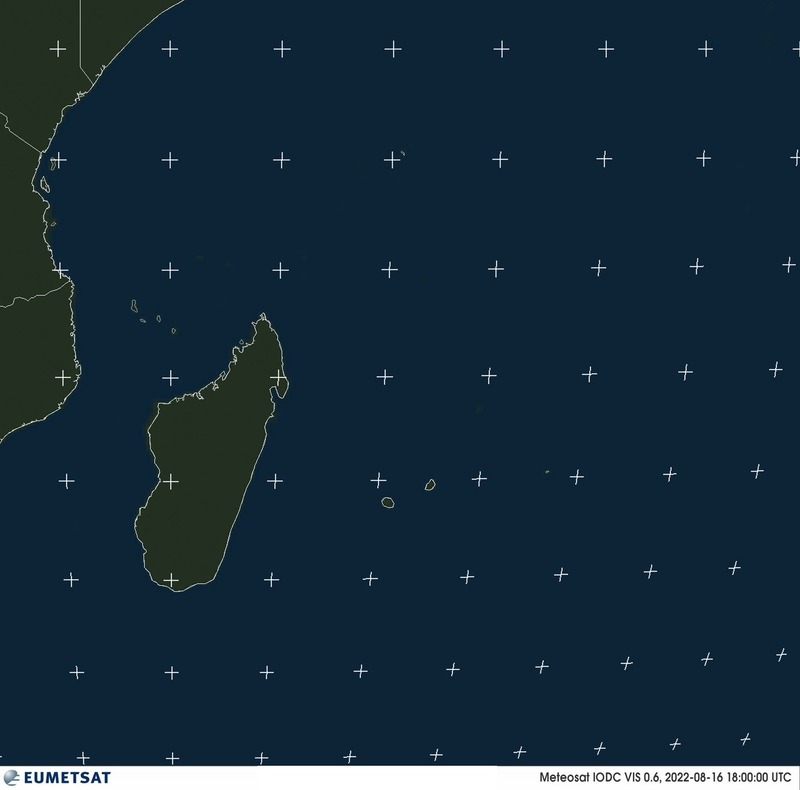 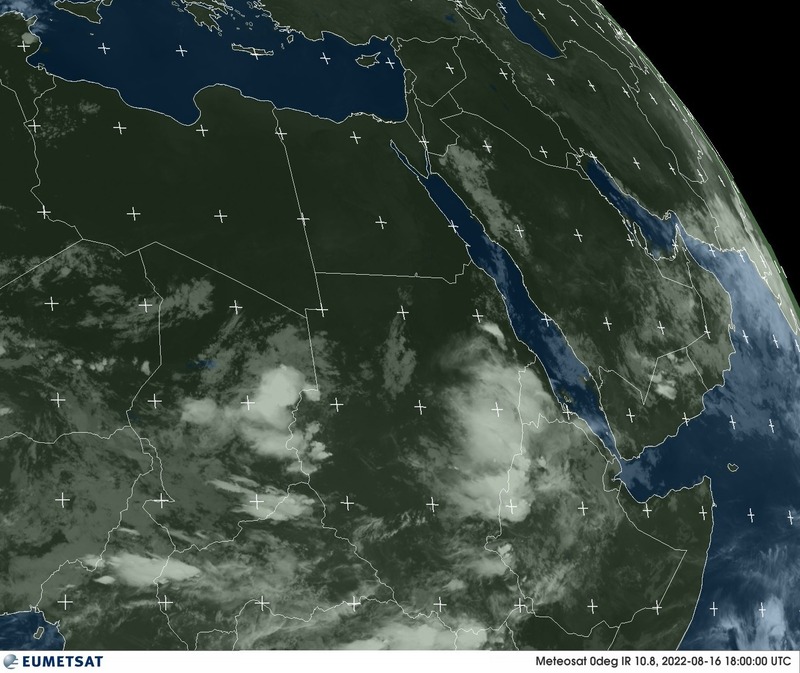 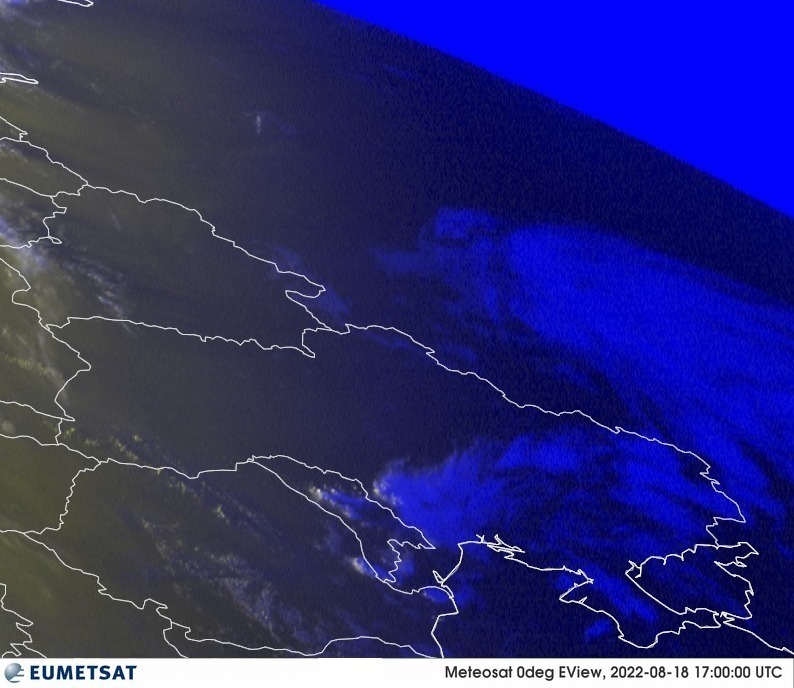 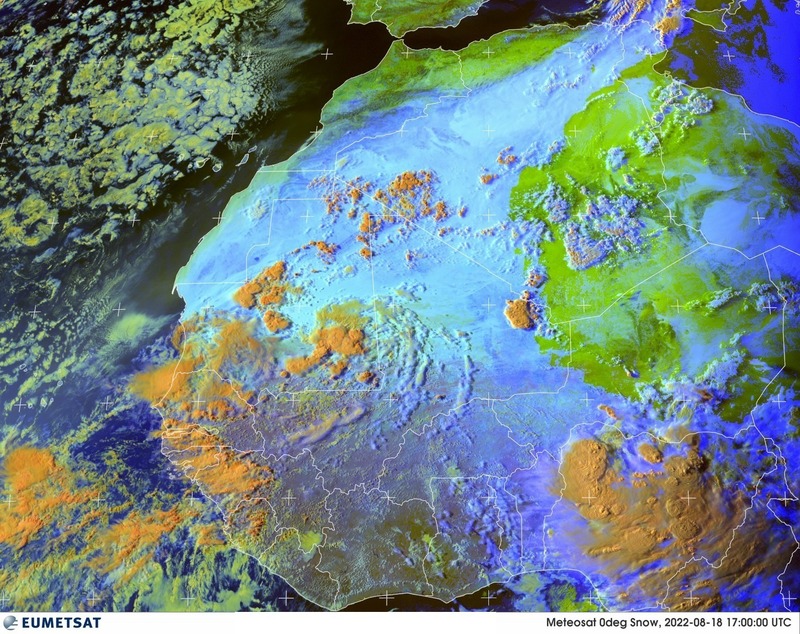 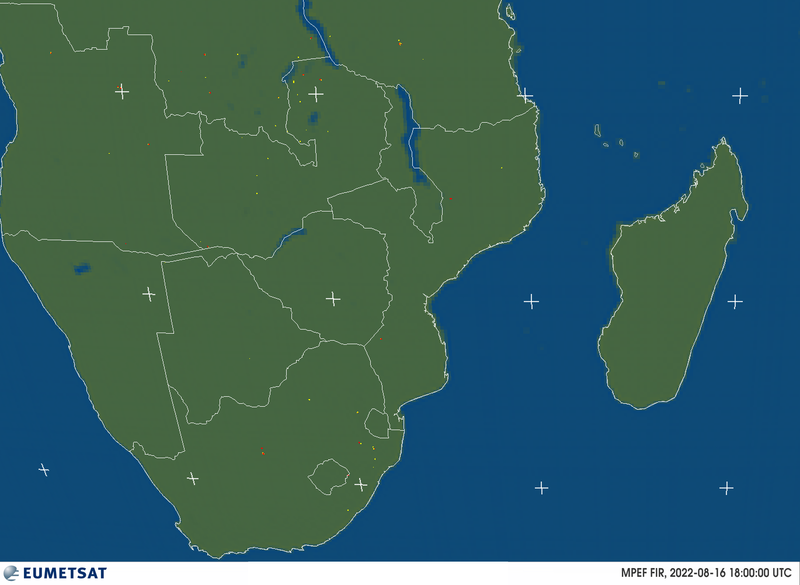 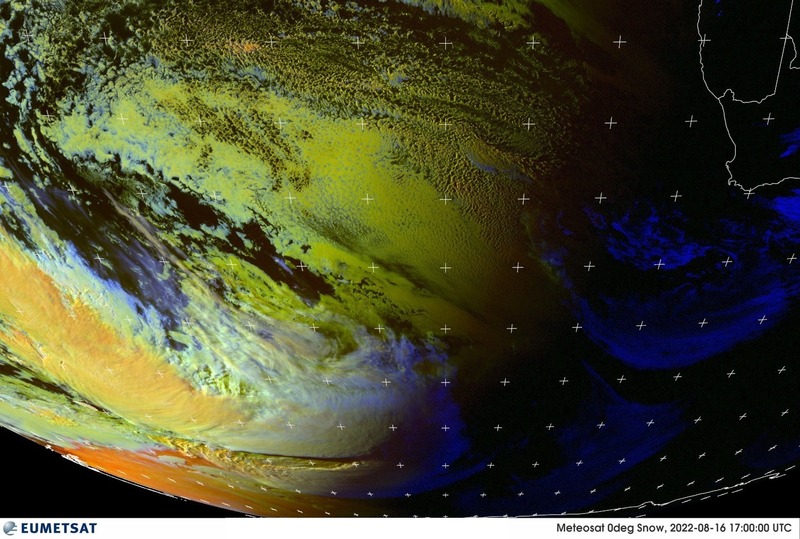 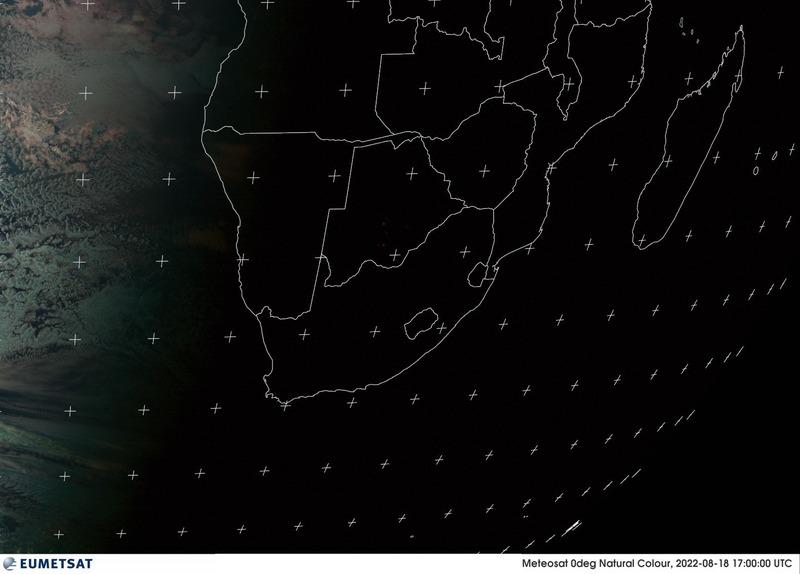 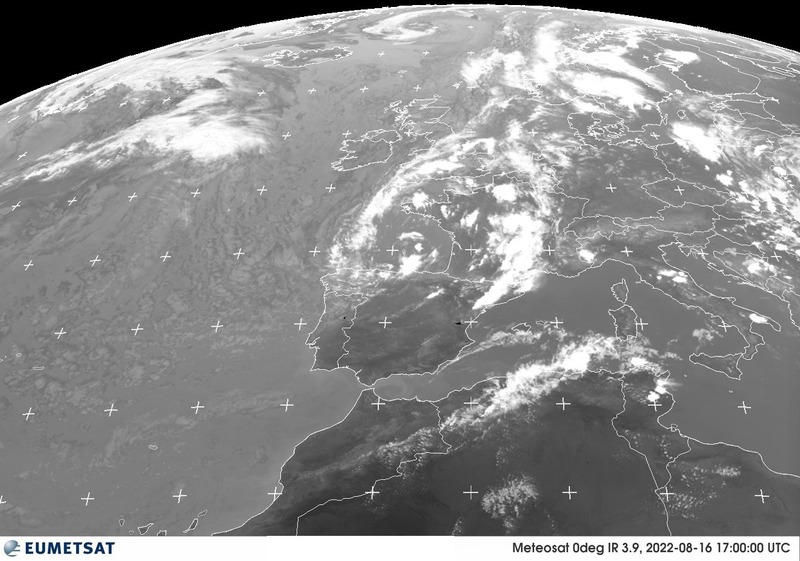 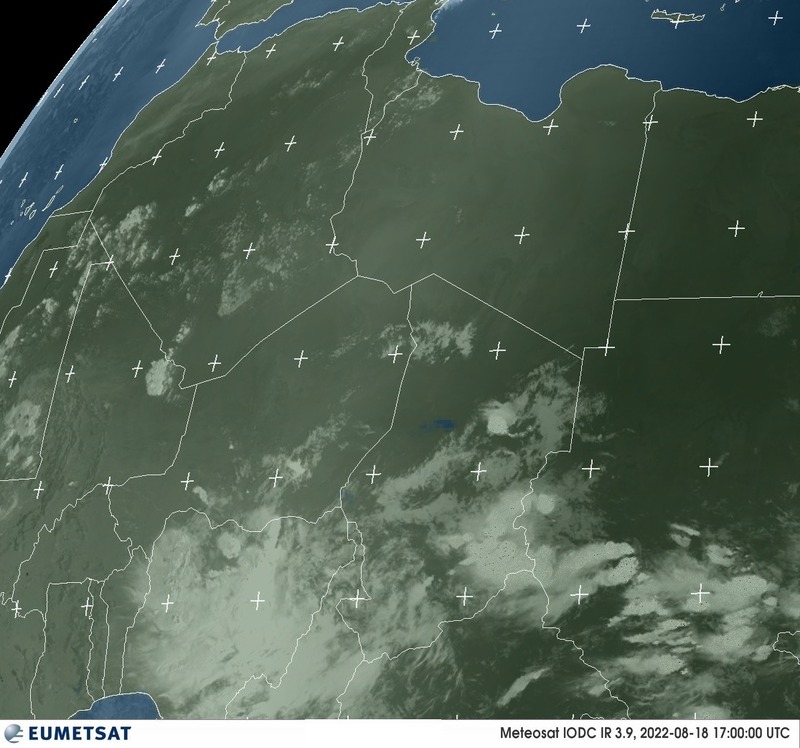 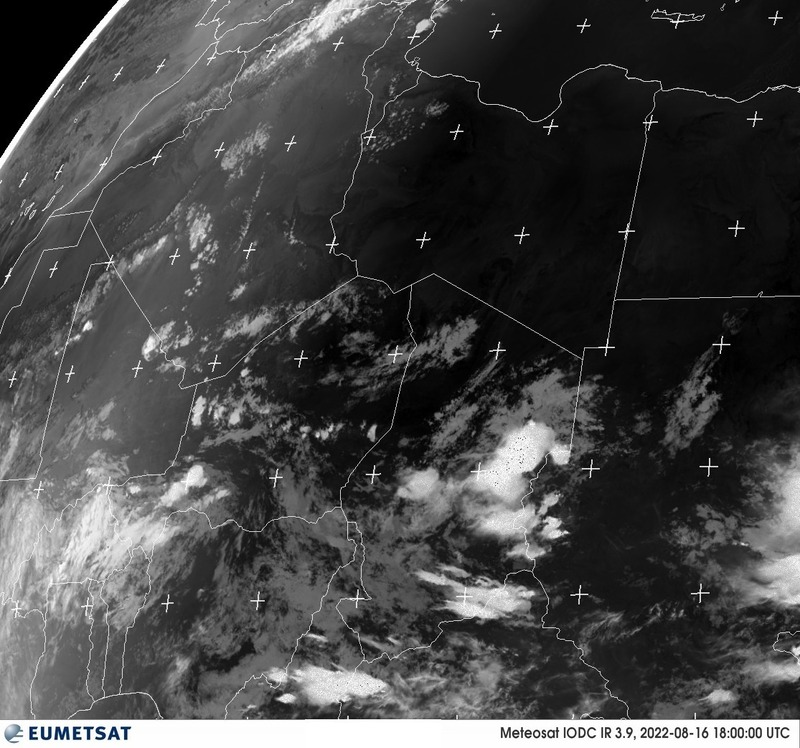 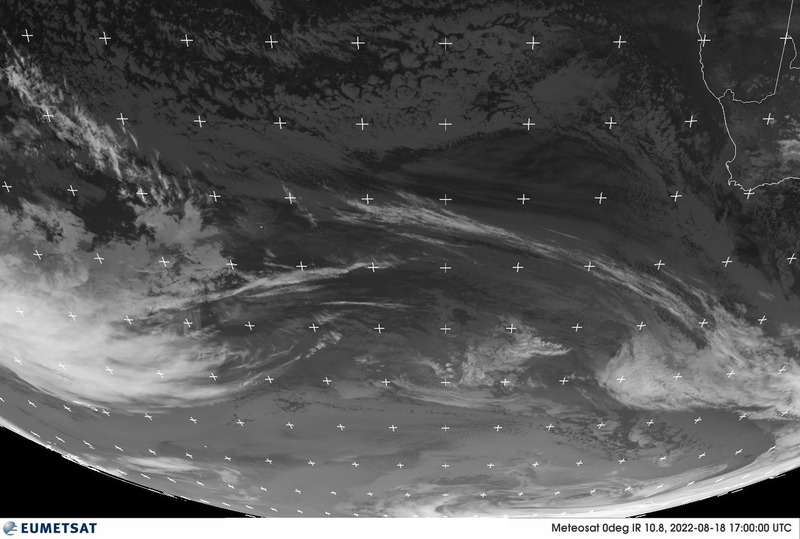 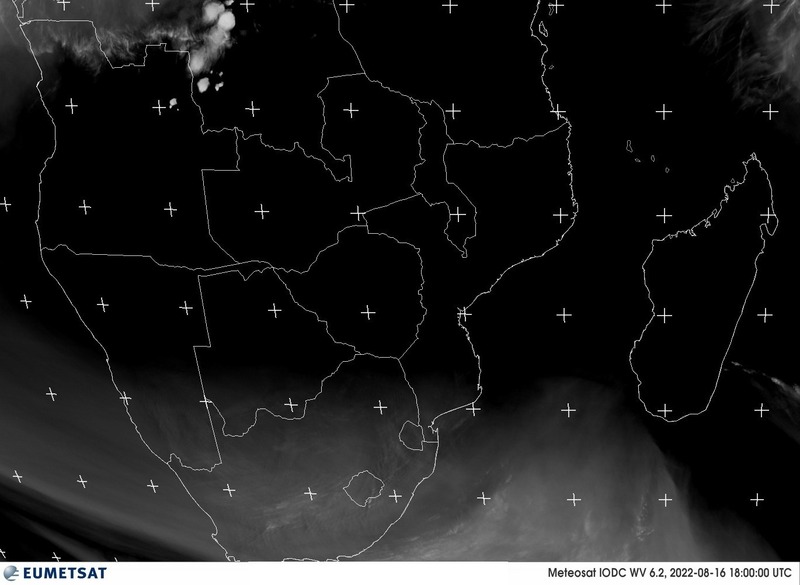 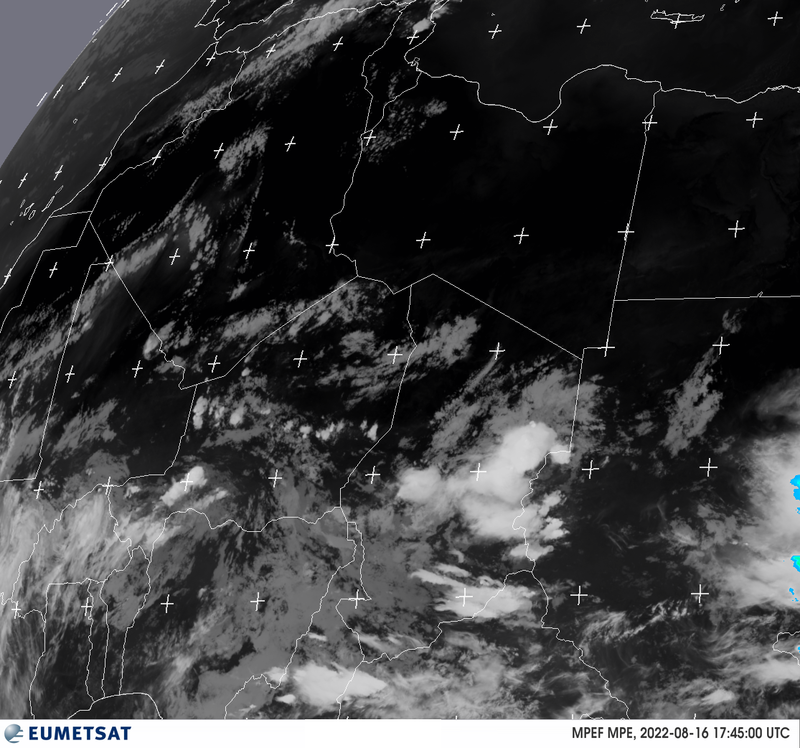 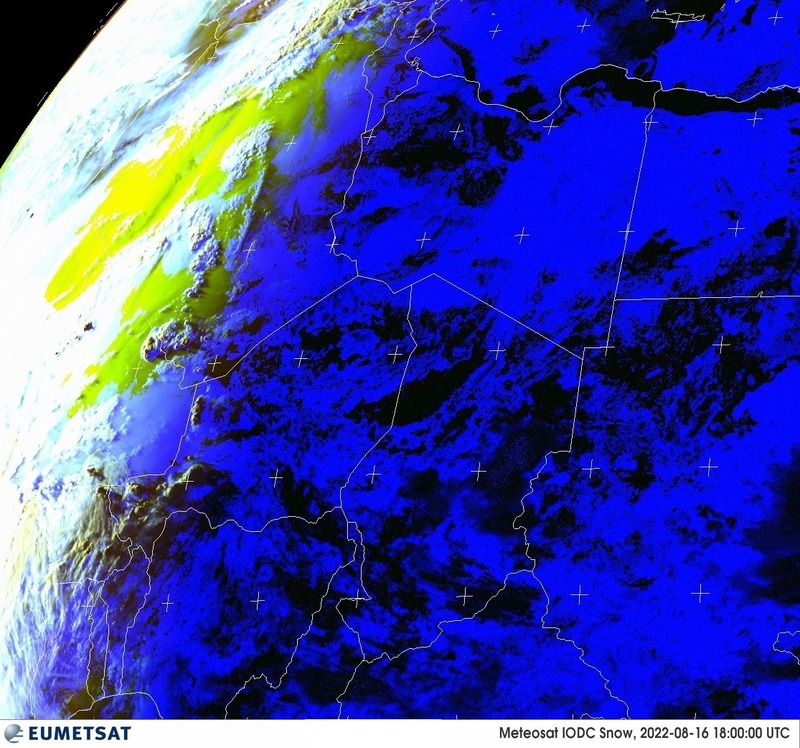 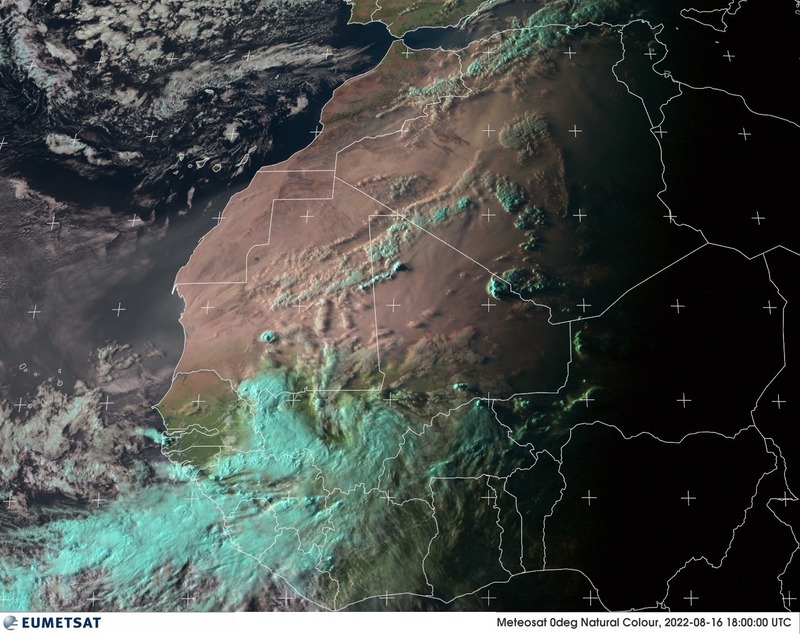 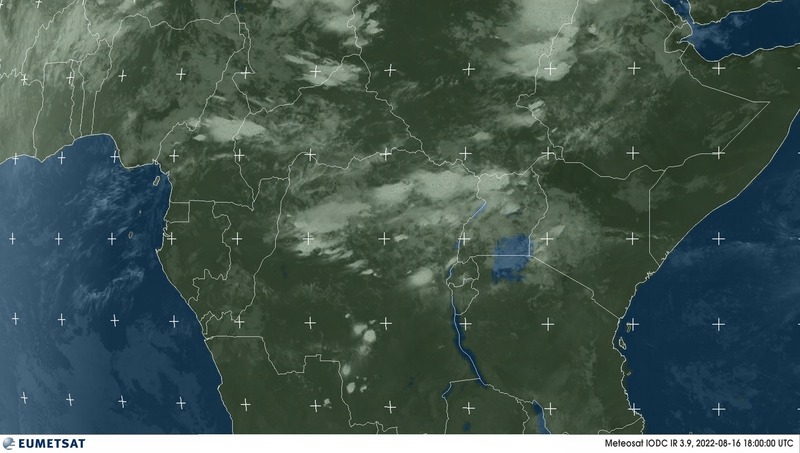 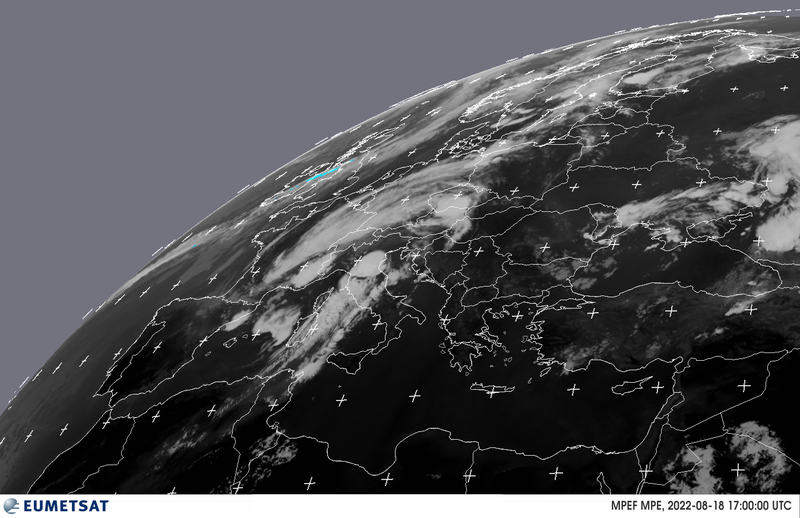 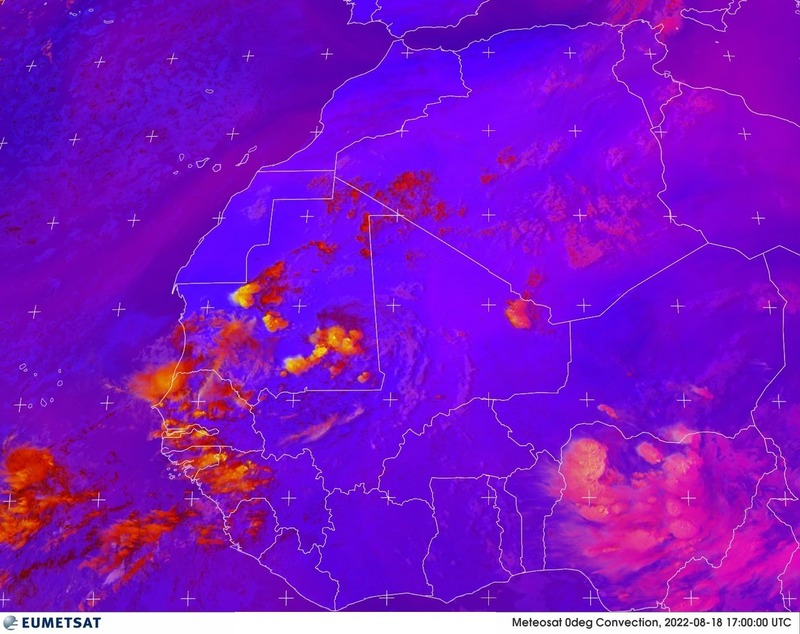 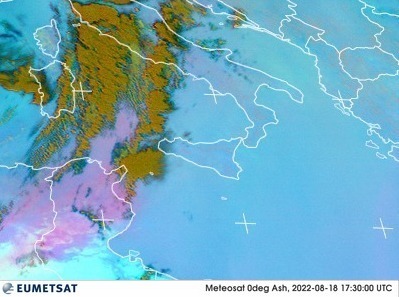 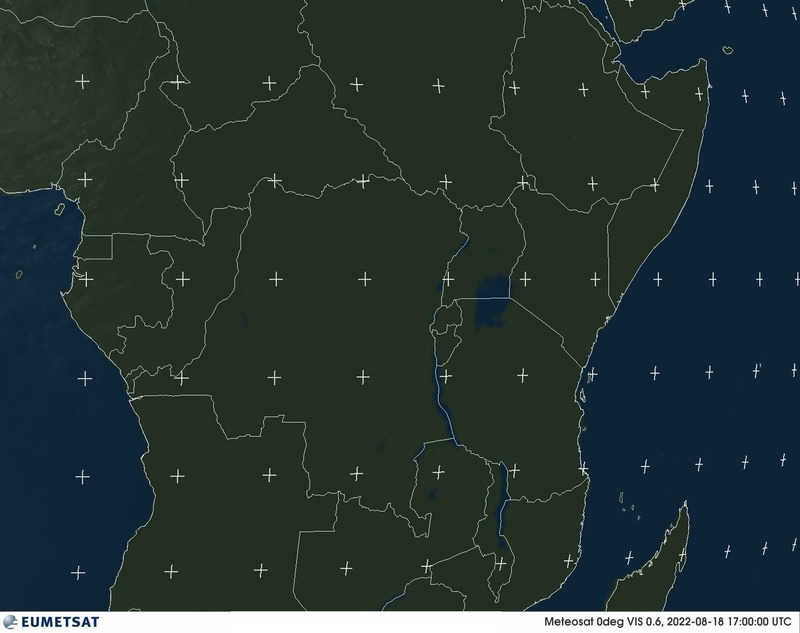 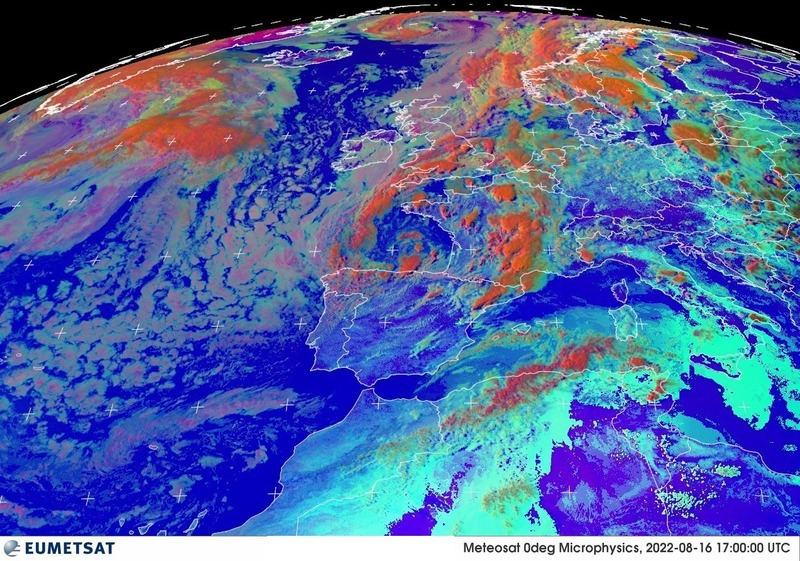 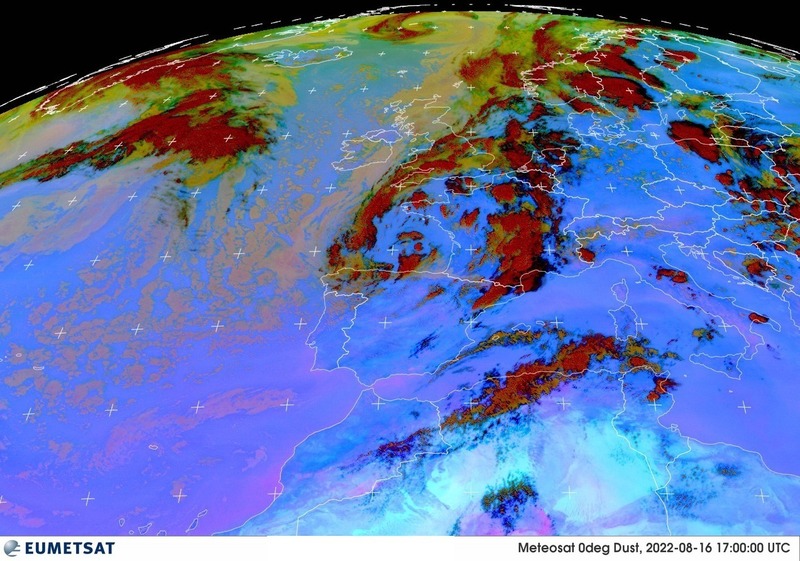 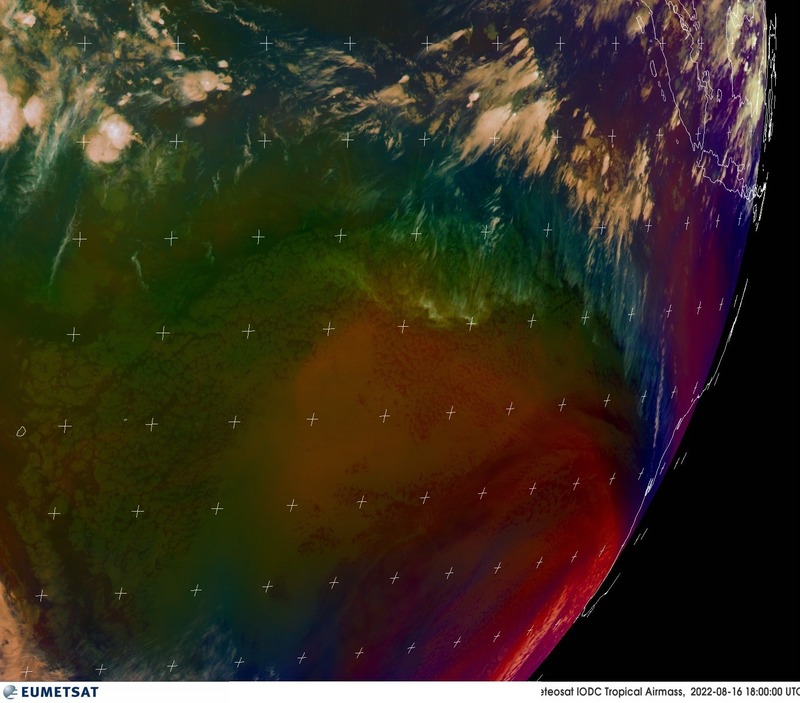 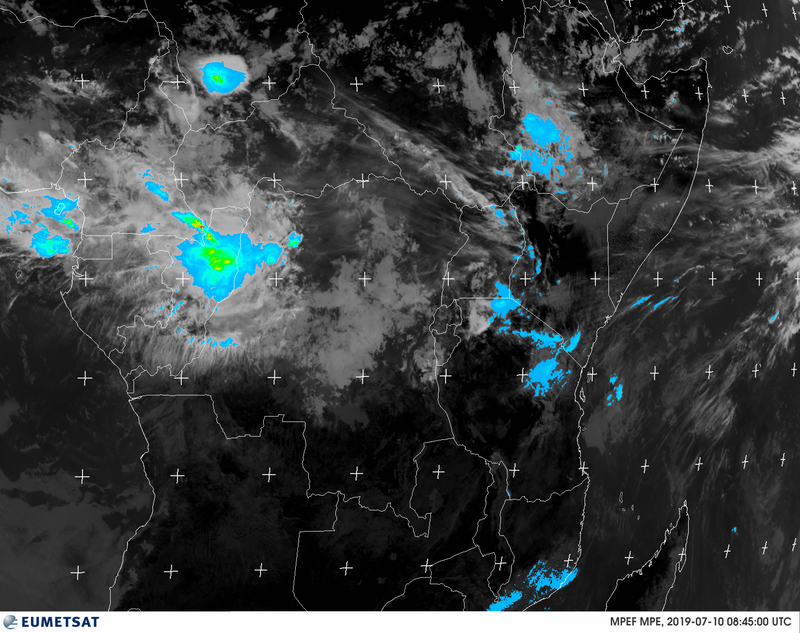 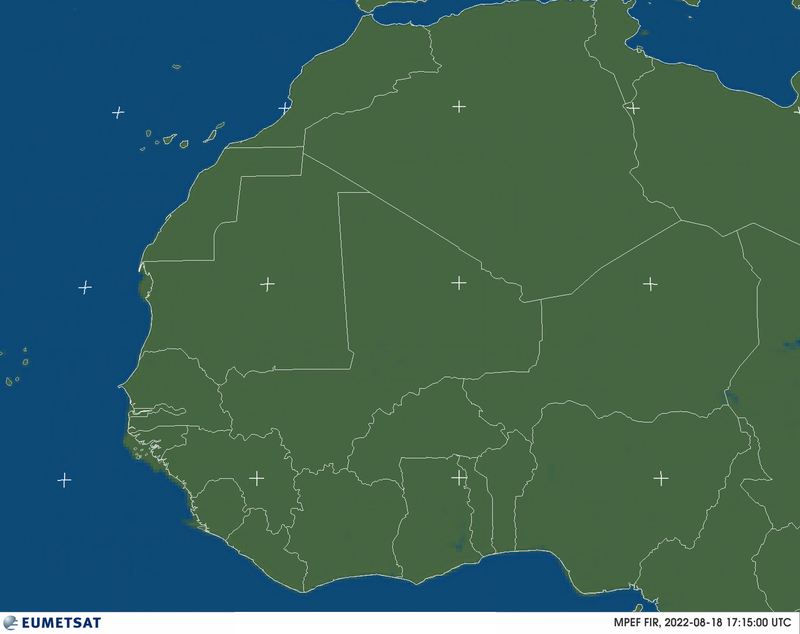 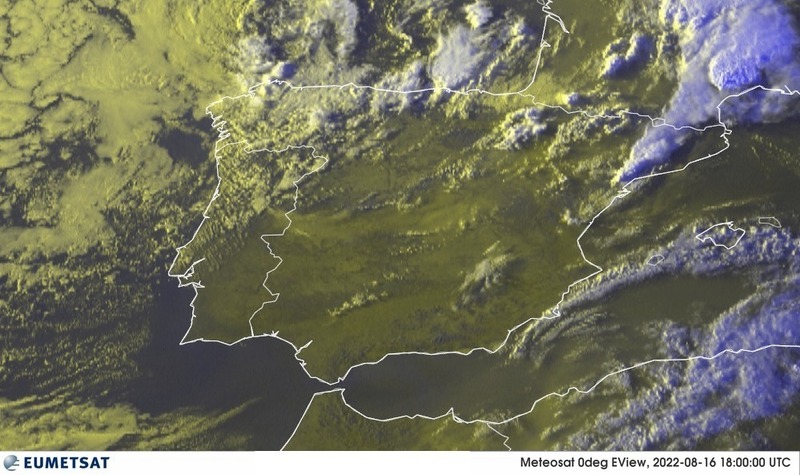 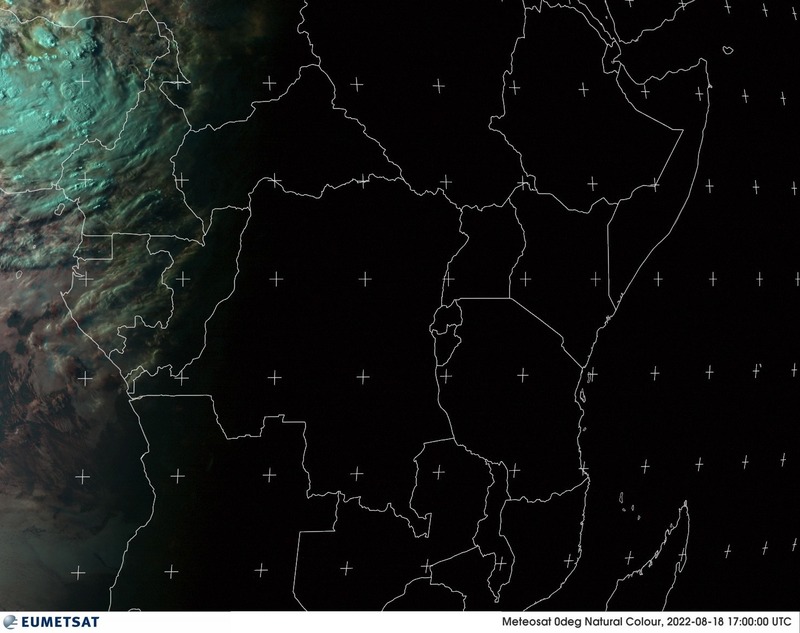 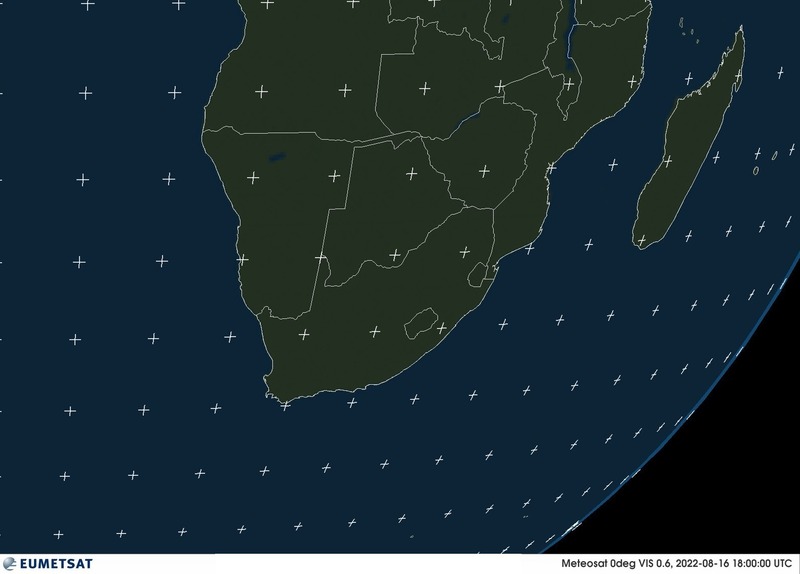 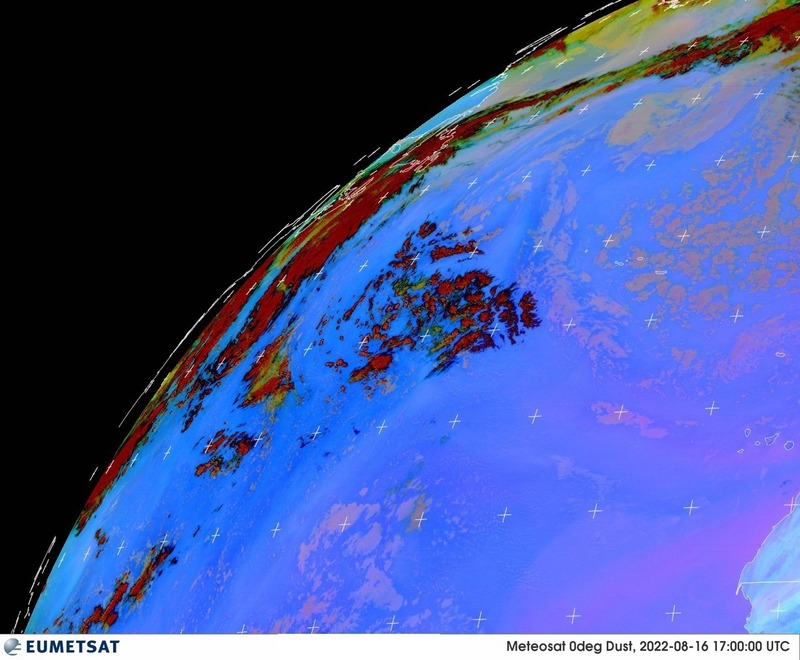 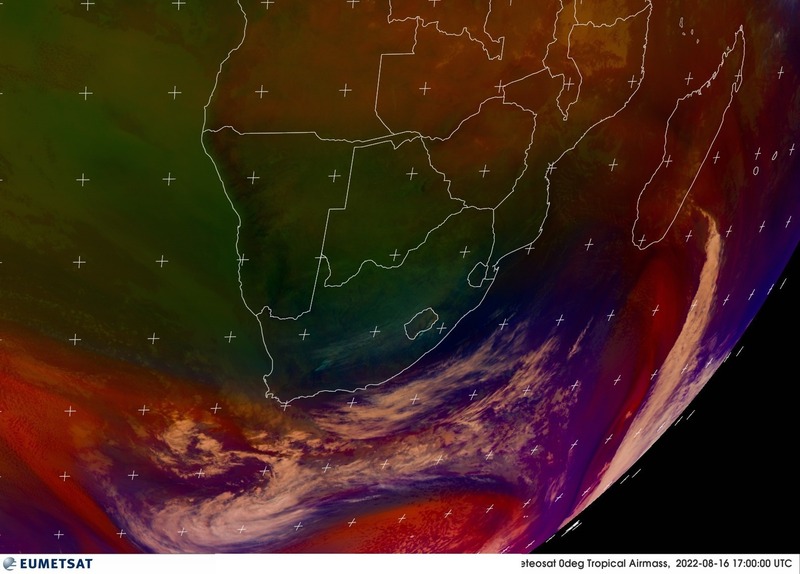 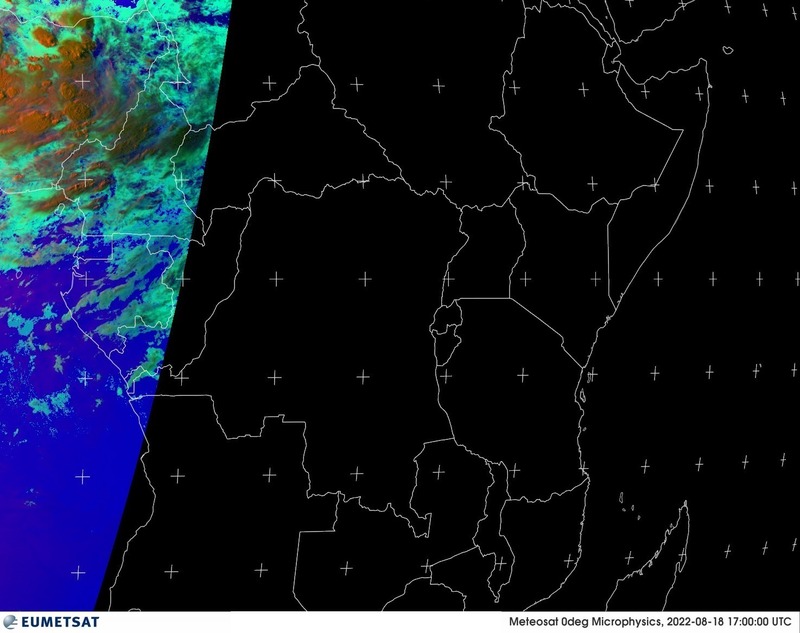 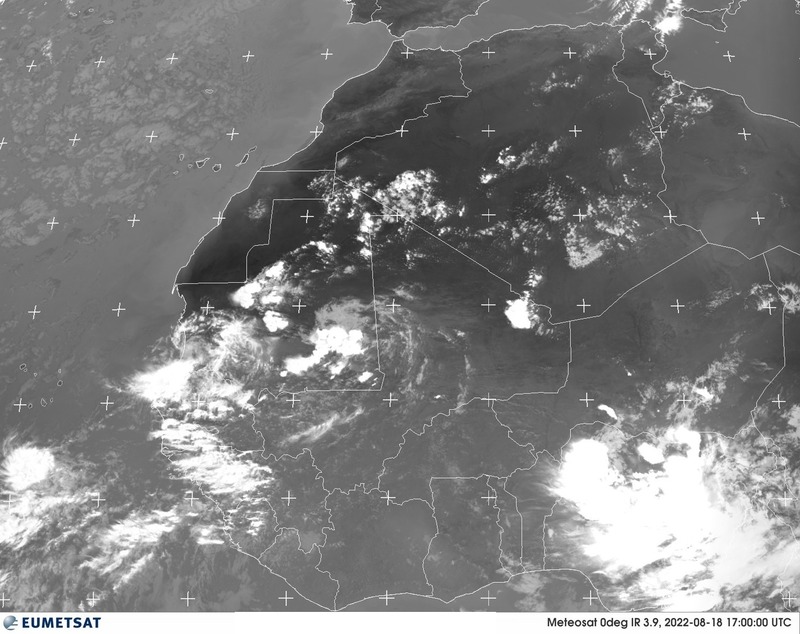 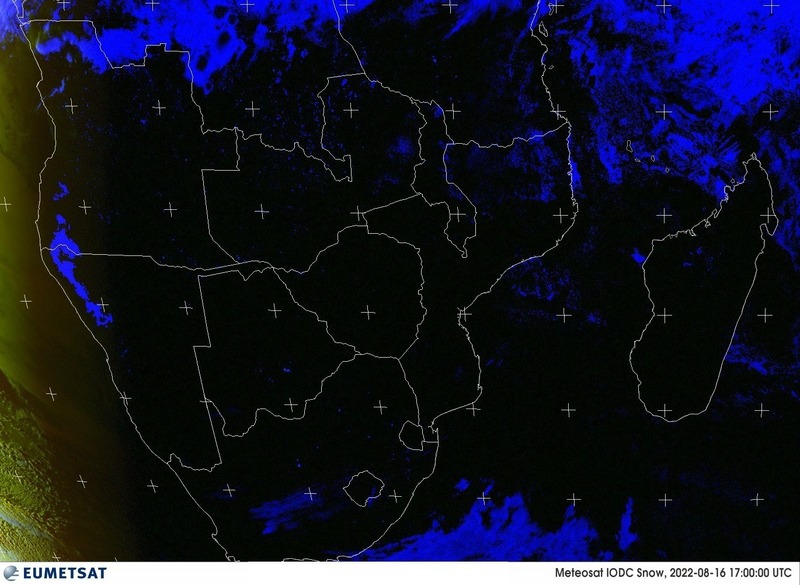 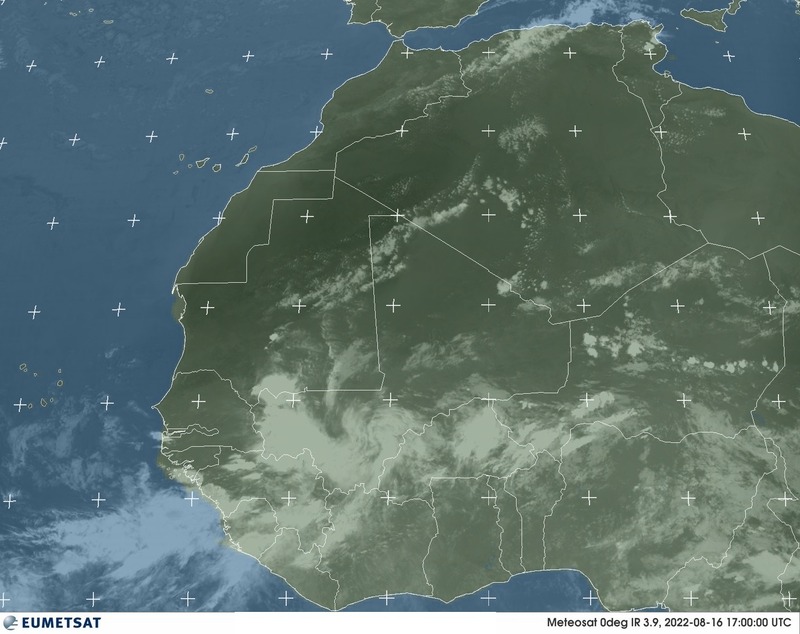 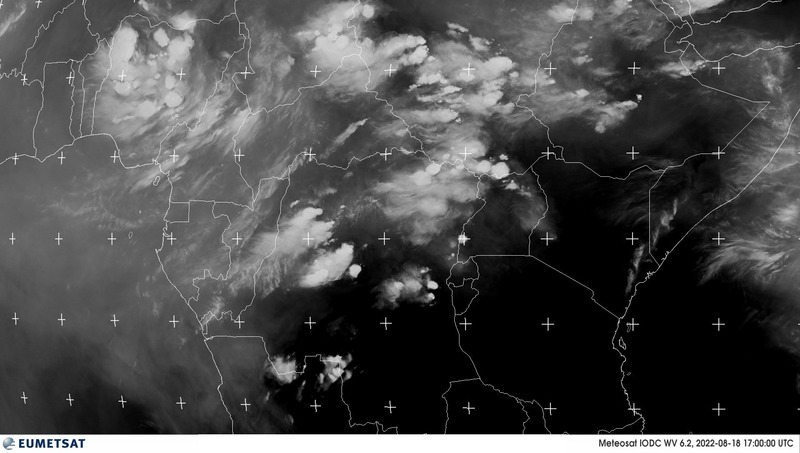 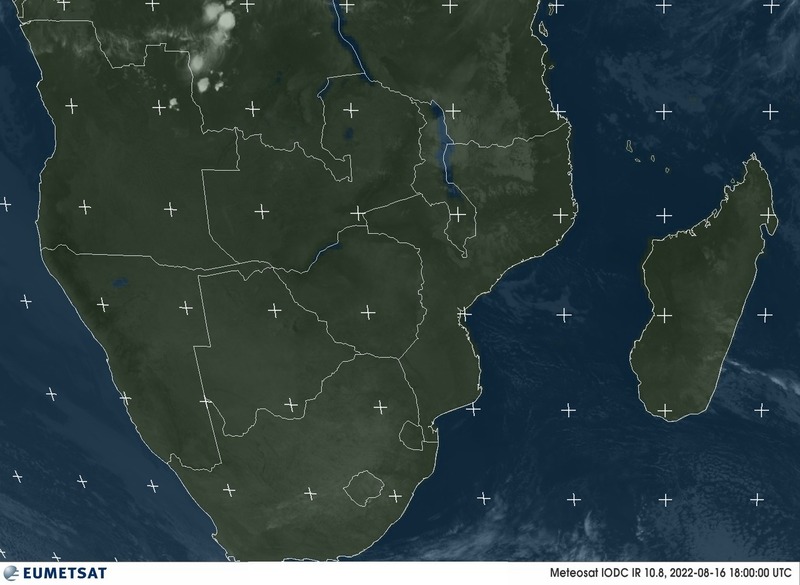 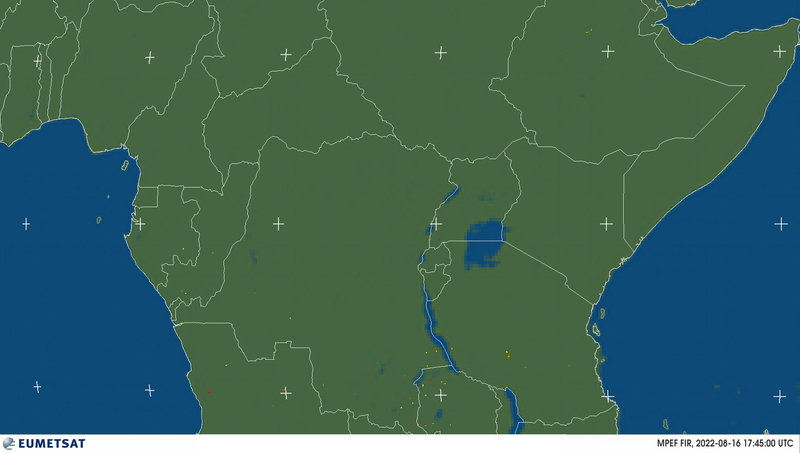 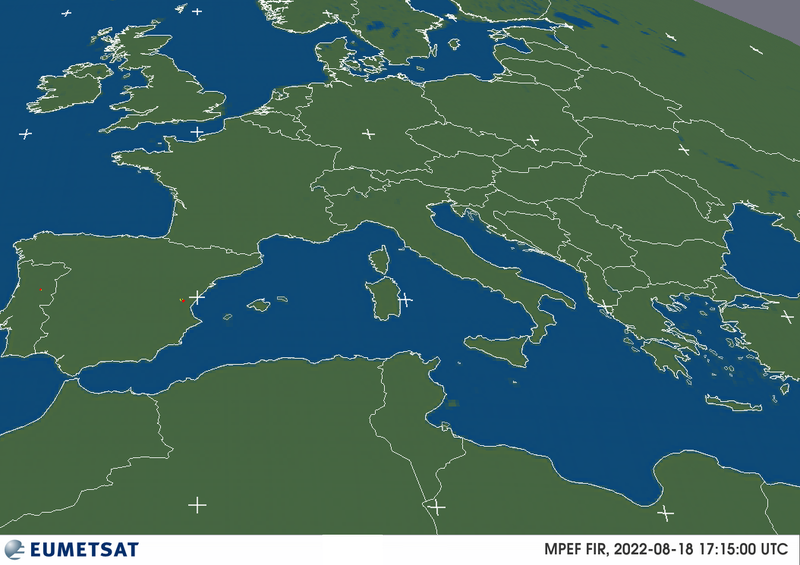 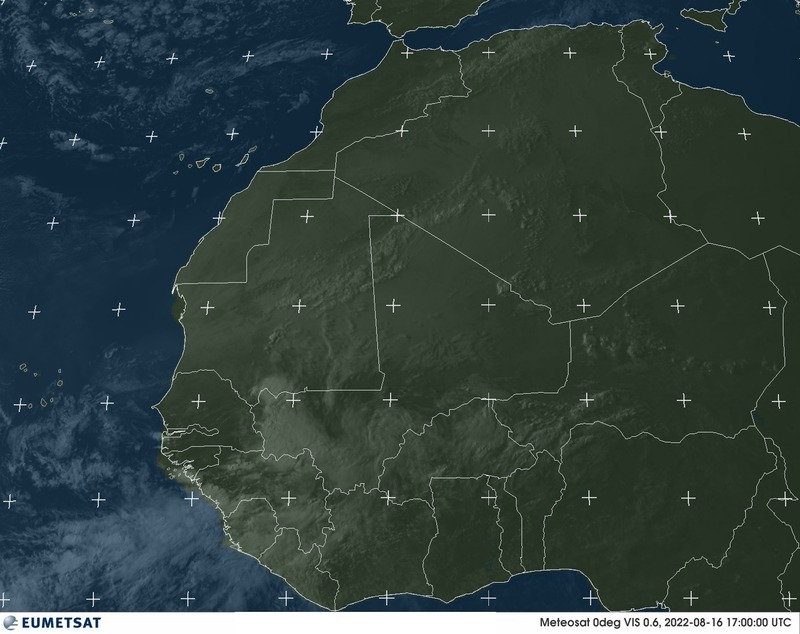 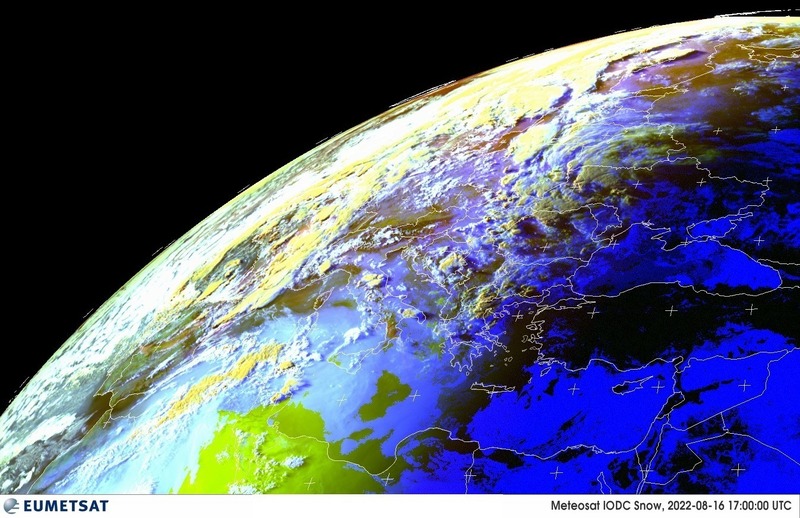 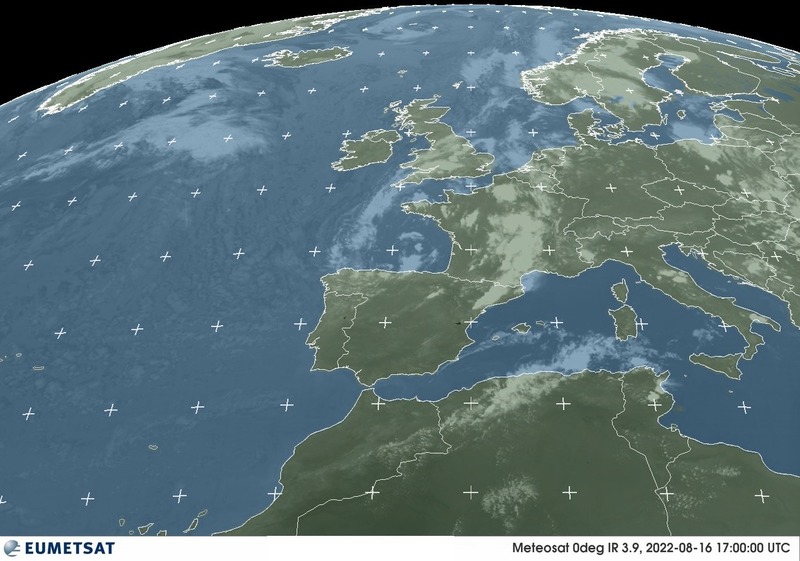 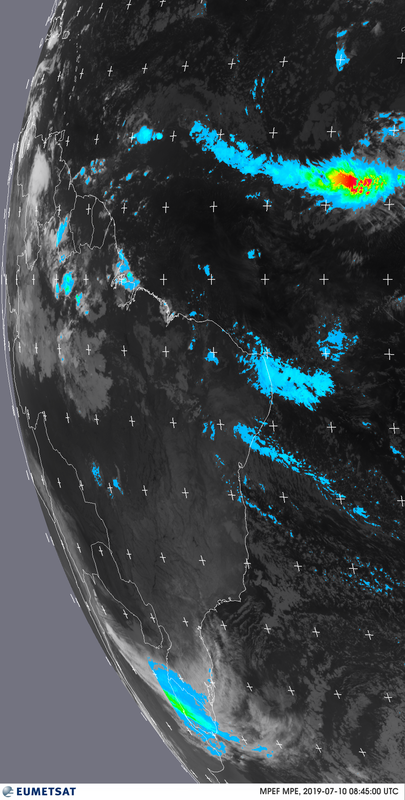 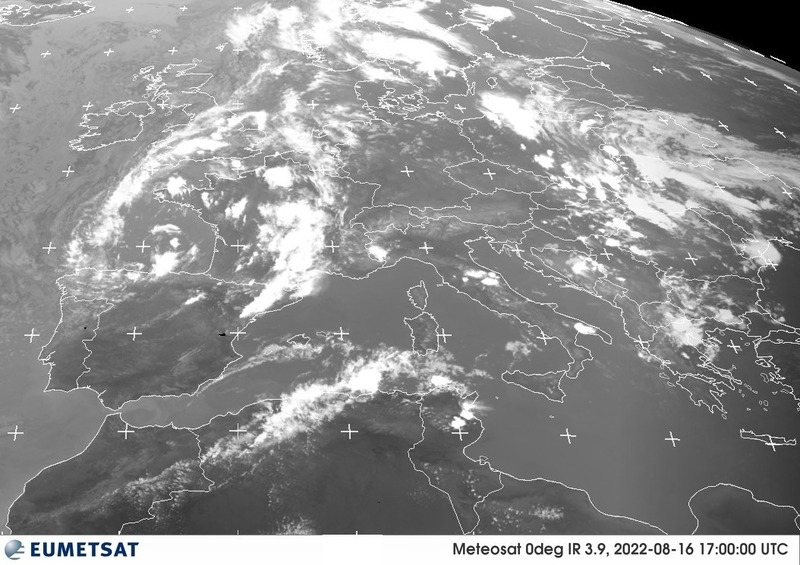 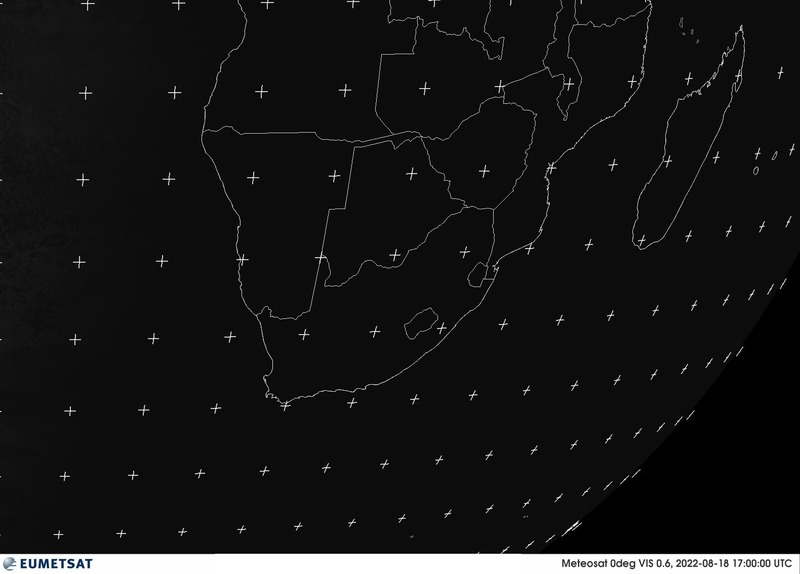 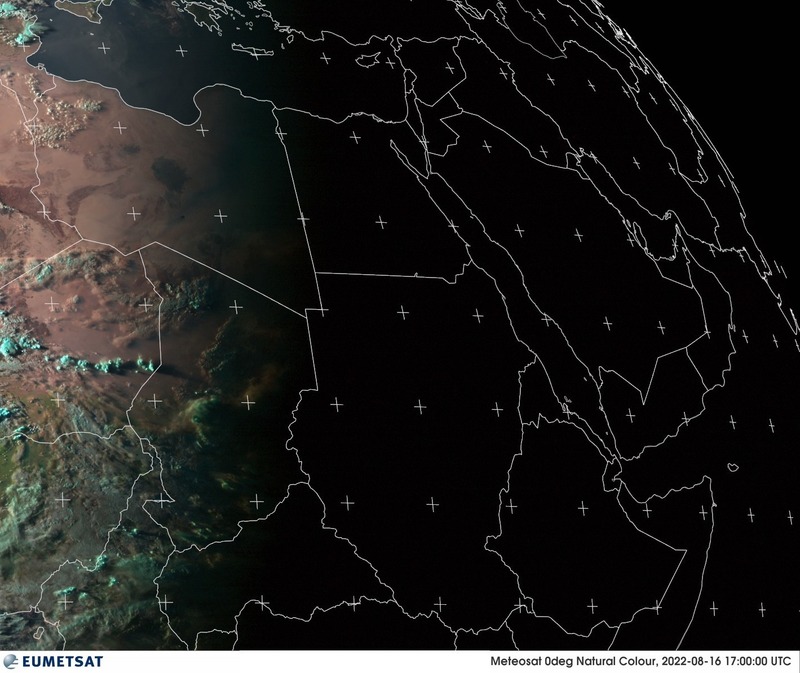 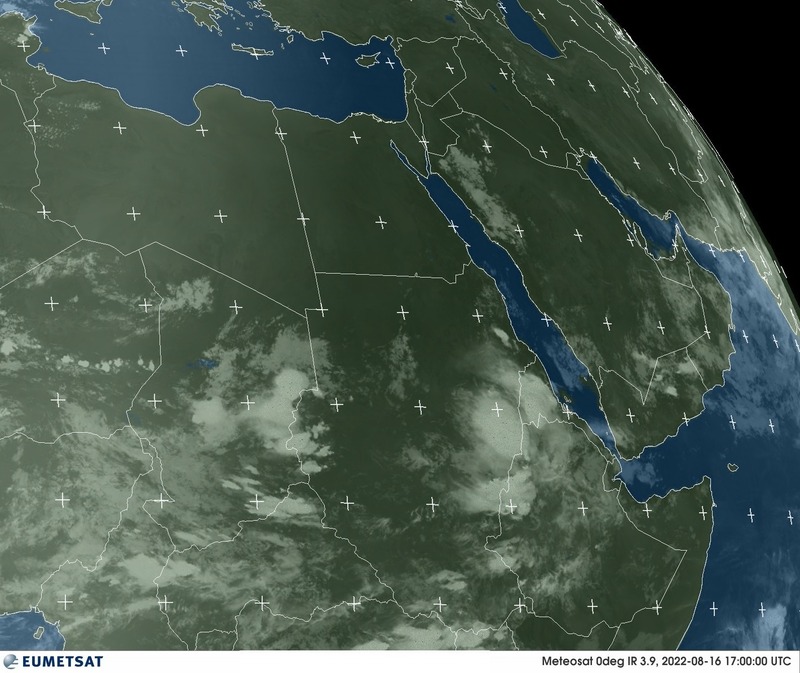 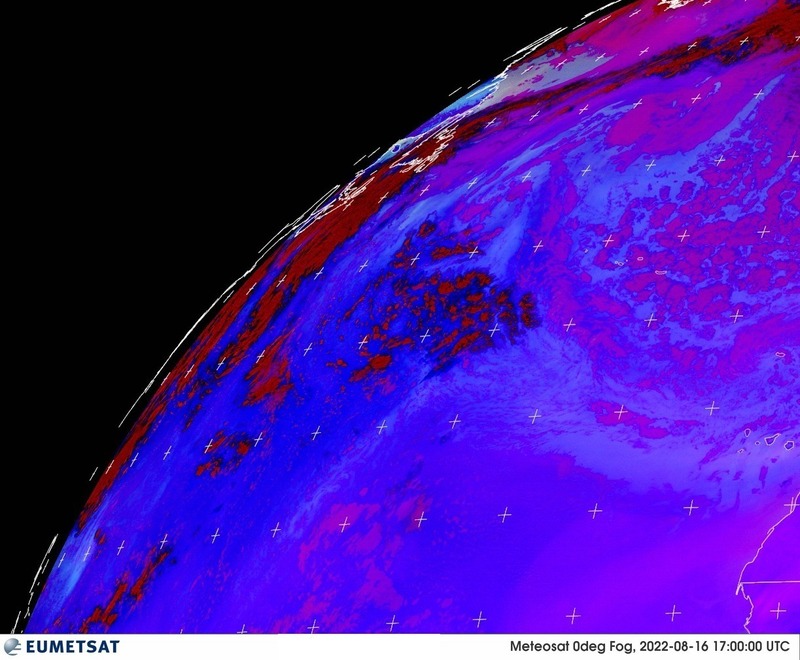 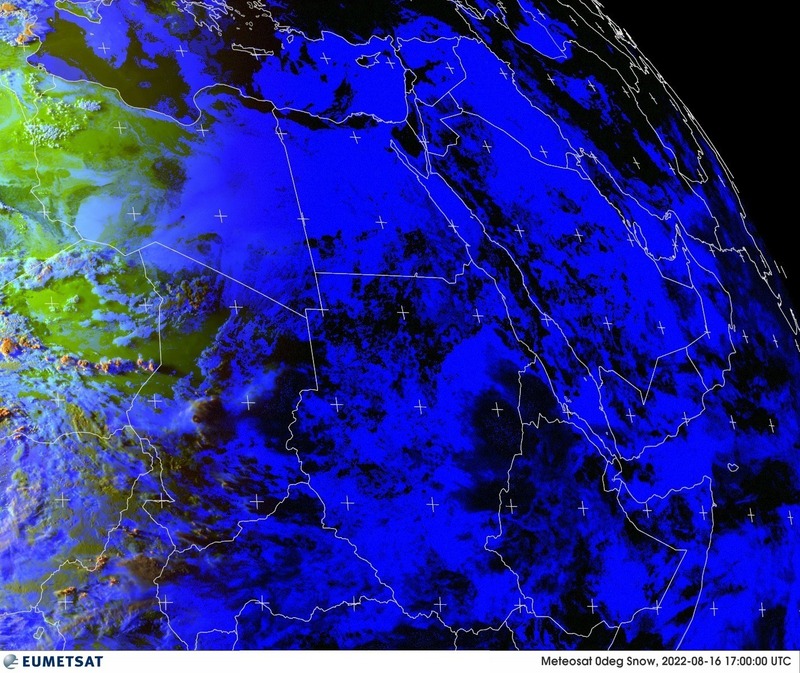 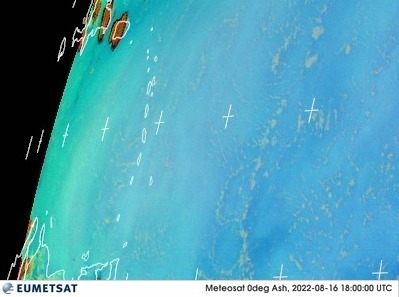 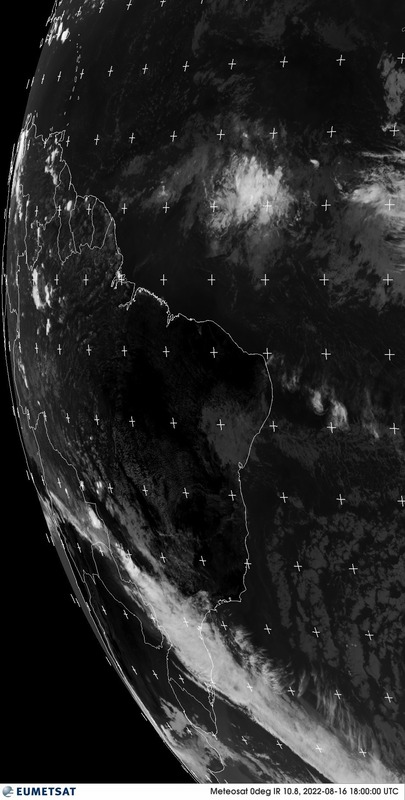 These links will always show the latest available imagery from EUMETSAT and cooperating organisations. 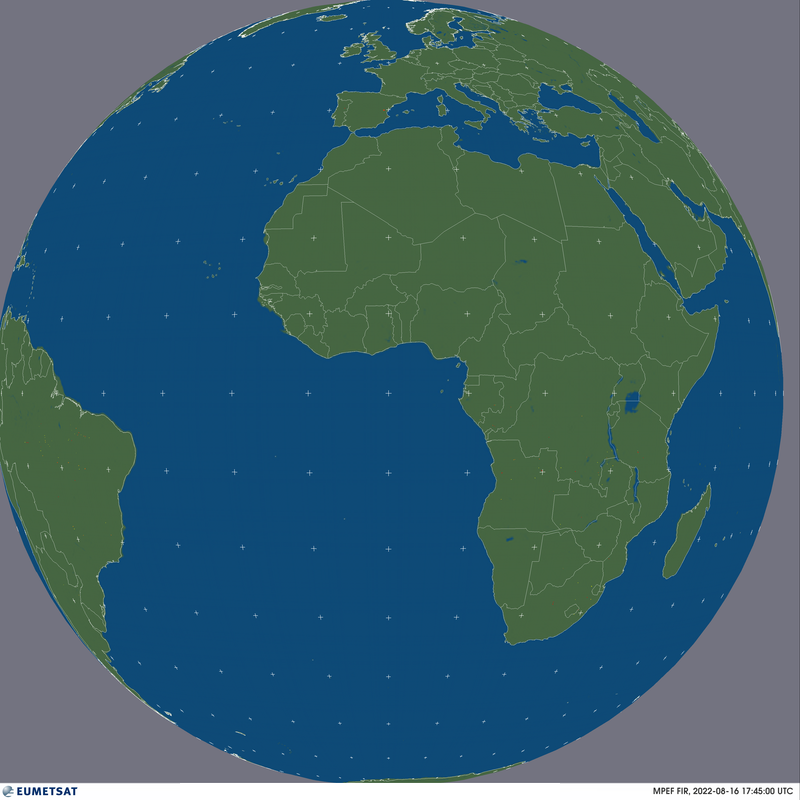 The following is a table displaying the update frequency of each image. 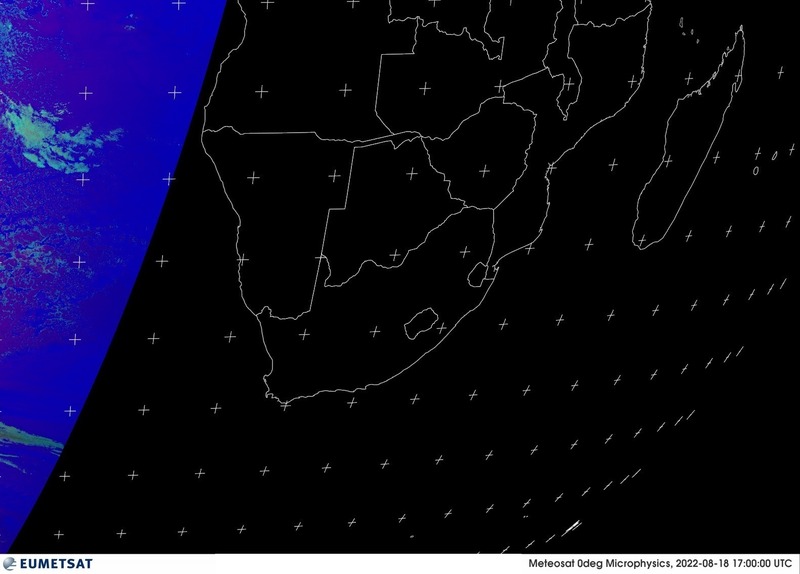 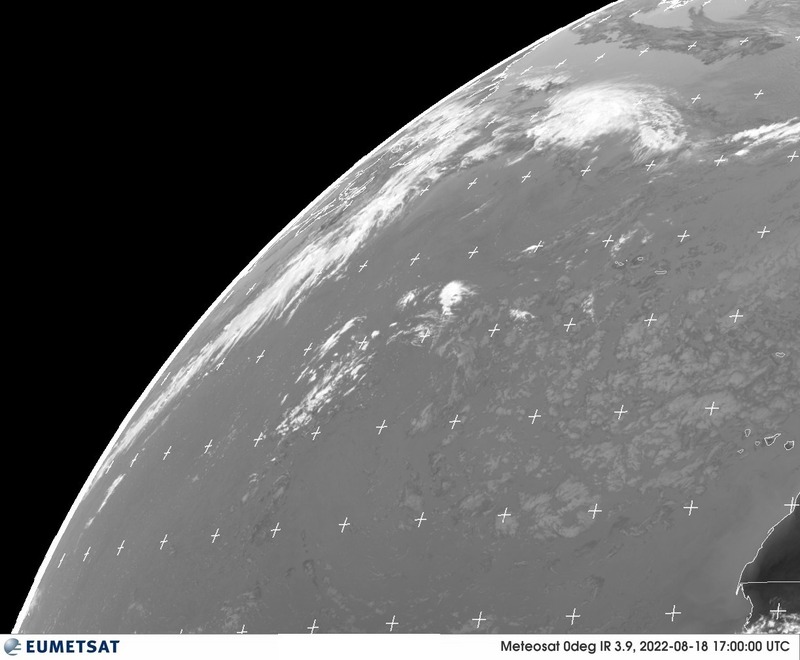 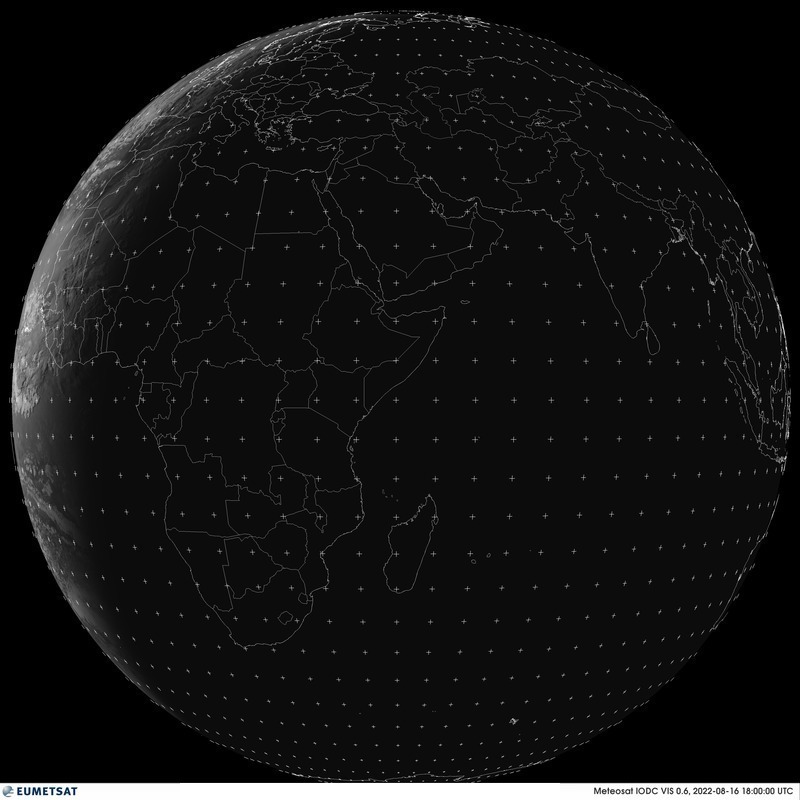 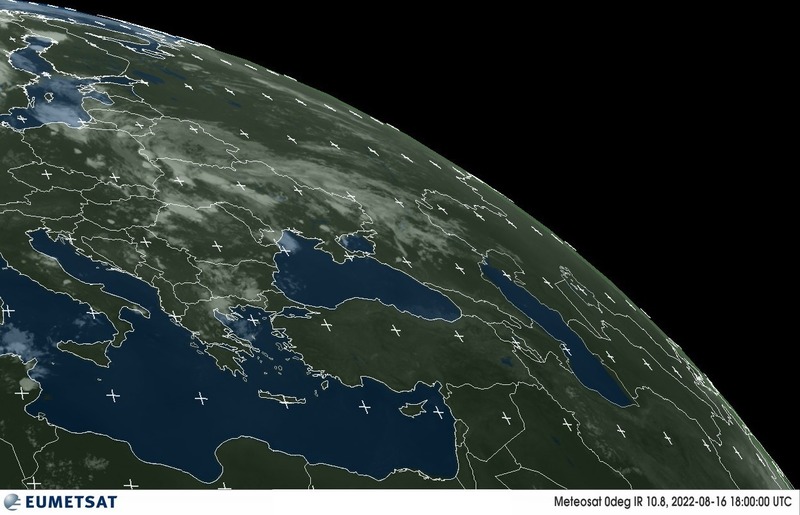 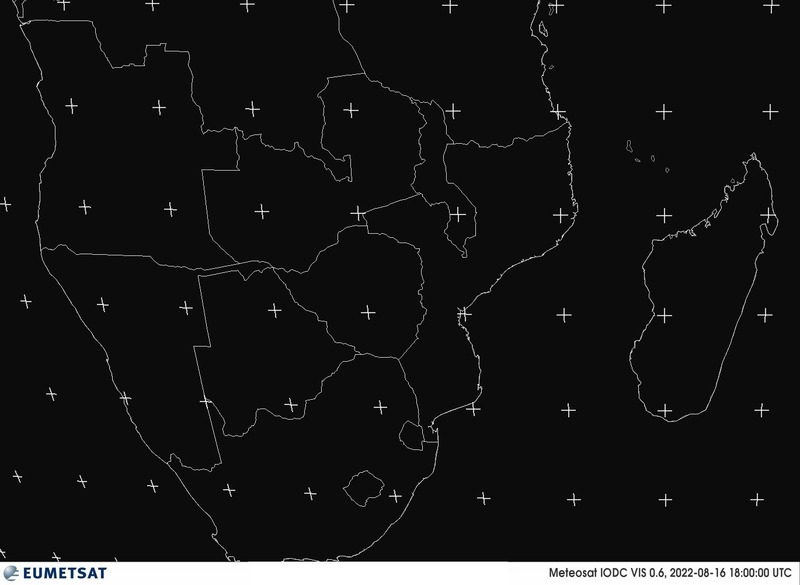 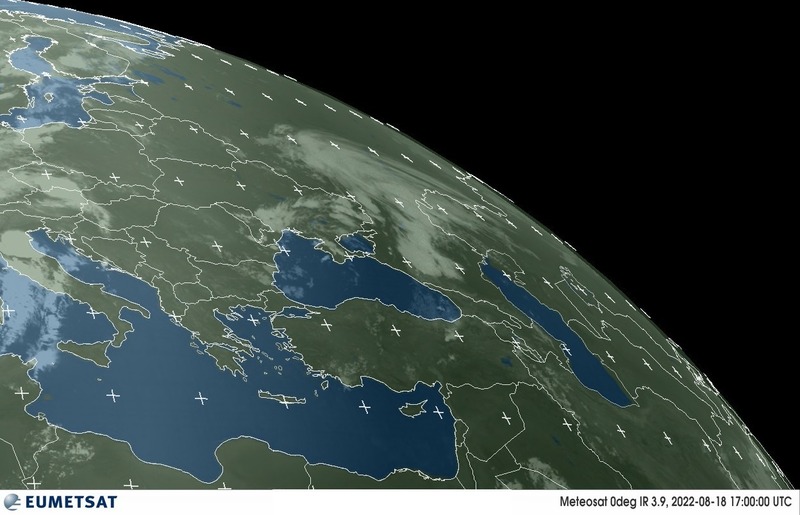 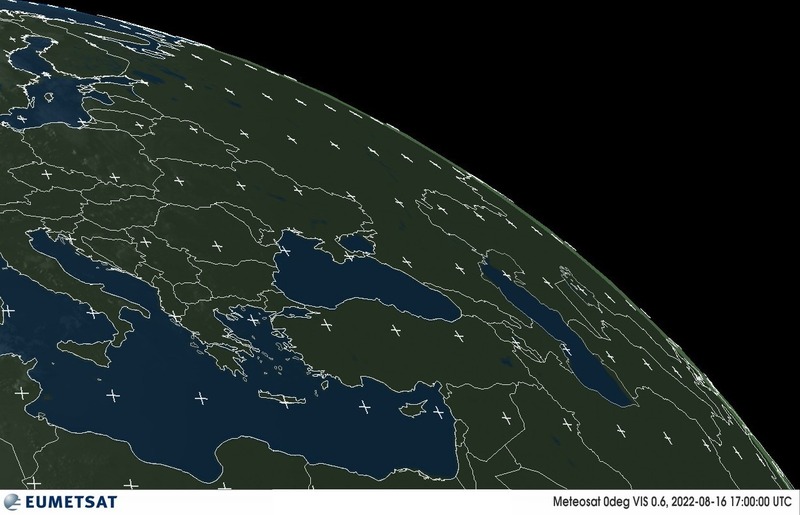 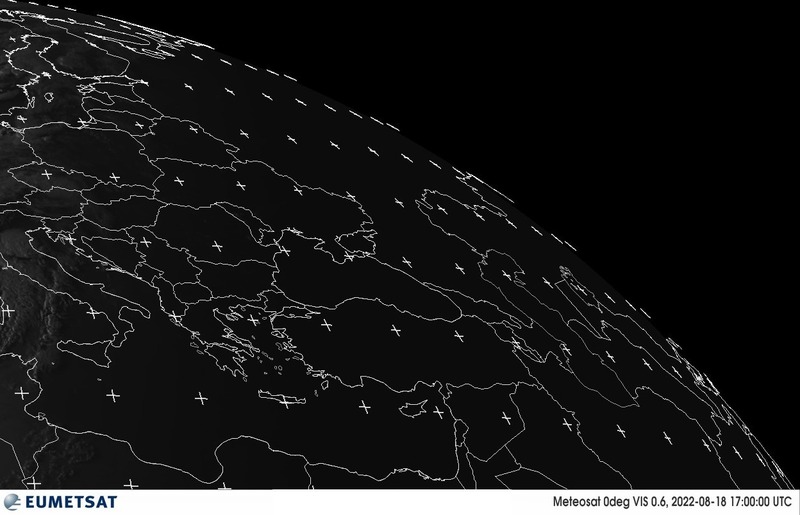 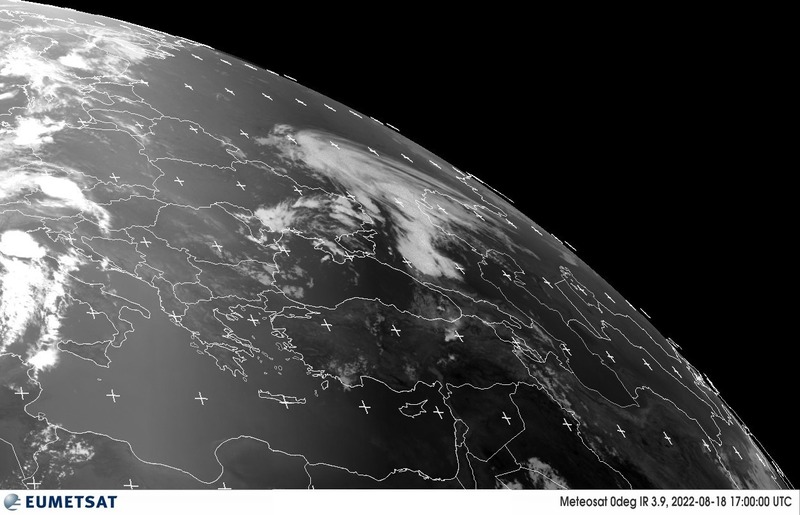 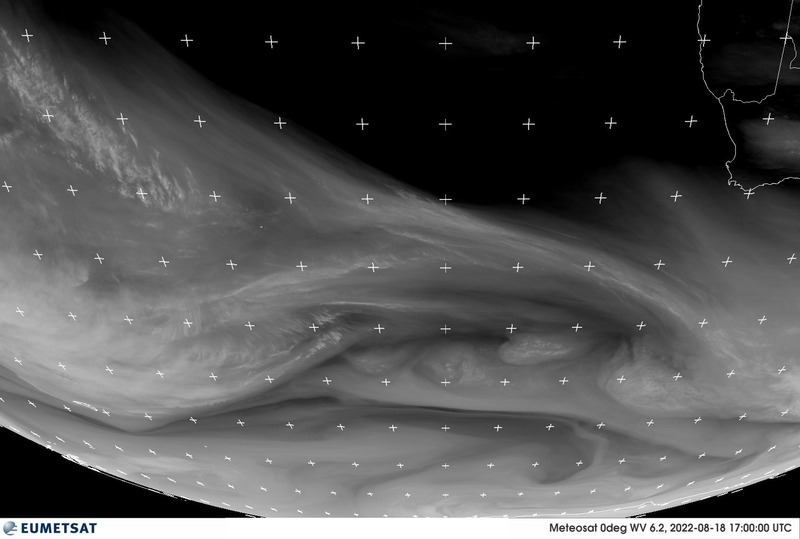 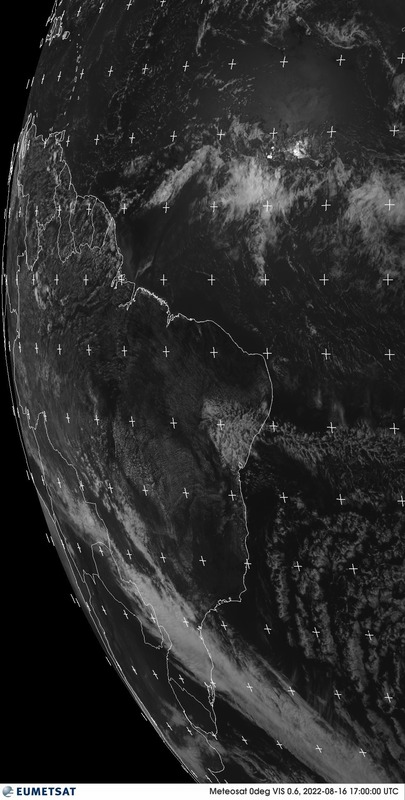 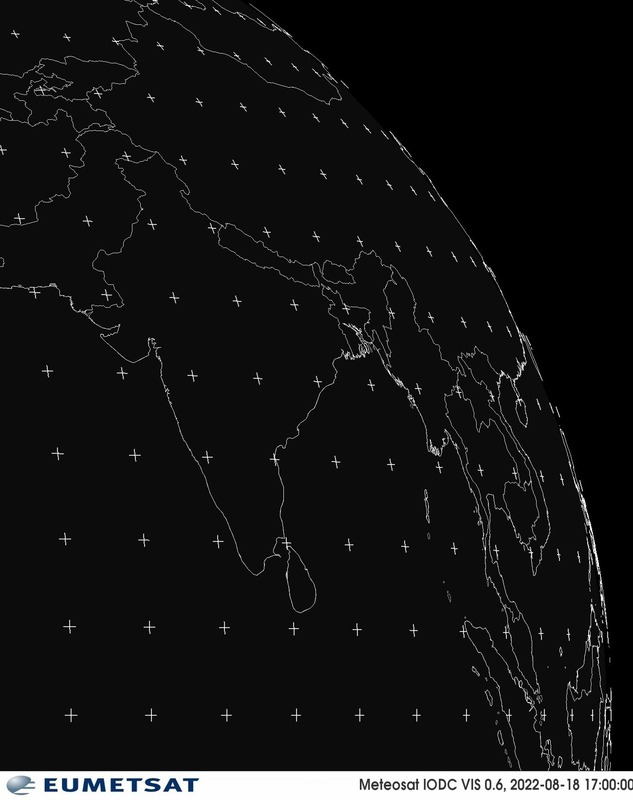 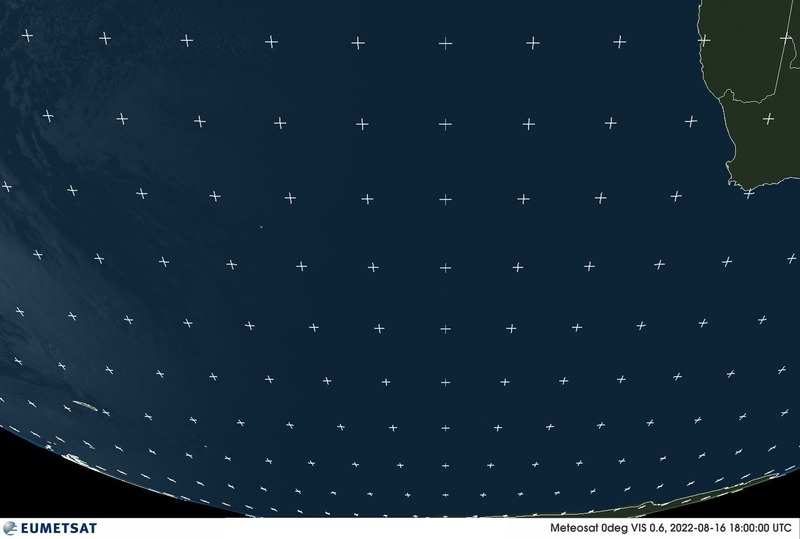 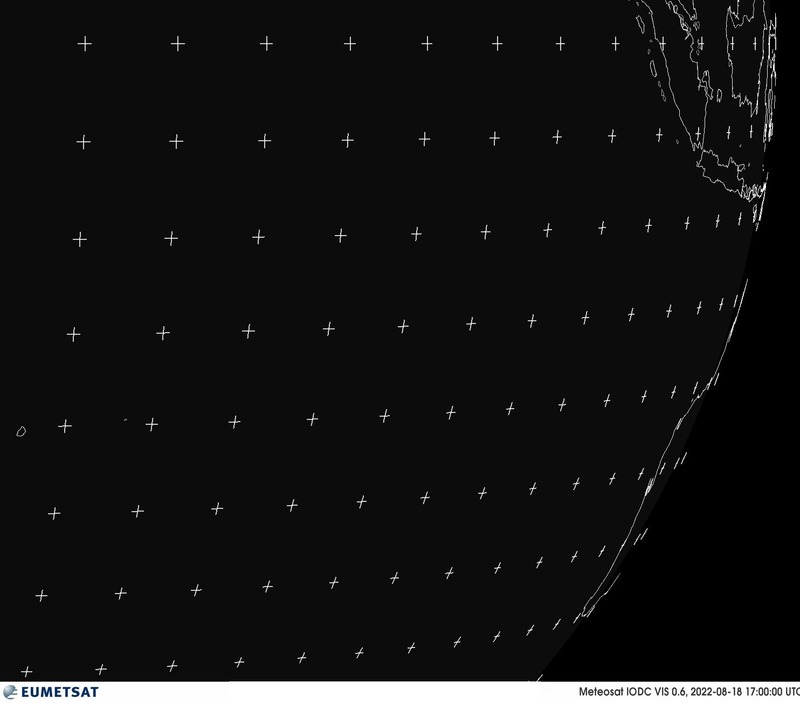 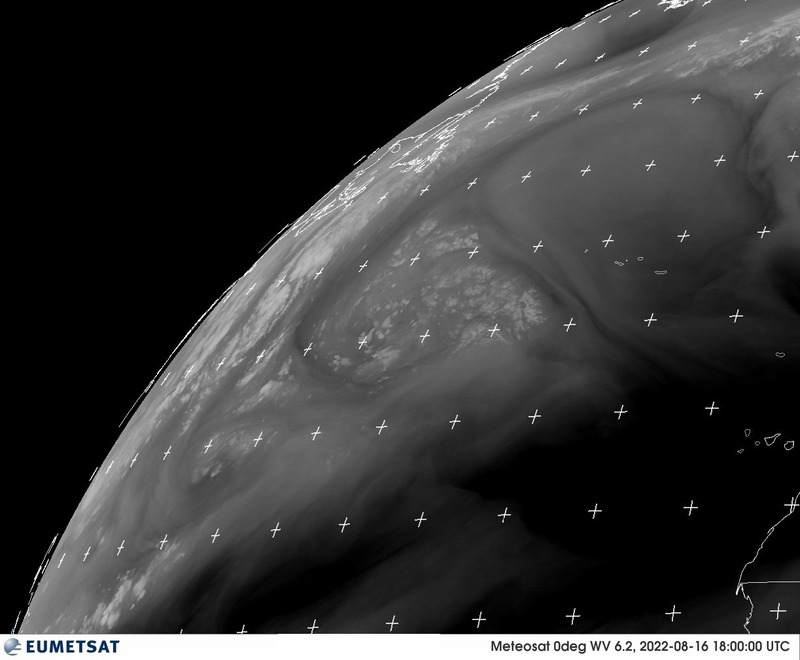 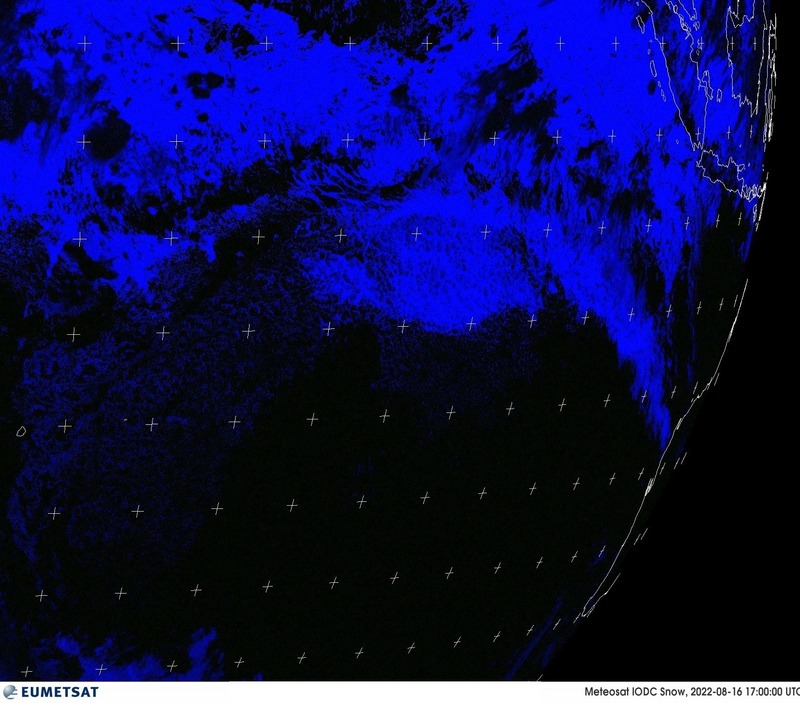 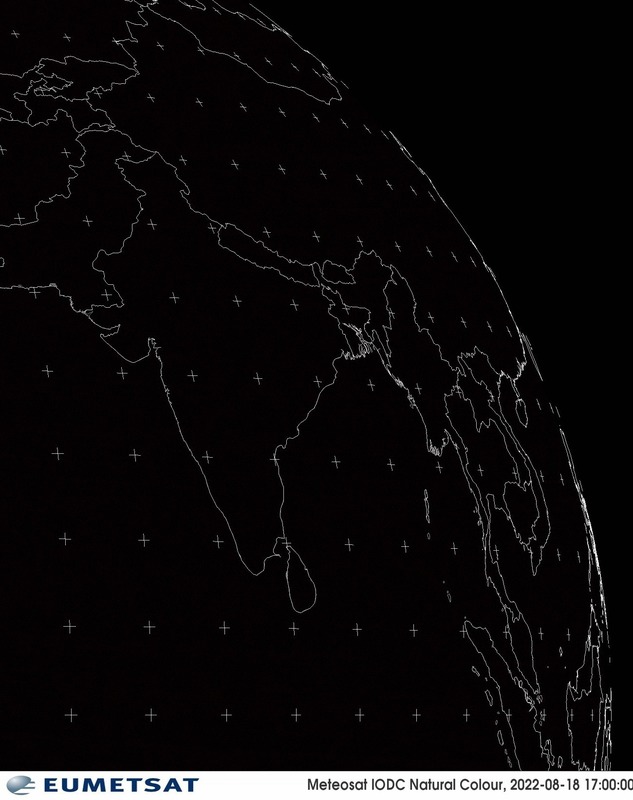 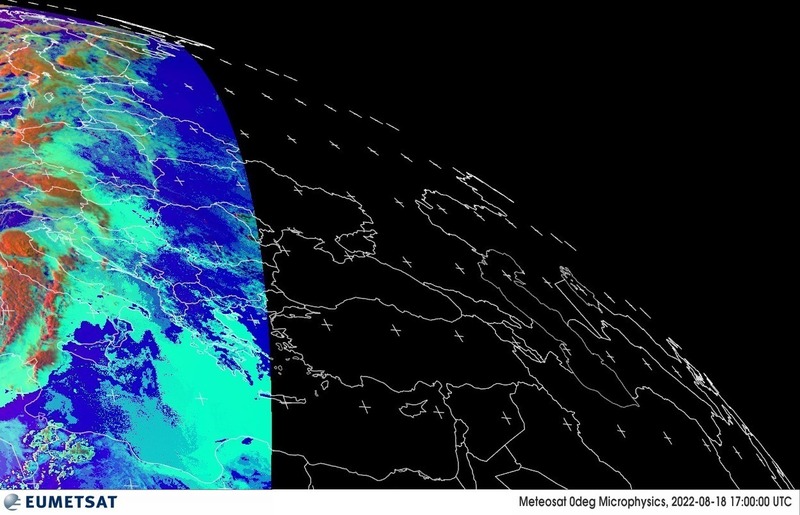 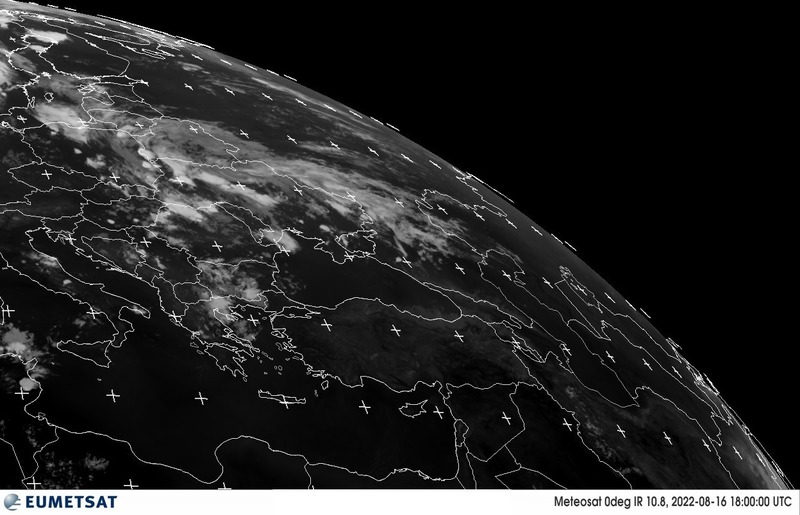 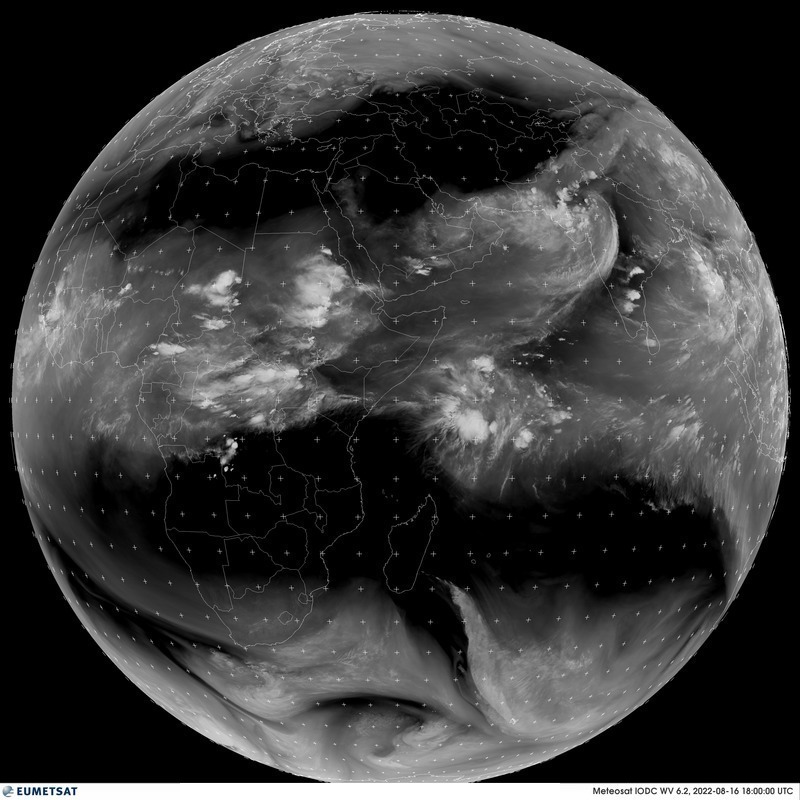 Typically Meteosat-9 scans the full earth every 15min, Meteosat-7 every 30min and Metop-2 generates an image every 3min. 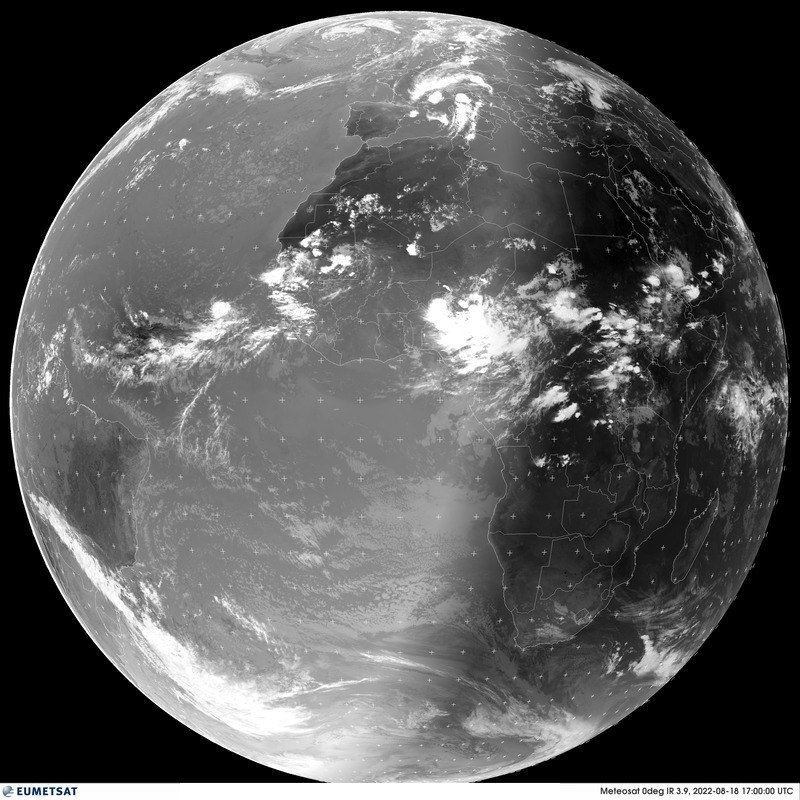 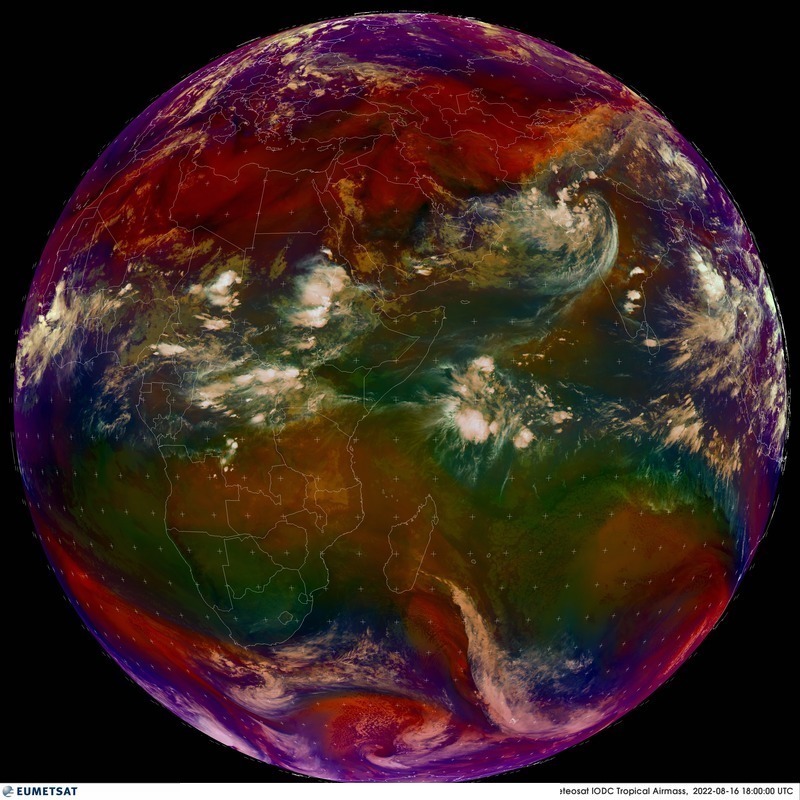 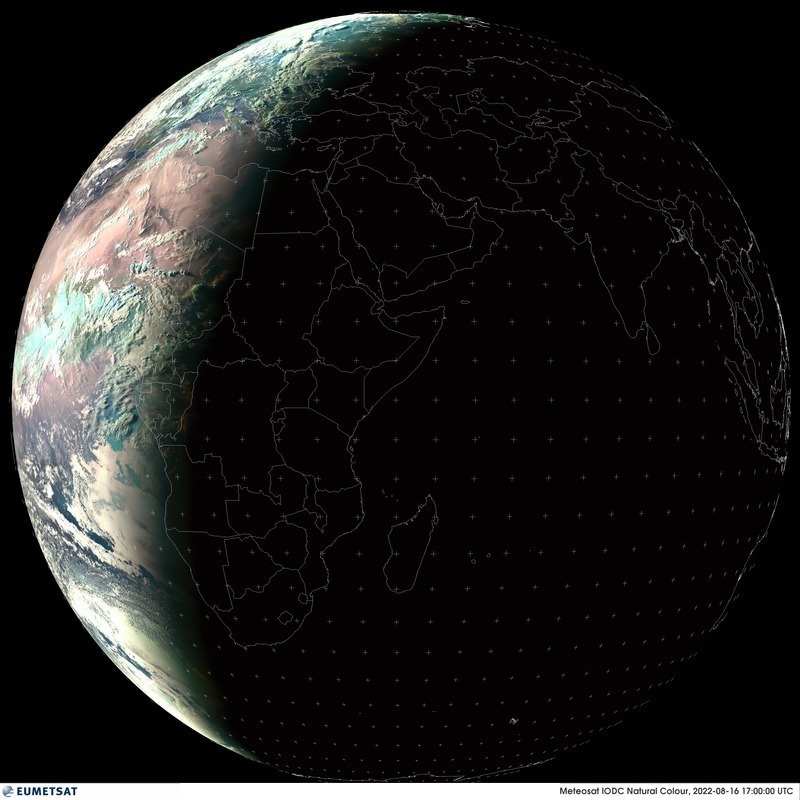 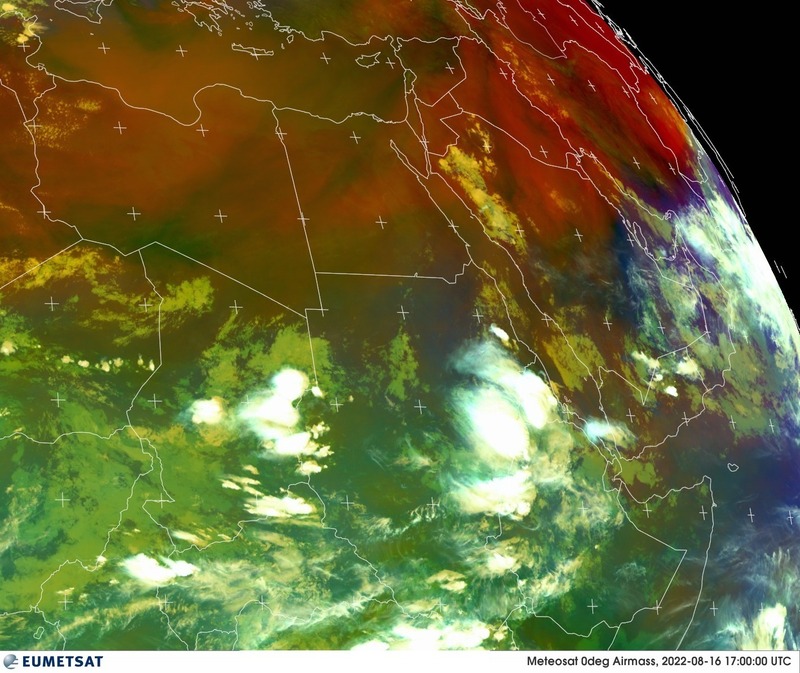 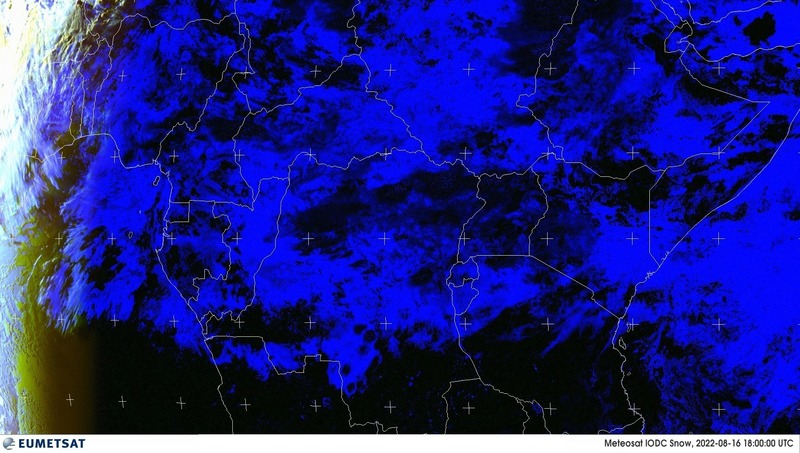 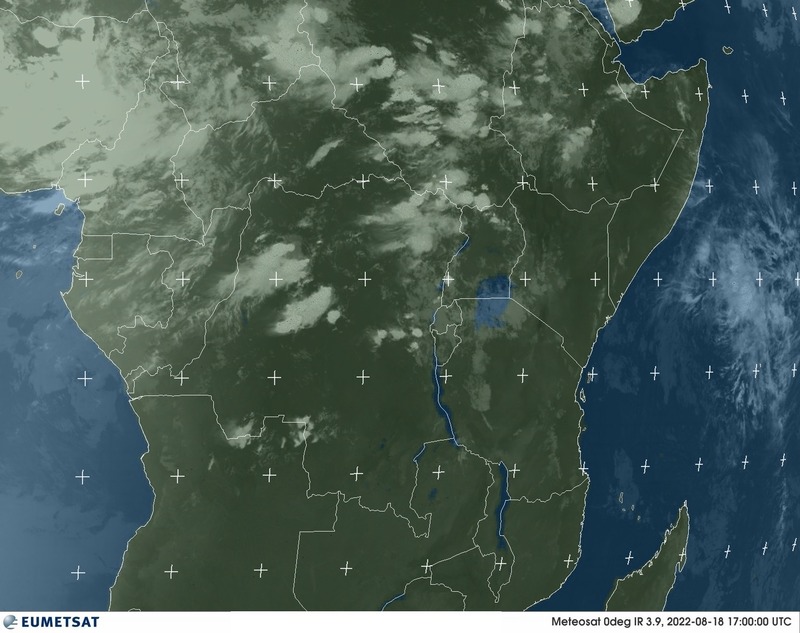 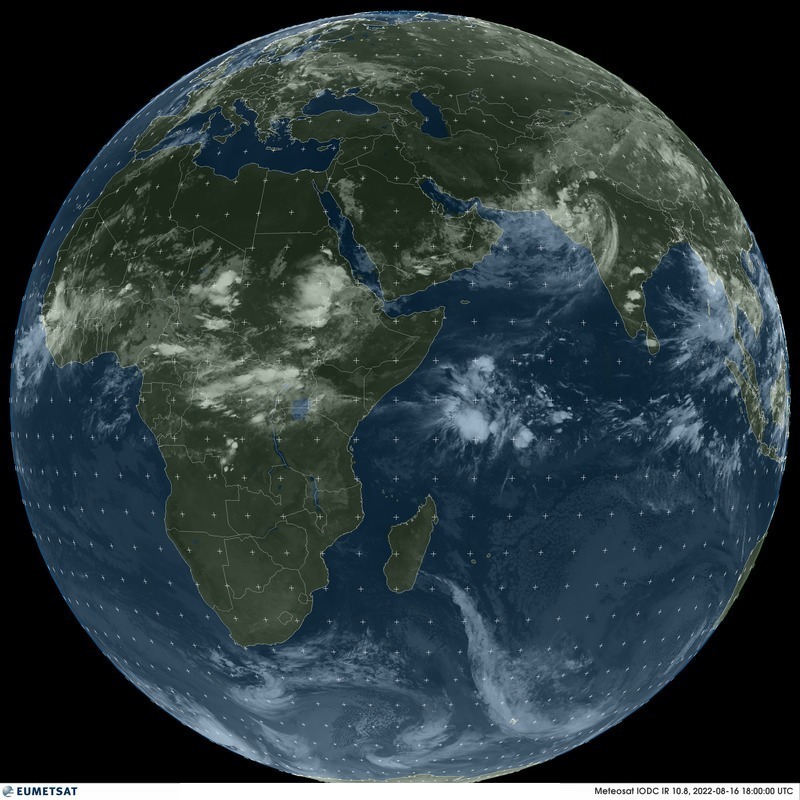 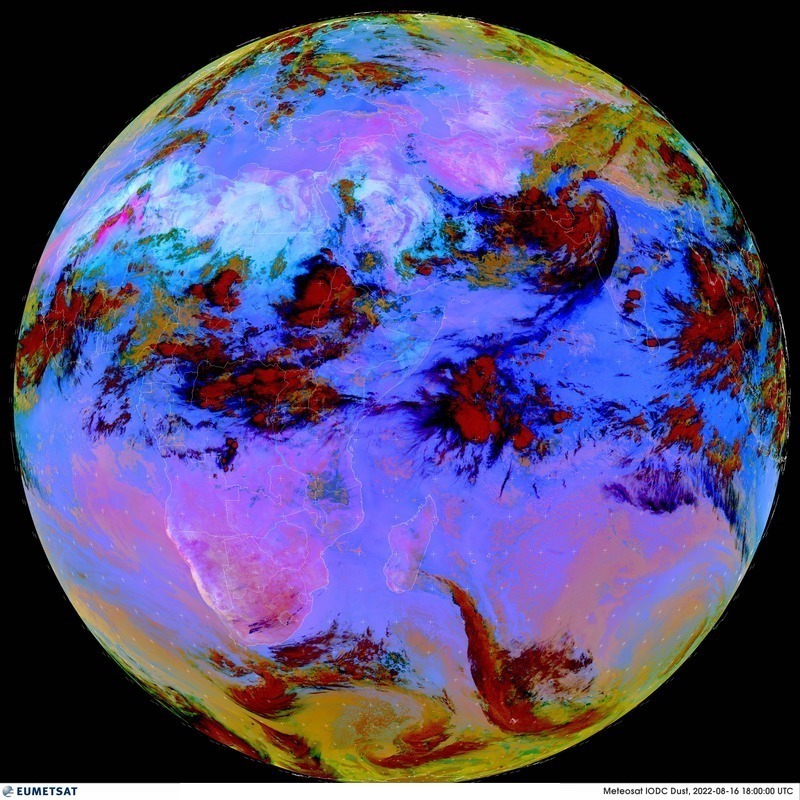 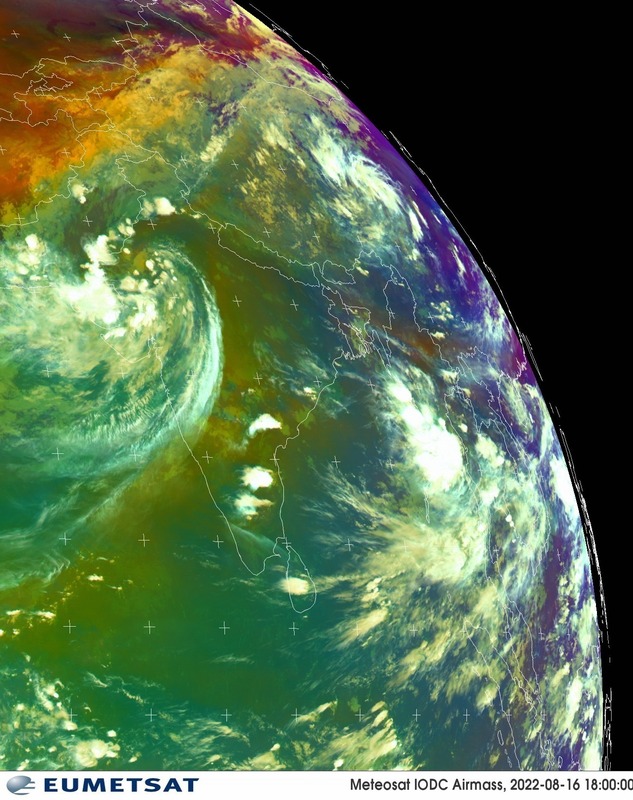 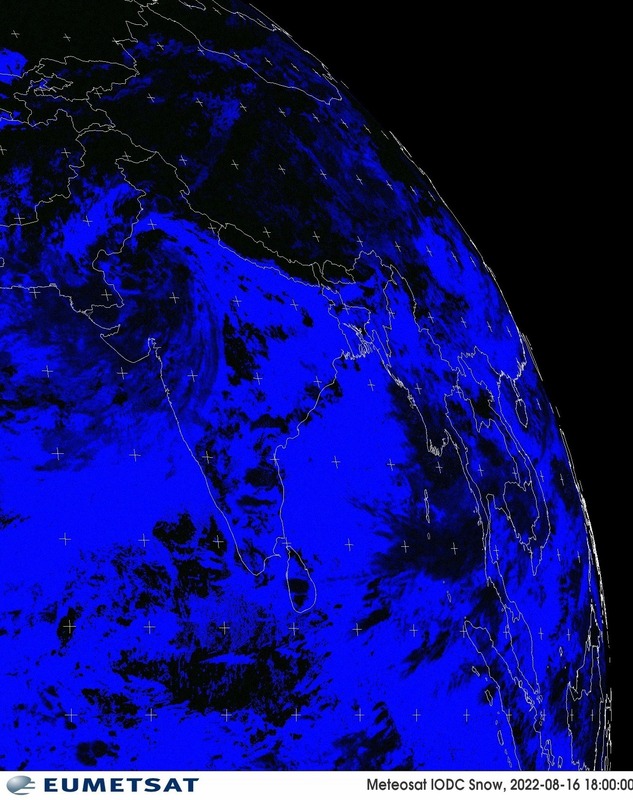 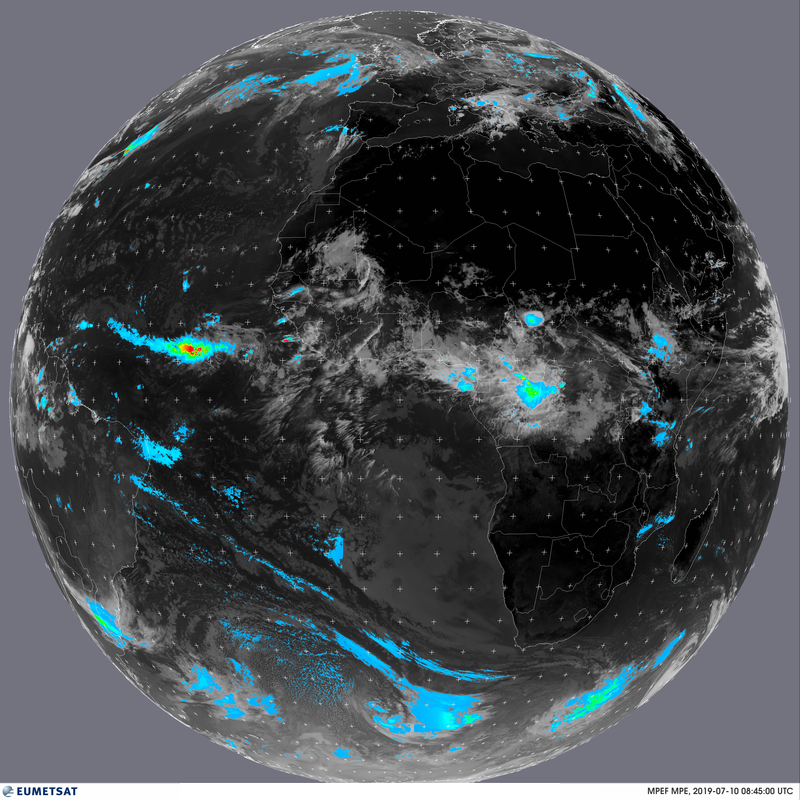 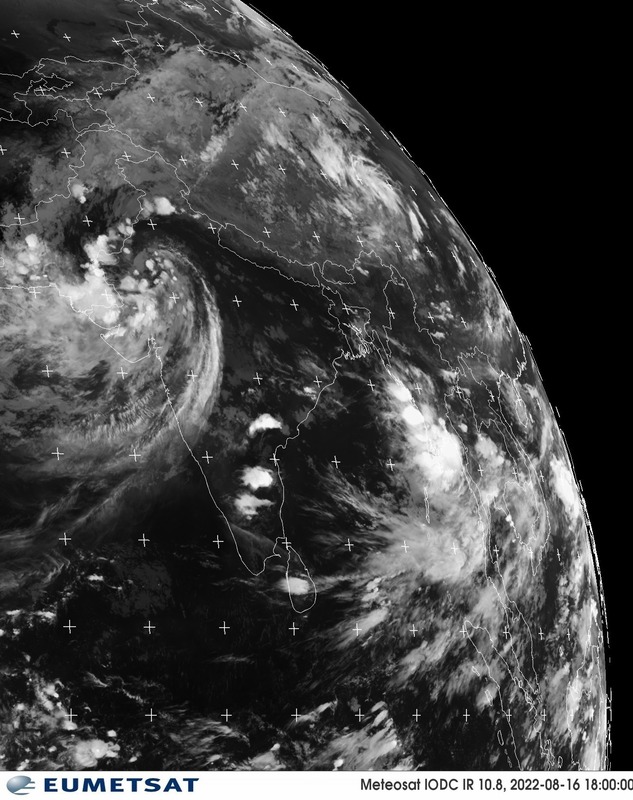 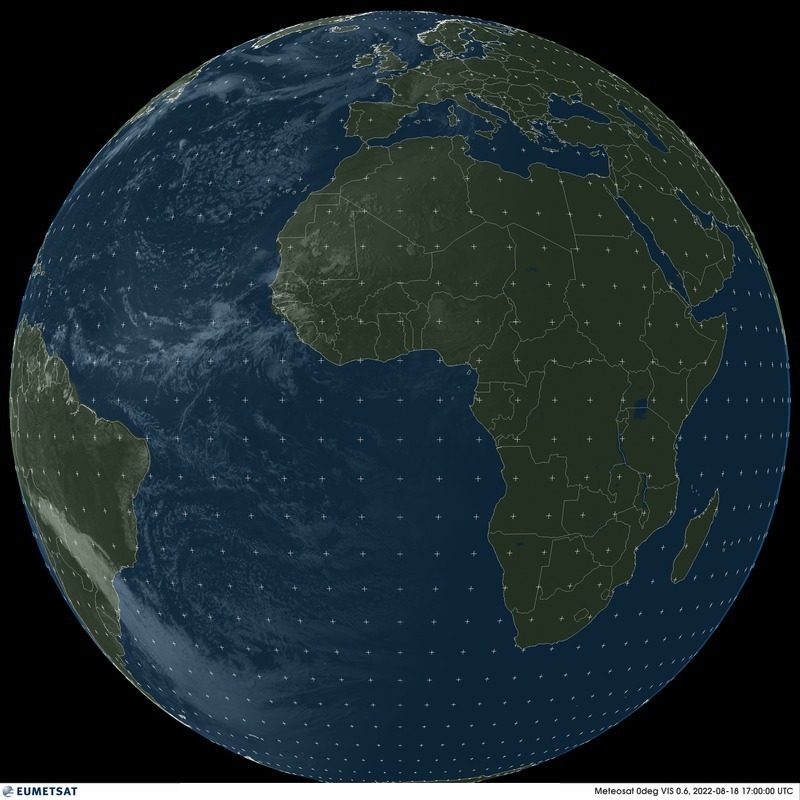 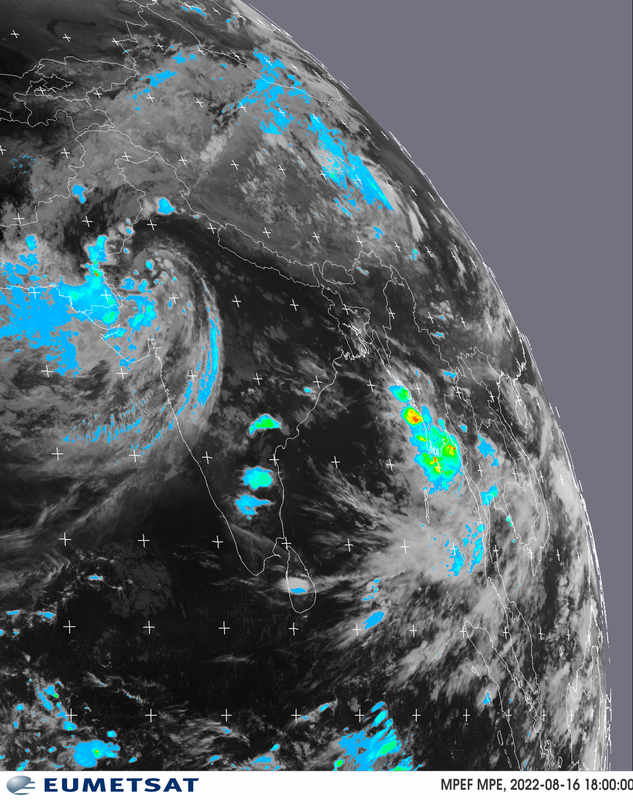 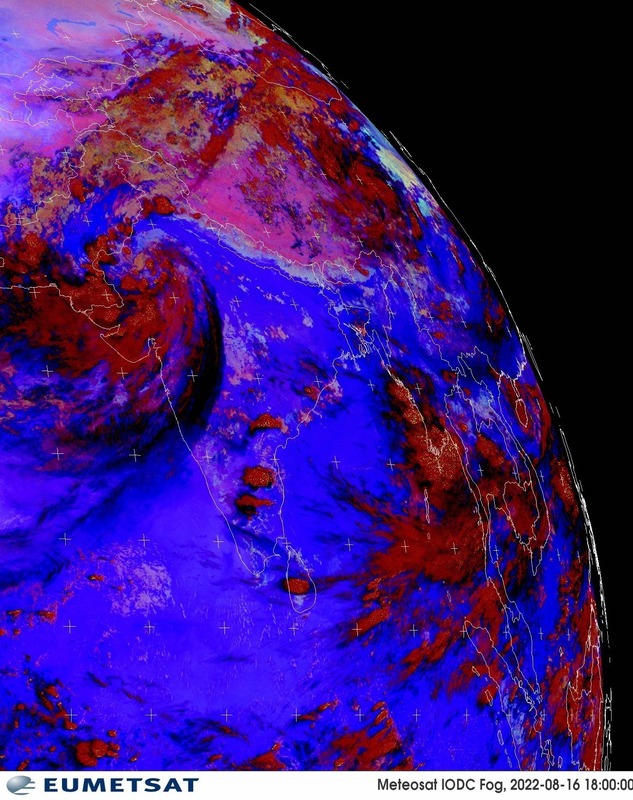 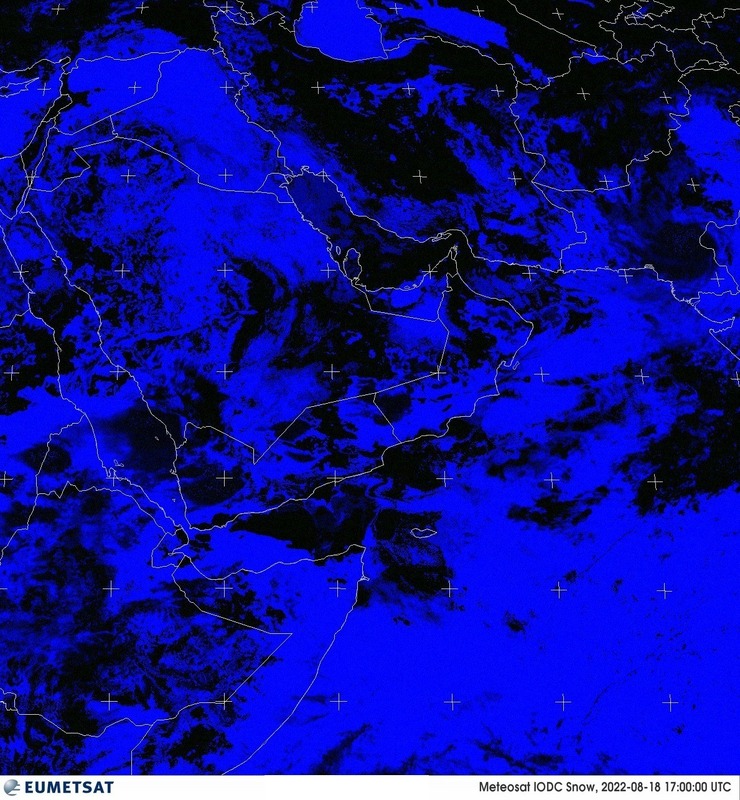 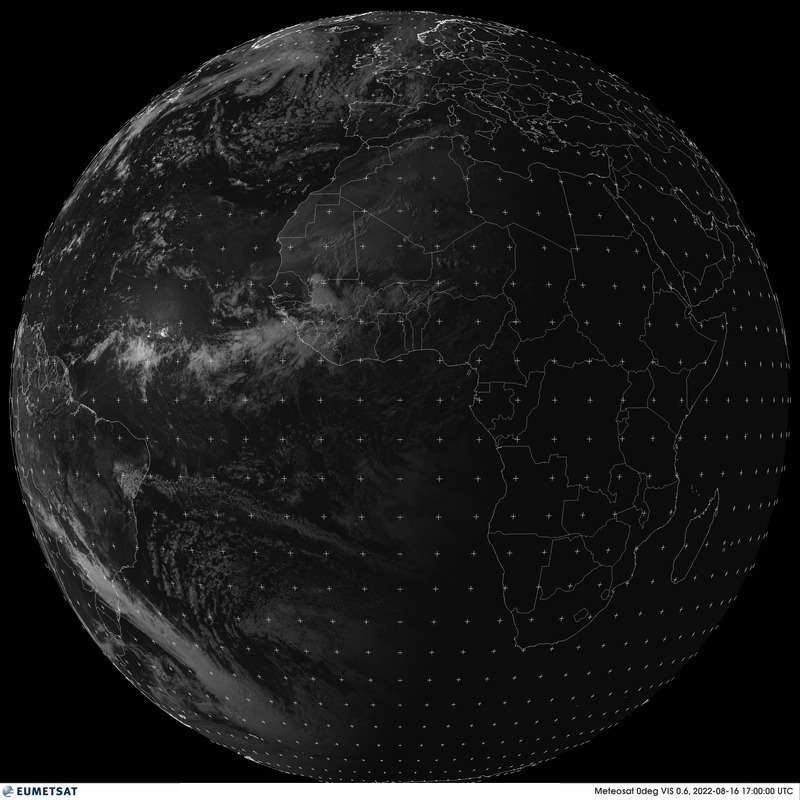 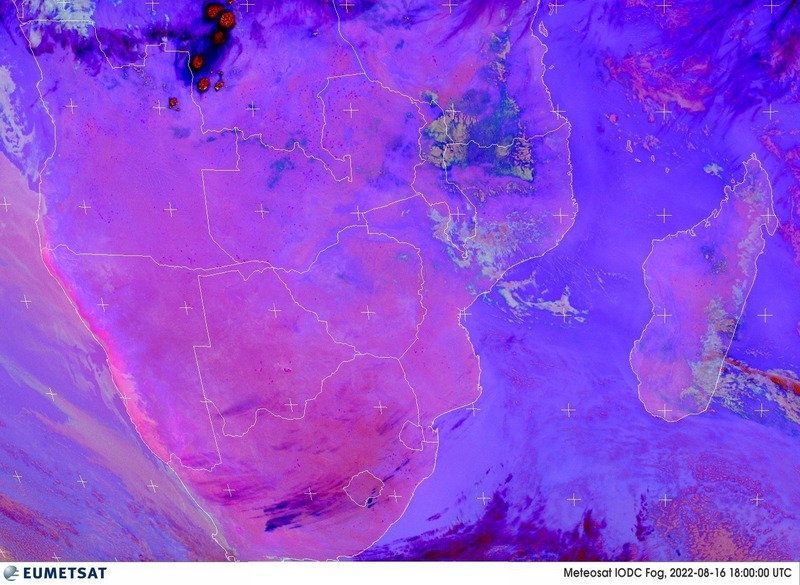 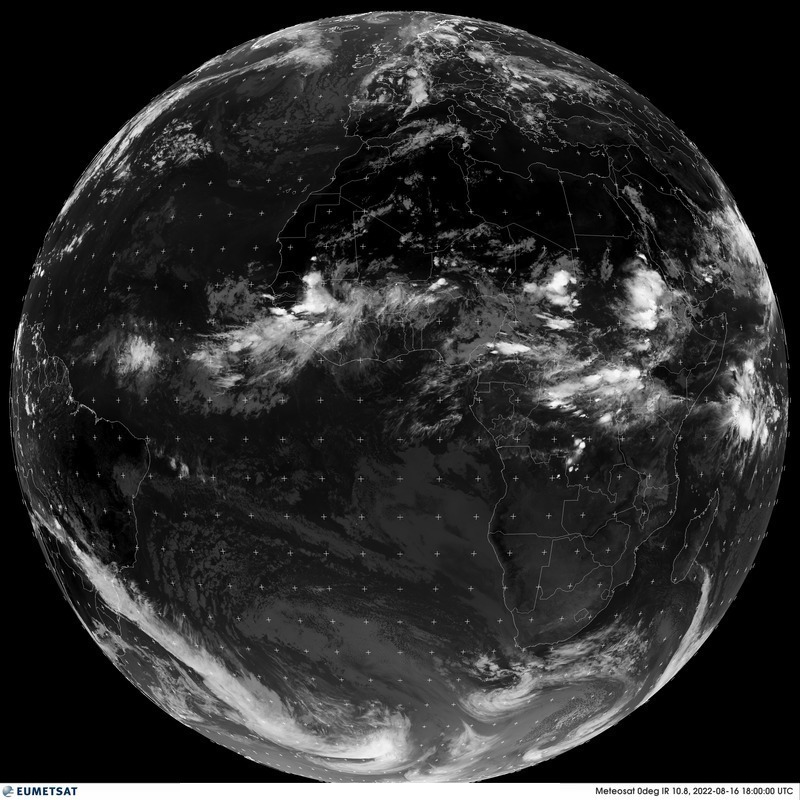 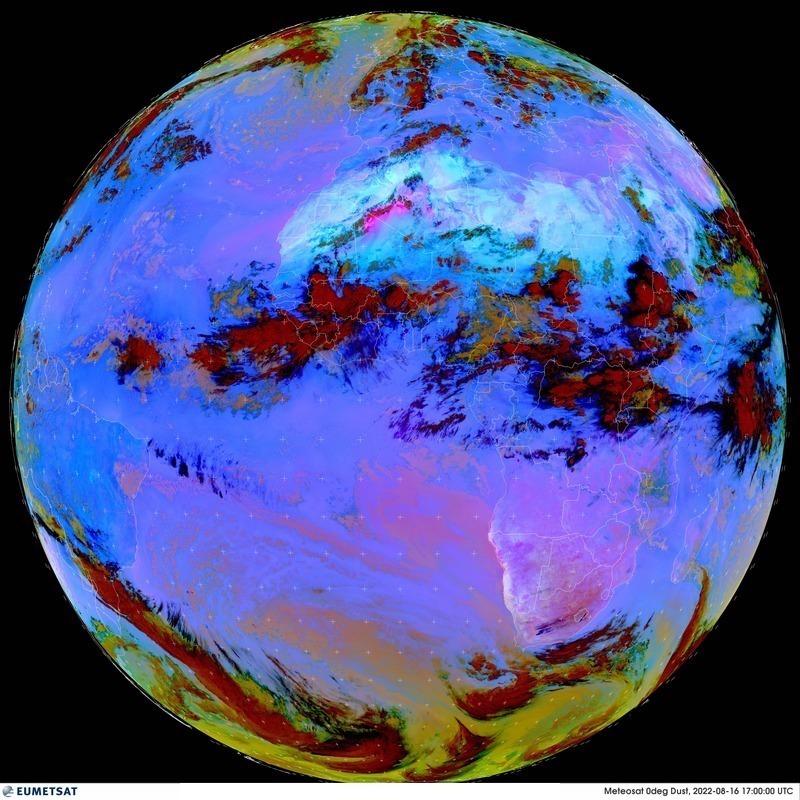 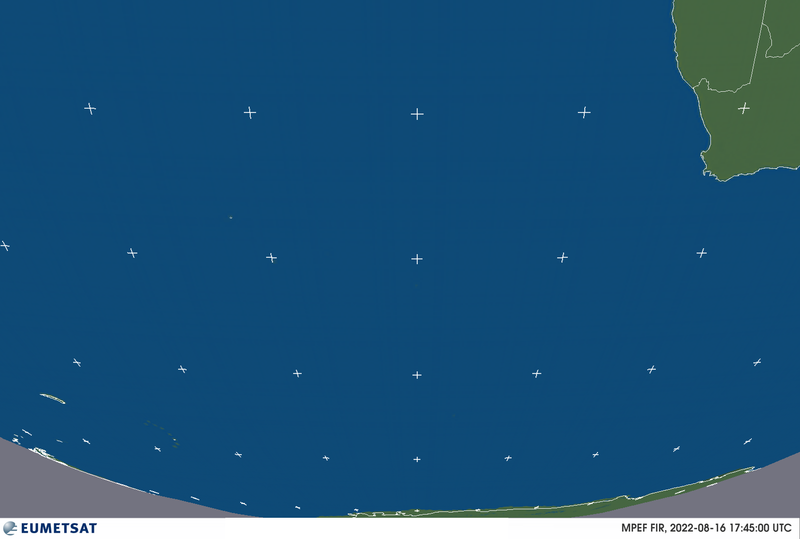 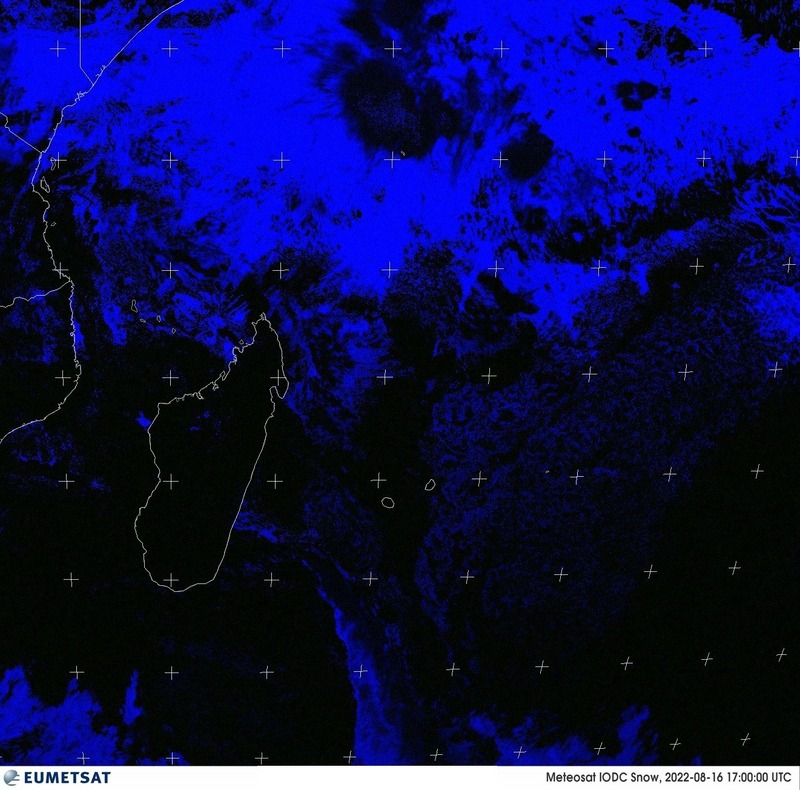 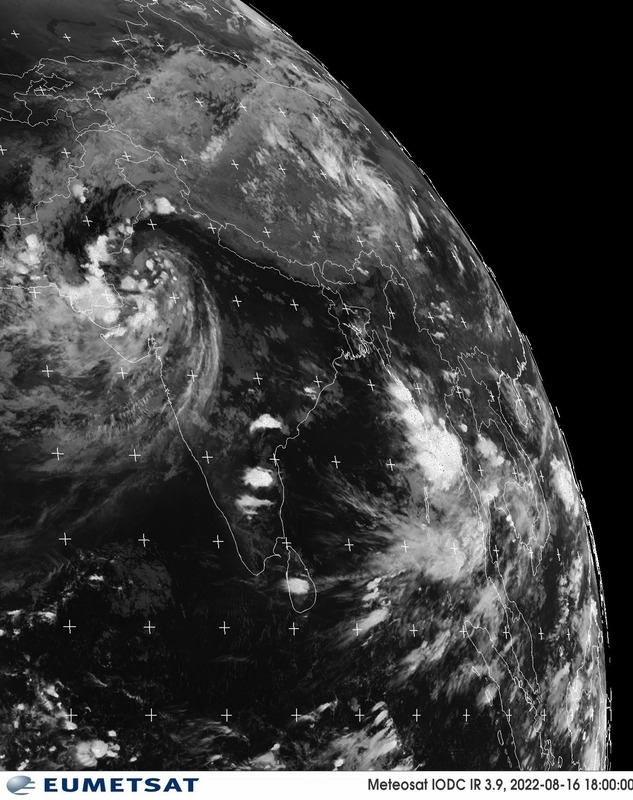 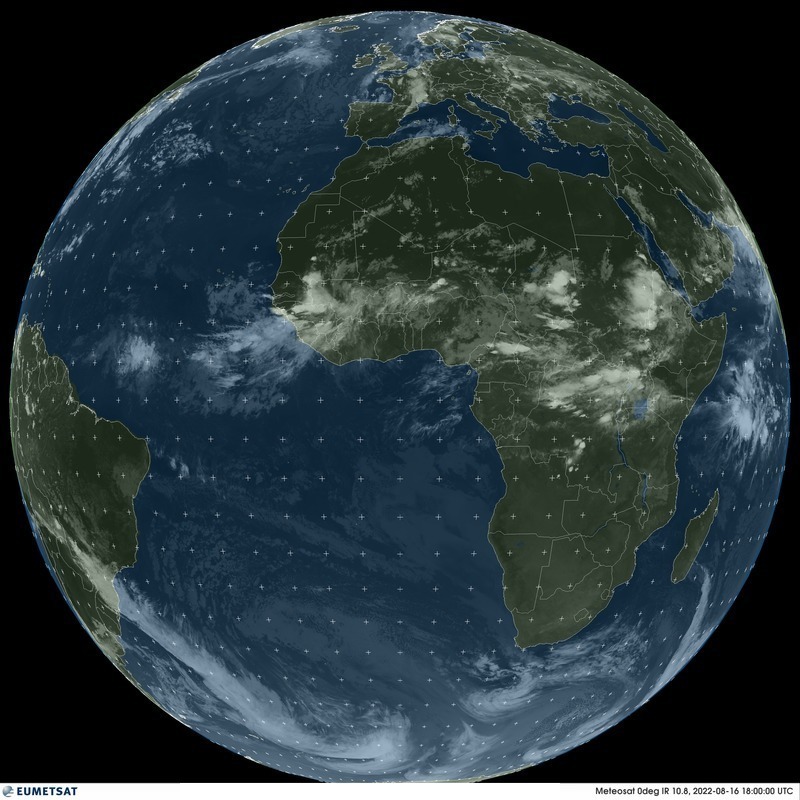 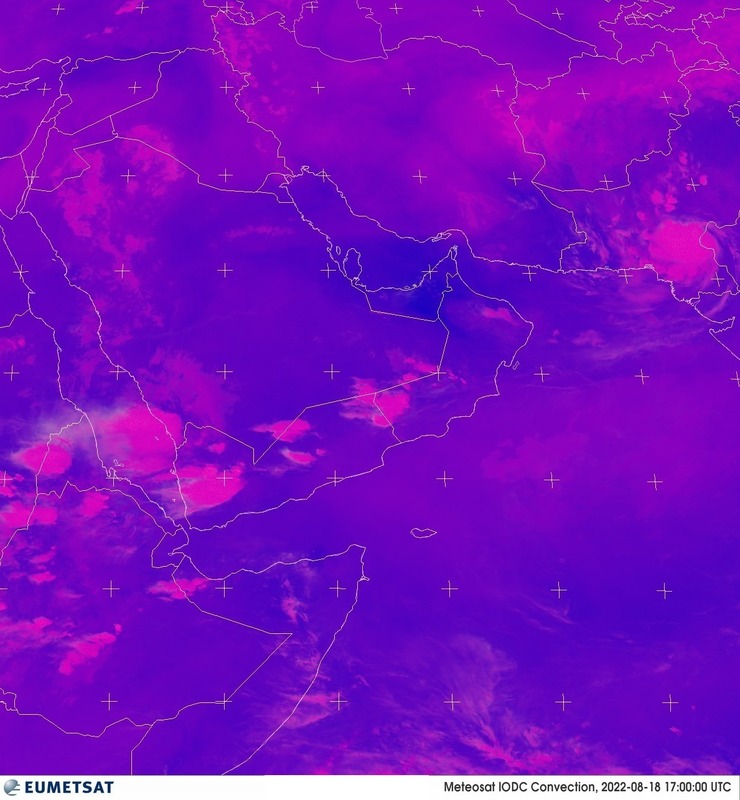 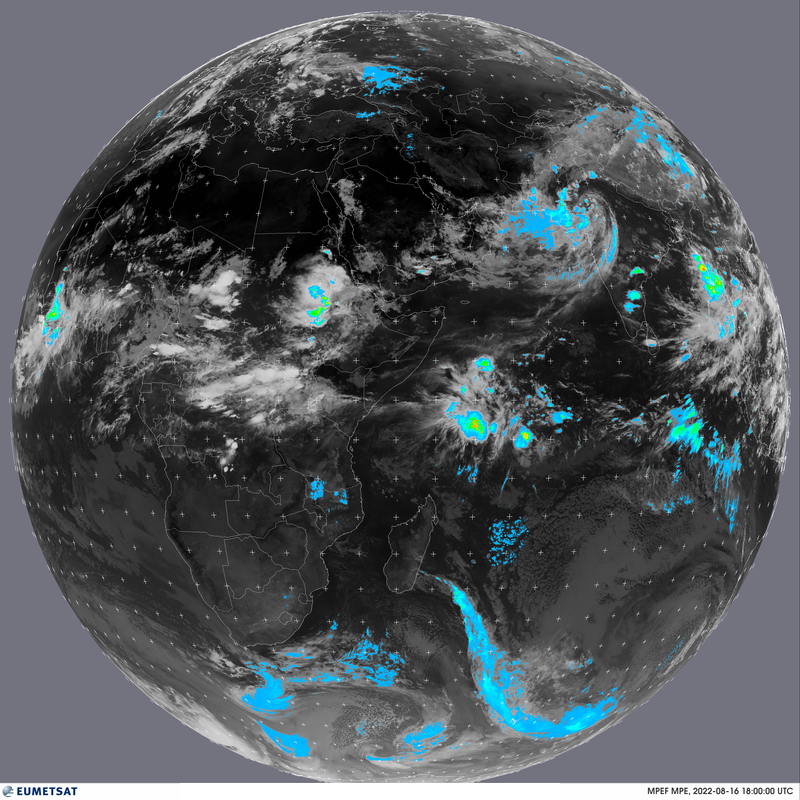 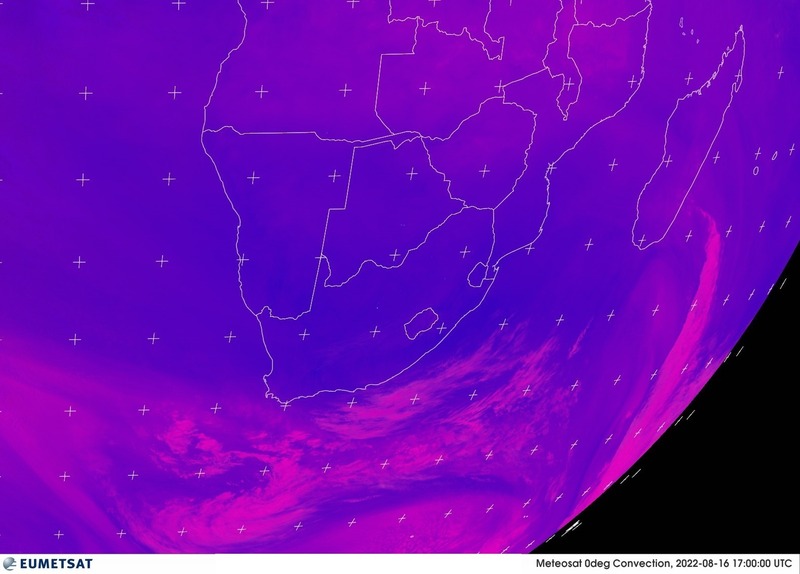 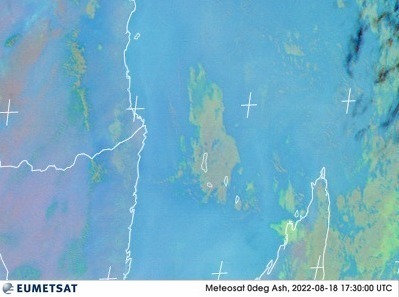 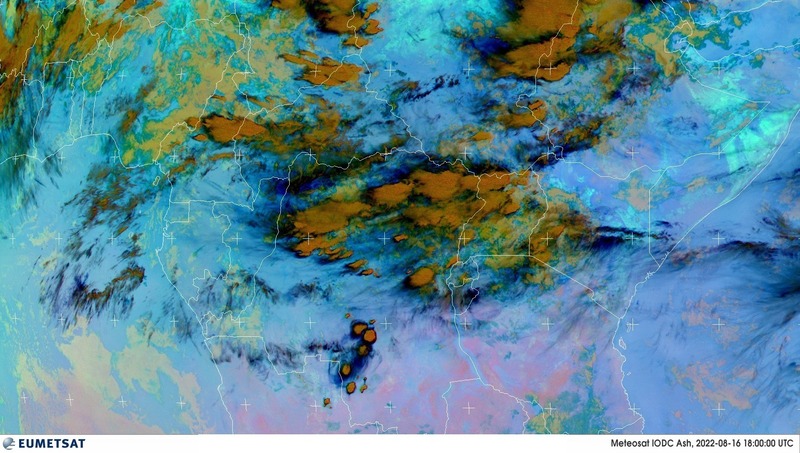 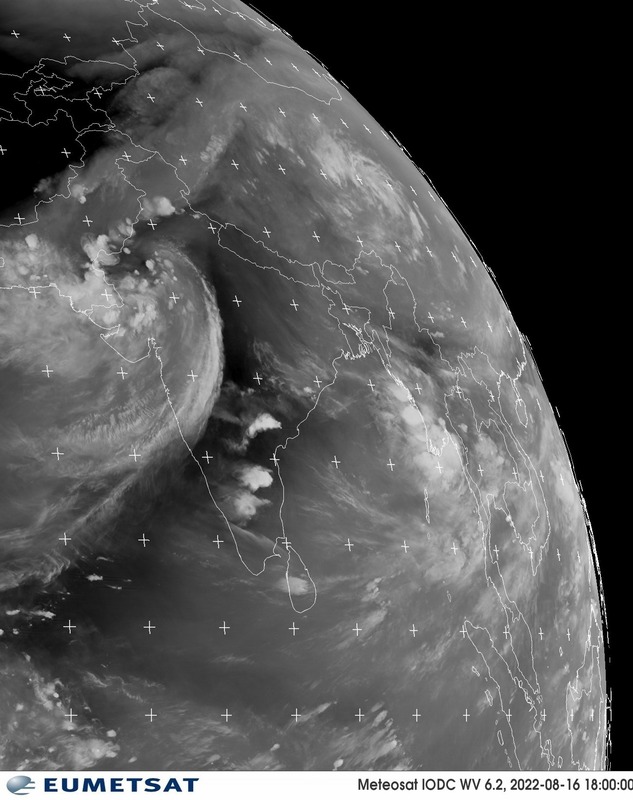 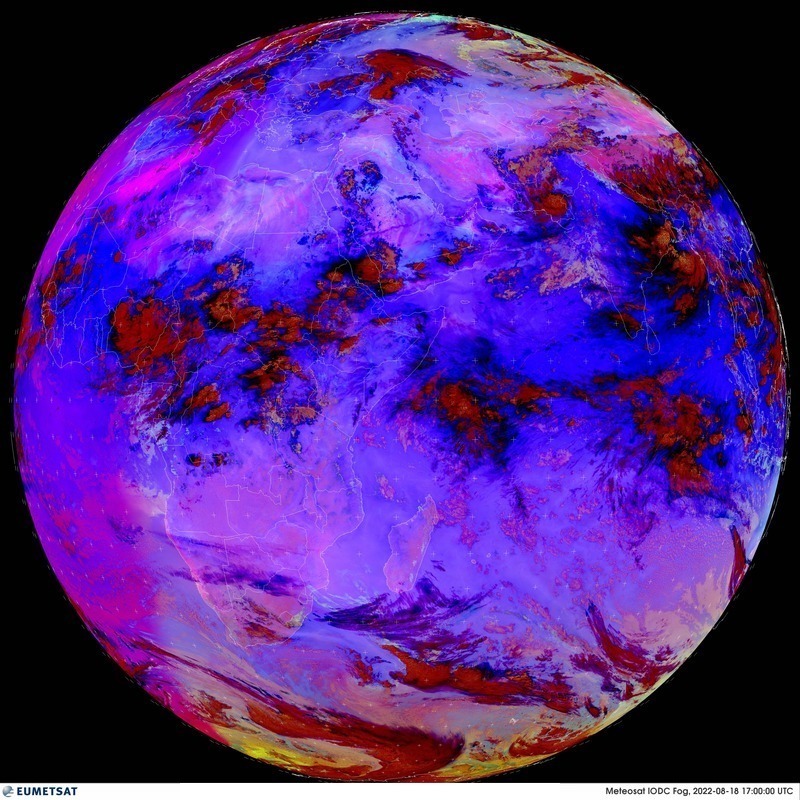 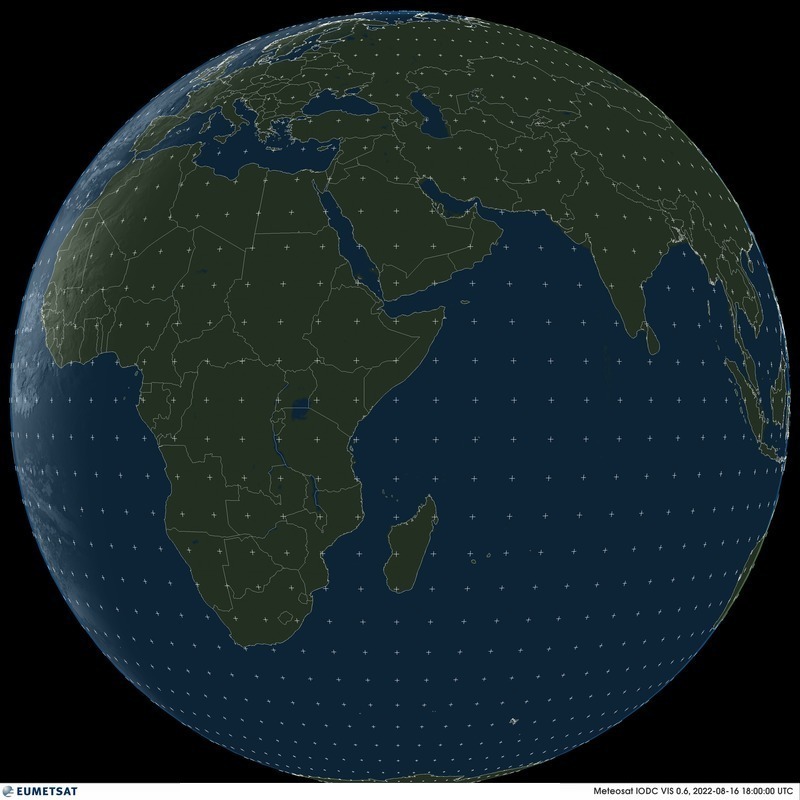 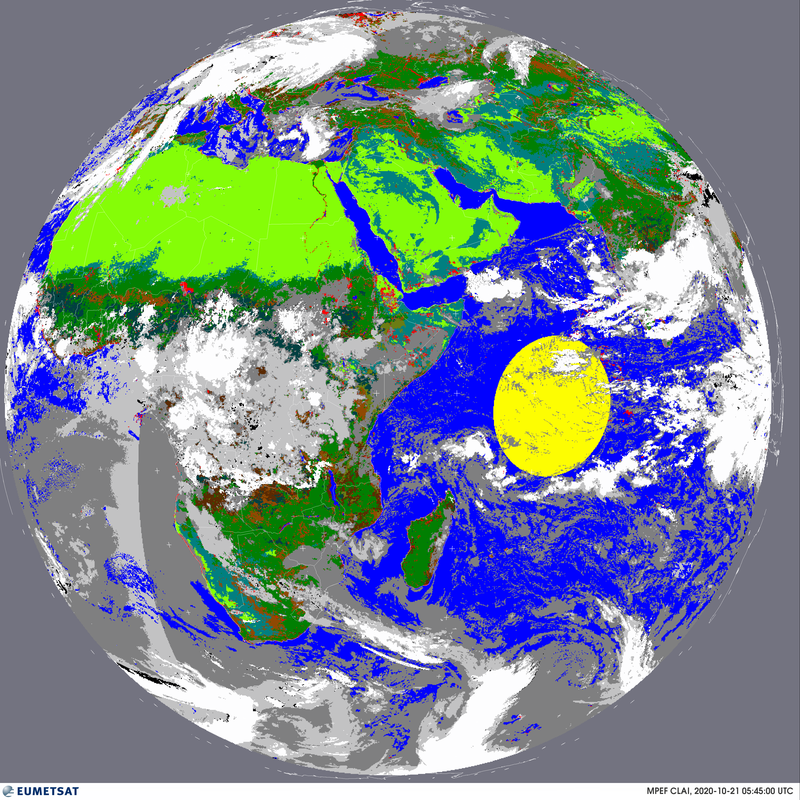 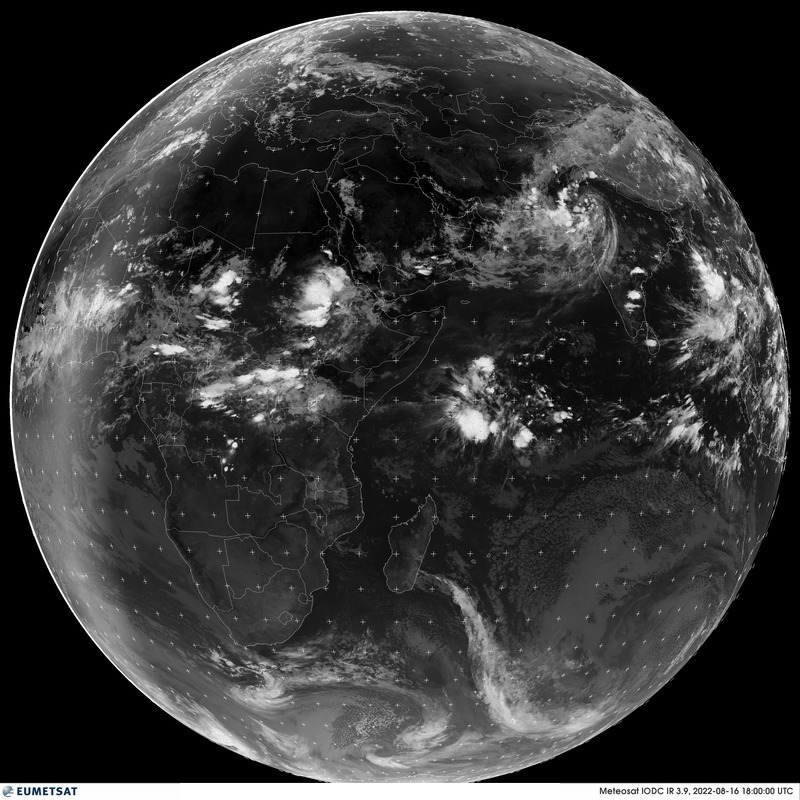 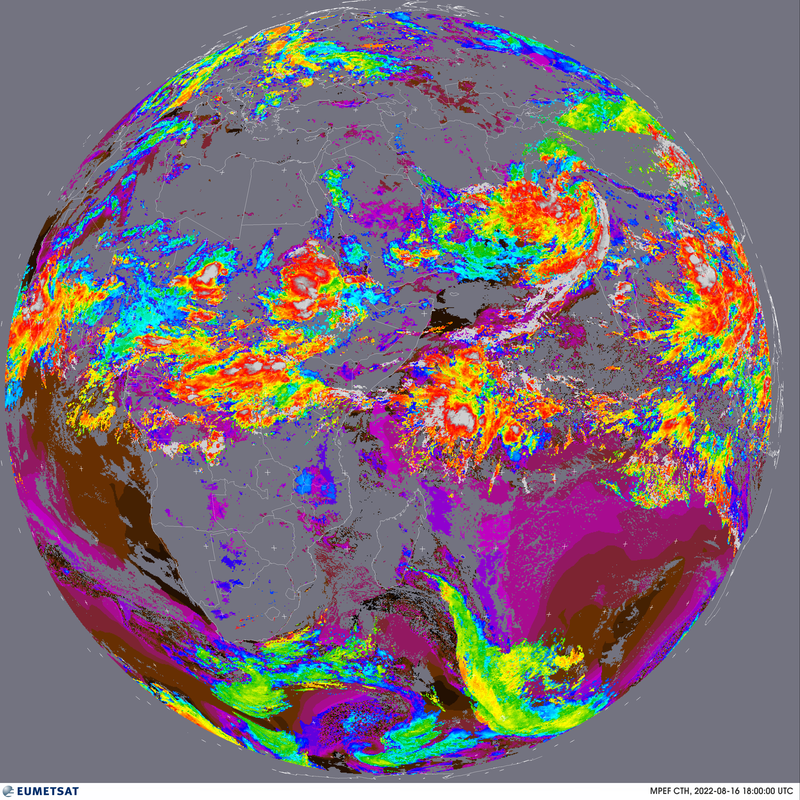 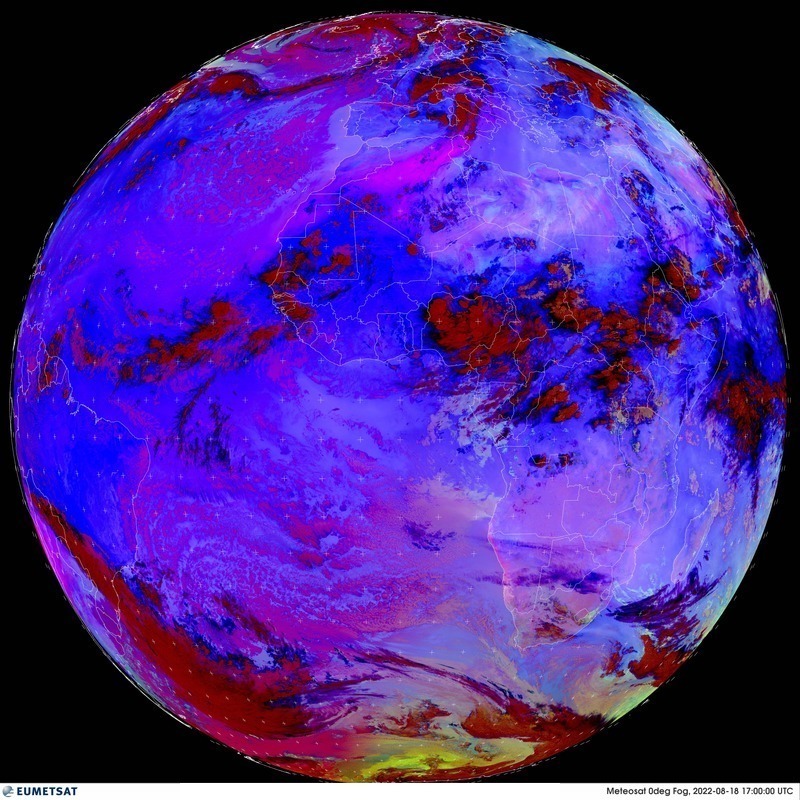 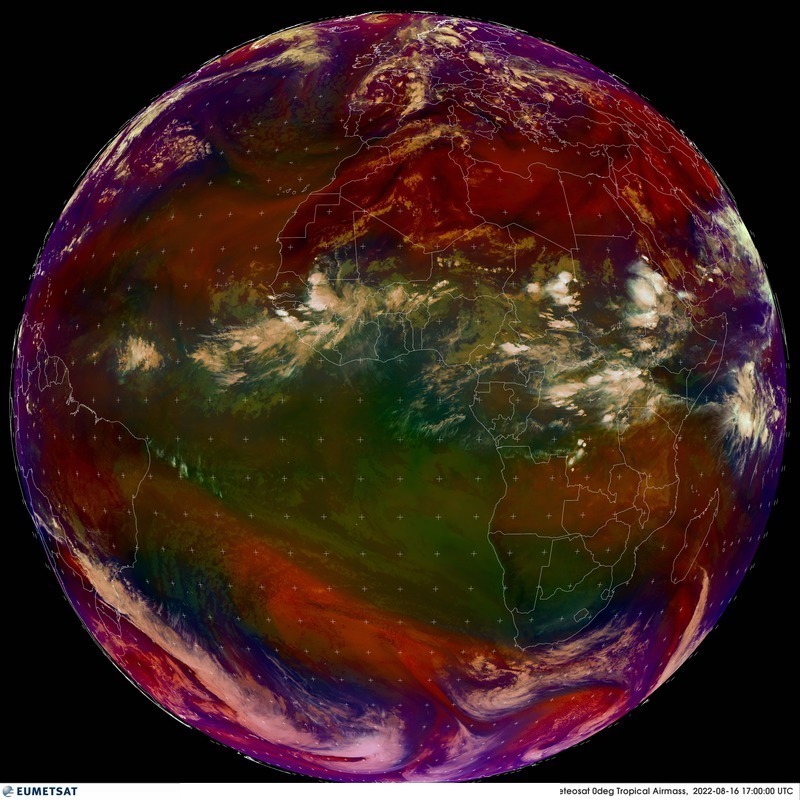 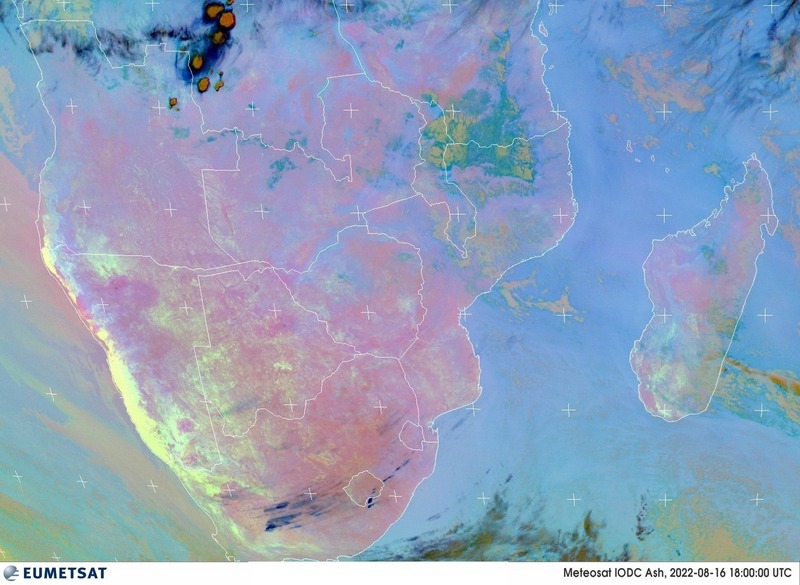 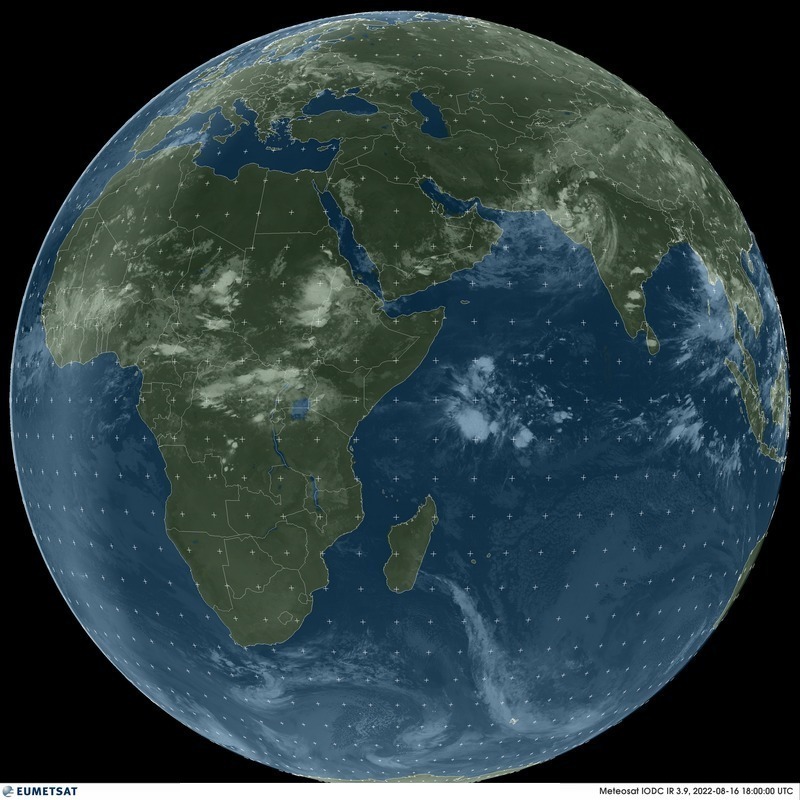 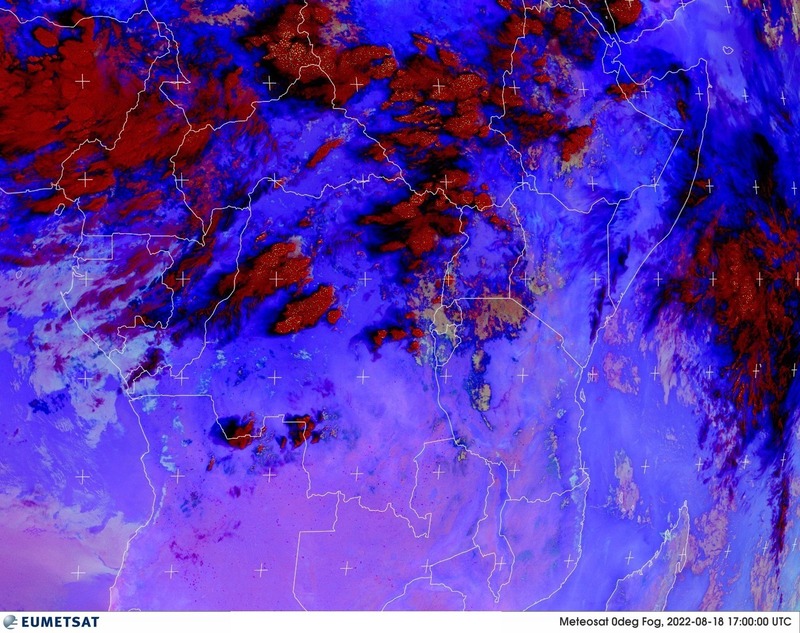 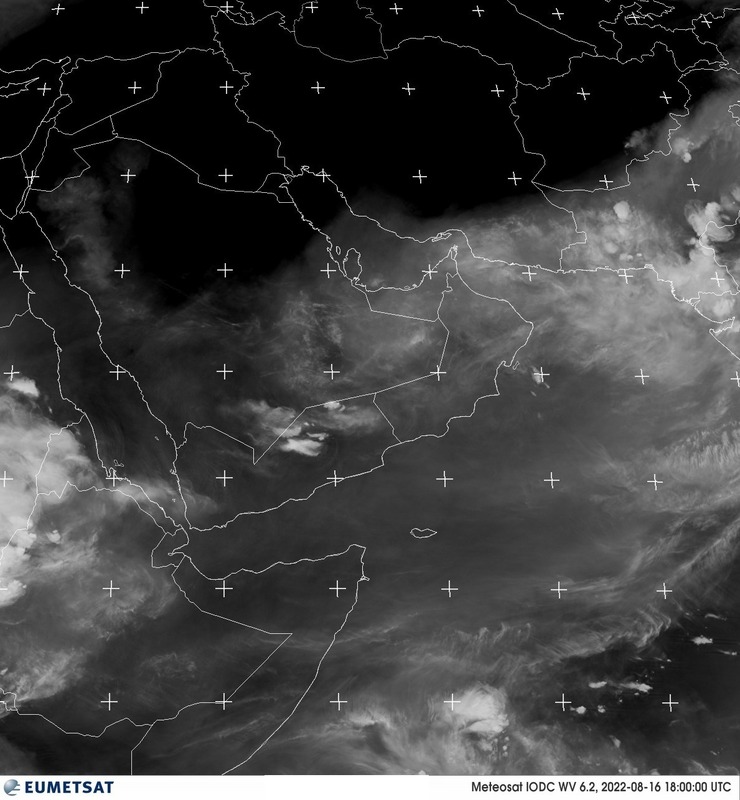 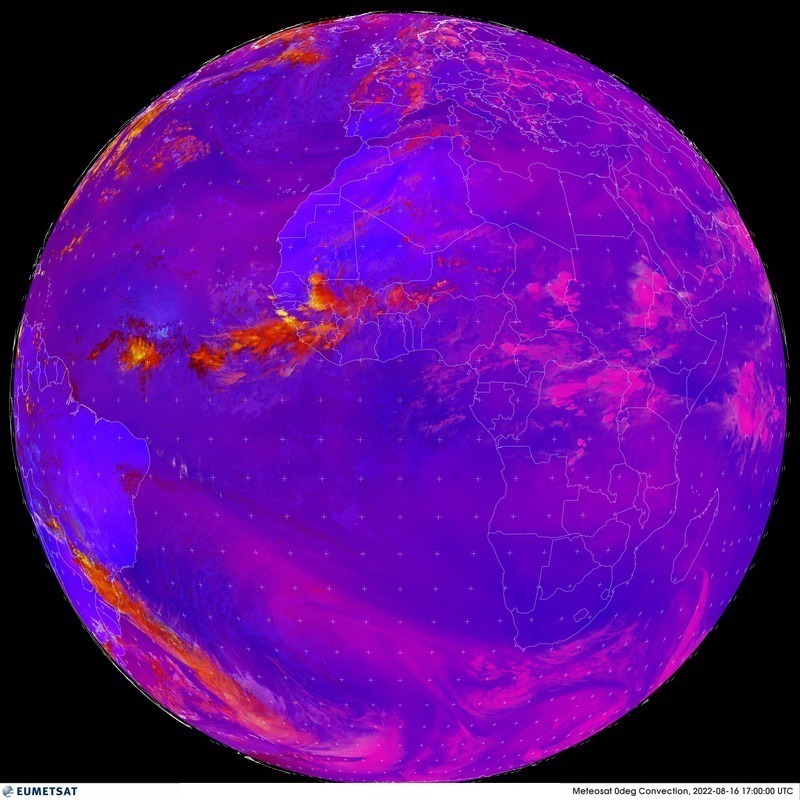 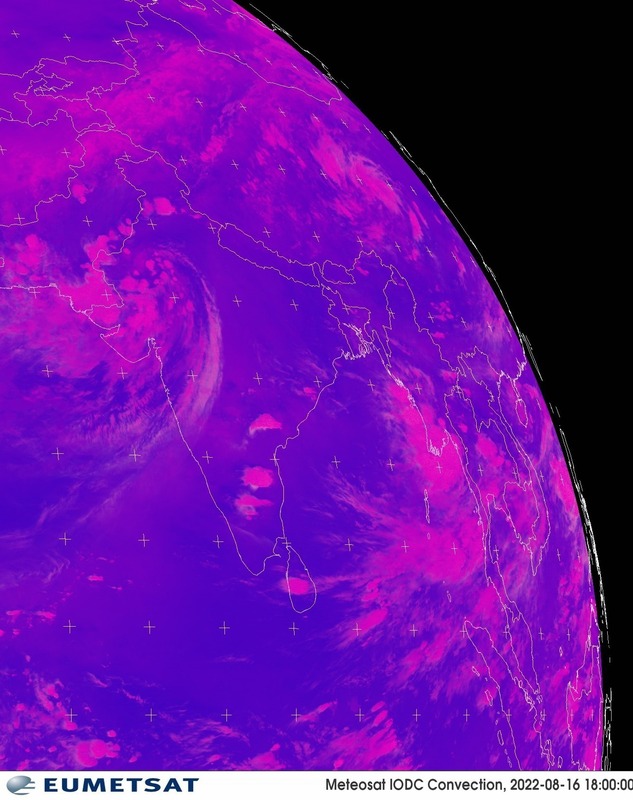 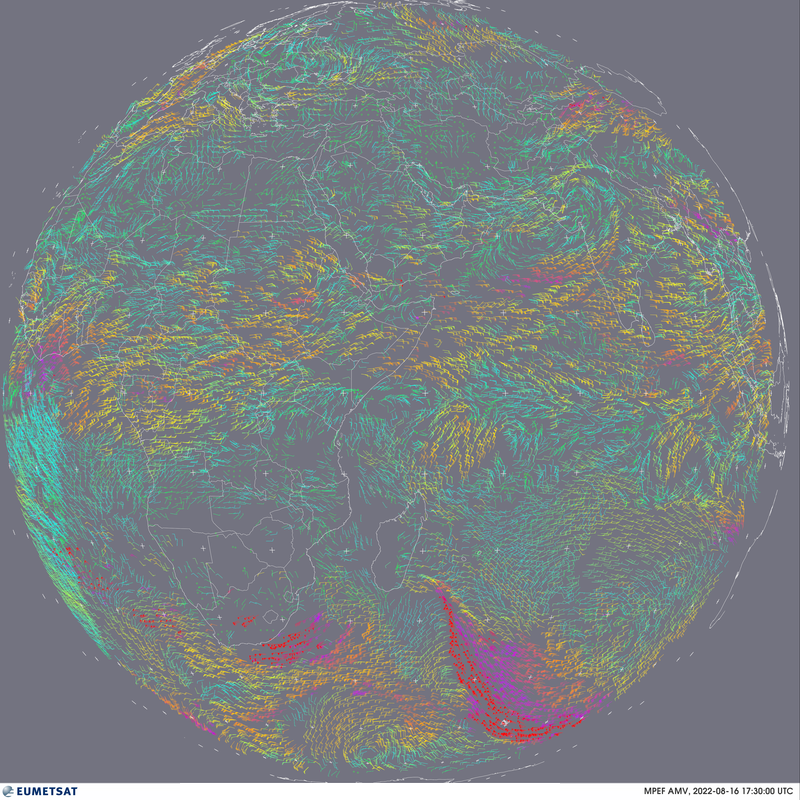 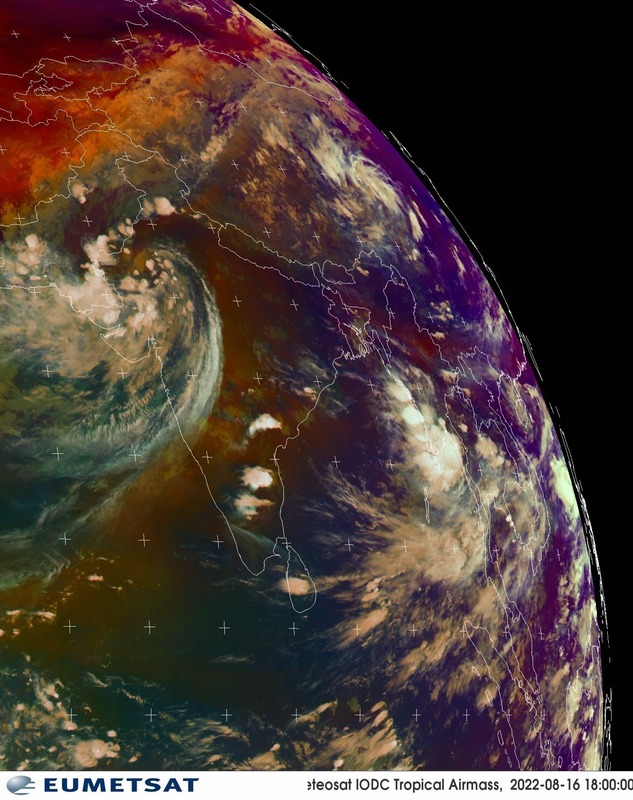 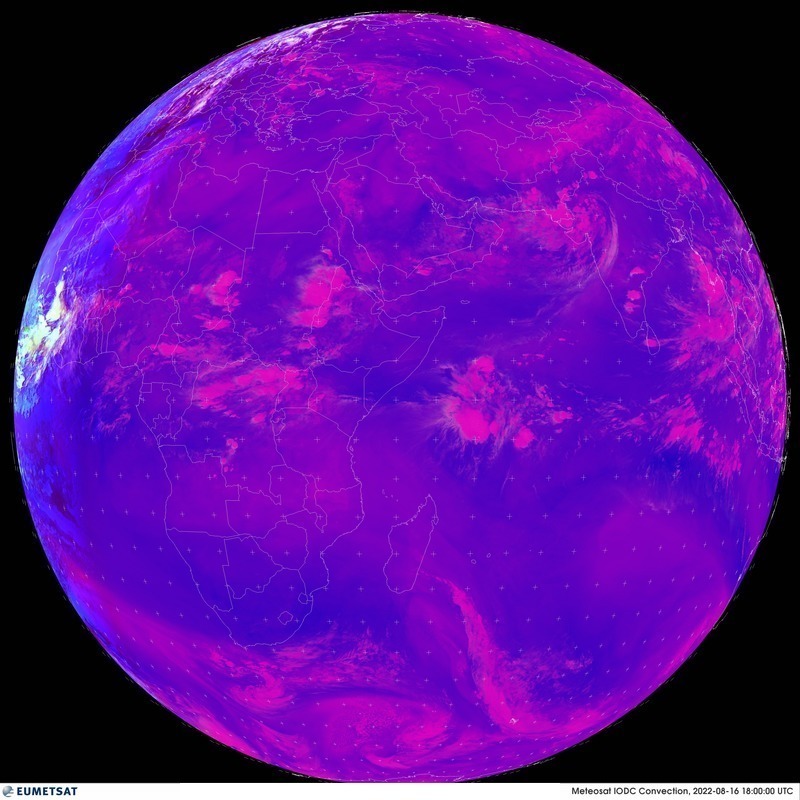 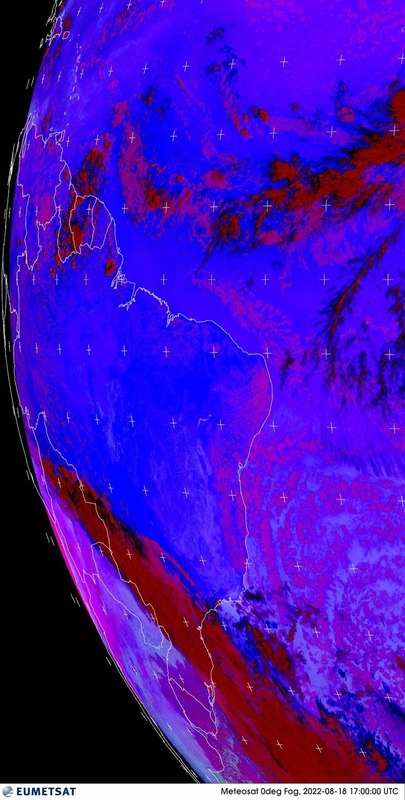 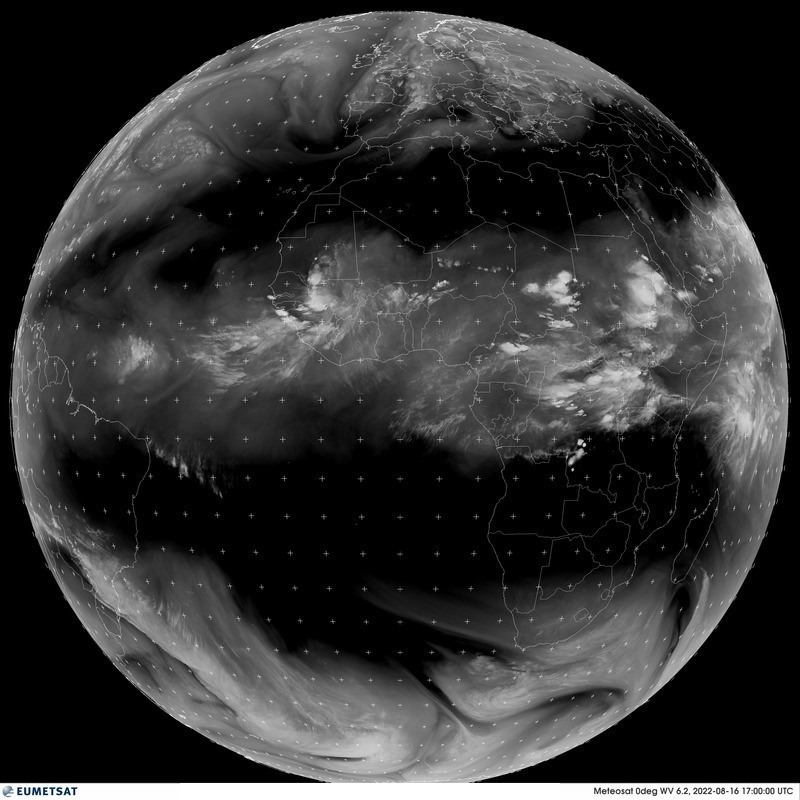 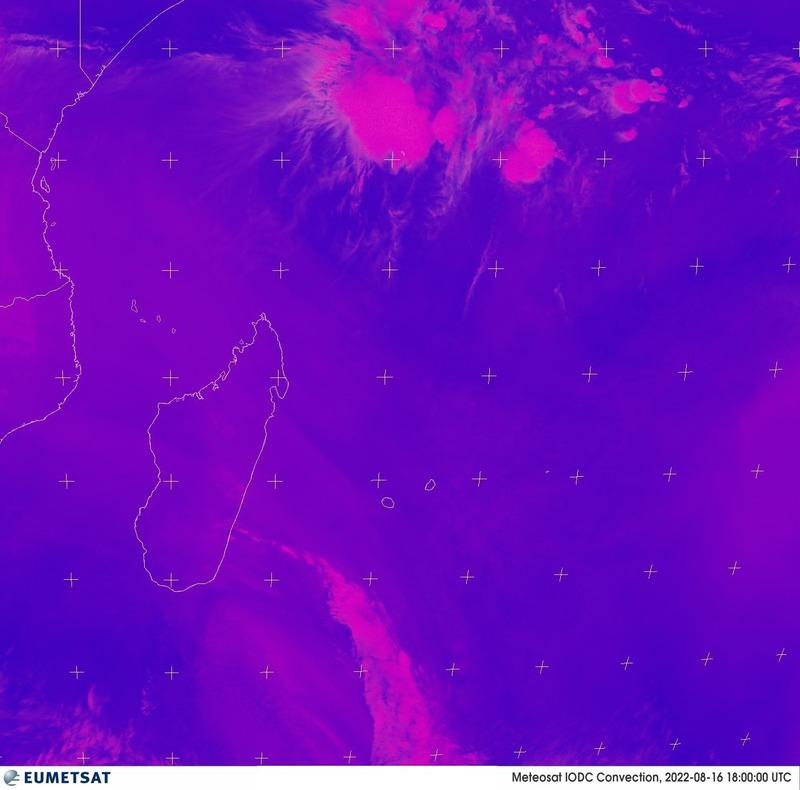 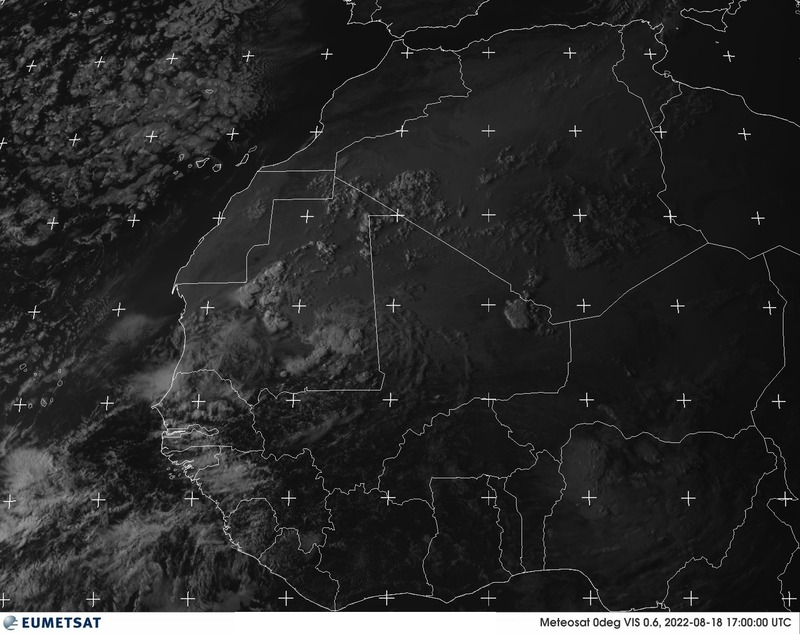 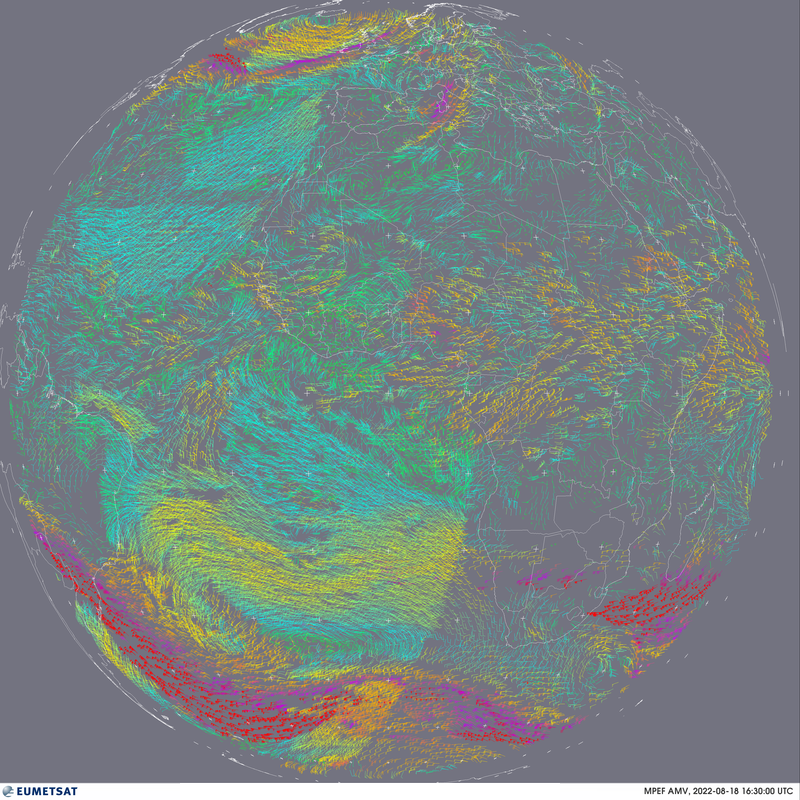 However, due to EUMETSAT's Data Policy, only a reduced set of images is freely available for direct download through this web page. 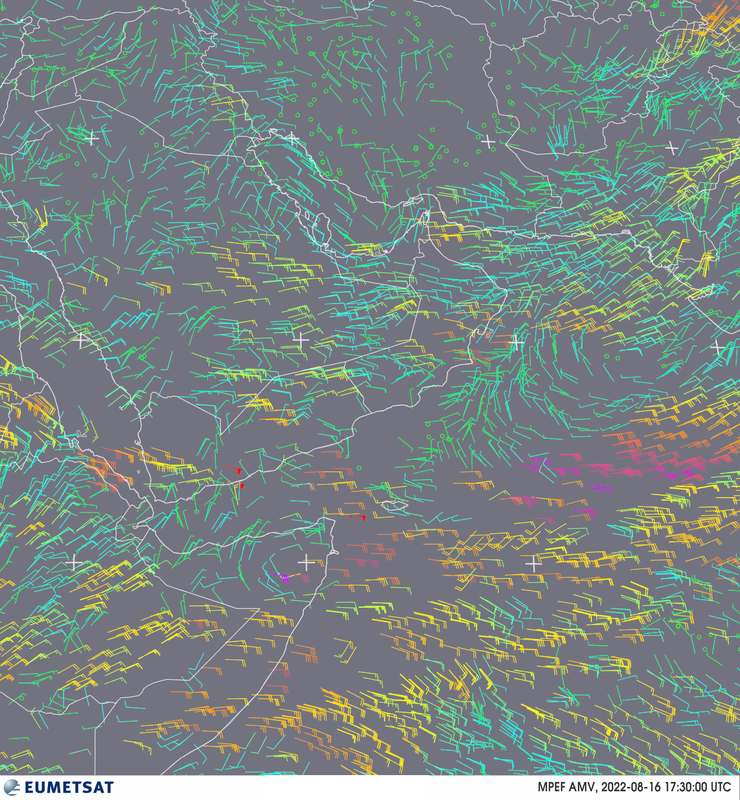 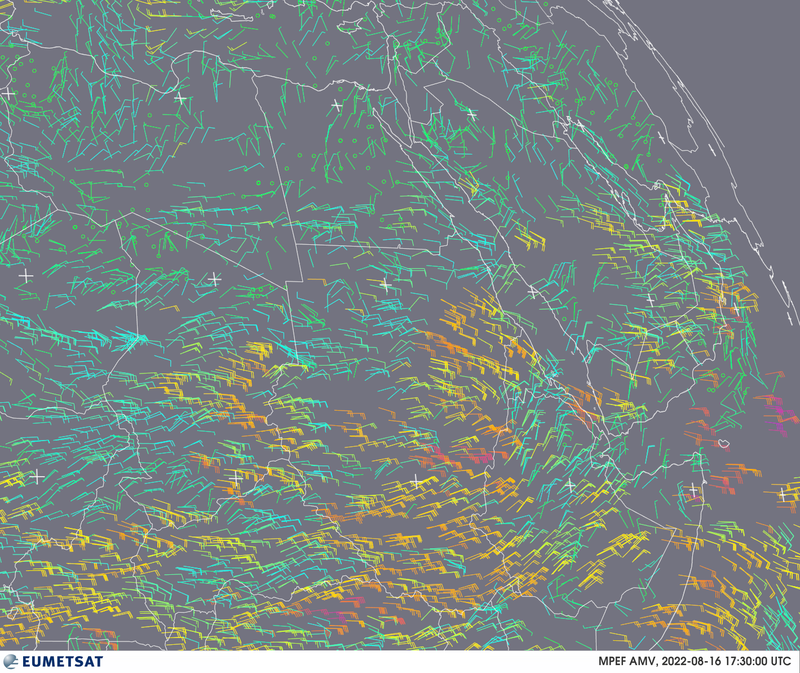 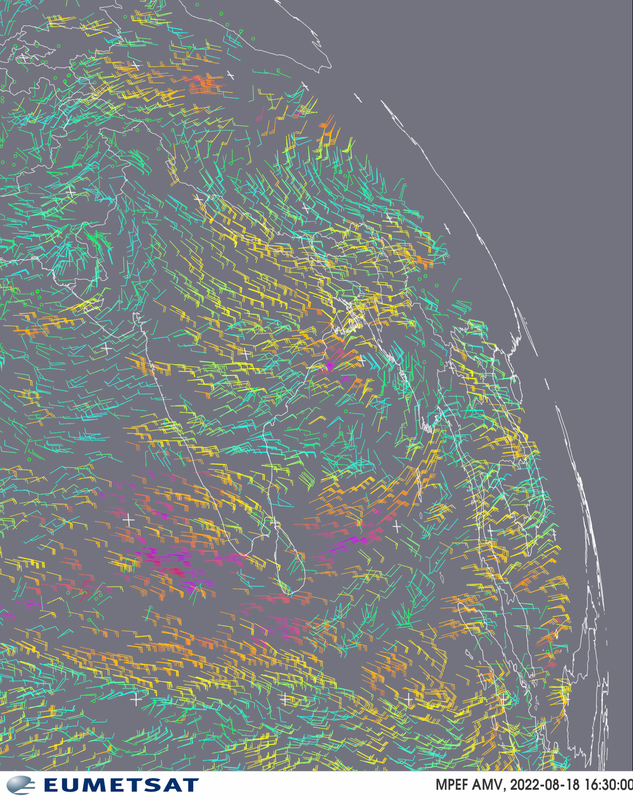 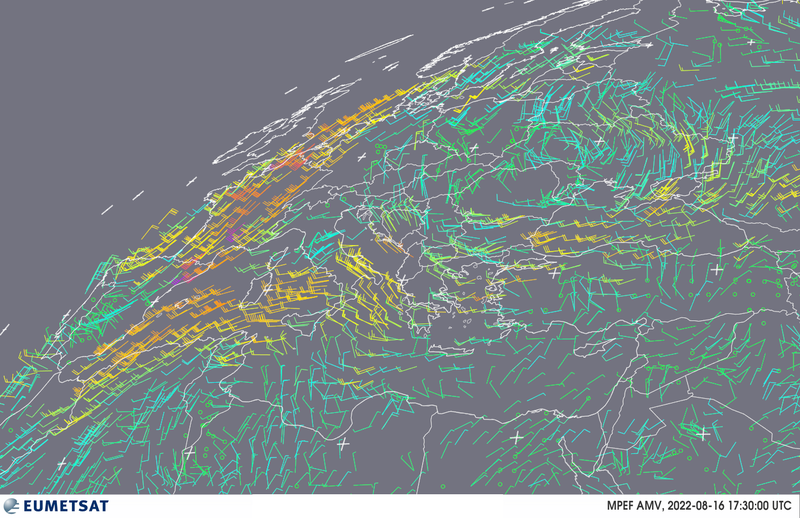 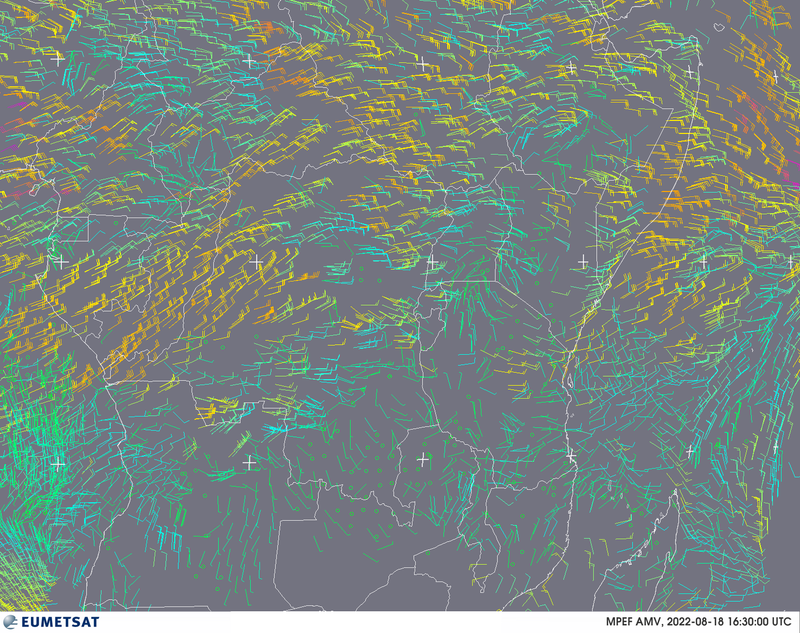 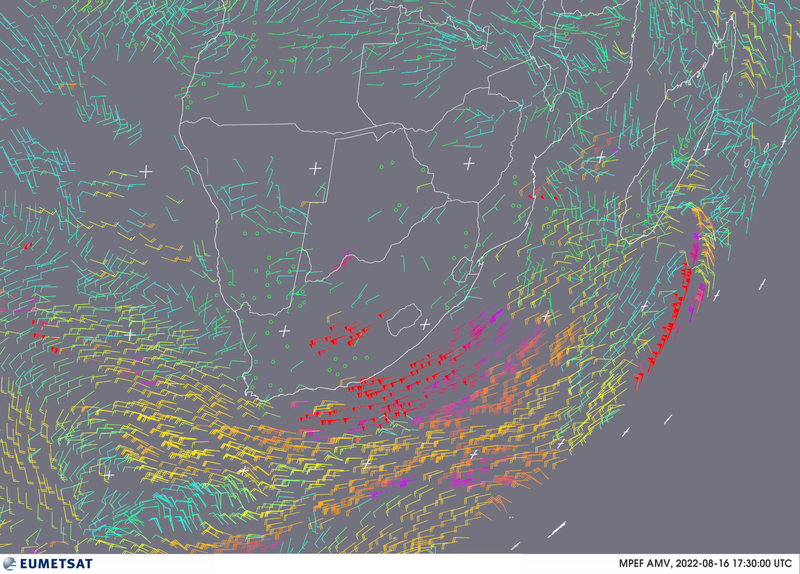 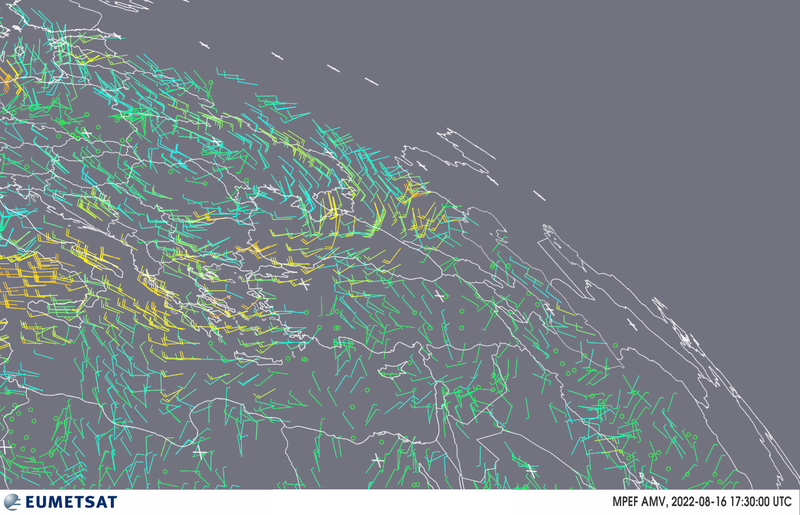 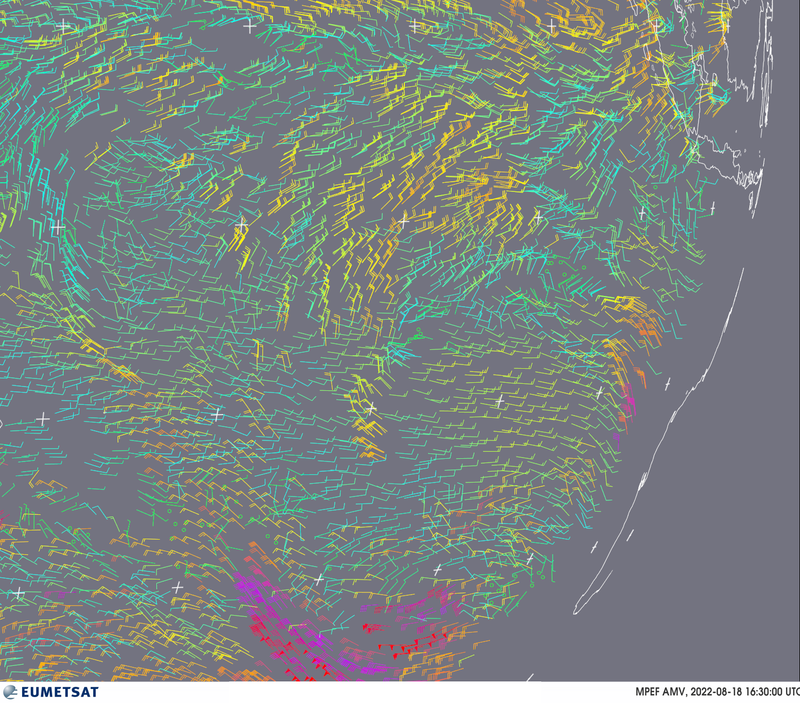 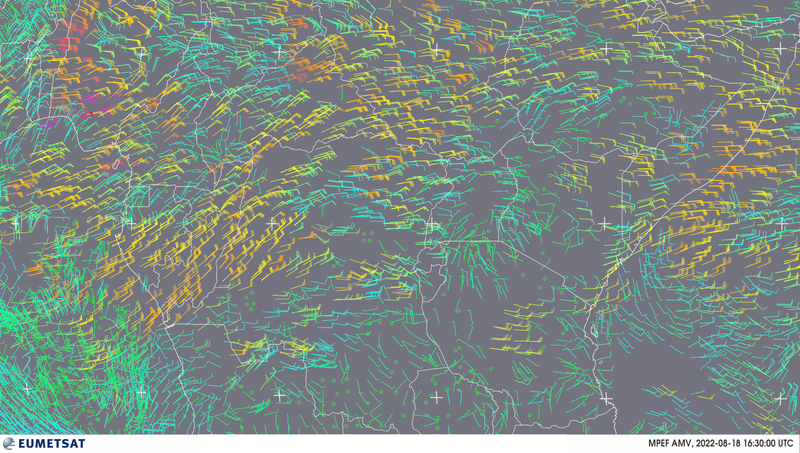 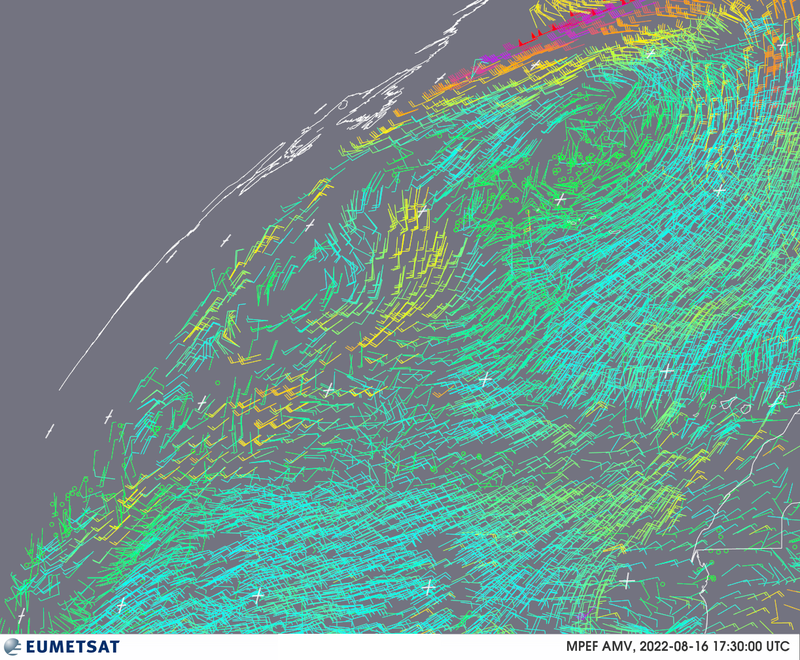 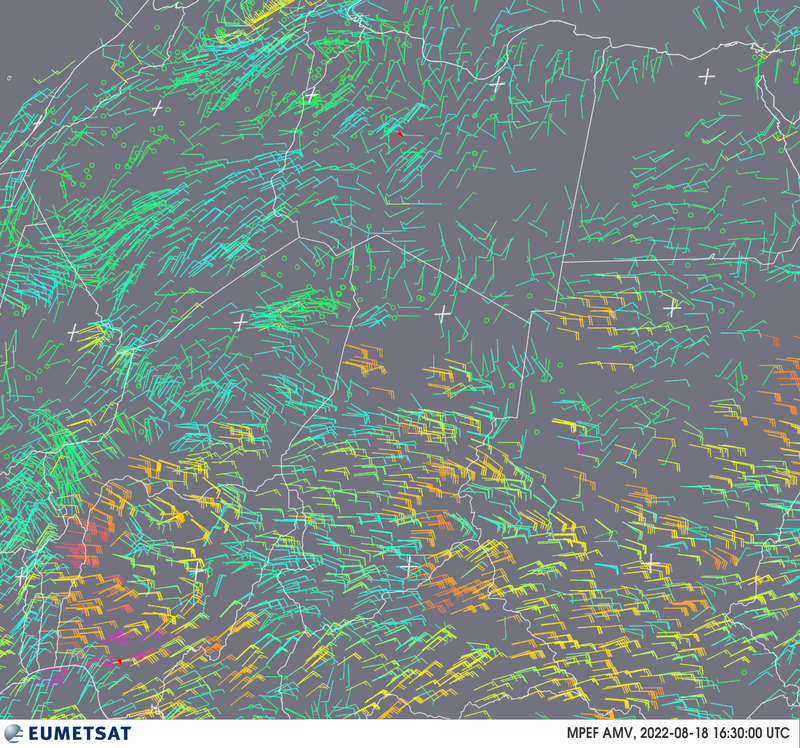 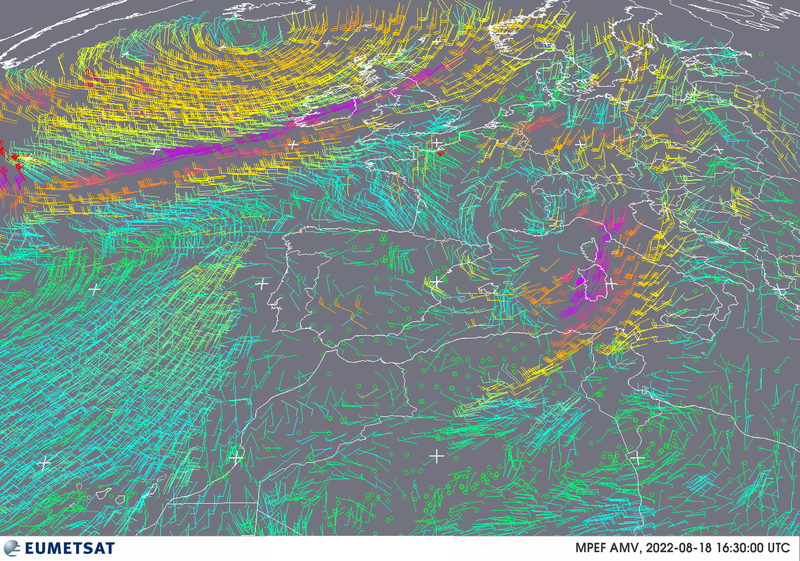 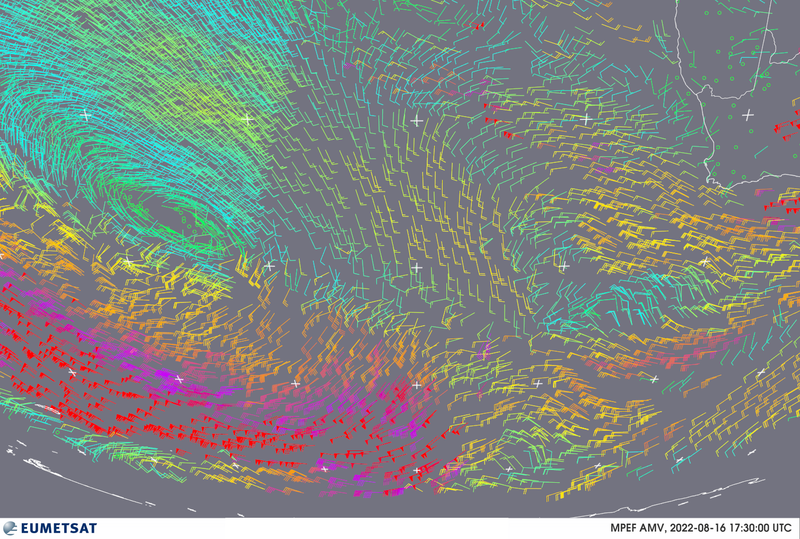 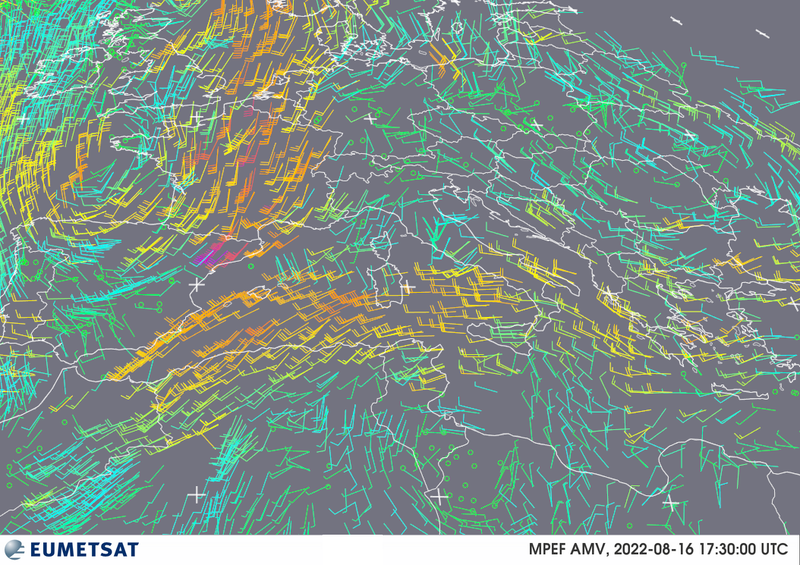 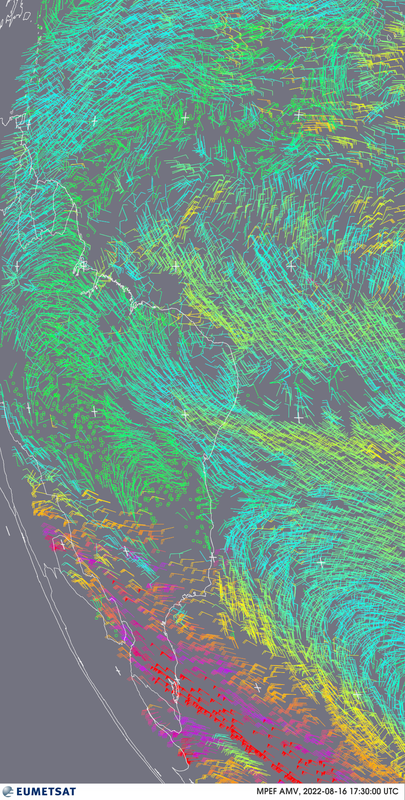 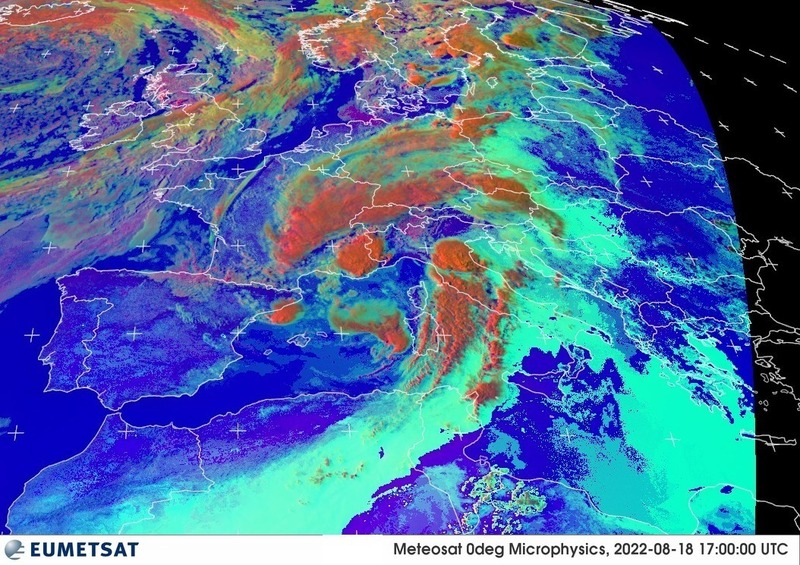 If you need a higher frequency and/or resolution, please consider a EUMETCast based solution. 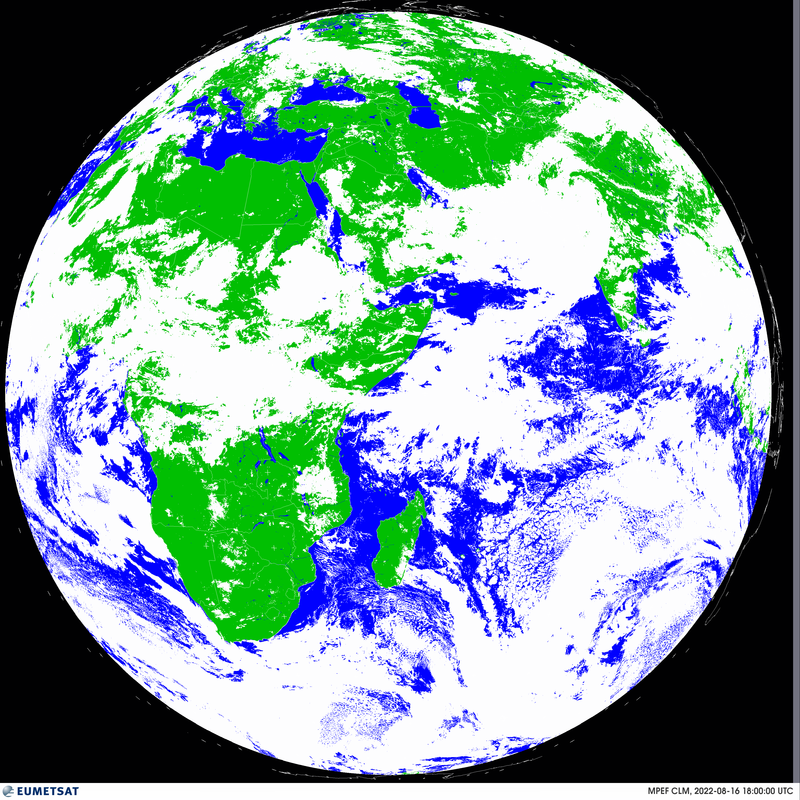 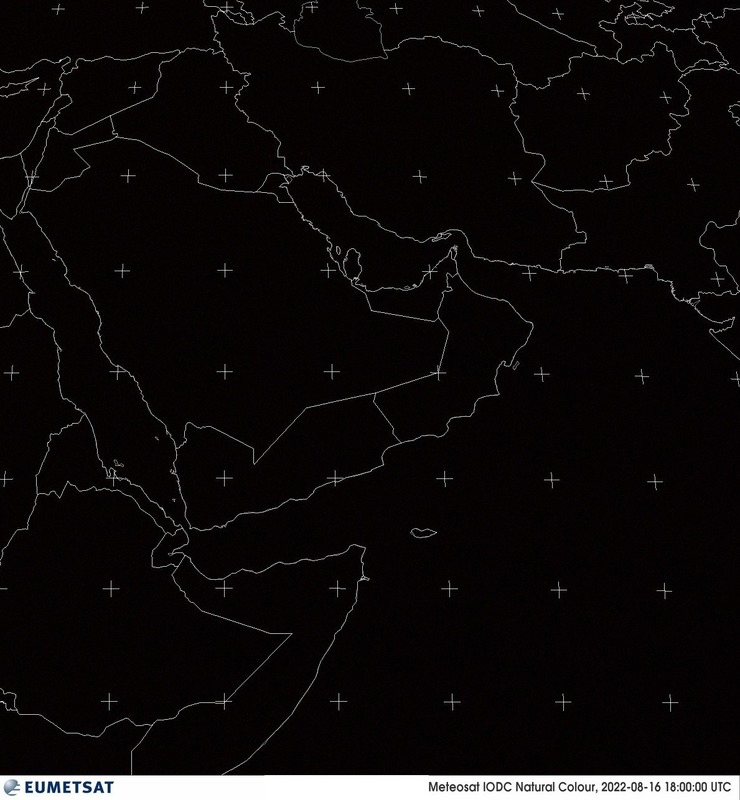 The satellites only scan the earth at regular intervals so there's no point in looking on our server more often than that. 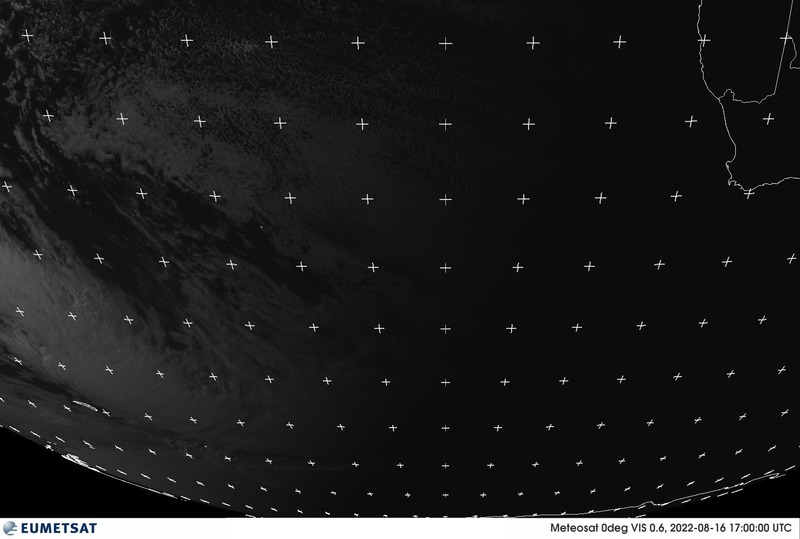 Idelly a program should be written so that it only connects once per run, and is run automatically every 30 minutes (i.e. 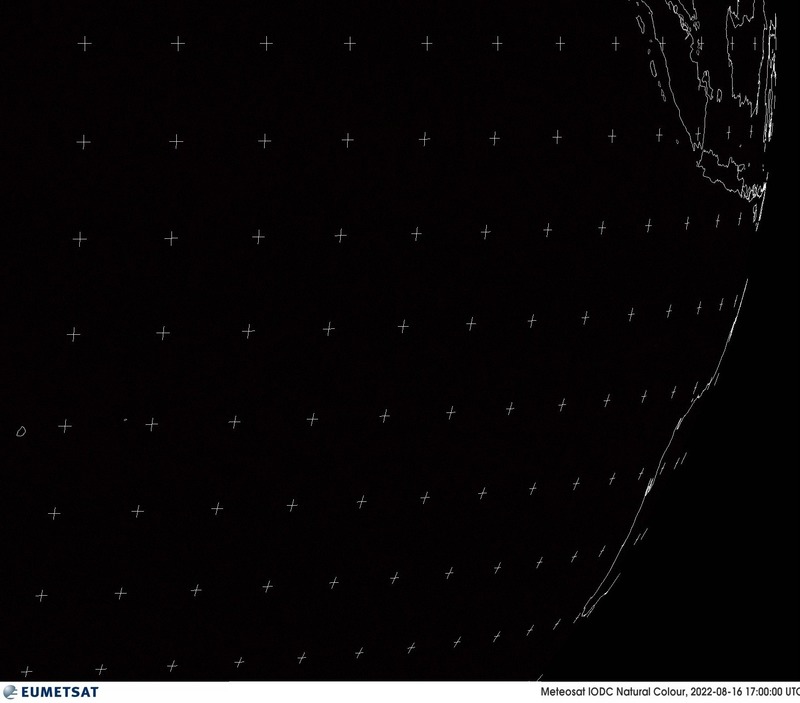 using the UNIX 'crontab' or Windows NT 'at' commands). 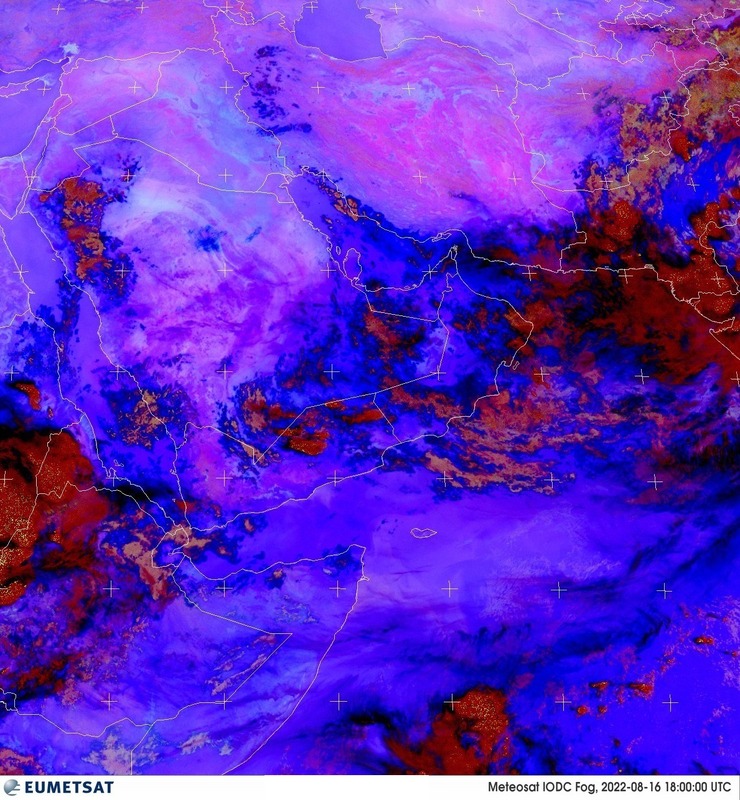 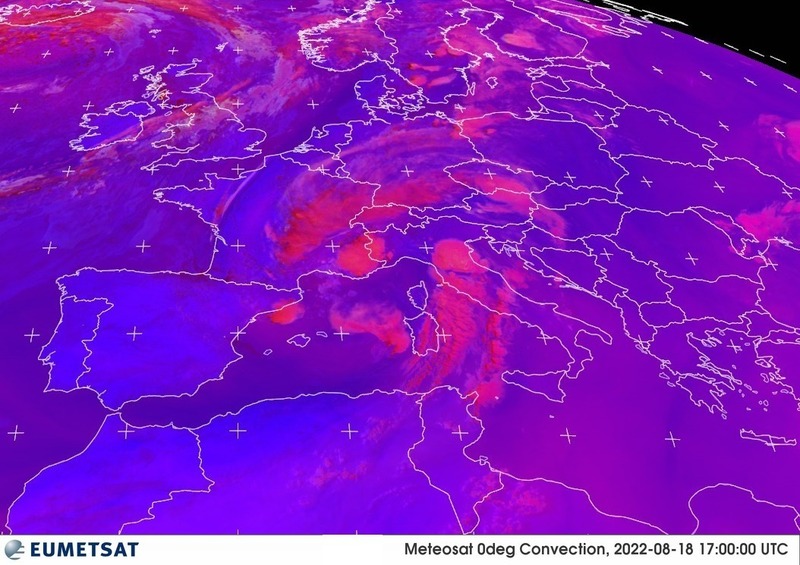 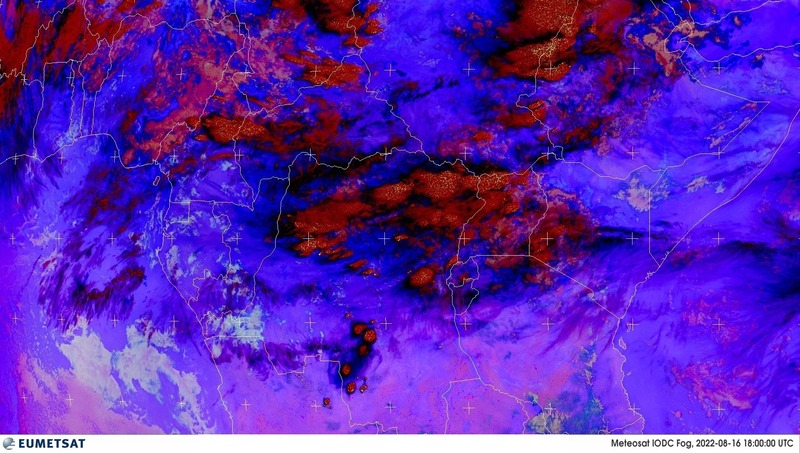 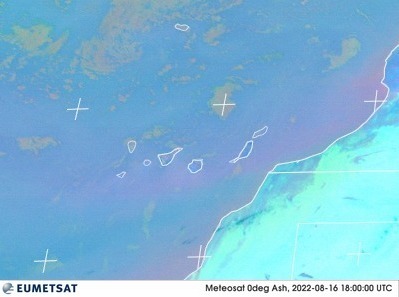 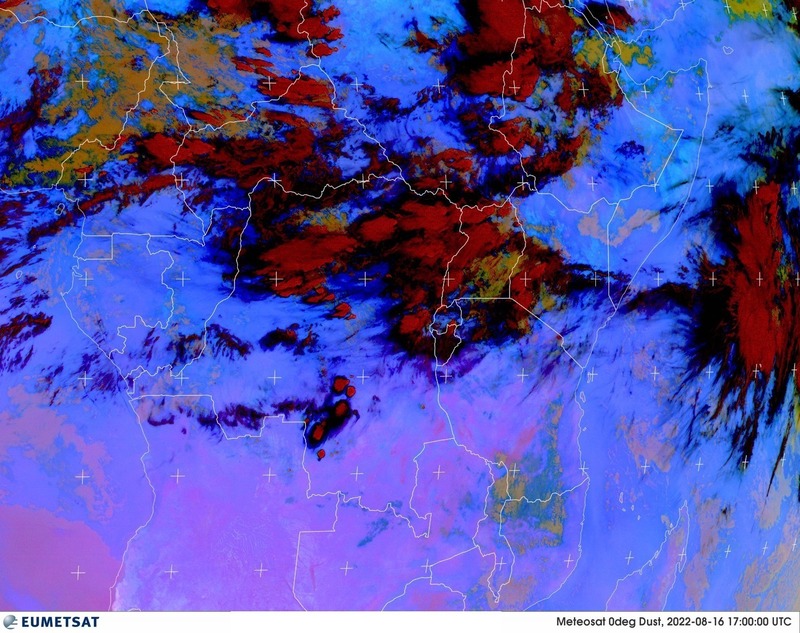 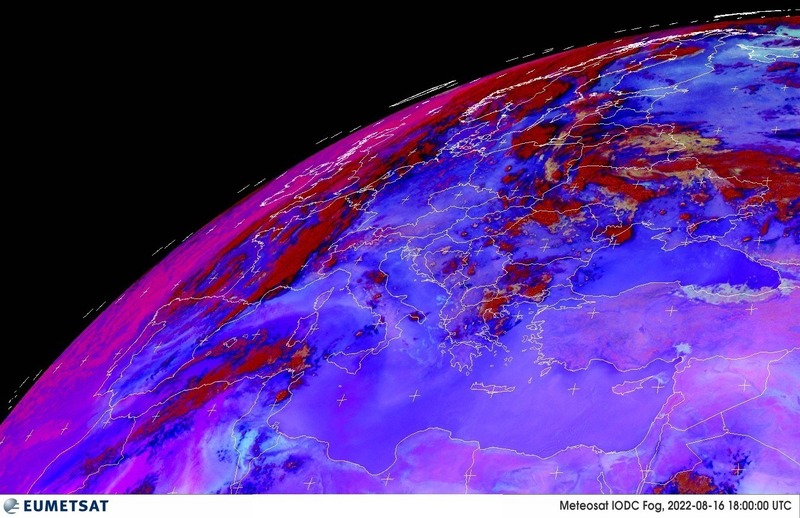 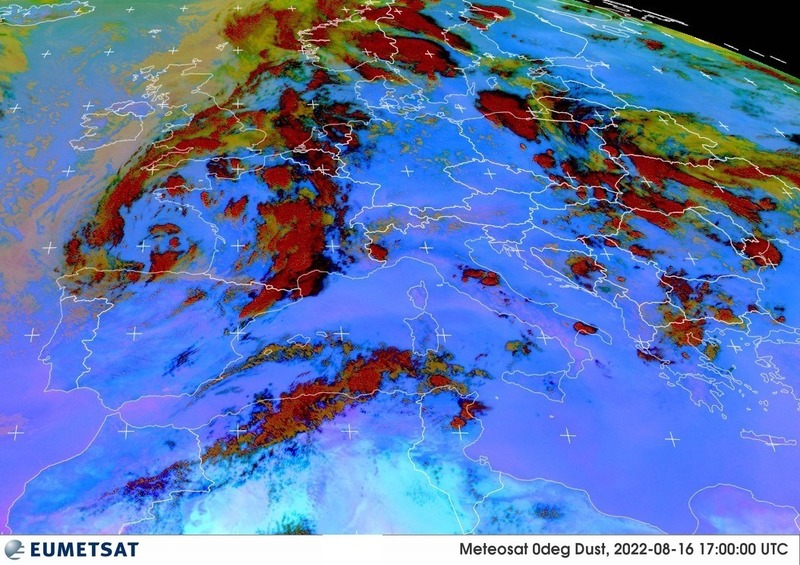 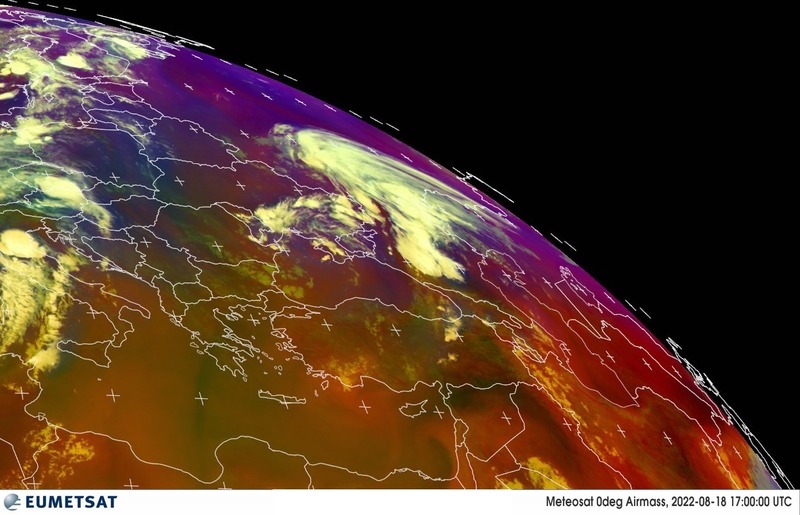 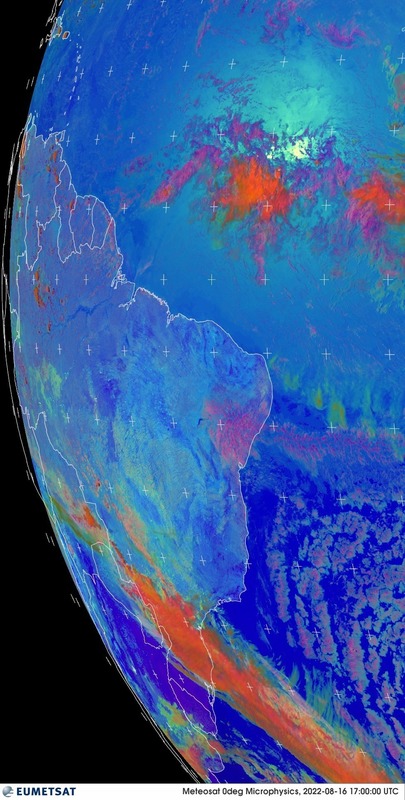 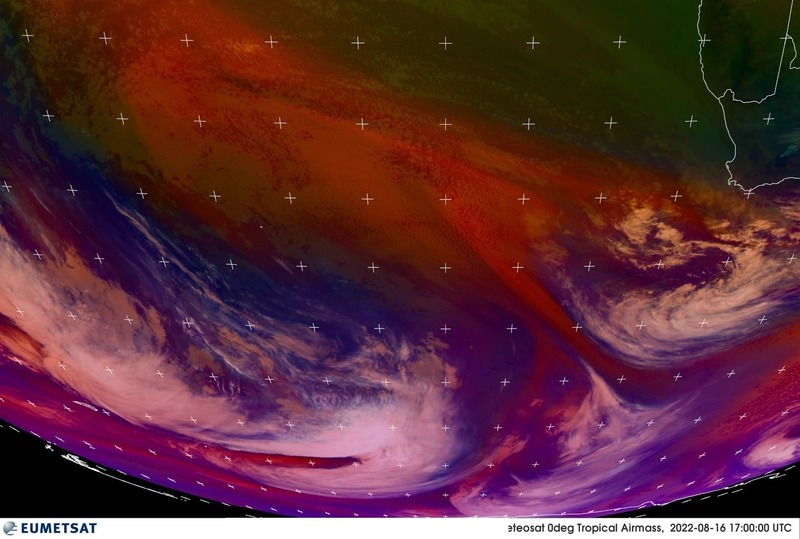 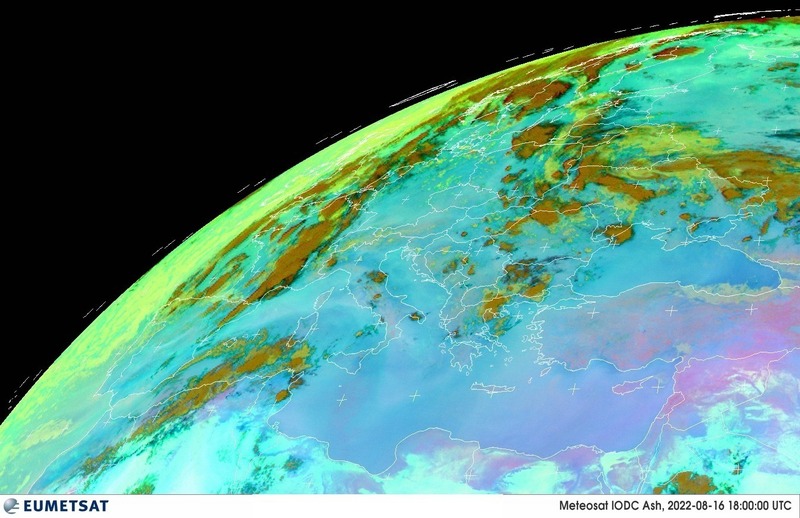 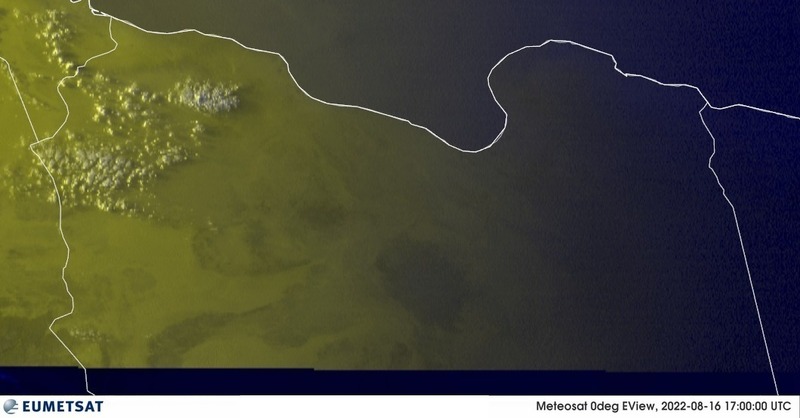 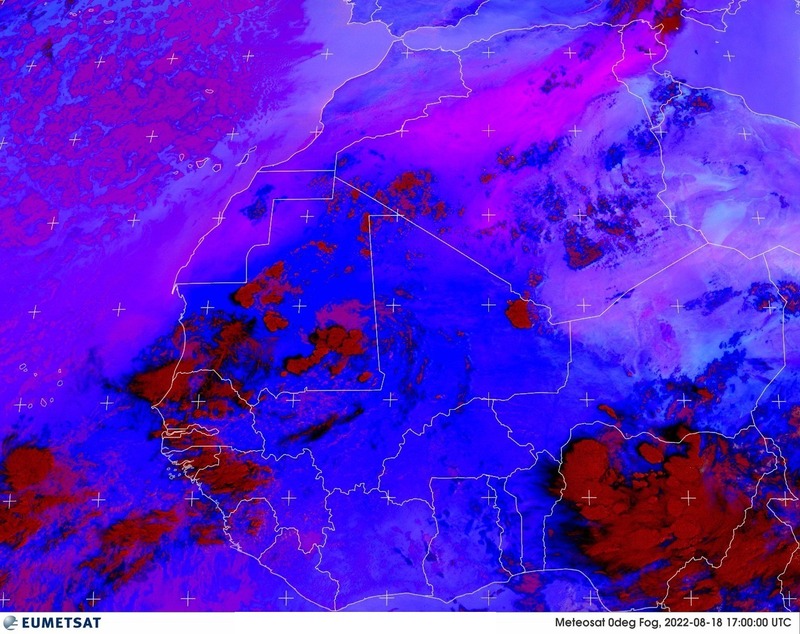 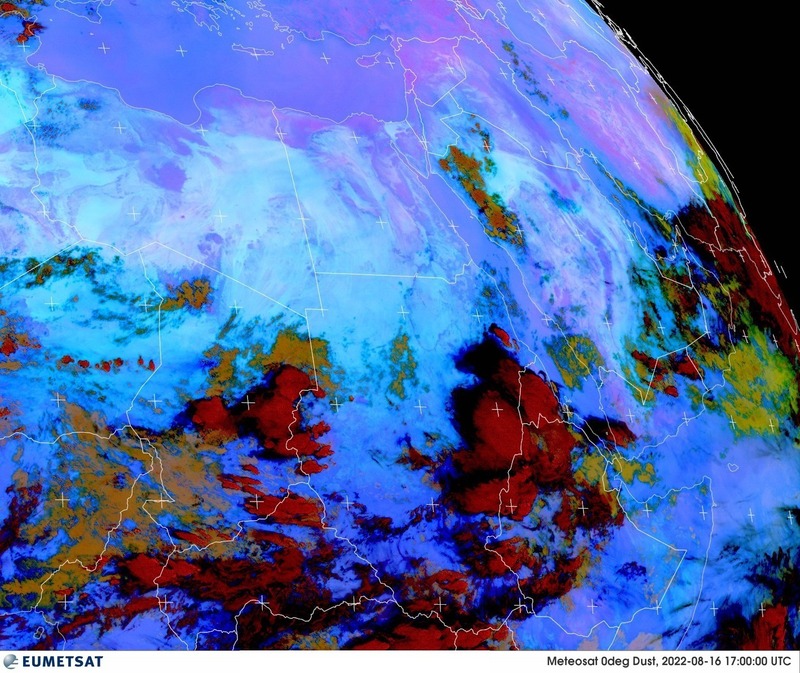 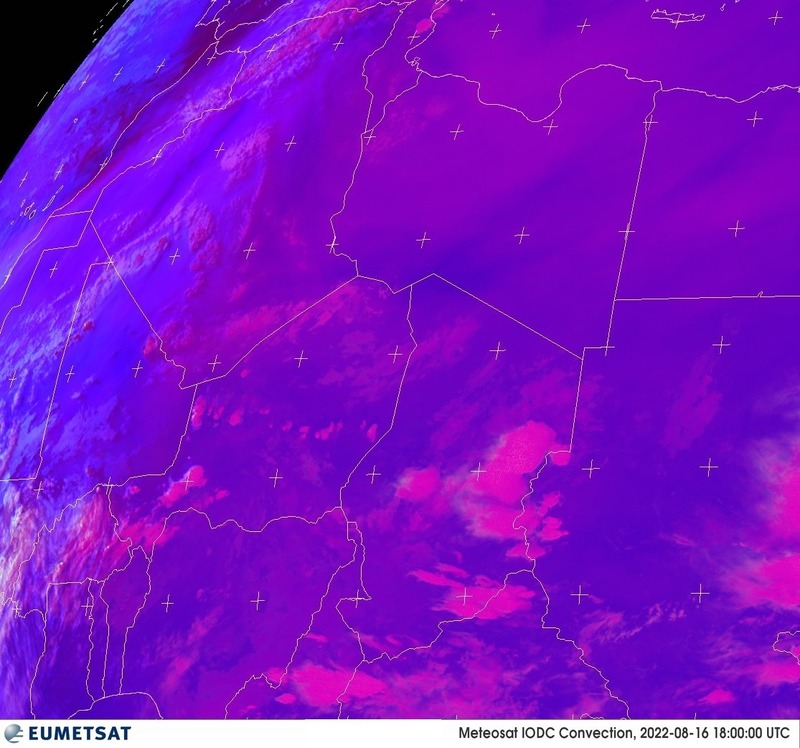 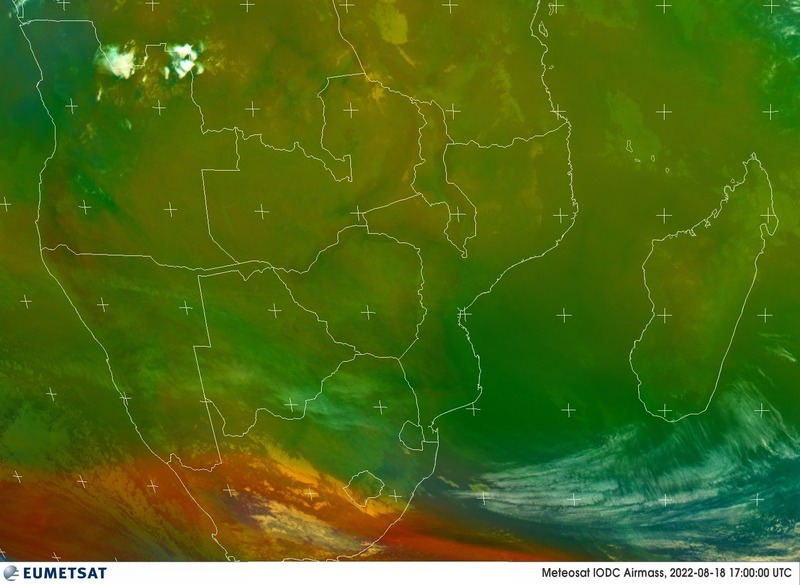 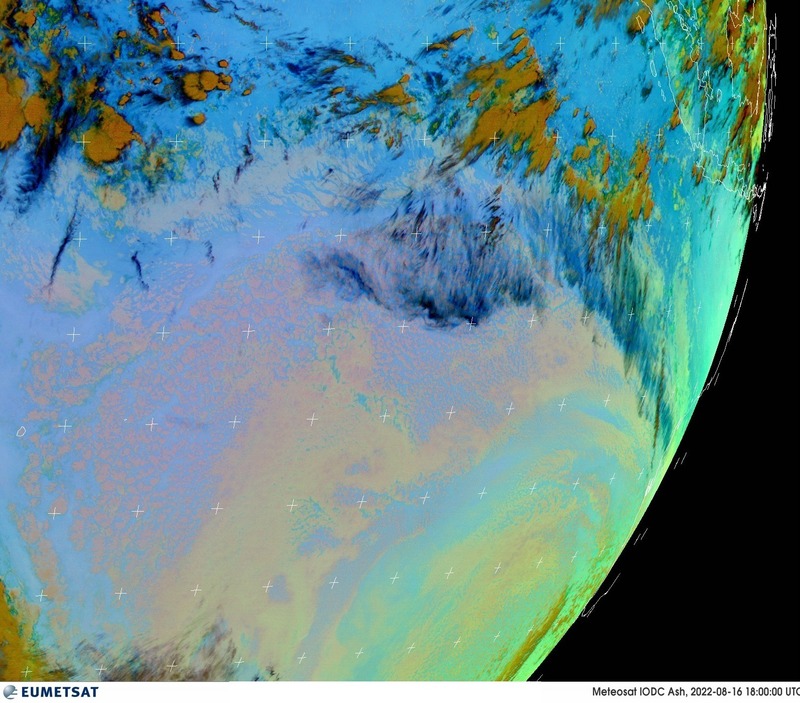 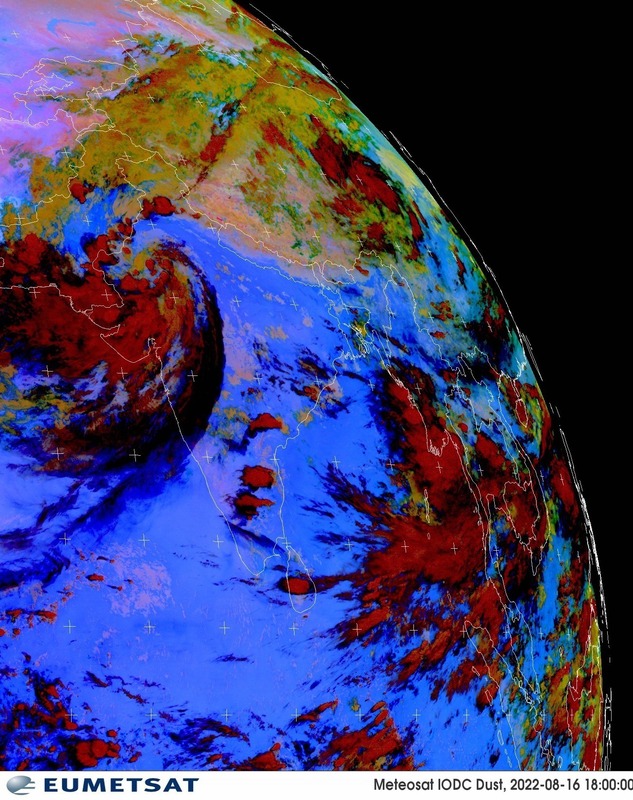 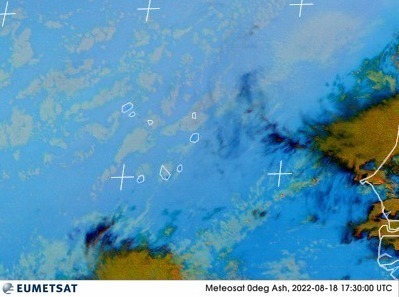 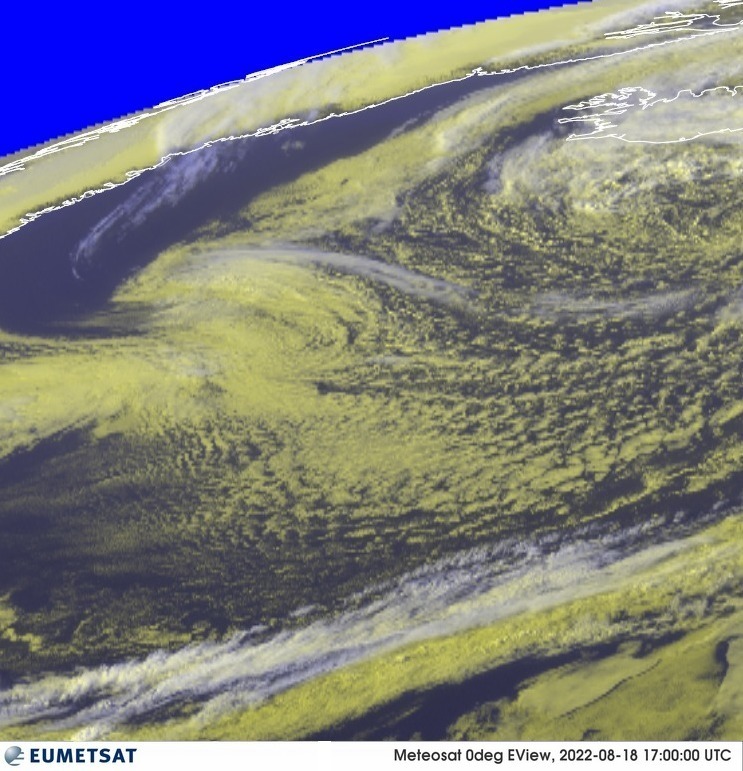 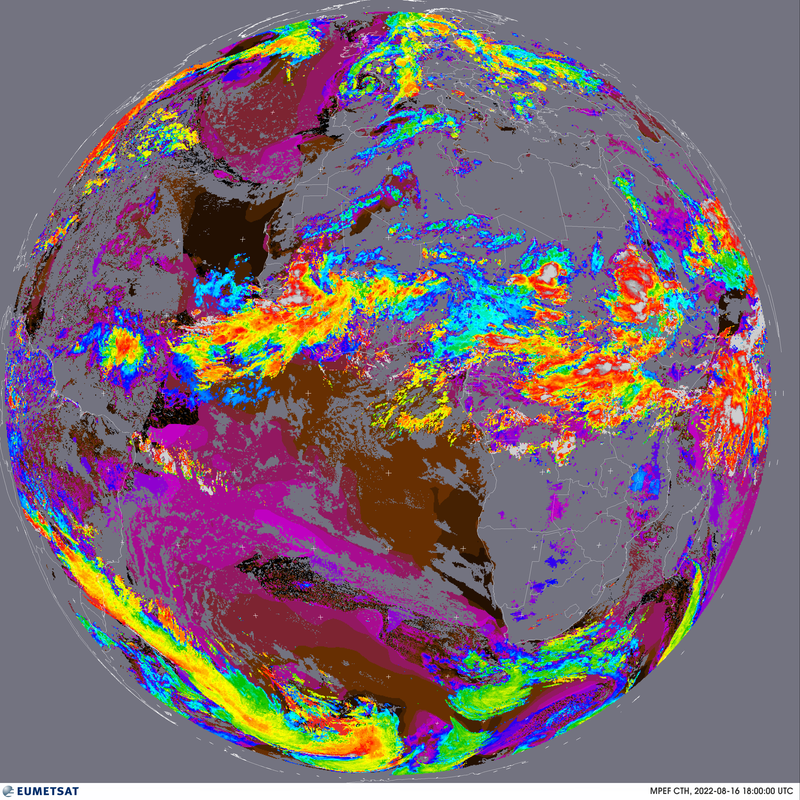 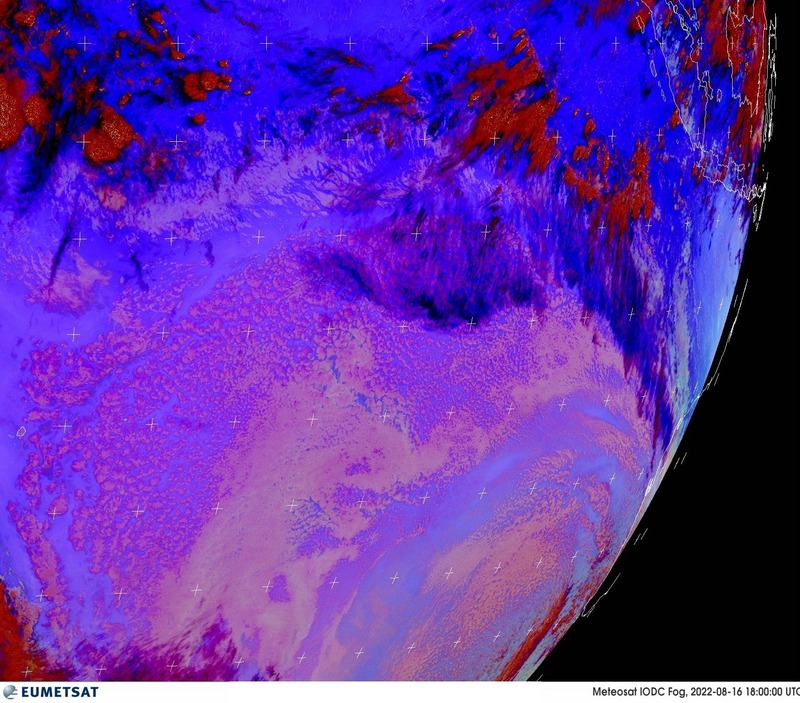 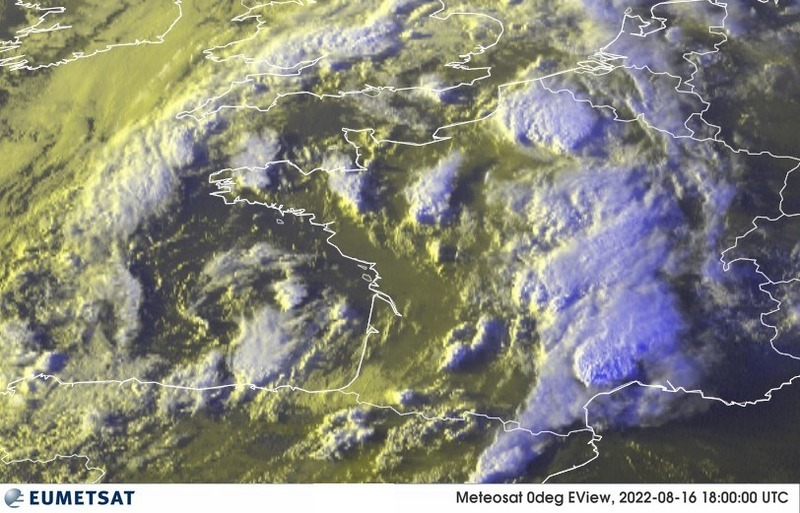 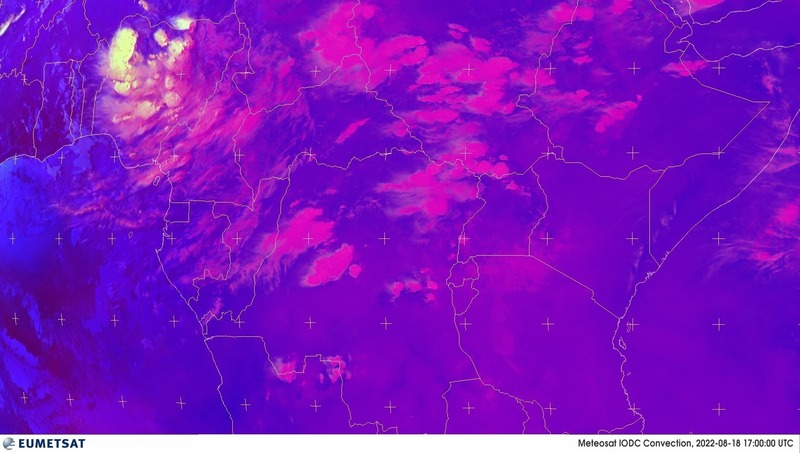 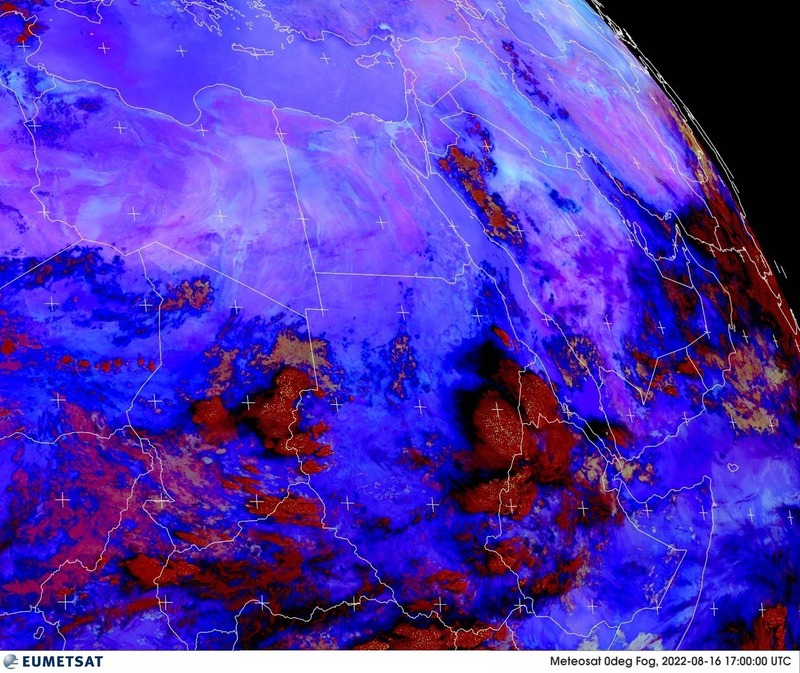 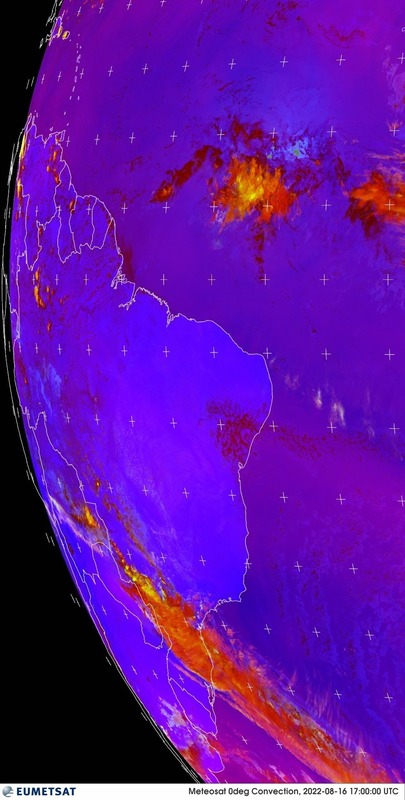 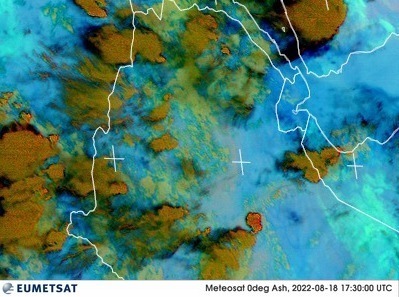 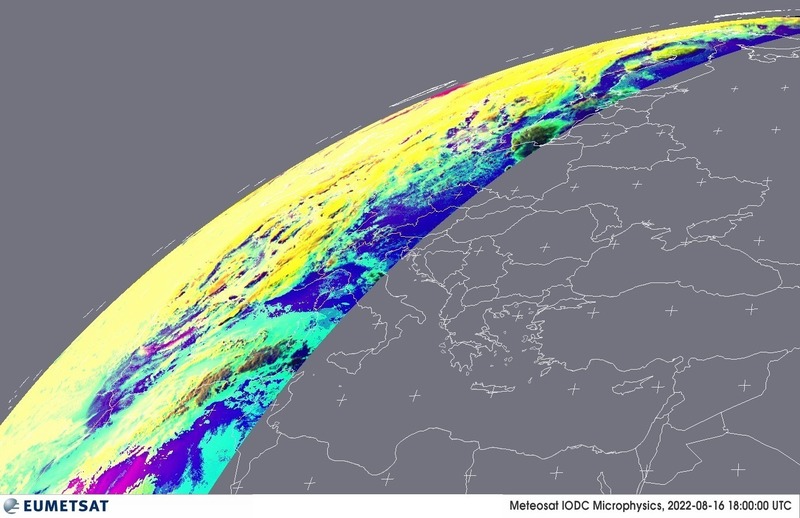 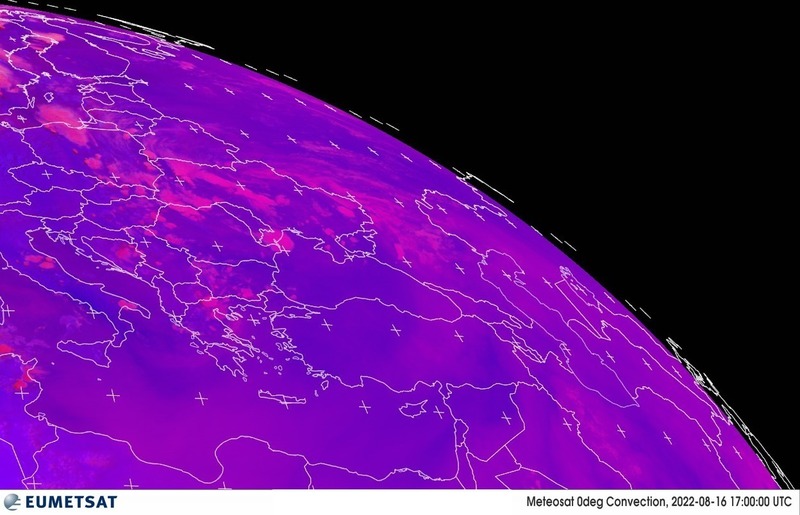 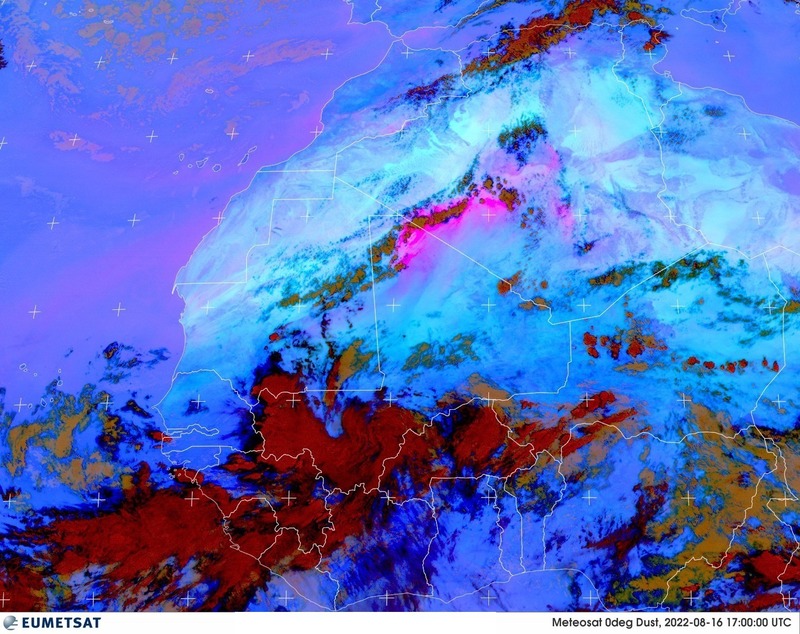 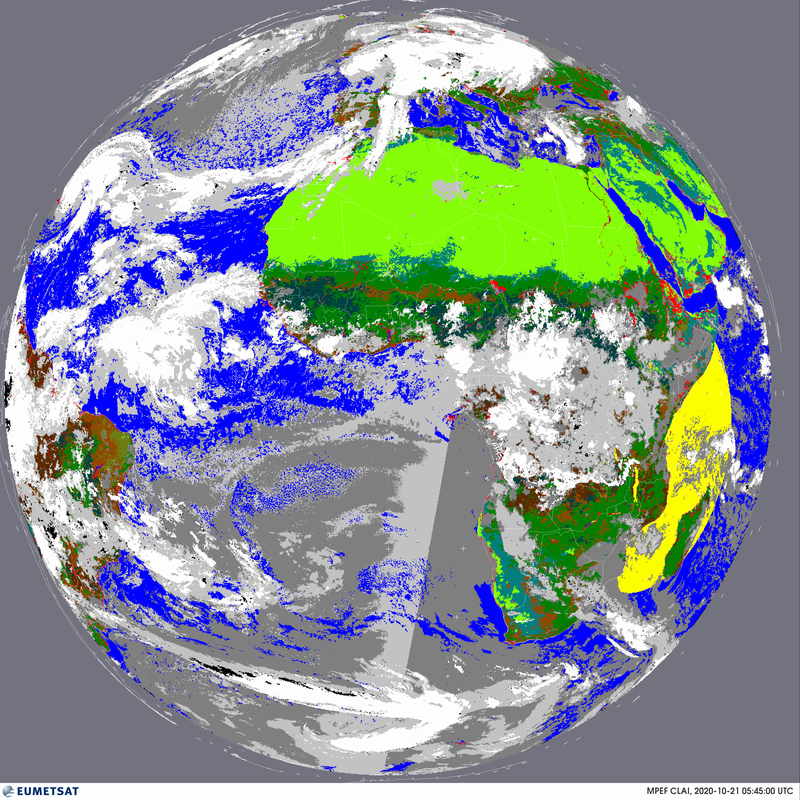 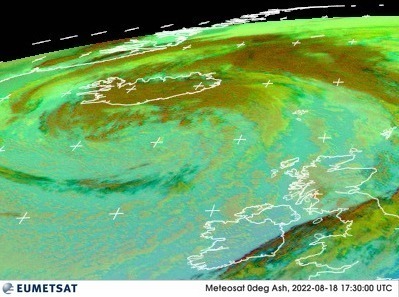 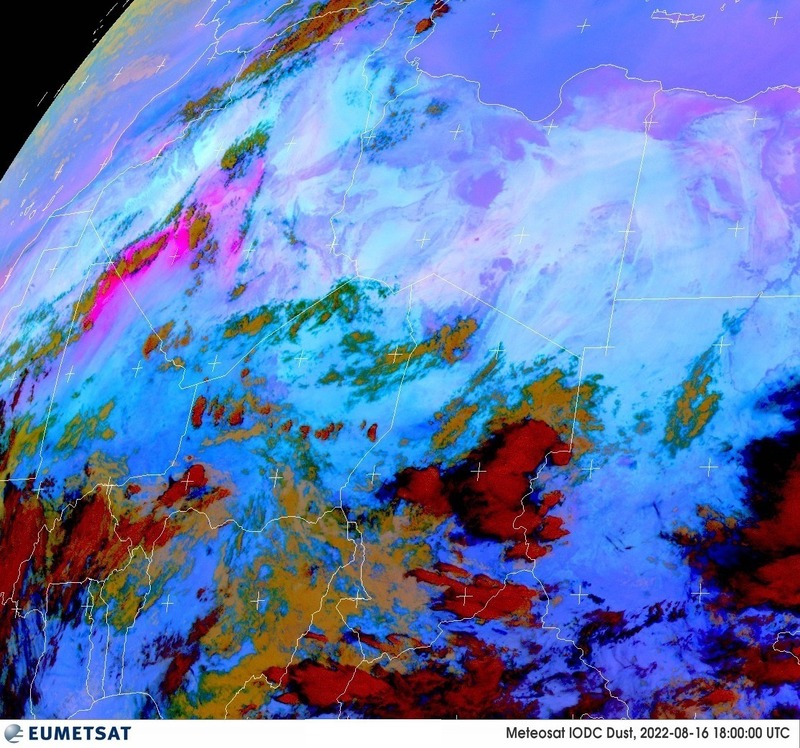 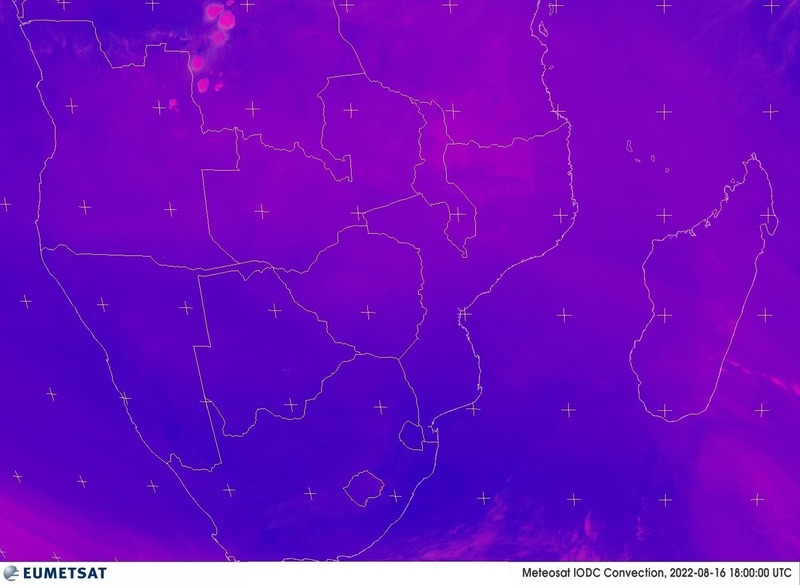 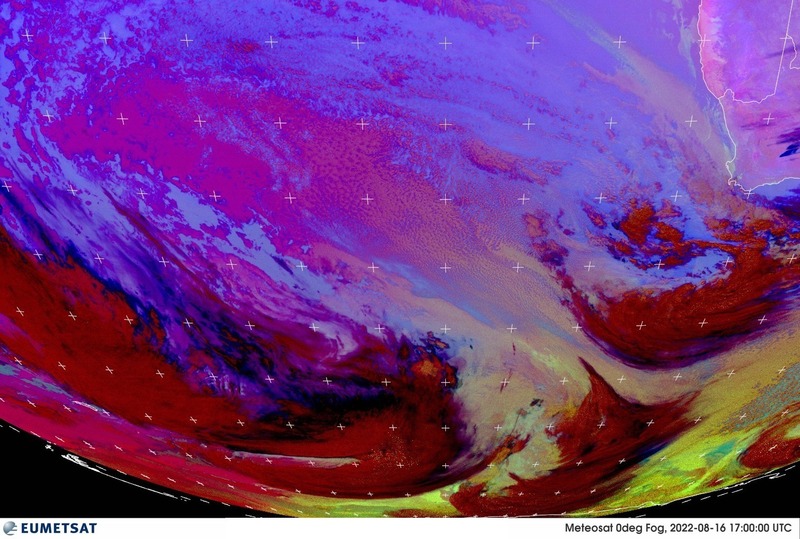 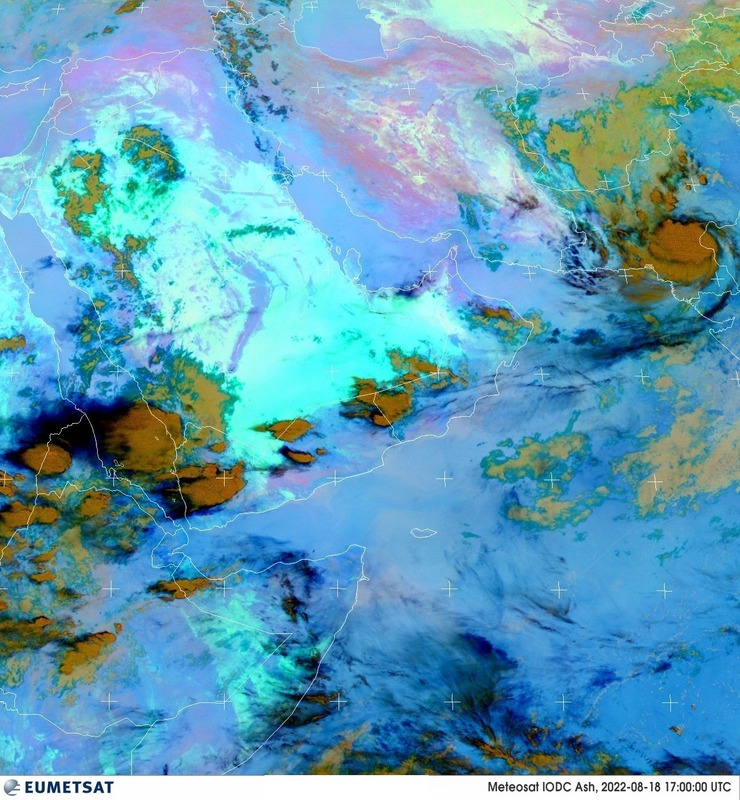 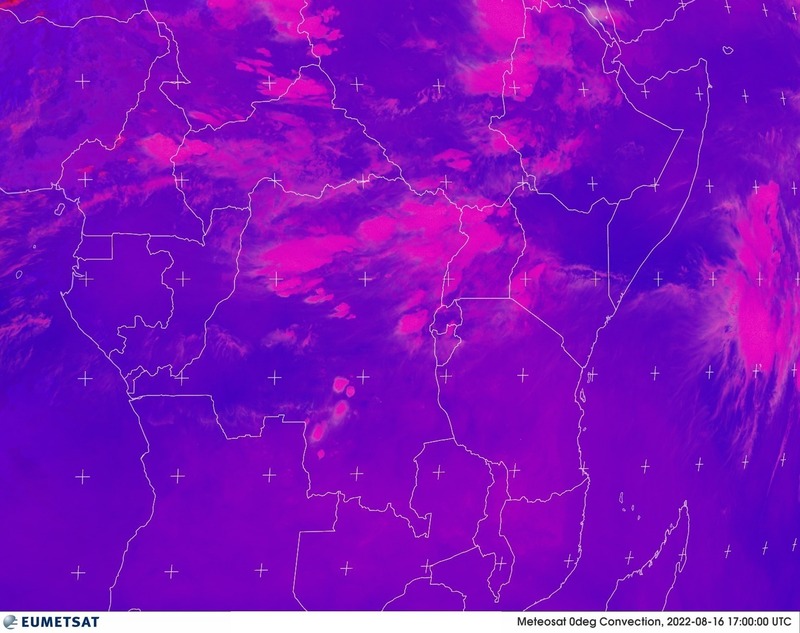 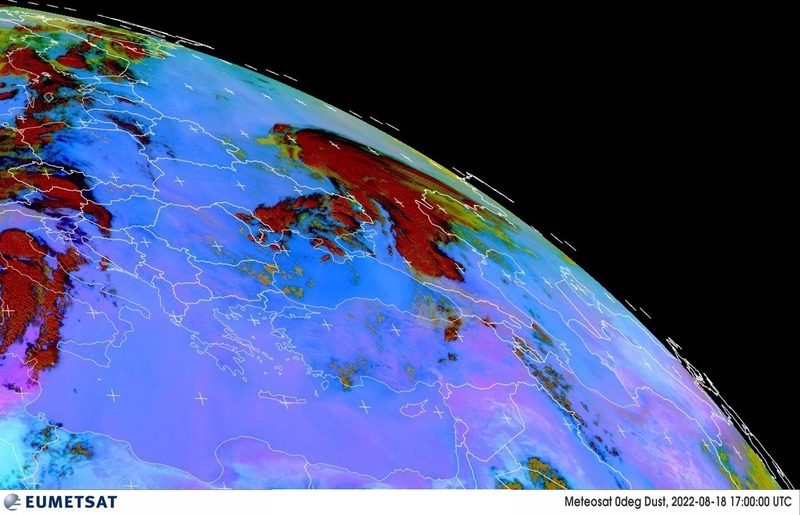 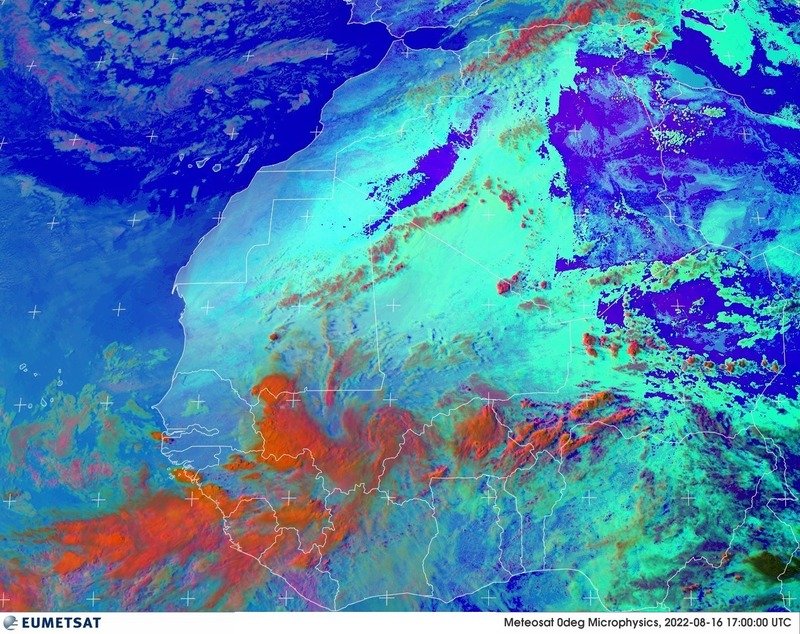 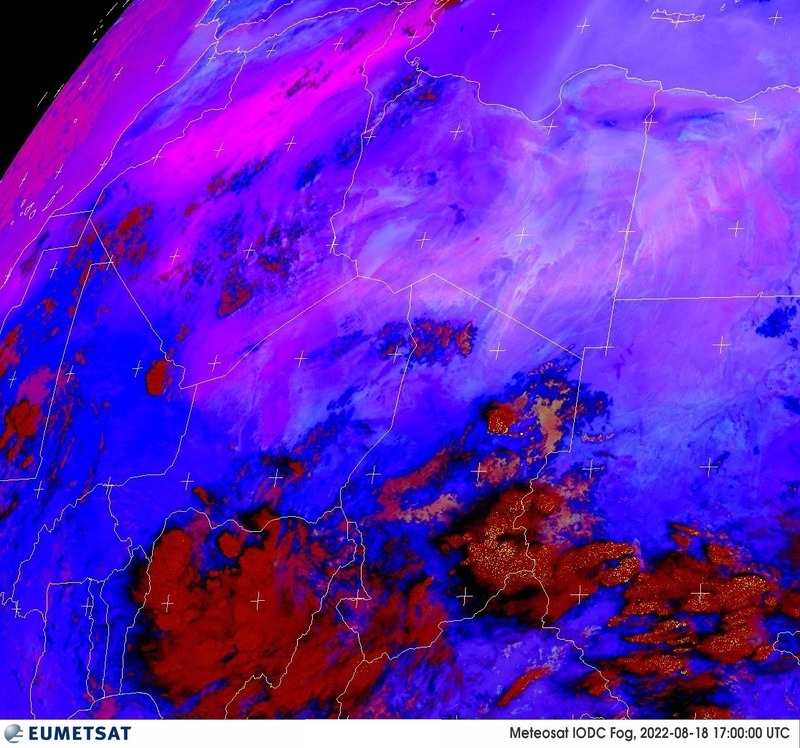 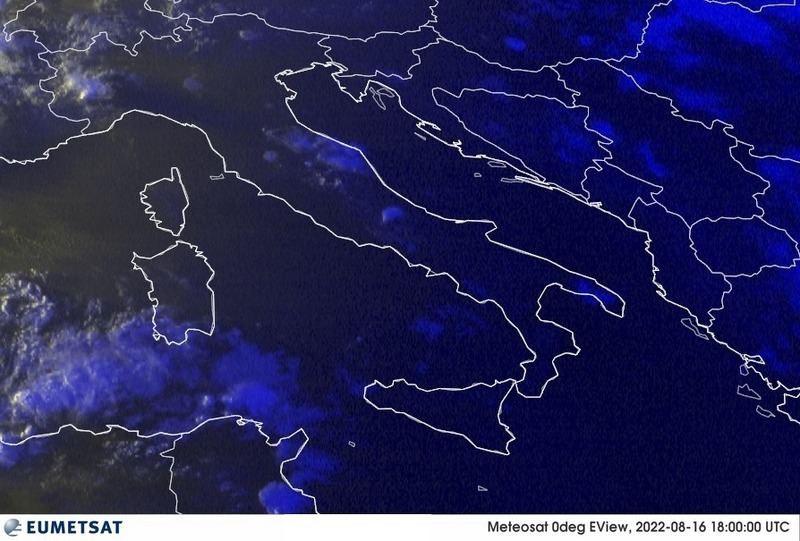 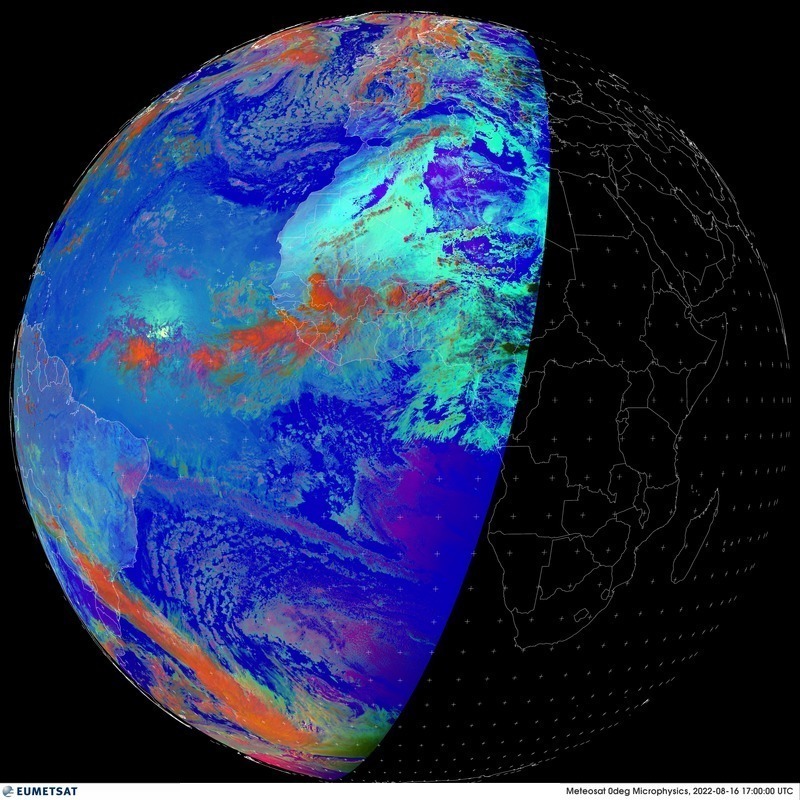 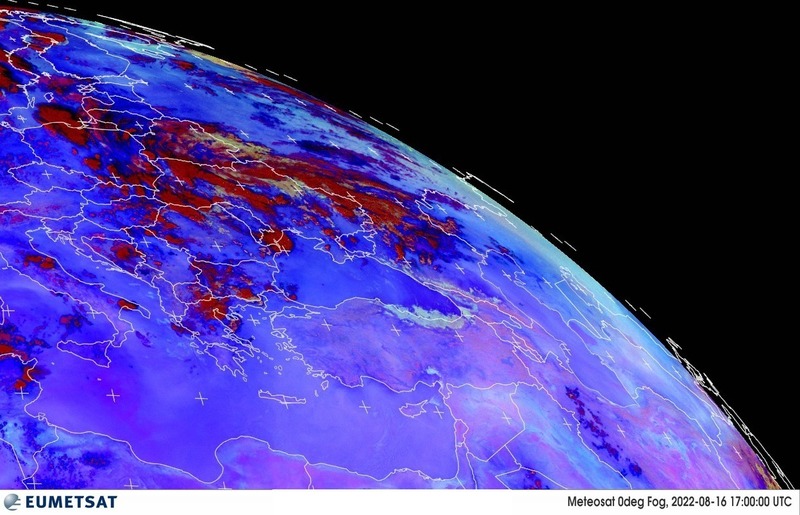 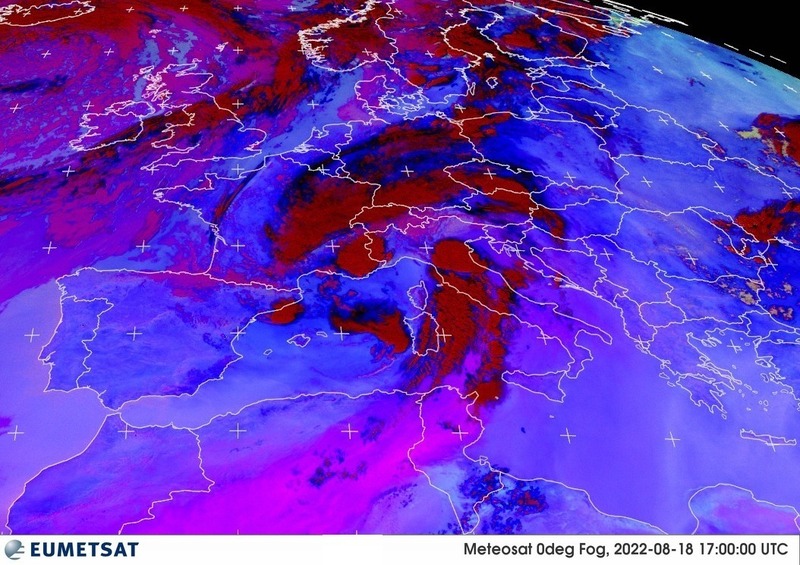 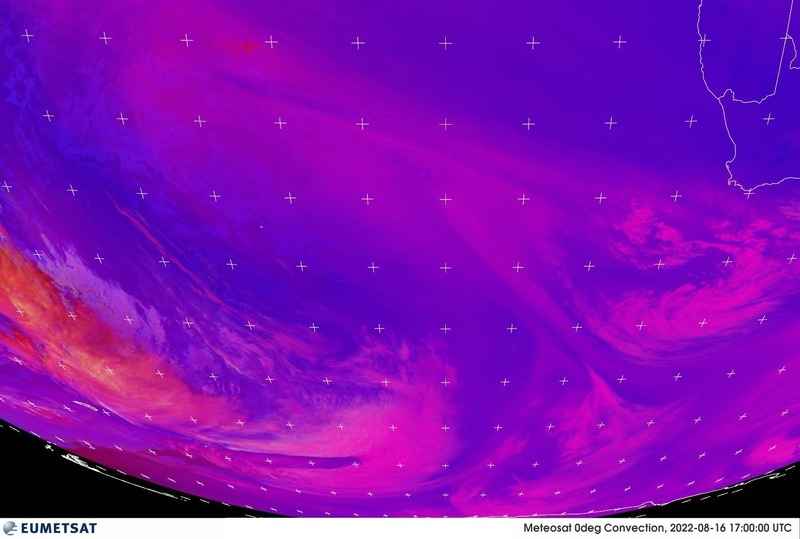 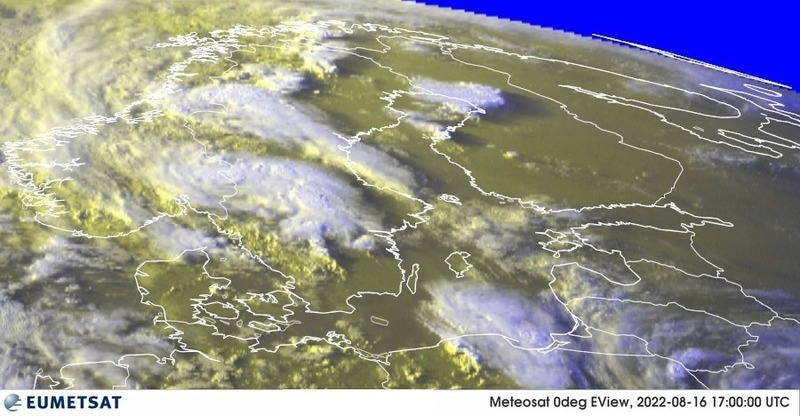 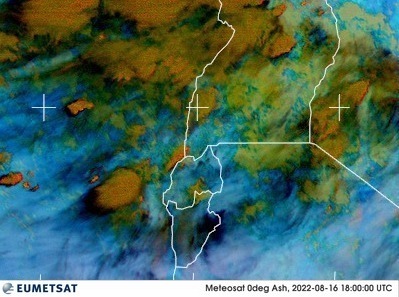 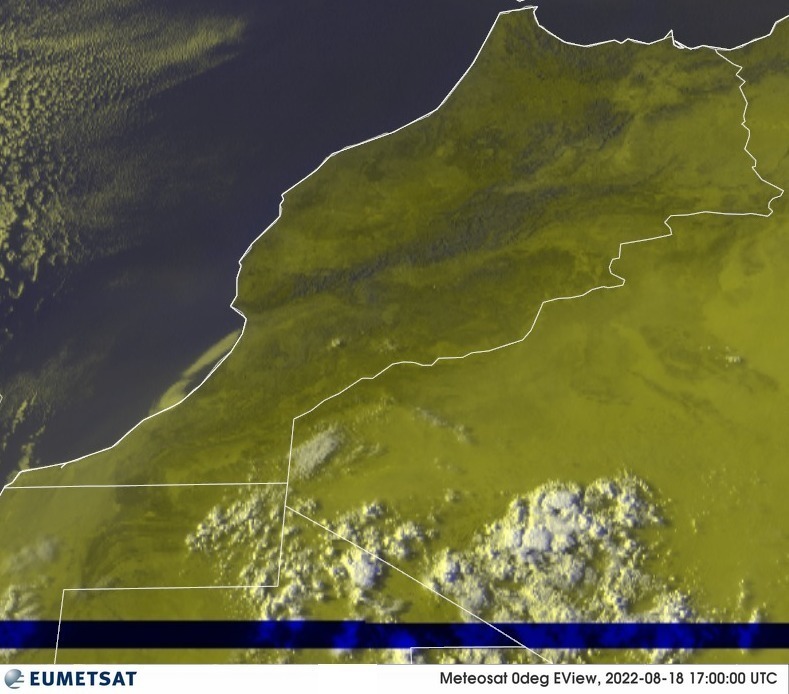 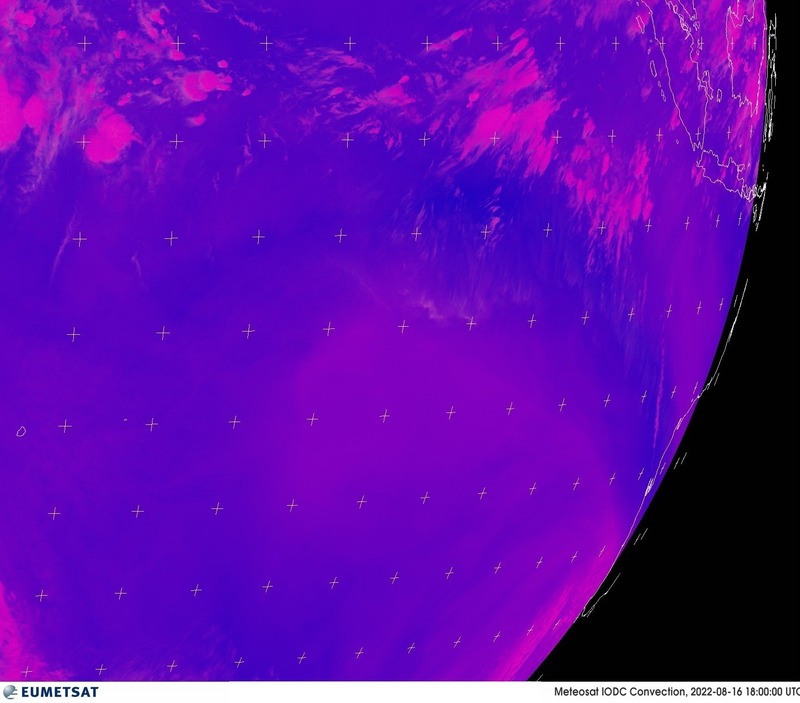 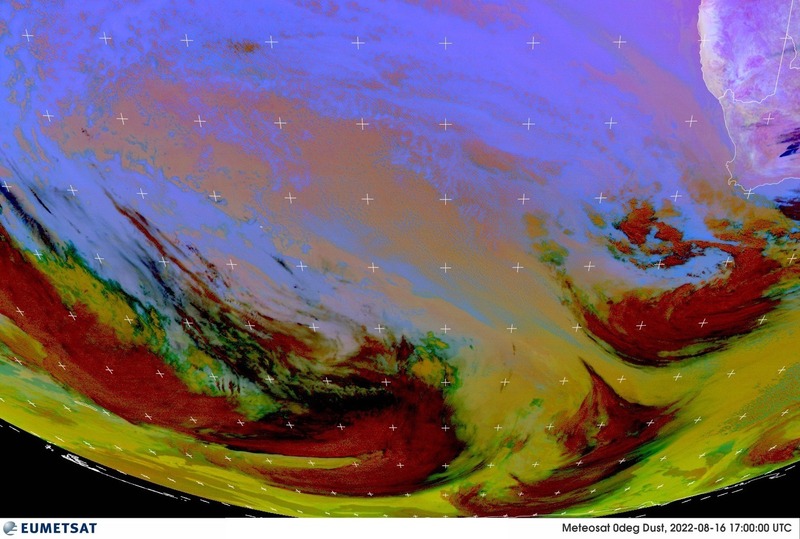 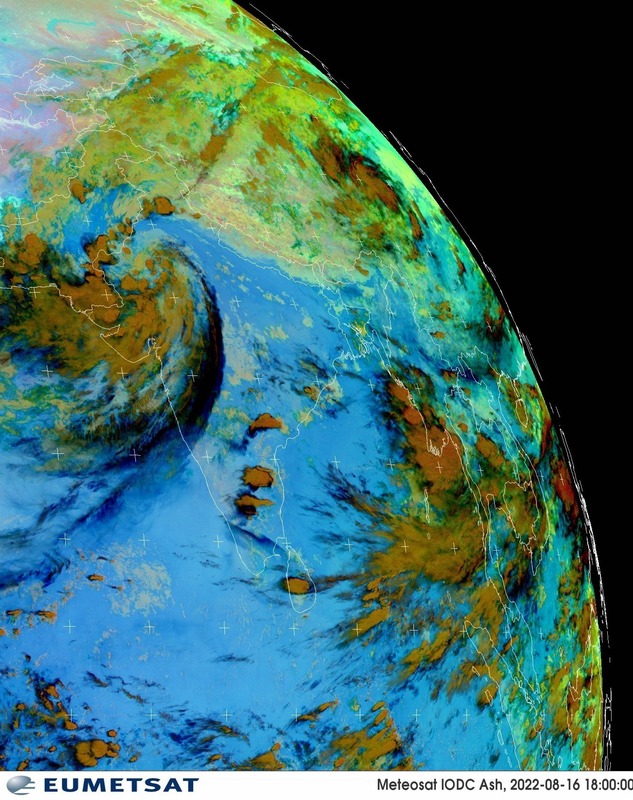 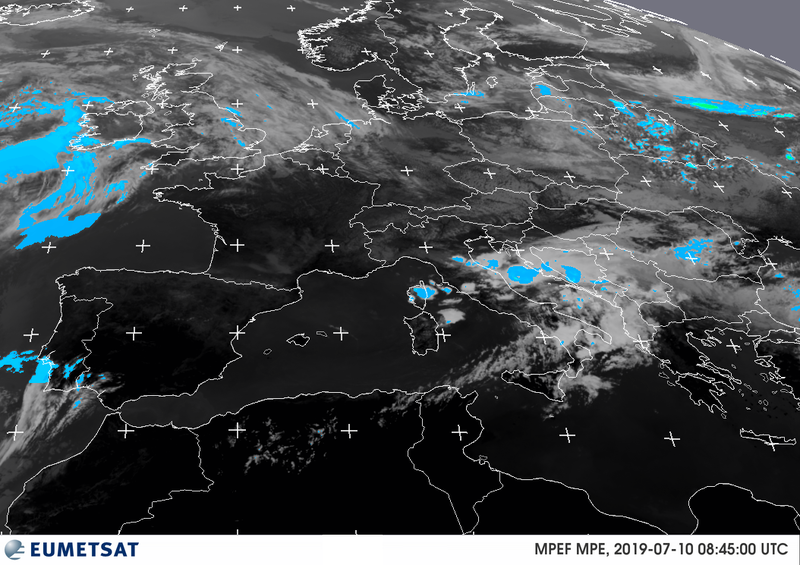 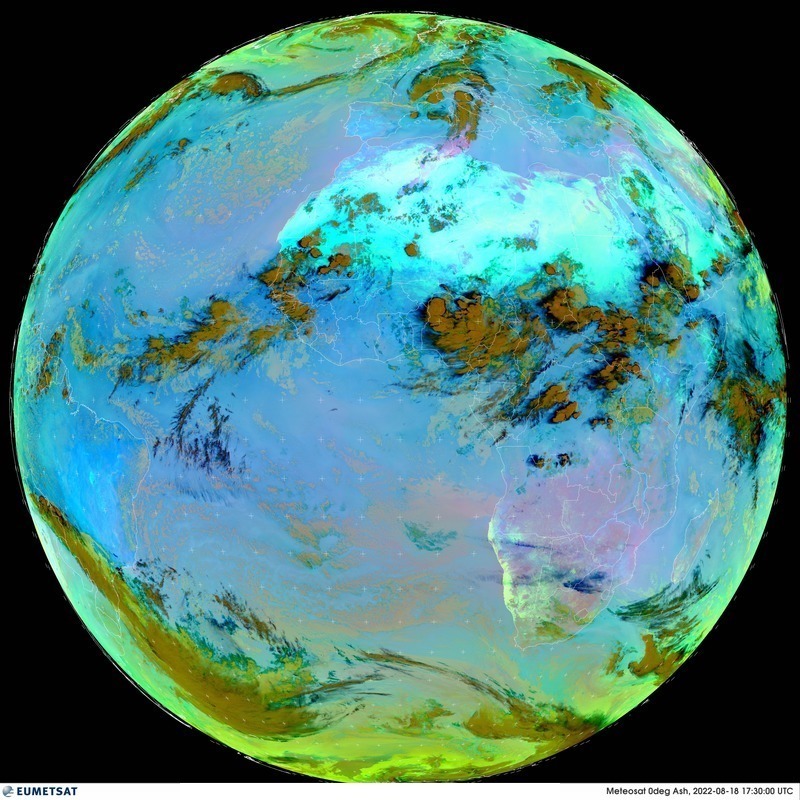 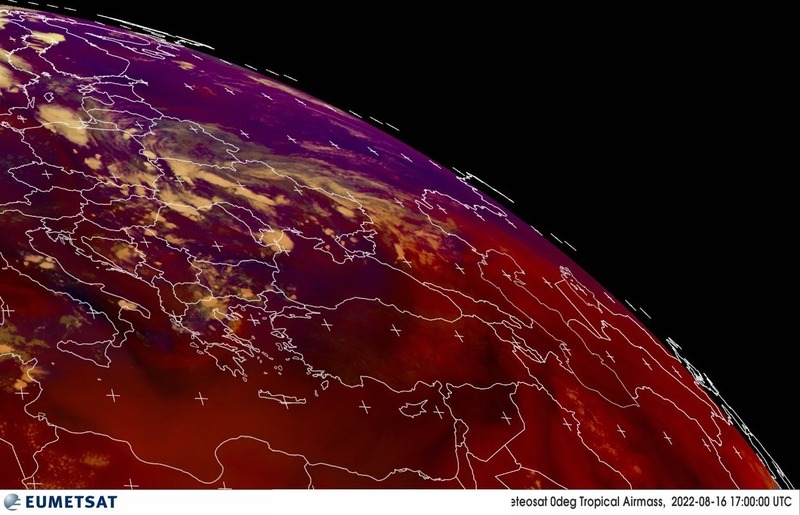 Users should be aware that EUMETSAT reserves the right to refuse or restrict access to Meteosat imagery to those users who regularly choose to ignore the above guidelines. 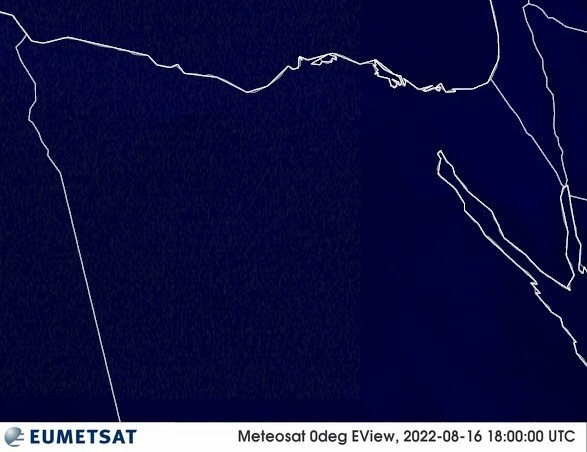 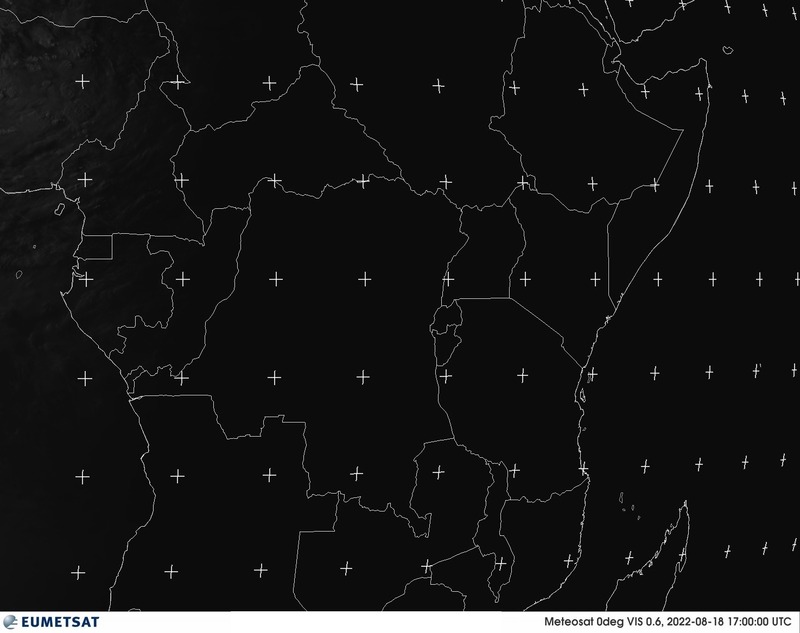 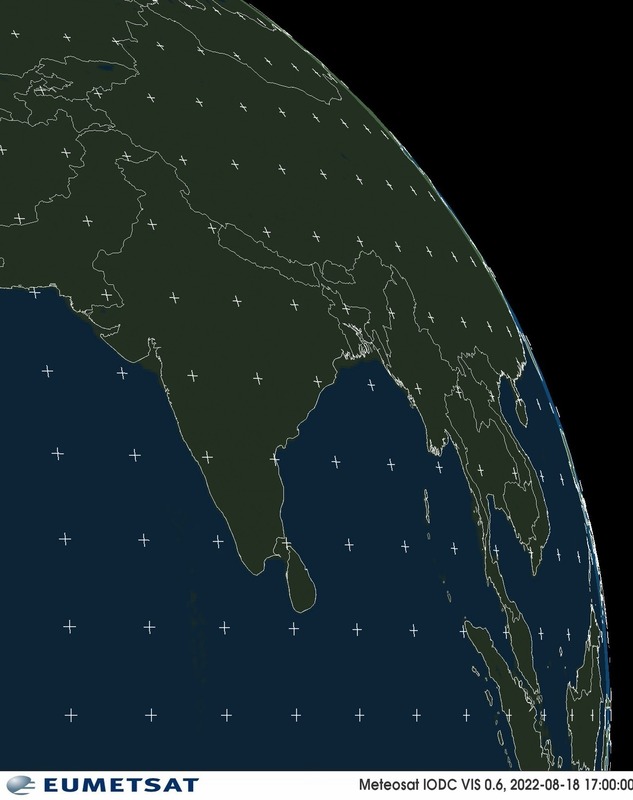 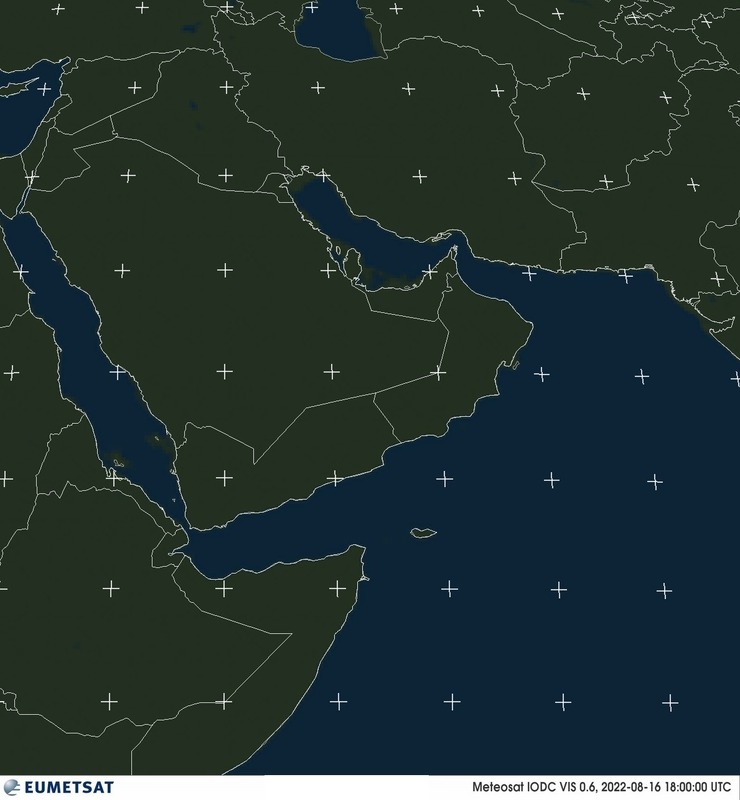 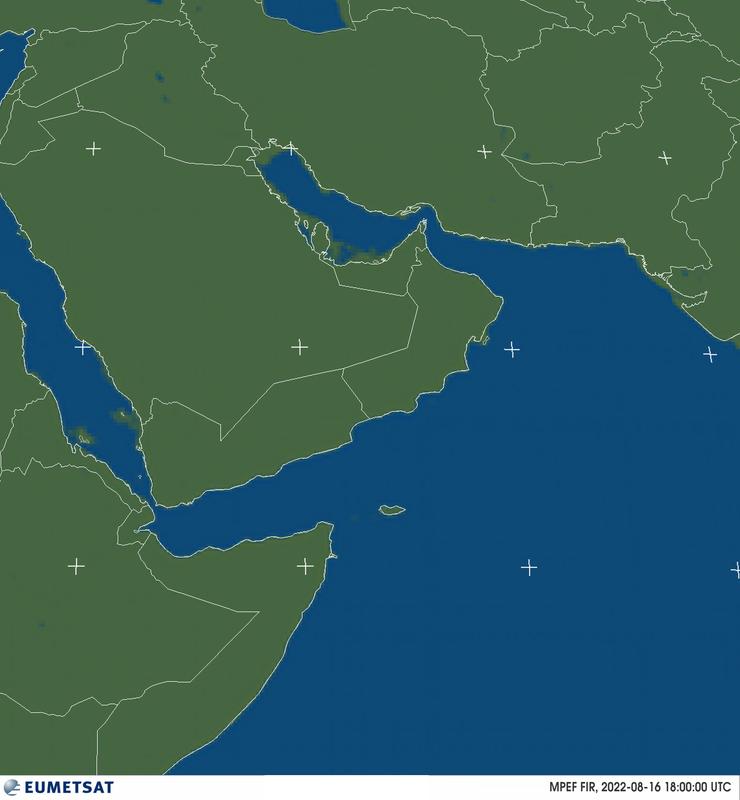 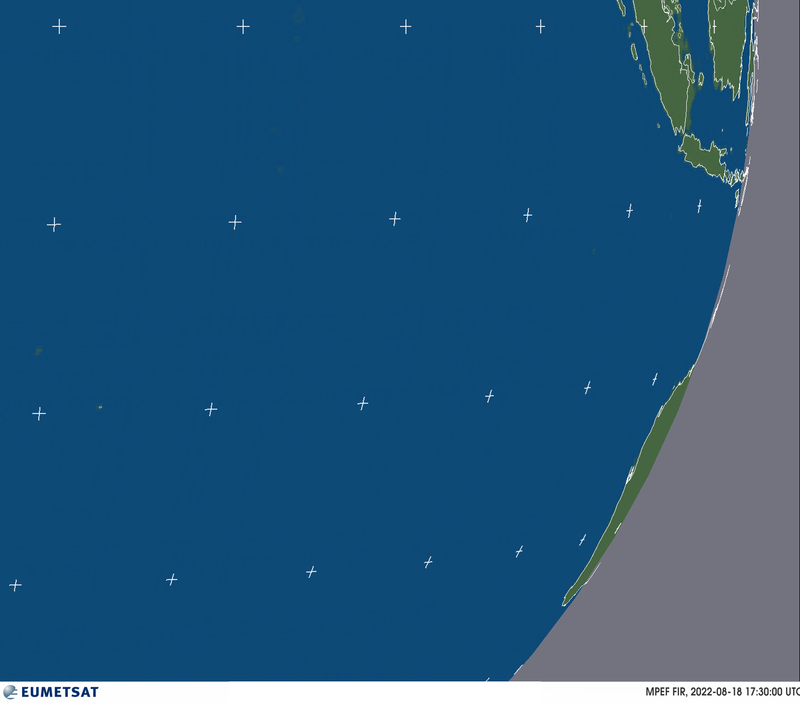 If you wish to bookmark any imagery type available via the main 'Meteosat Images' page, please first select the type of imagery you wish to bookmark and then simply follow the instructions on the page that contains the imagery that you wish to bookmark. 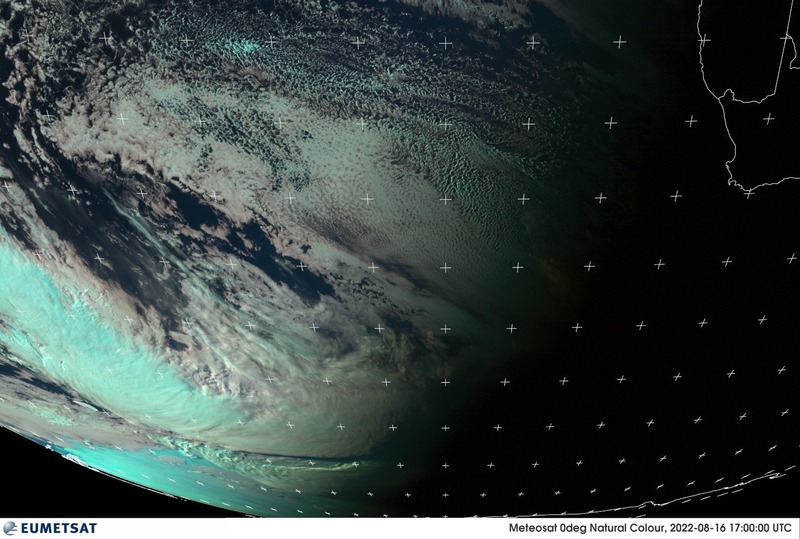 Please note that if you follow the instructions you won't bookmark the image itself, but rather the type of imagery that is displayed, and each time you visit the bookmark you'll be shown the latest available image of that type! 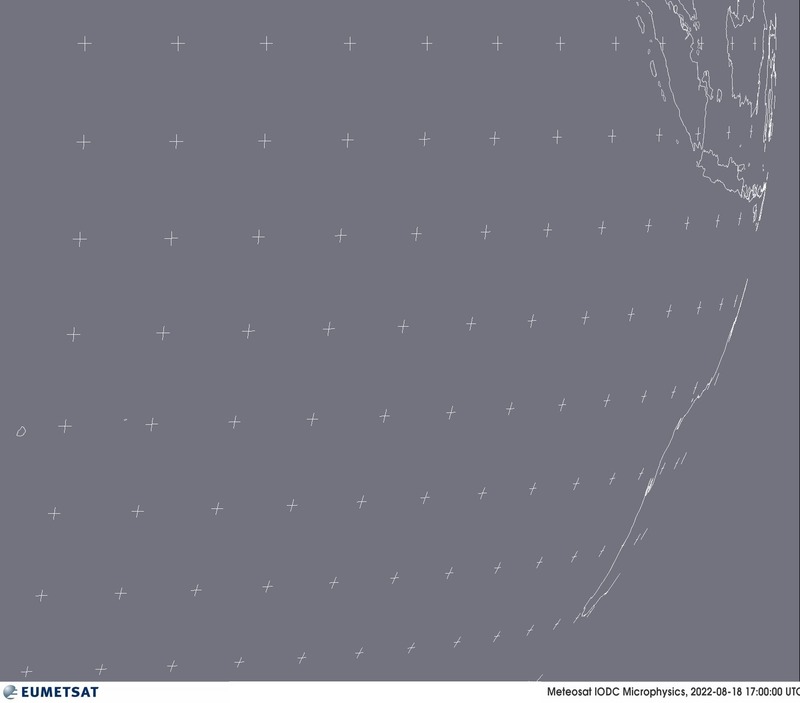 (Ofcourse, depending on how often you visit the bookmark, you may need to 'Reload' or 'Refresh' the page). 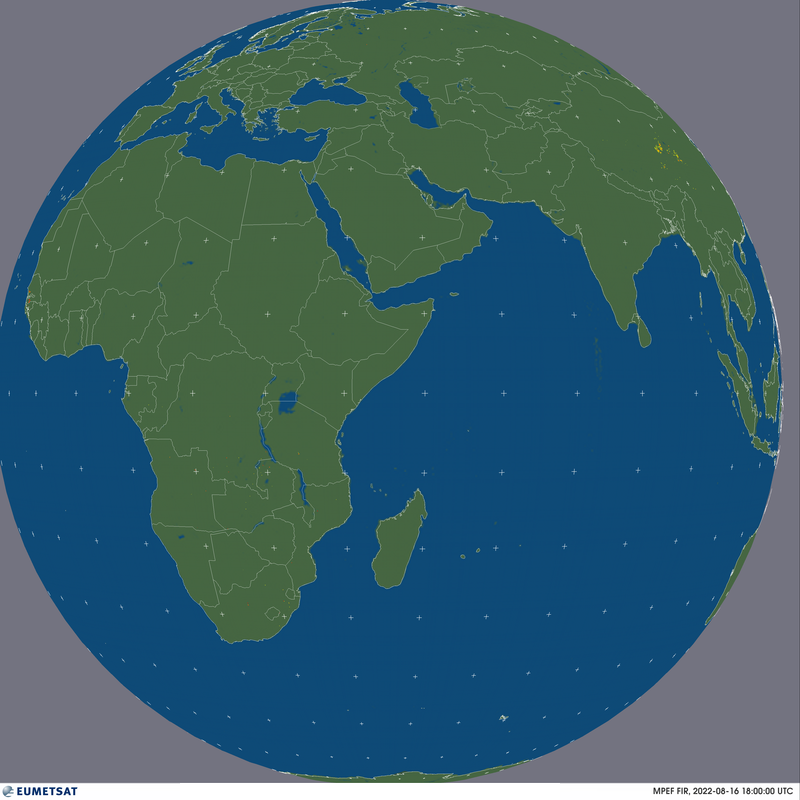 To place an image within a page on your web site simply right-click and choose 'Copy Link Location' (for Netscape users) or 'Copy Shortcut' (for Internet Explorer users) and then paste this link into your page (don't copy and paste the image itself, that won't work! 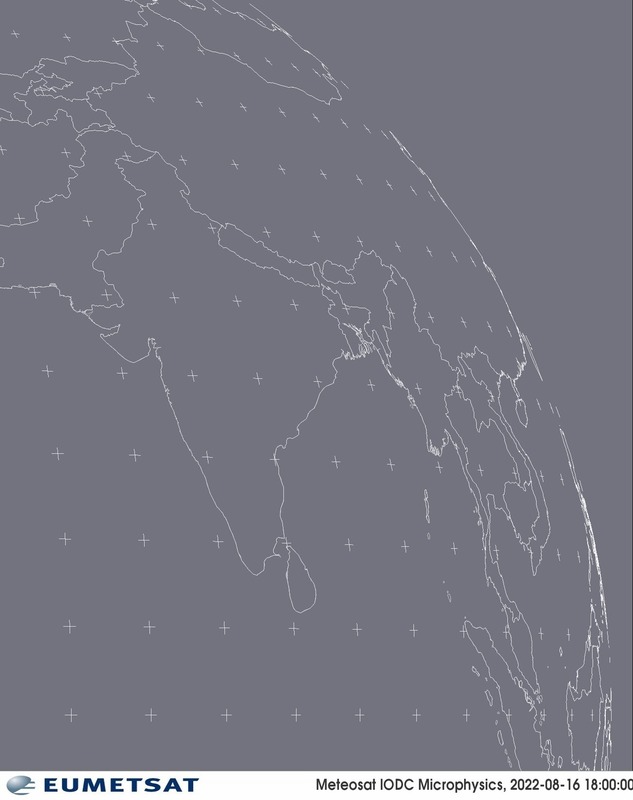 ), making sure to inform users to reload or to place a flag in the HTML page that always reloads the image when a user loads the page. 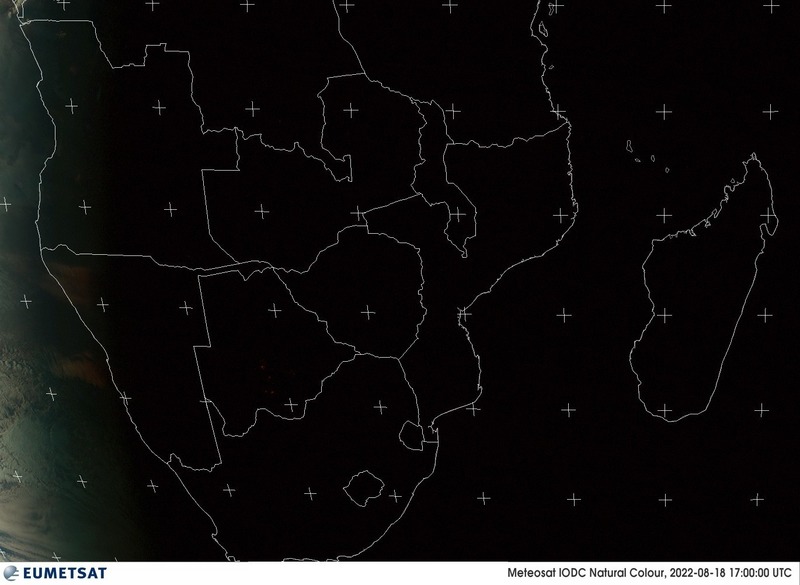 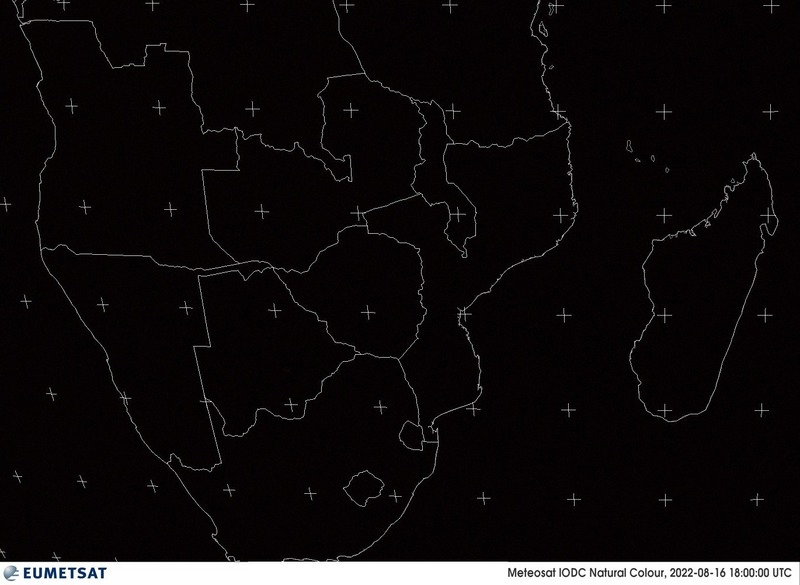 Please also make sure that you follow the copyright statement on the EUMETSAT's Image Gallery page. 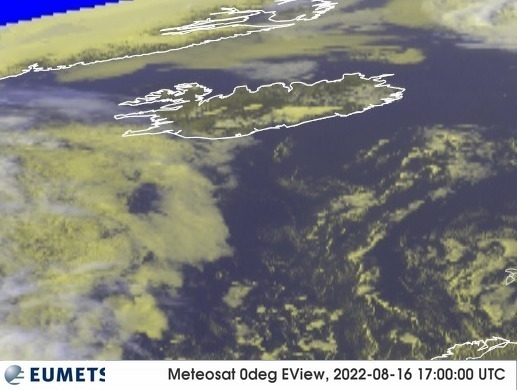 We would also be very grateful that if you wish to use this service that you contact us to let us know so that in future we can contact you with changes or upgrades to this service. 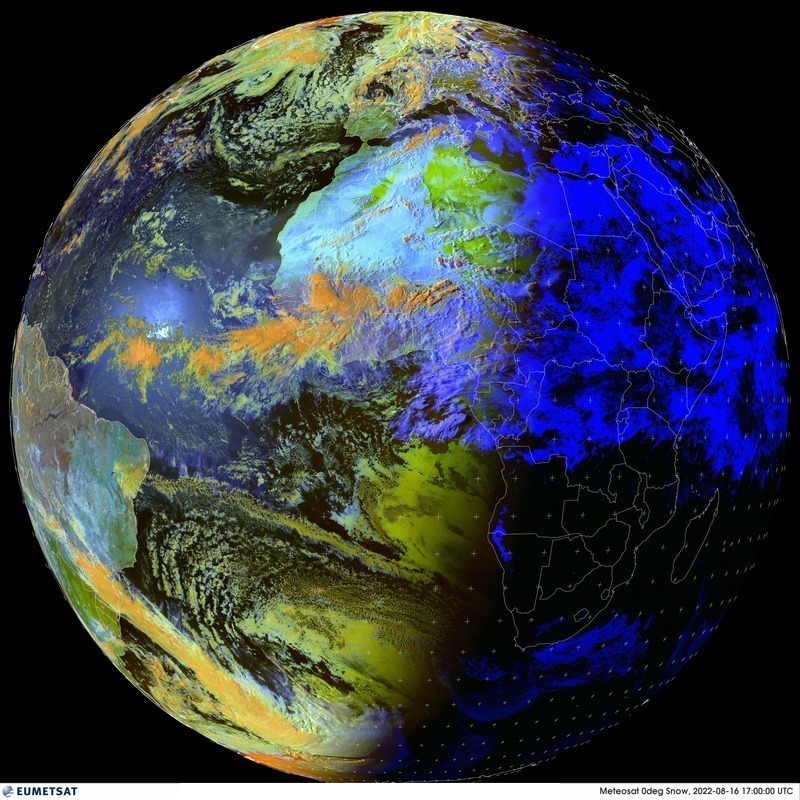 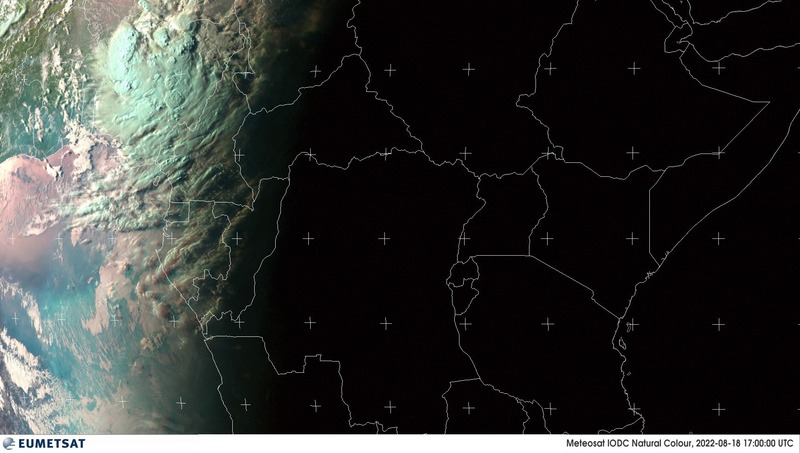 Please note that the services described on this page are presented on a best-effort basis and EUMETSAT reserves the right to cease or change the services without any notice!